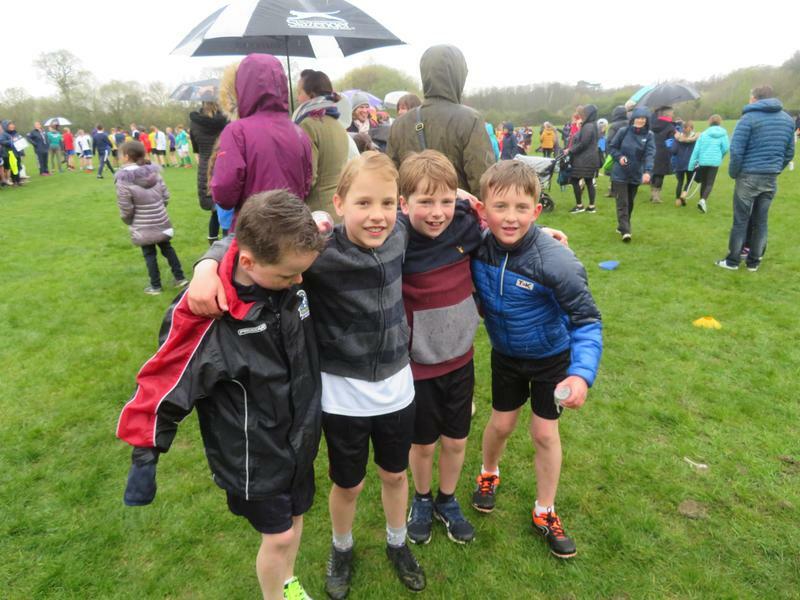 Despite the rain we had a fantastic morning at the Annual Fair Oak X-Country event. 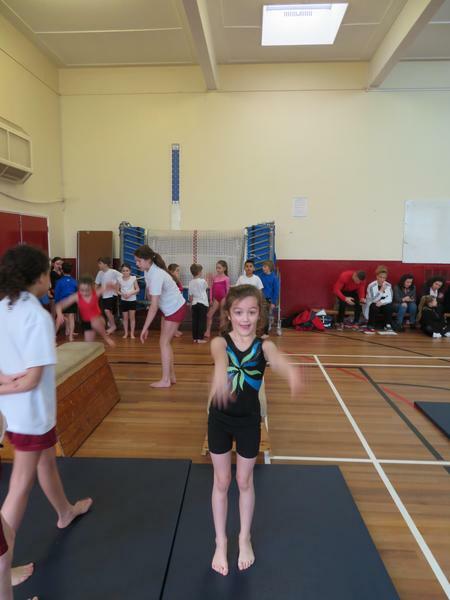 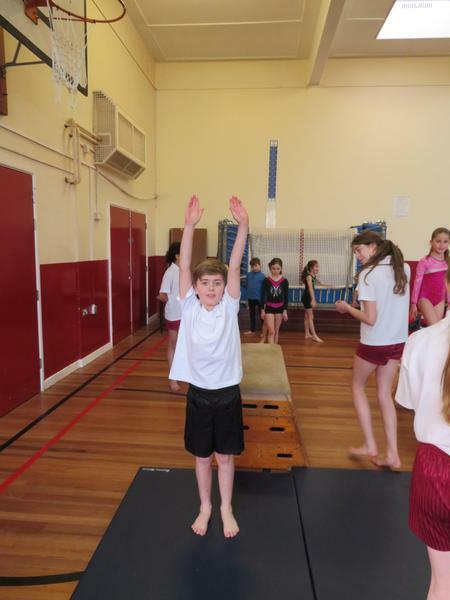 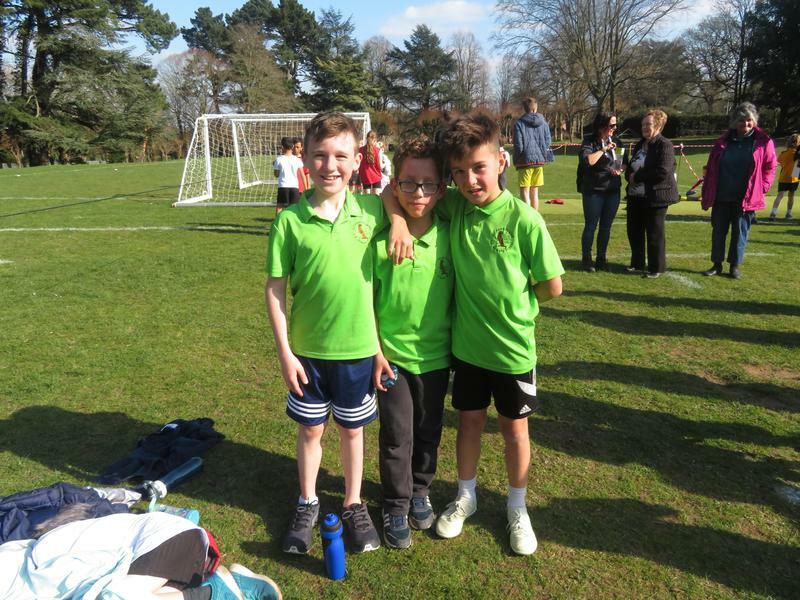 All our athletes performed superbly demonstrating excellent individual effort and teamwork. 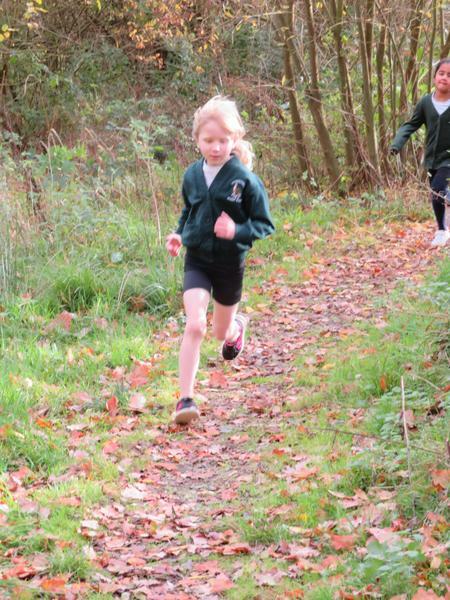 I am so proud of all the children but special mention must go to 2 children. 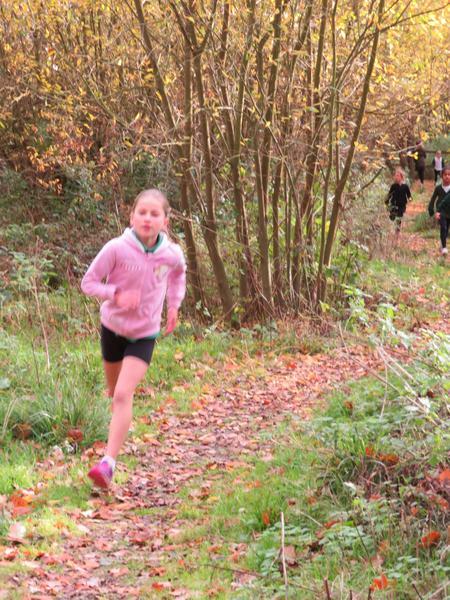 Olivia K was leading the race, slipped on the wet grass but got straight up and carried on to finish her lap in 2nd place. 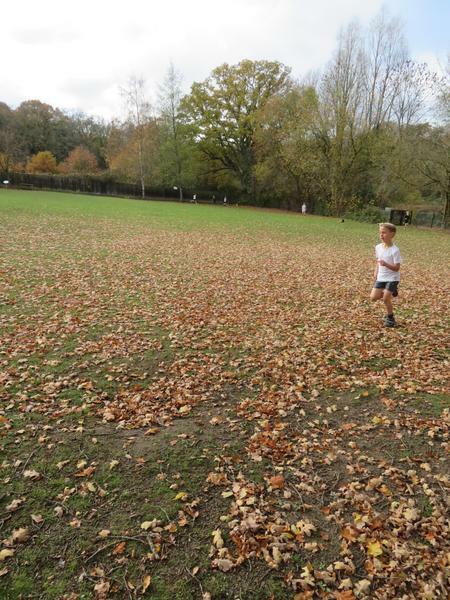 What a show of true resilience. 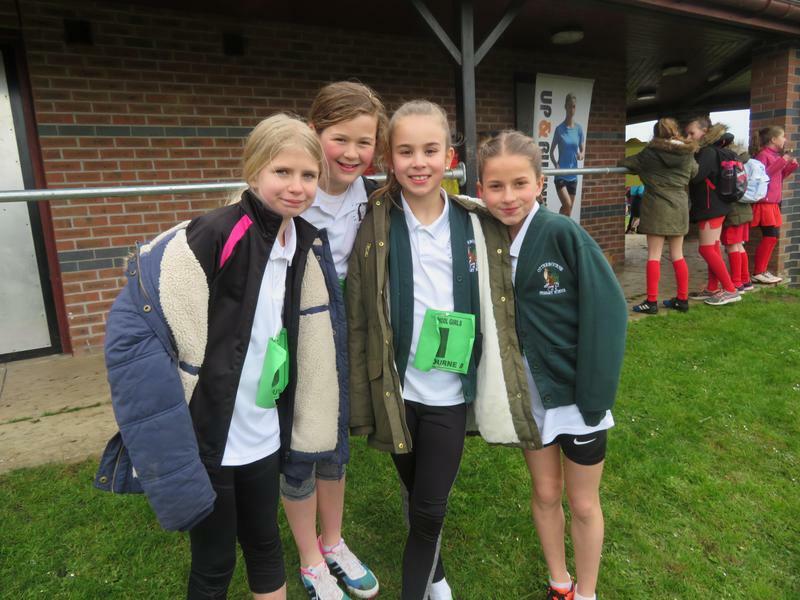 Lucia demonstrated true sporting excellence as she managed to regain approximately 12 places resulting in the team coming in 4th overall. 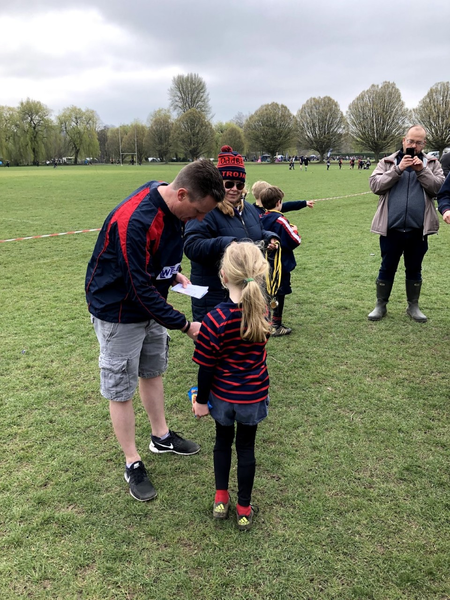 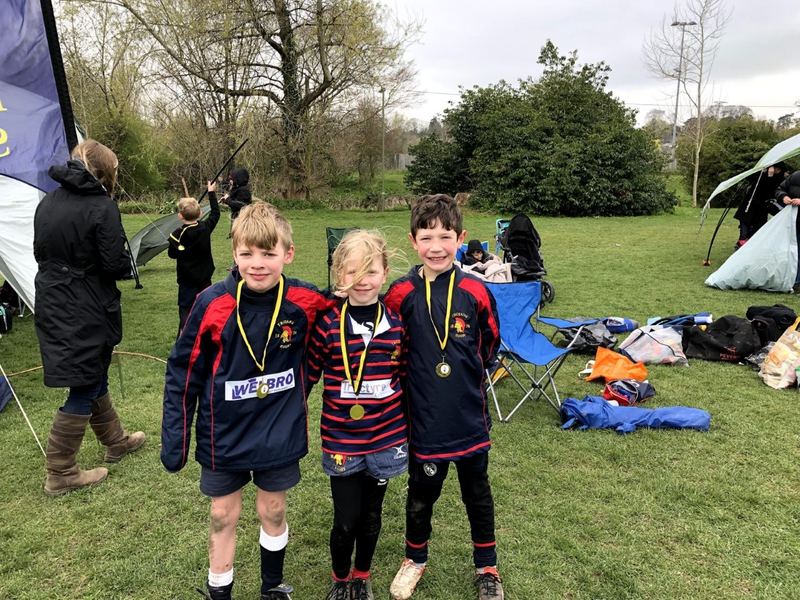 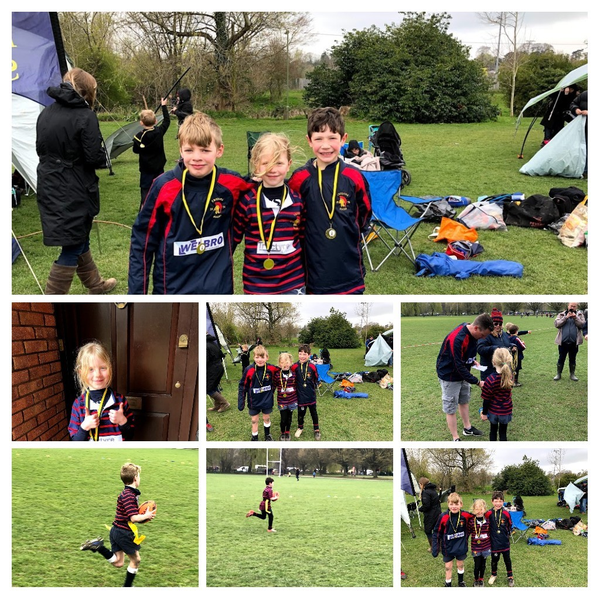 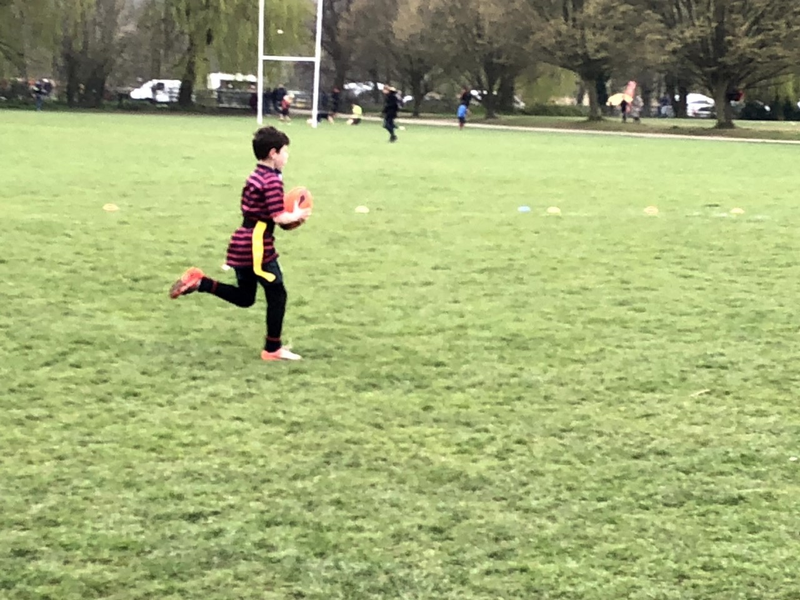 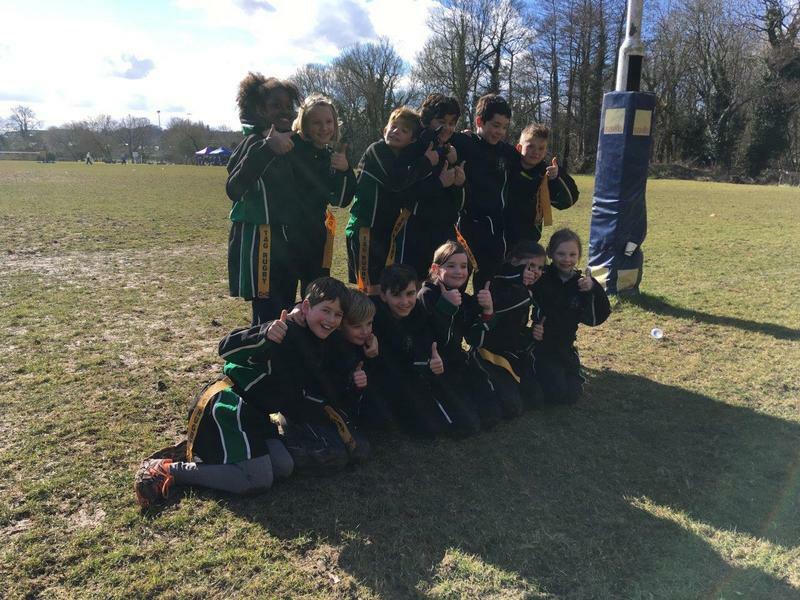 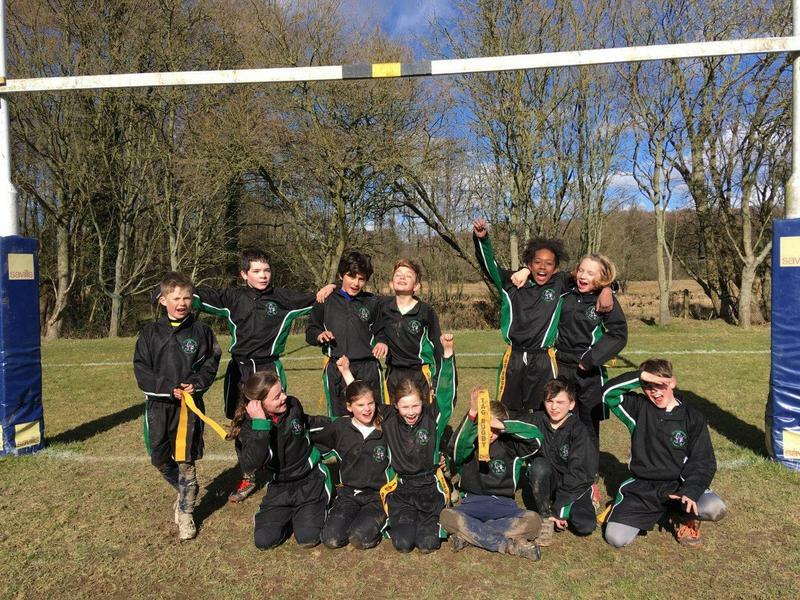 3 of our Y3 children - Jess, Orion & Hudson played for the Trojans U8 Rugby Team in the Winchester Mini Rugby Tournament this week-end. 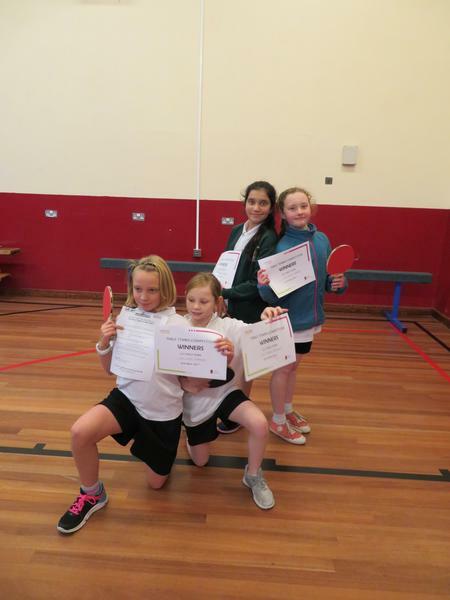 The team won all 5 of their matches which is a fantastic achievement. 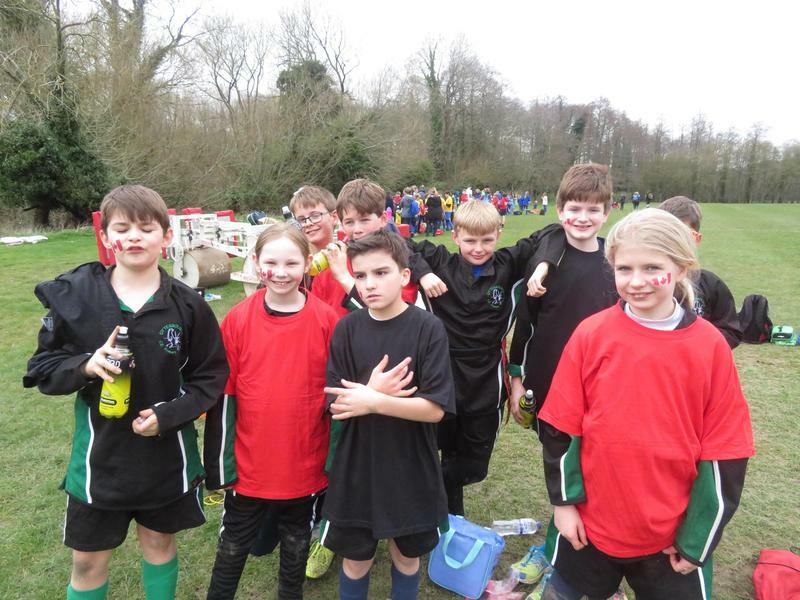 They all made a significant contribution in the matches but most importantly they had a great deal of fun! 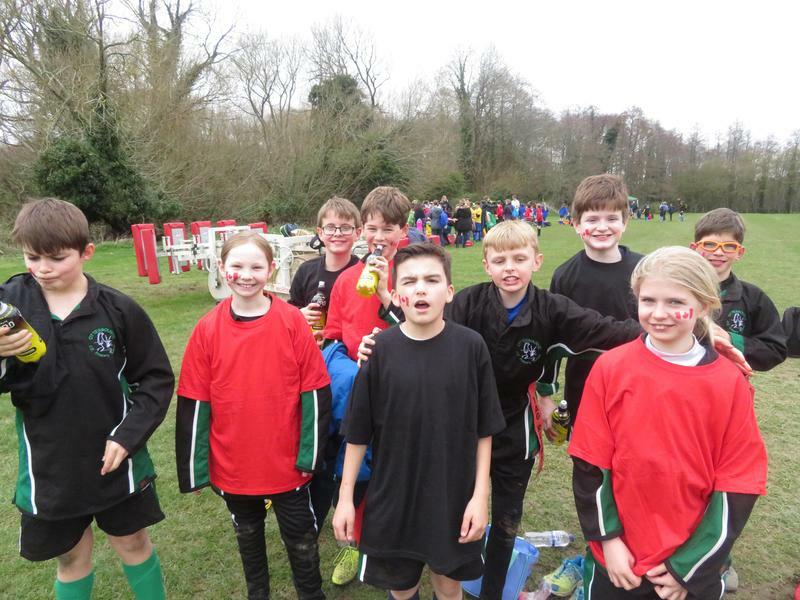 Well done - I am looking forward to them being in Y5 so they can represent the school at the Tag Rugby Festival. 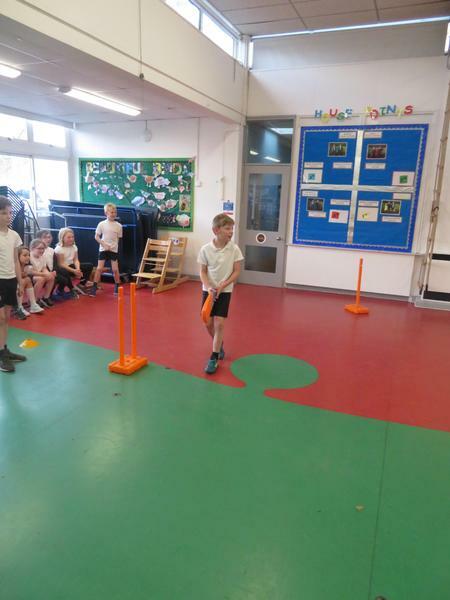 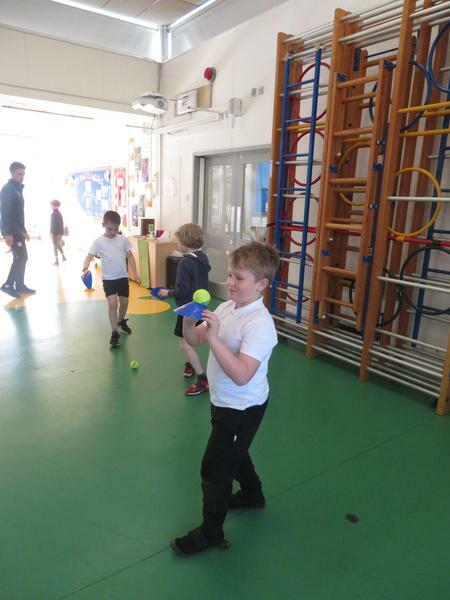 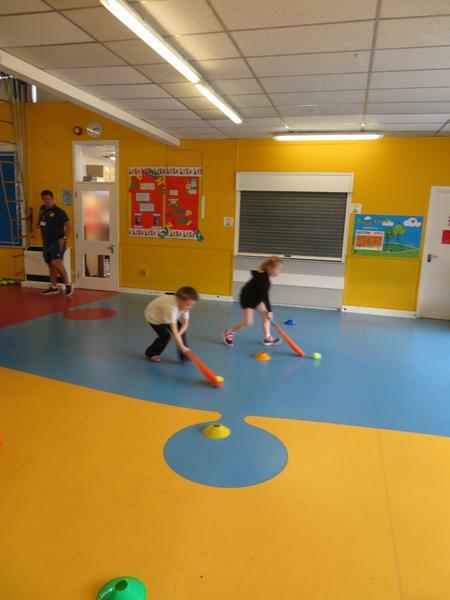 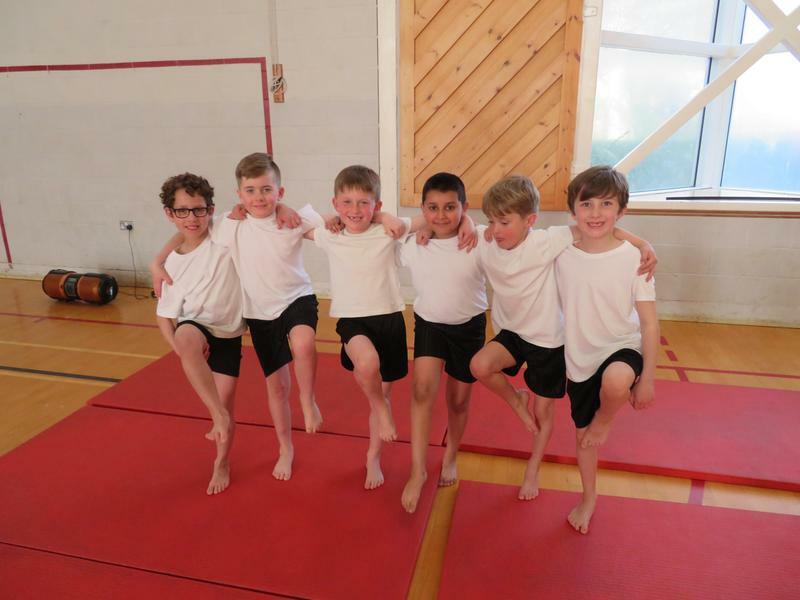 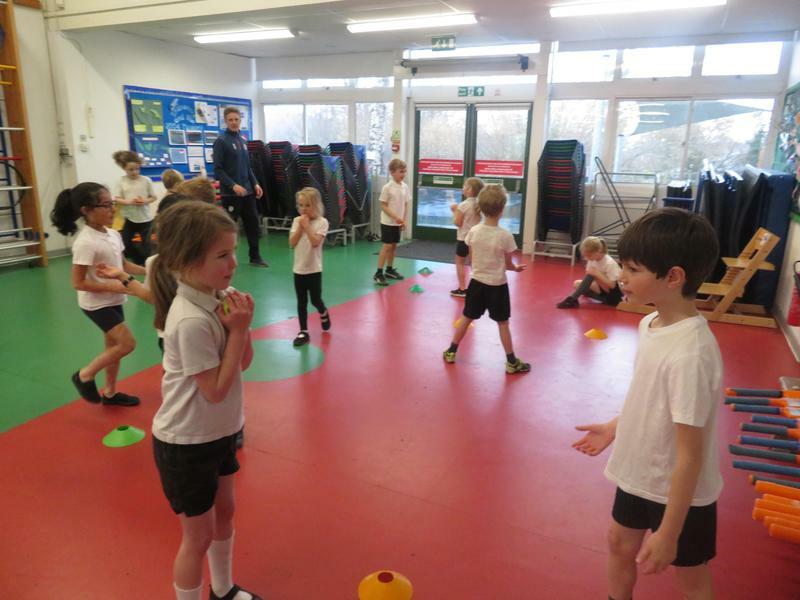 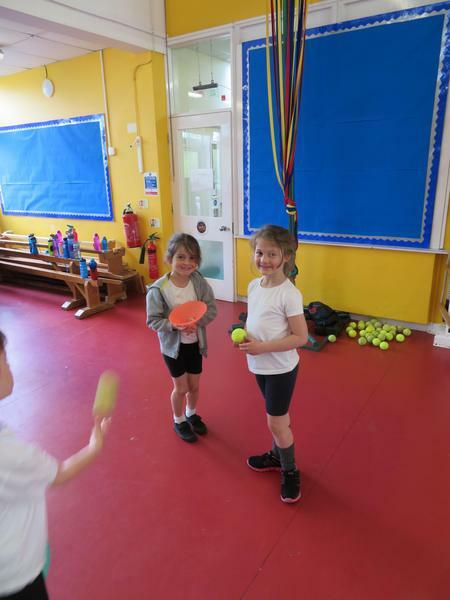 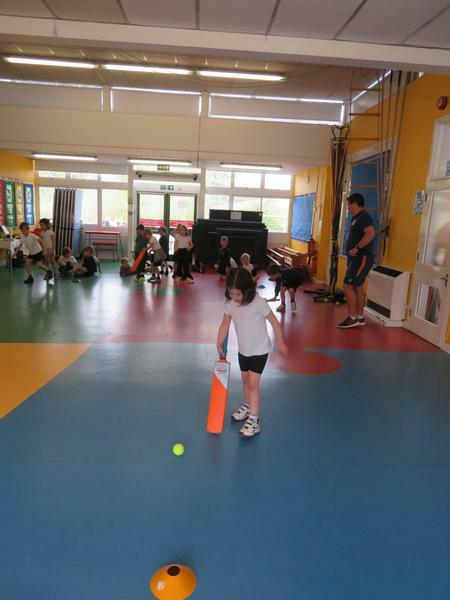 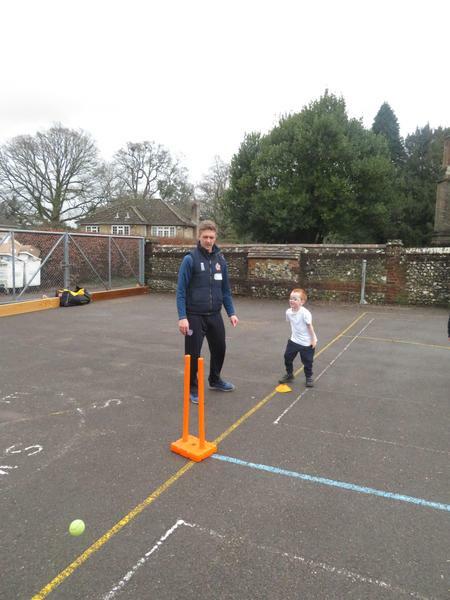 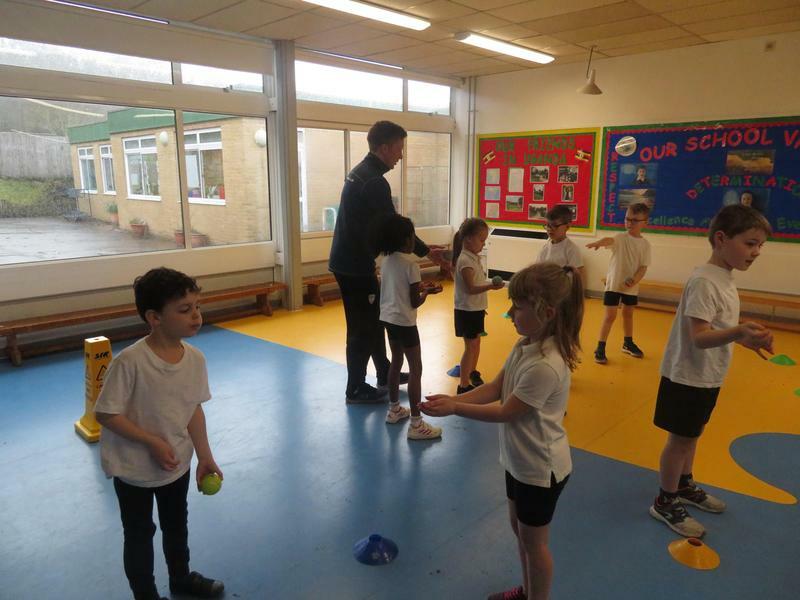 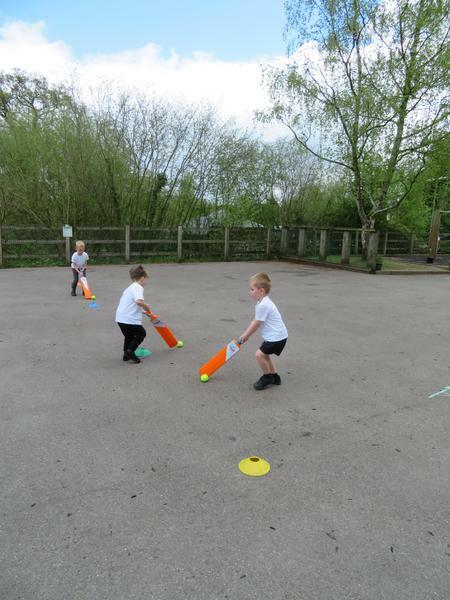 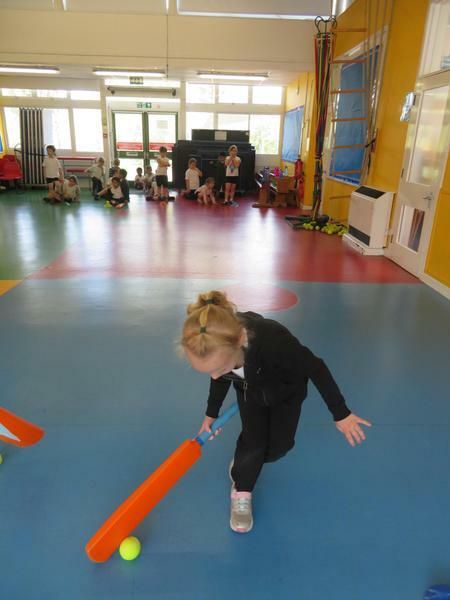 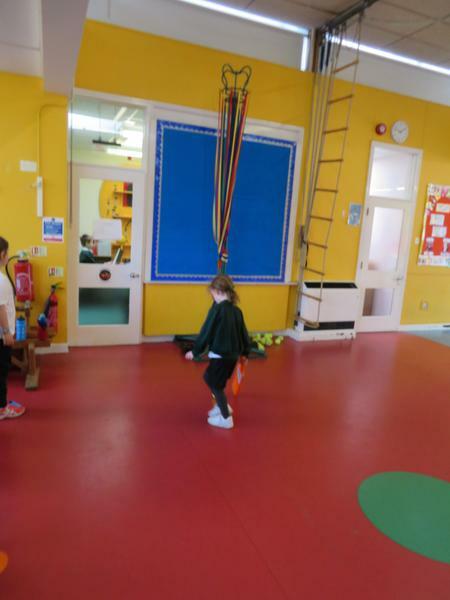 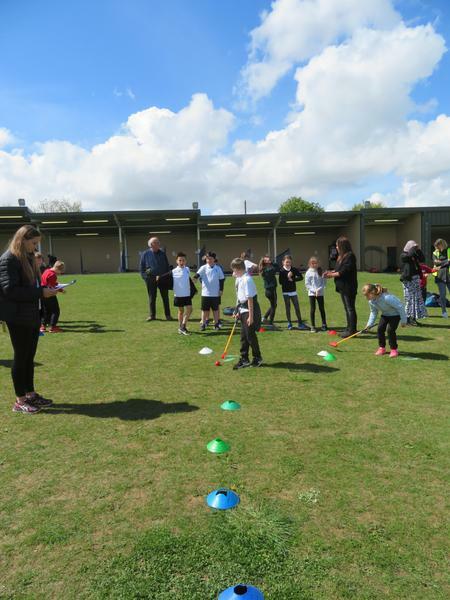 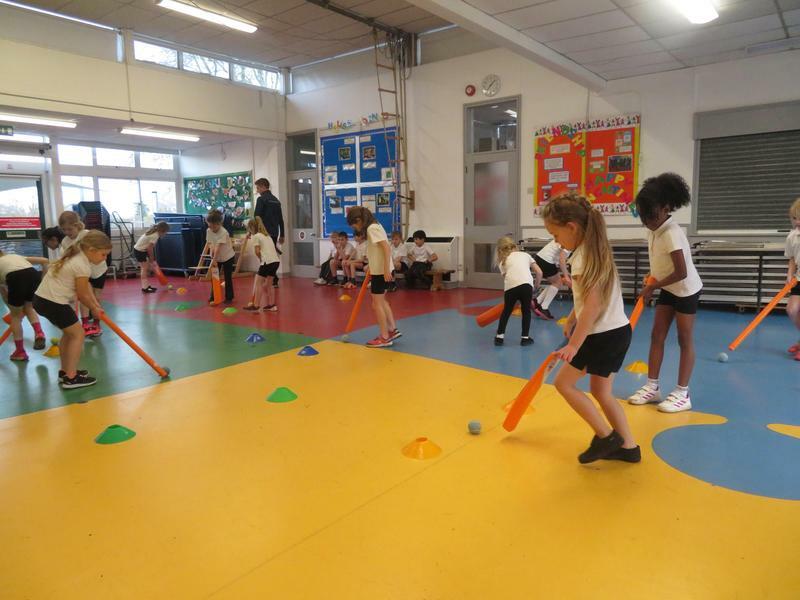 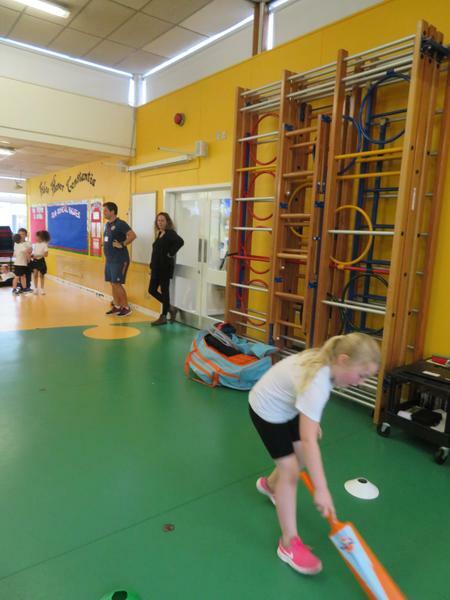 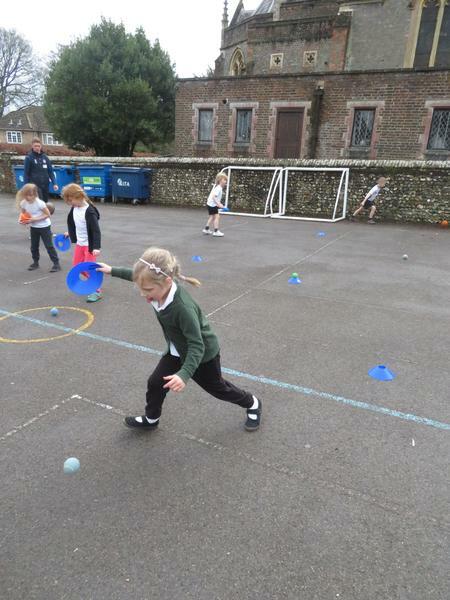 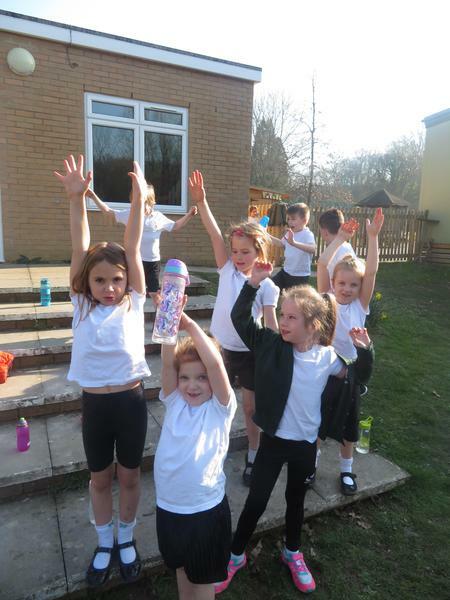 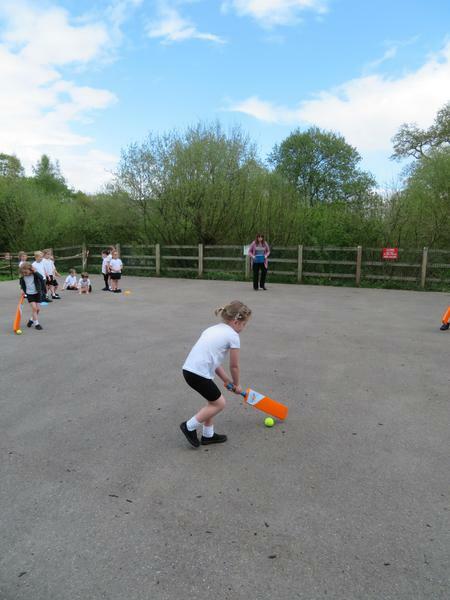 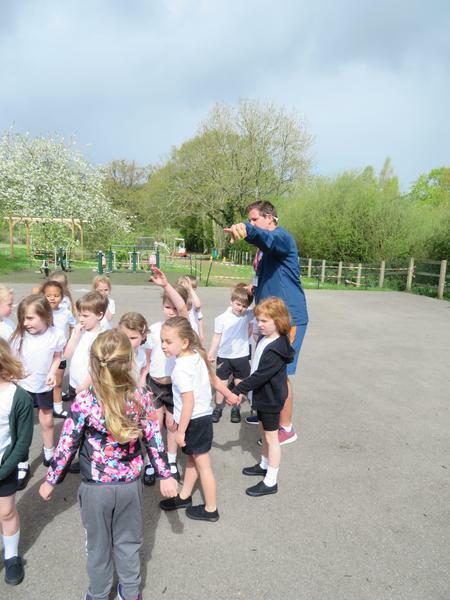 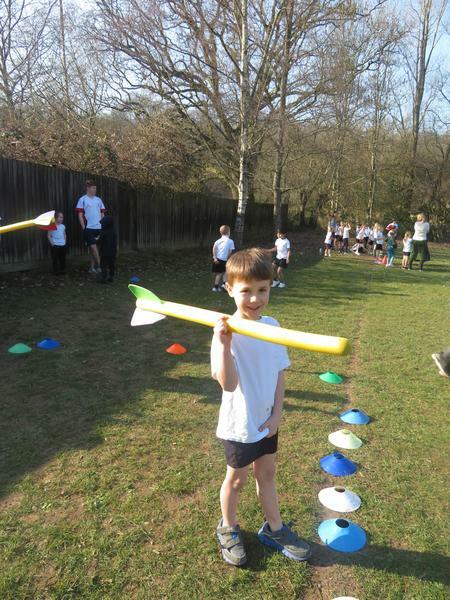 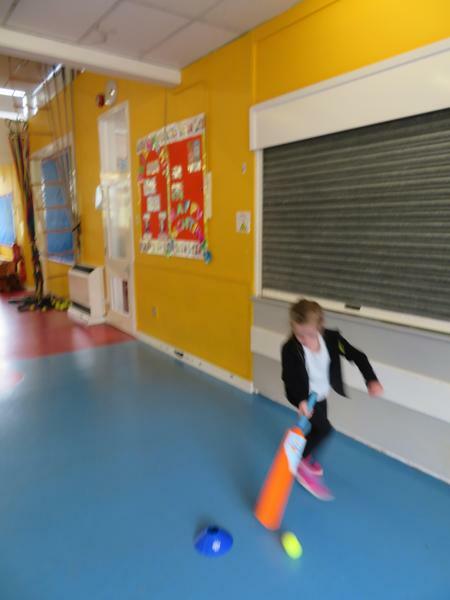 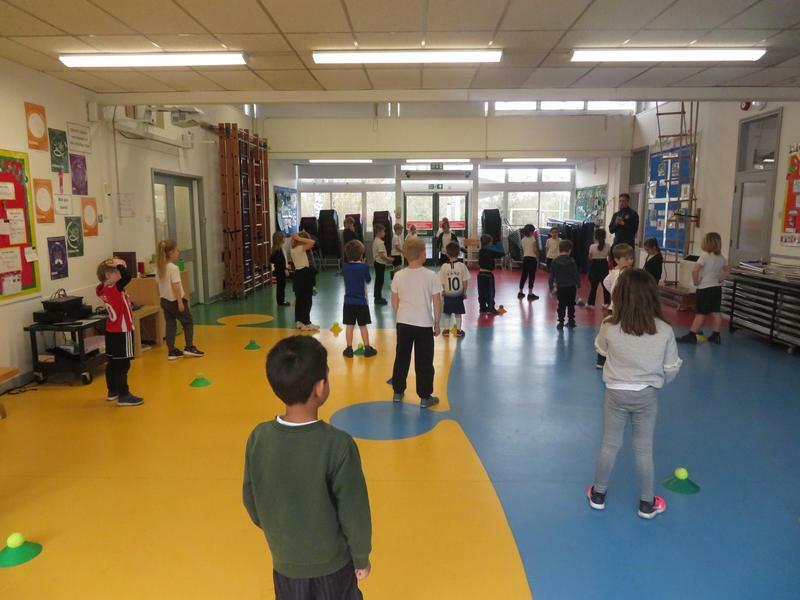 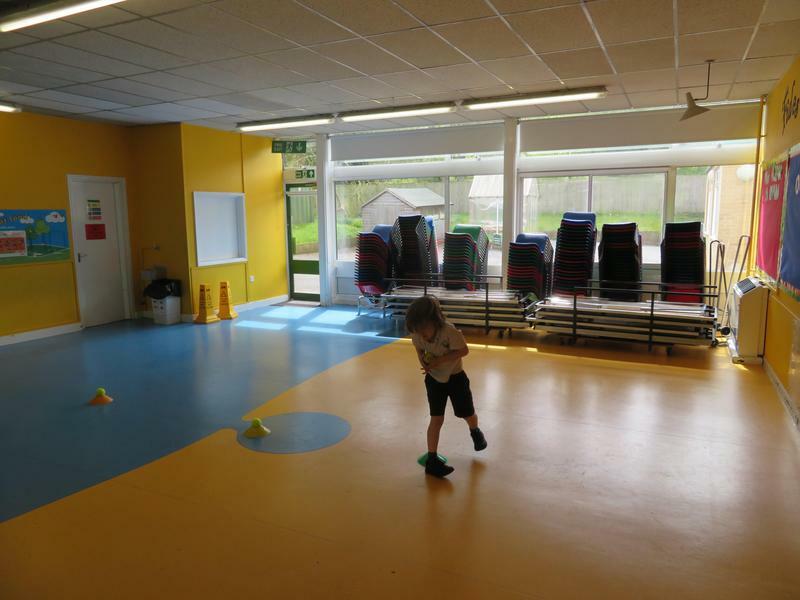 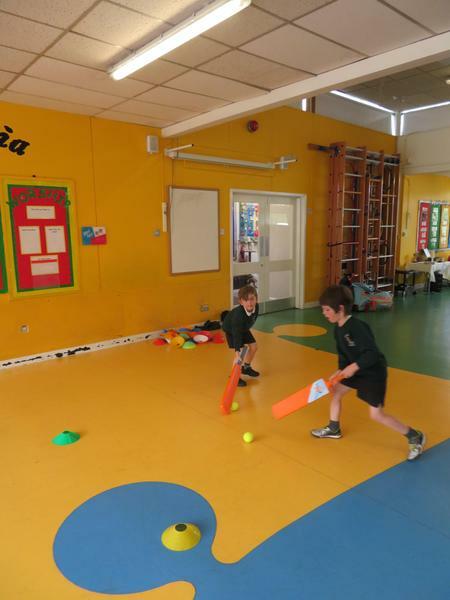 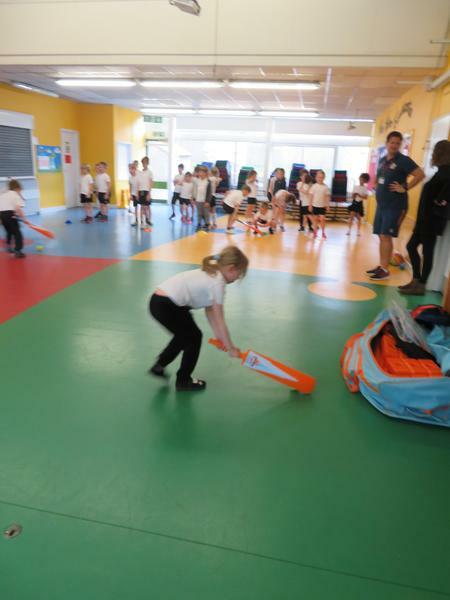 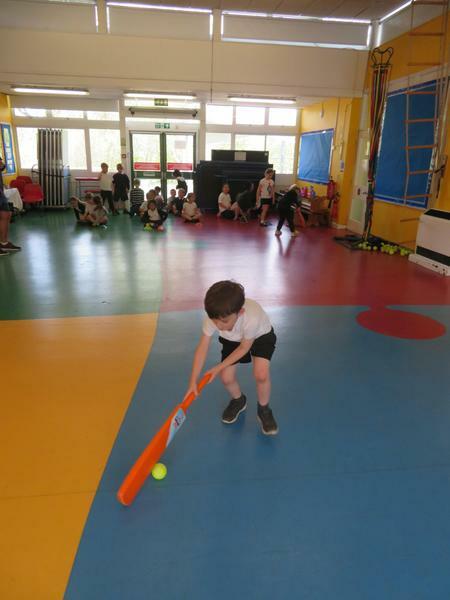 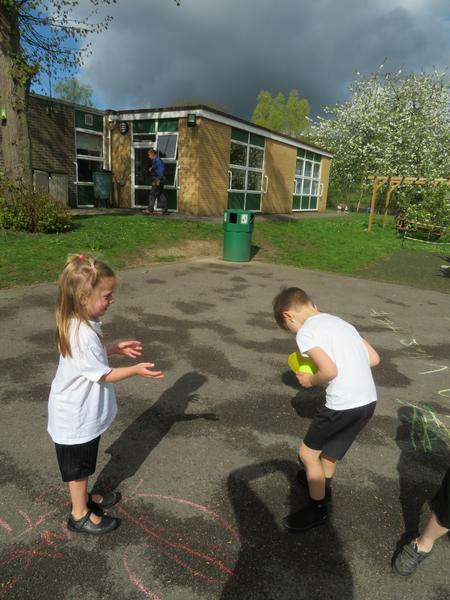 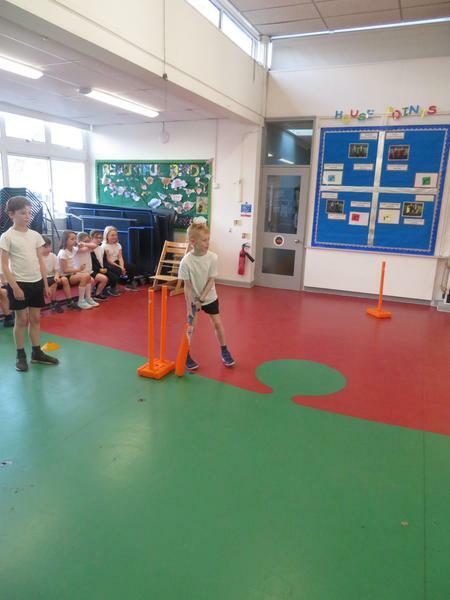 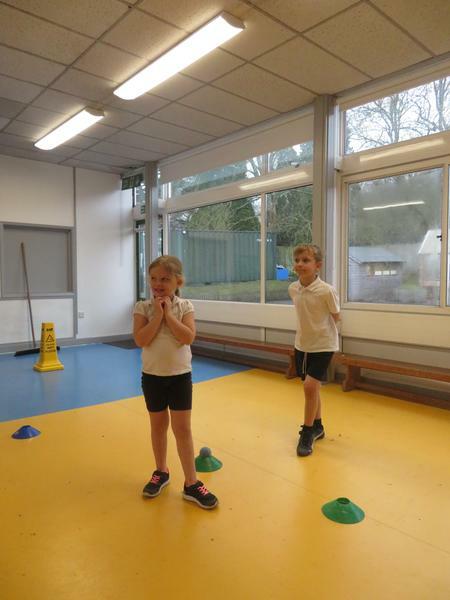 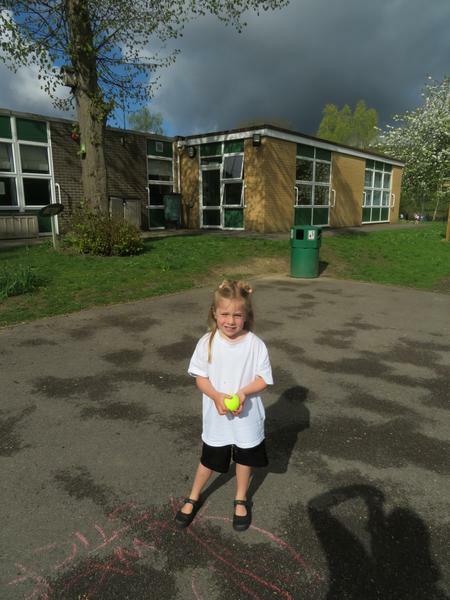 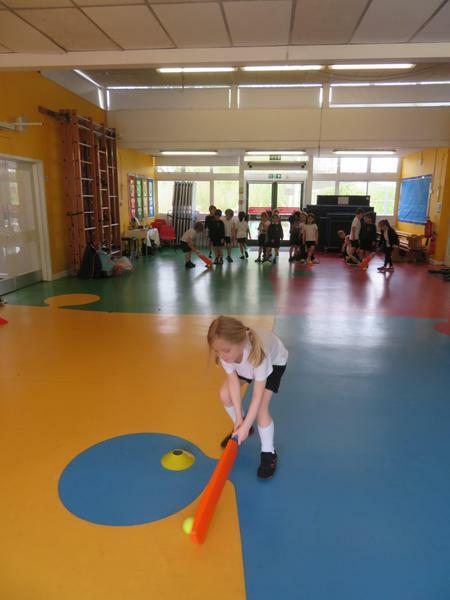 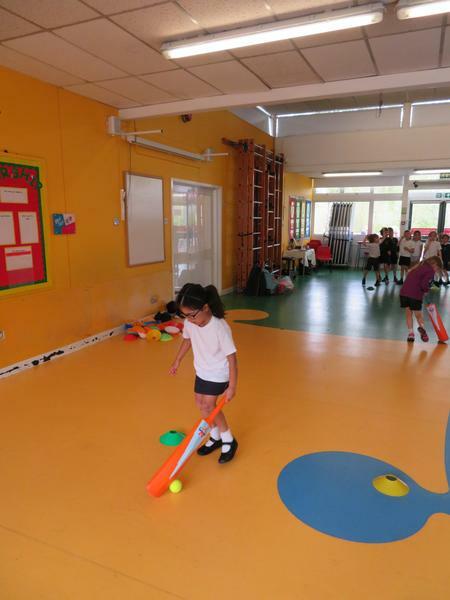 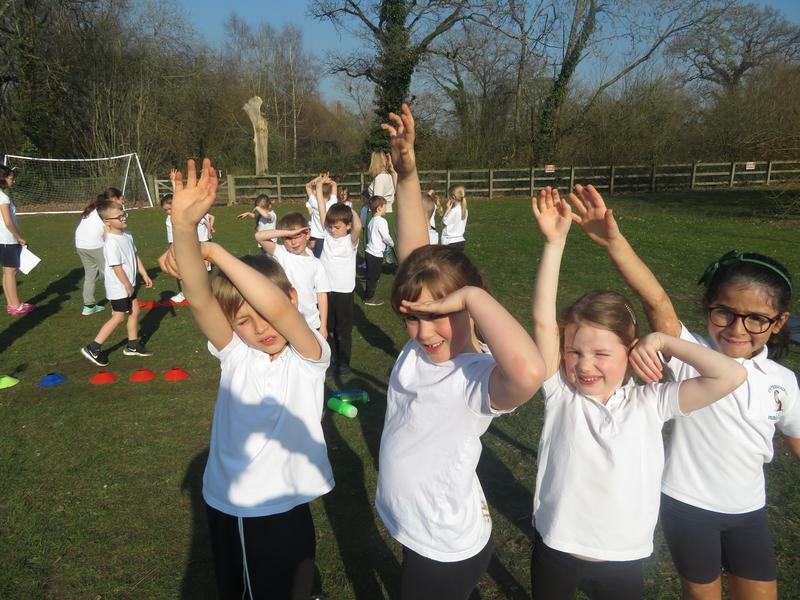 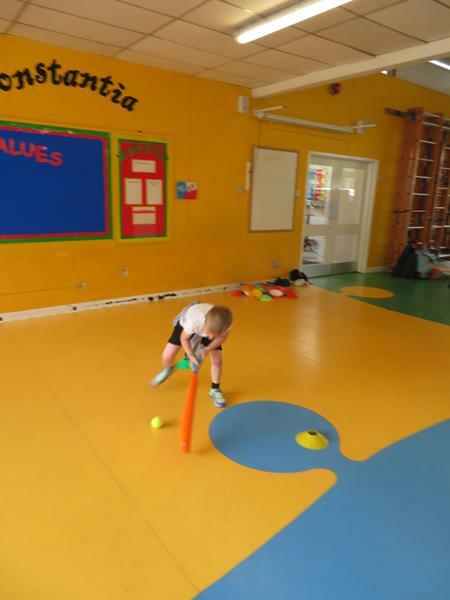 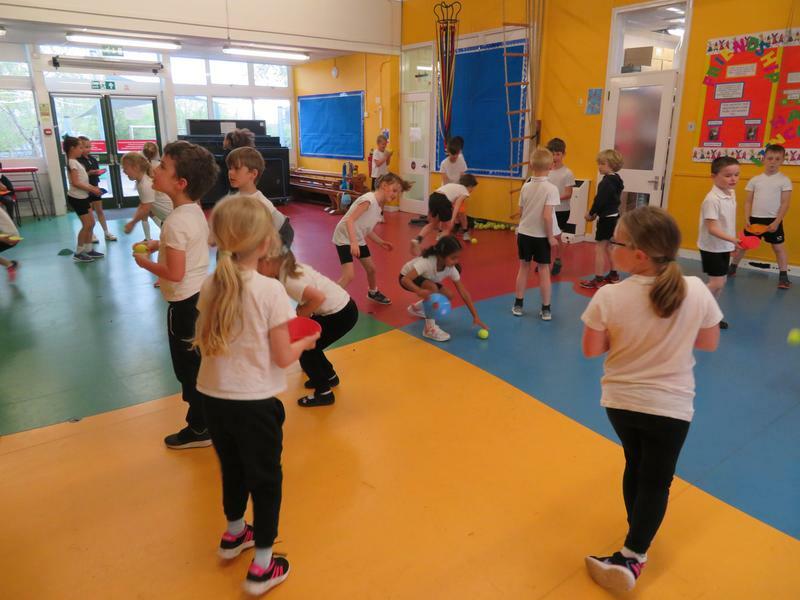 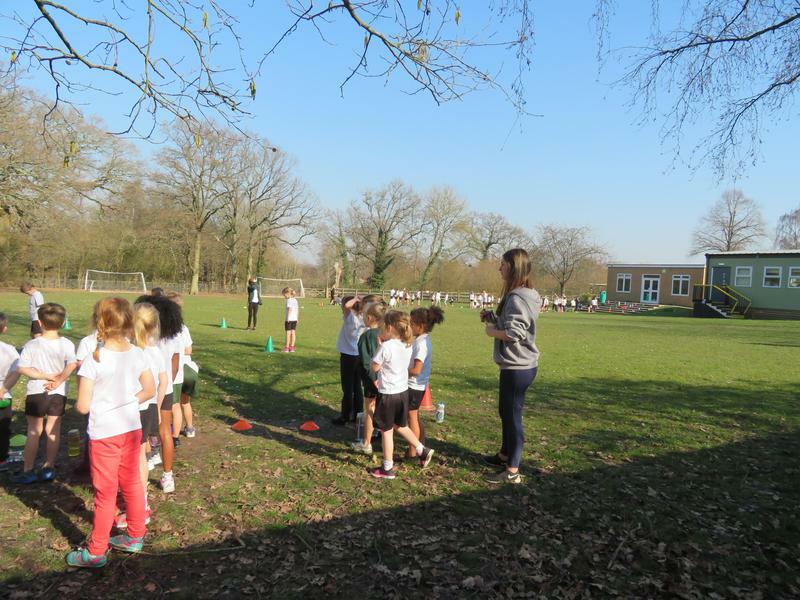 As most of you are aware, Otterbourne CE Primary School provides the children with opportunities to participate in a wide variety of sport. 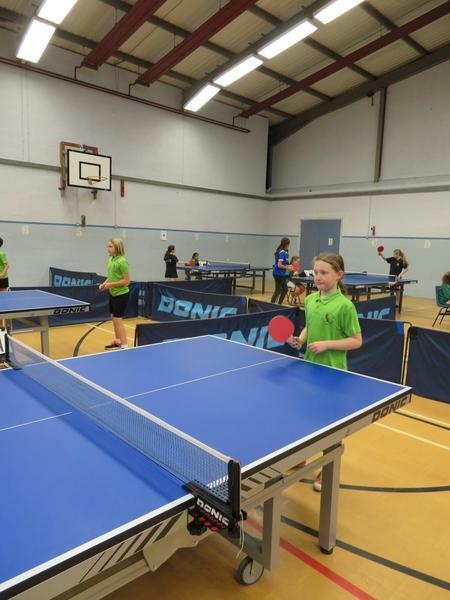 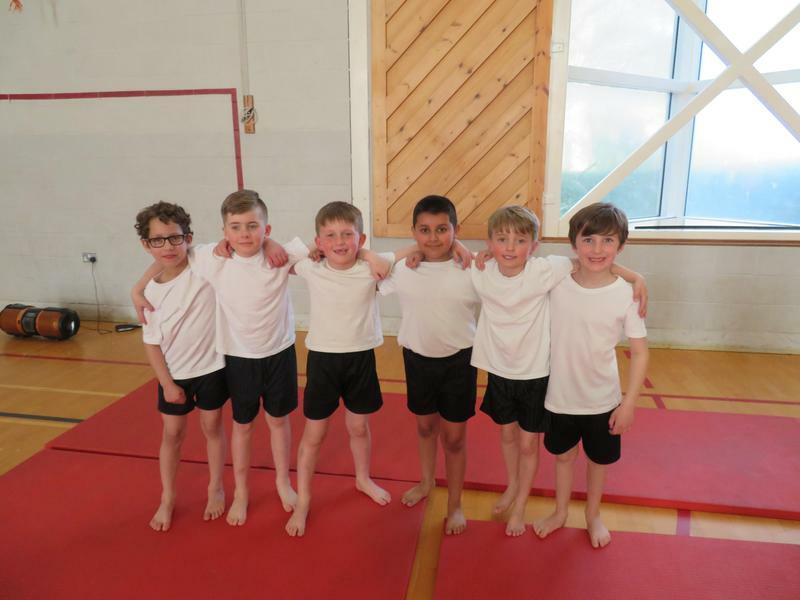 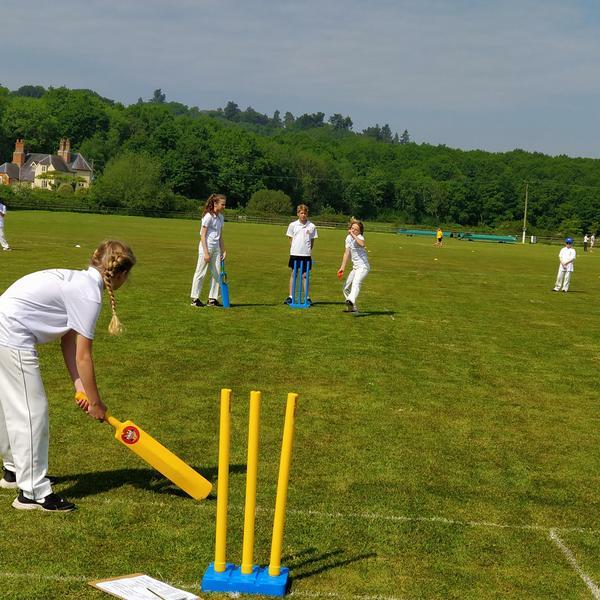 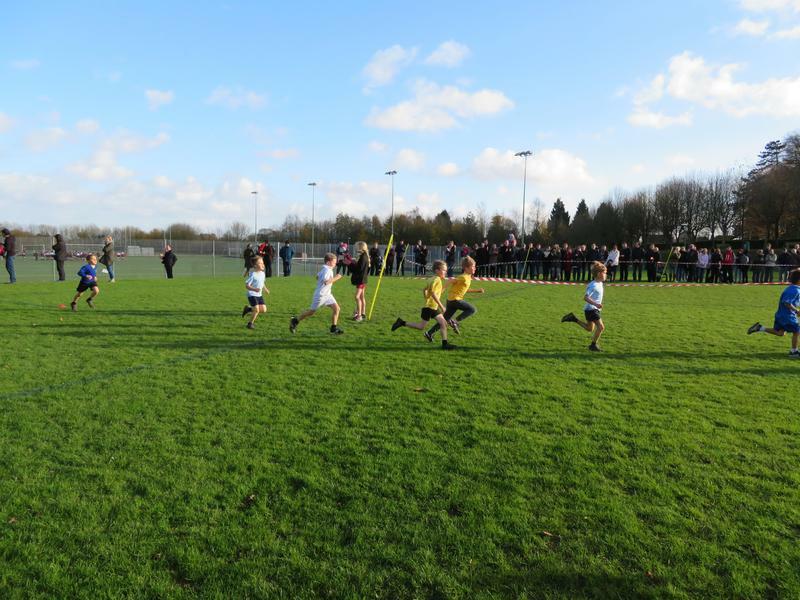 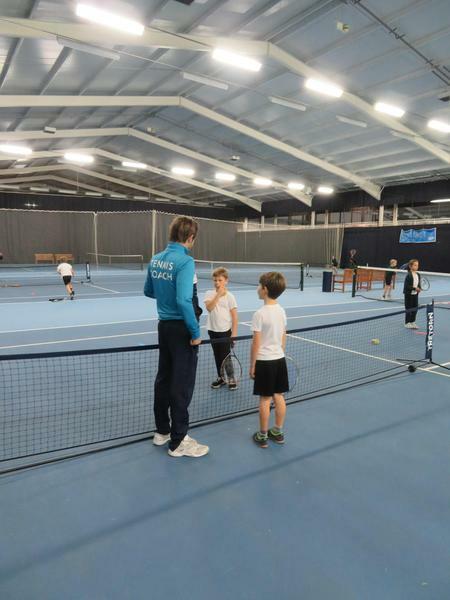 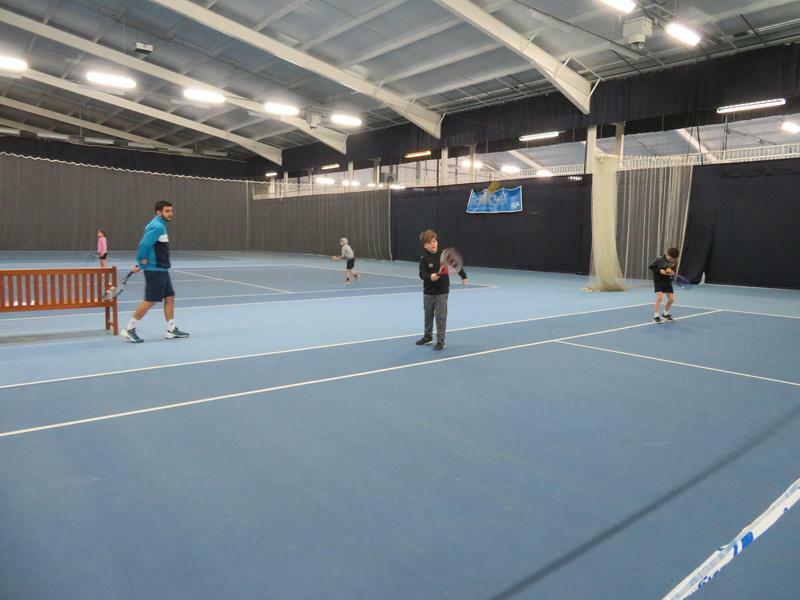 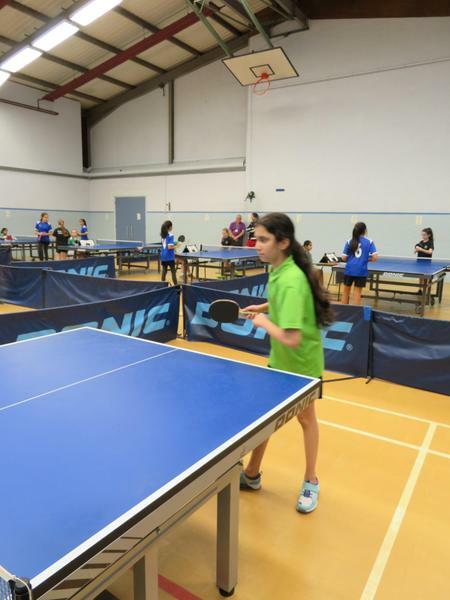 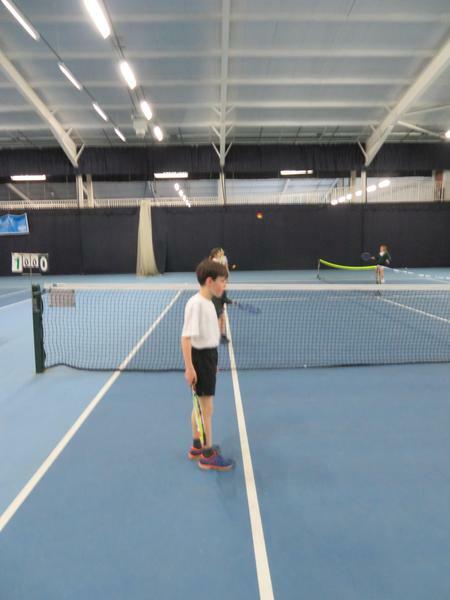 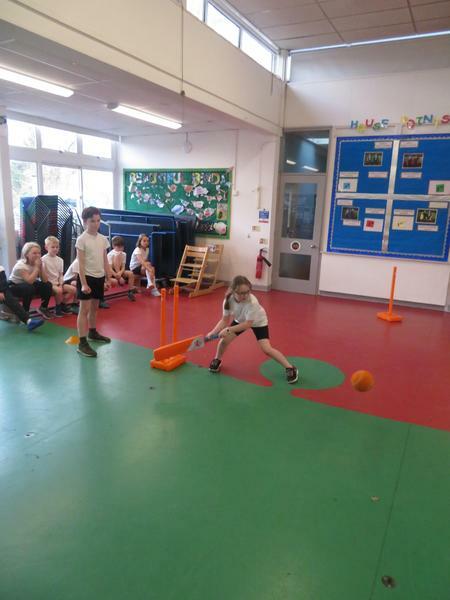 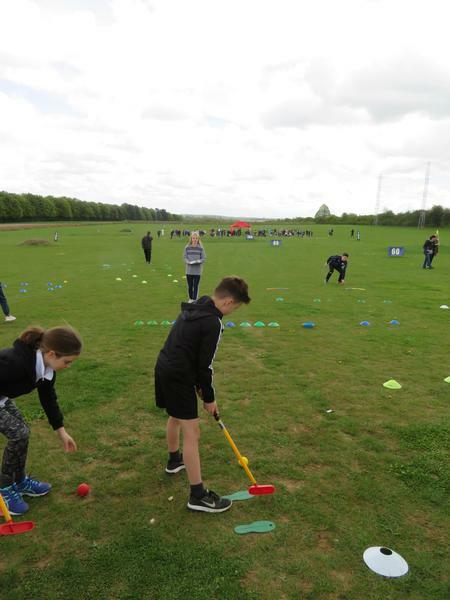 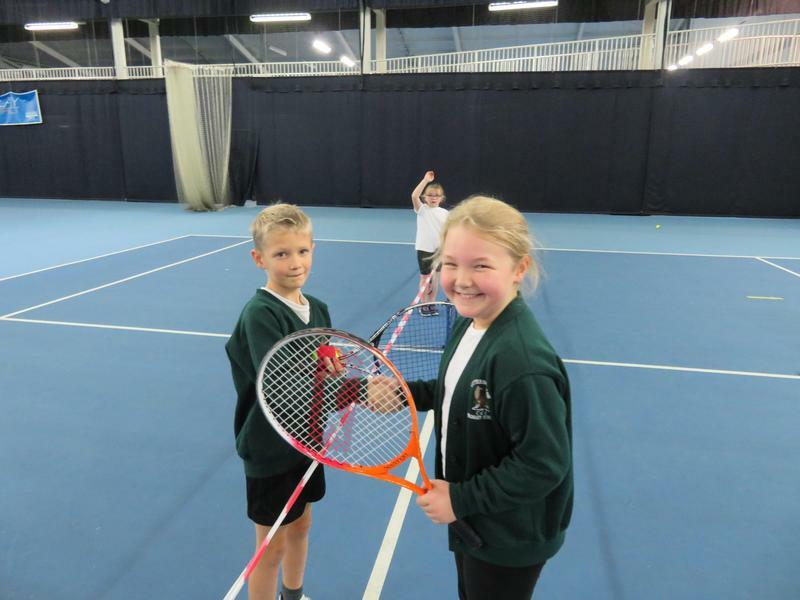 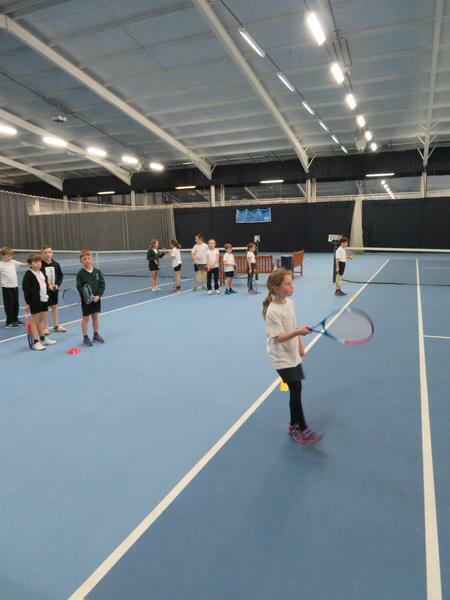 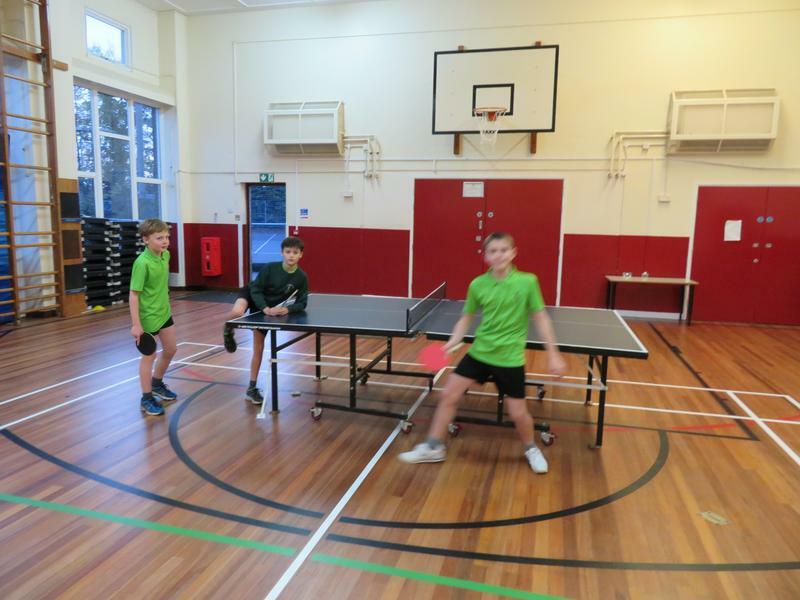 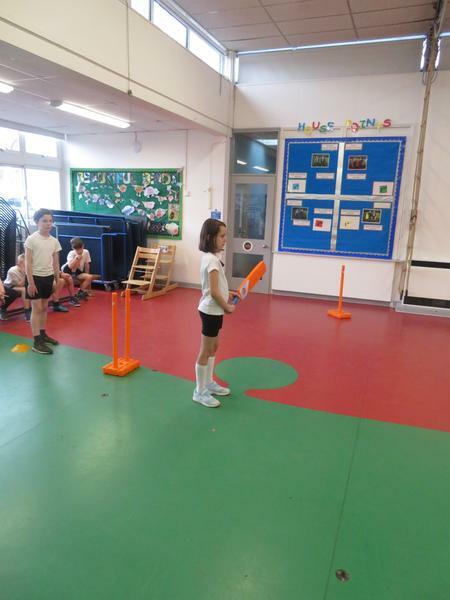 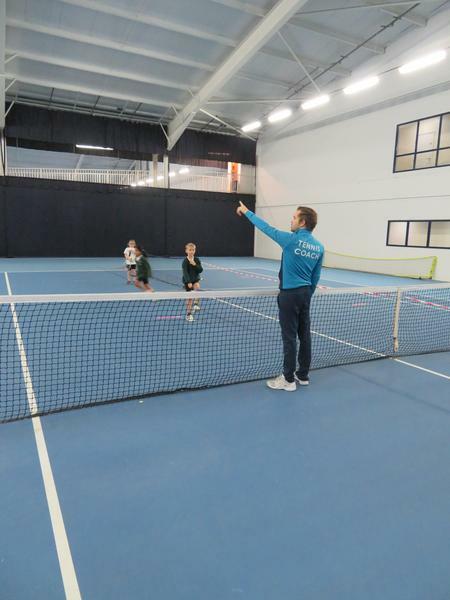 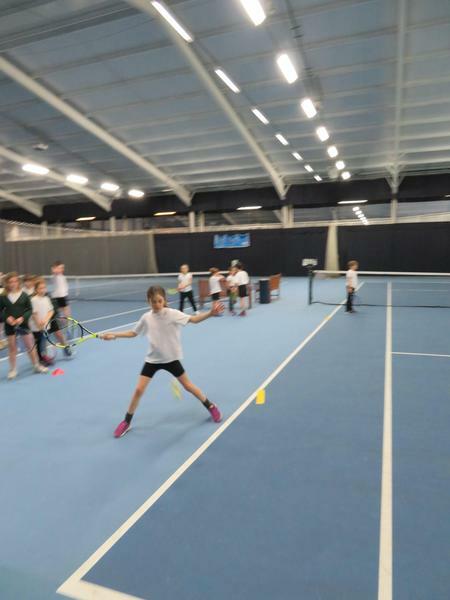 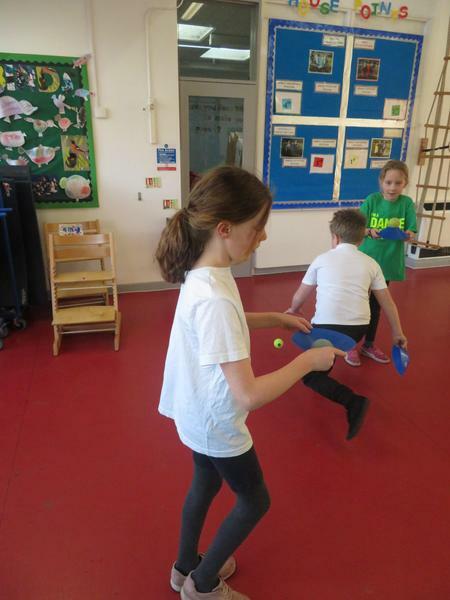 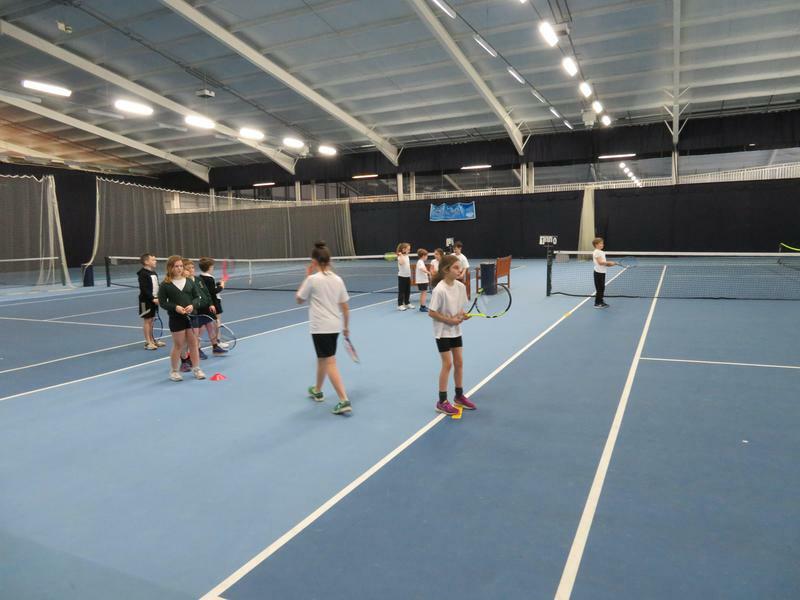 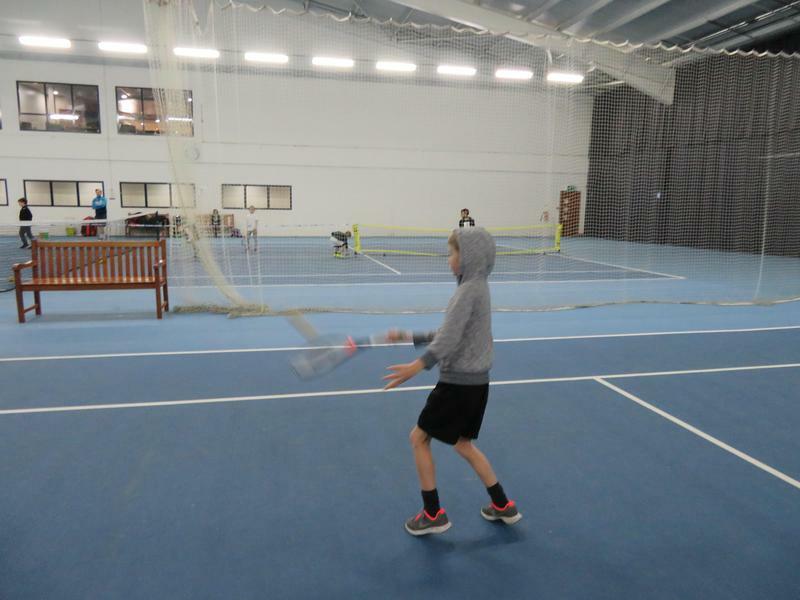 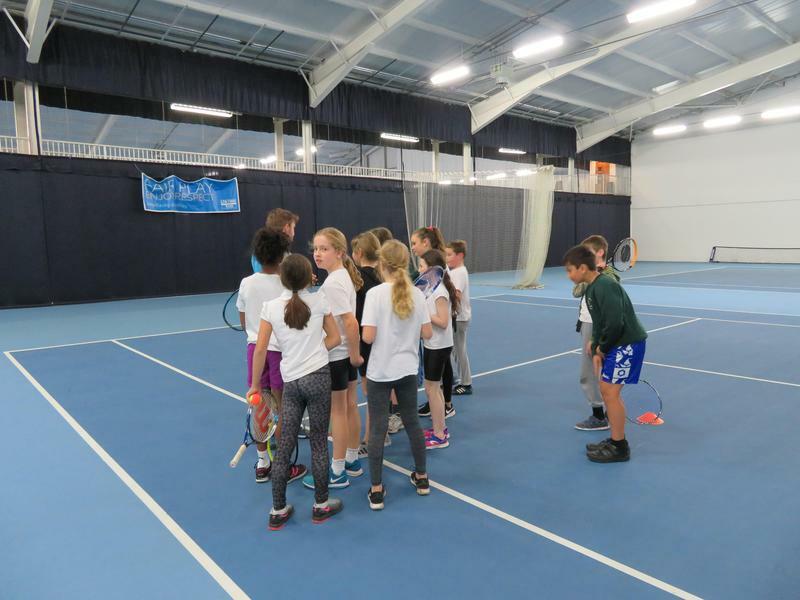 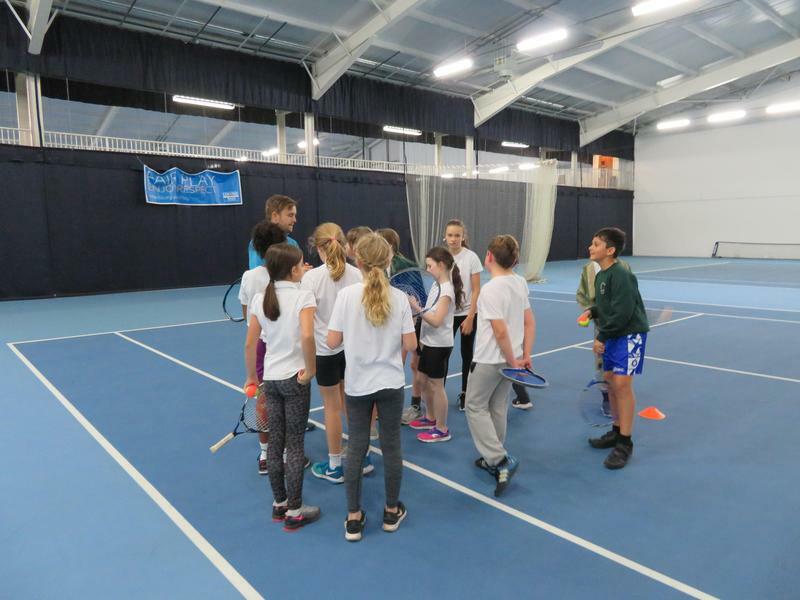 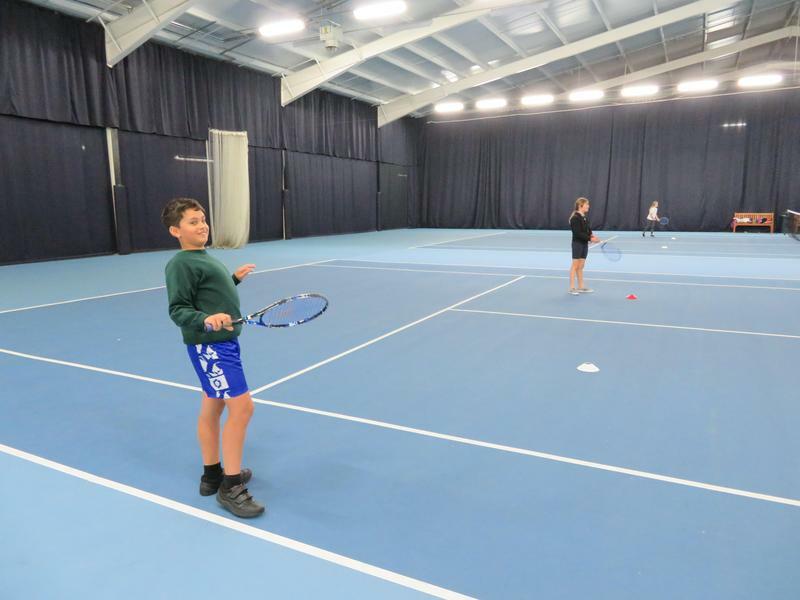 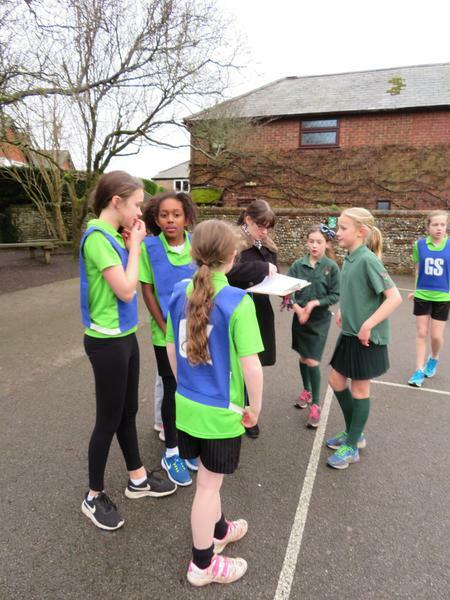 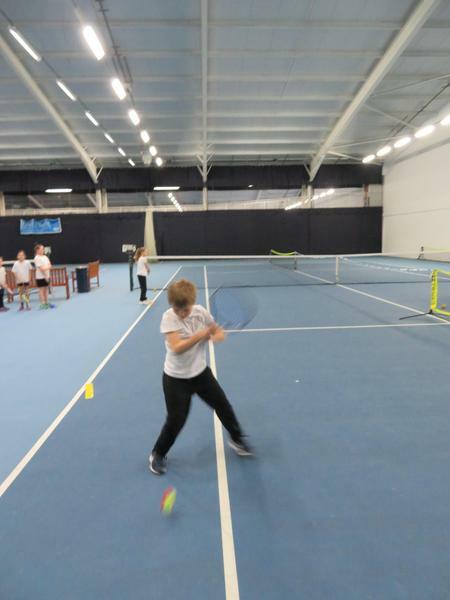 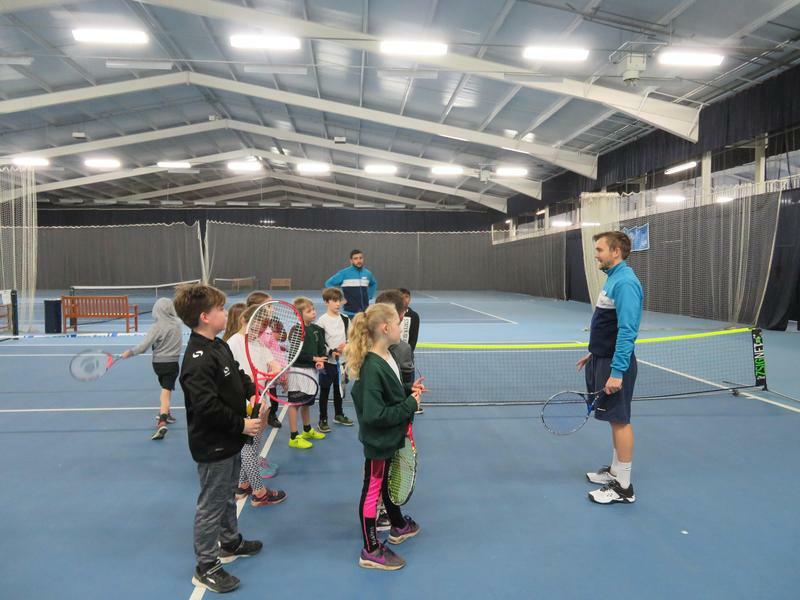 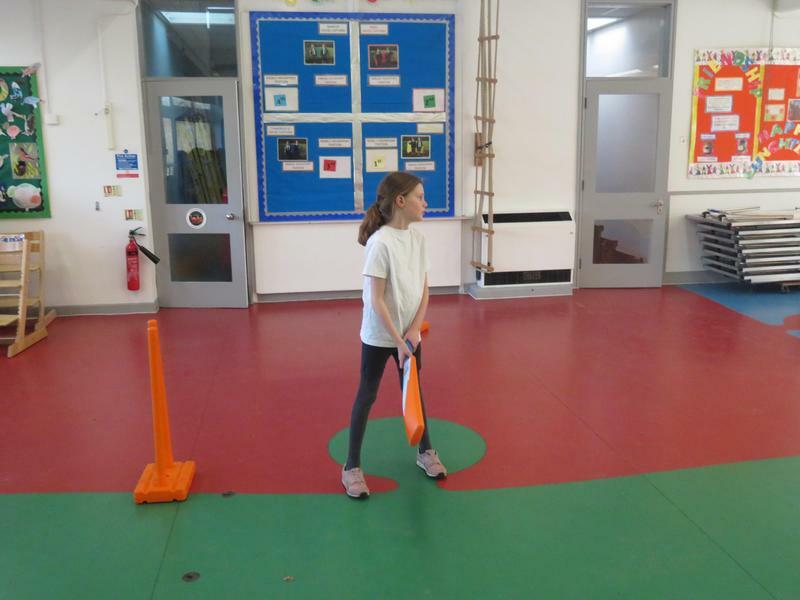 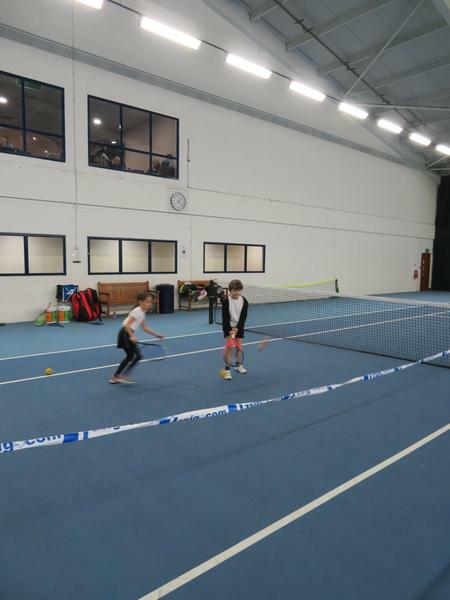 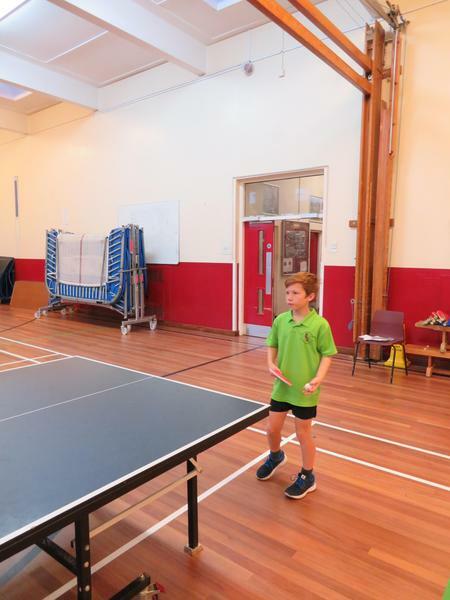 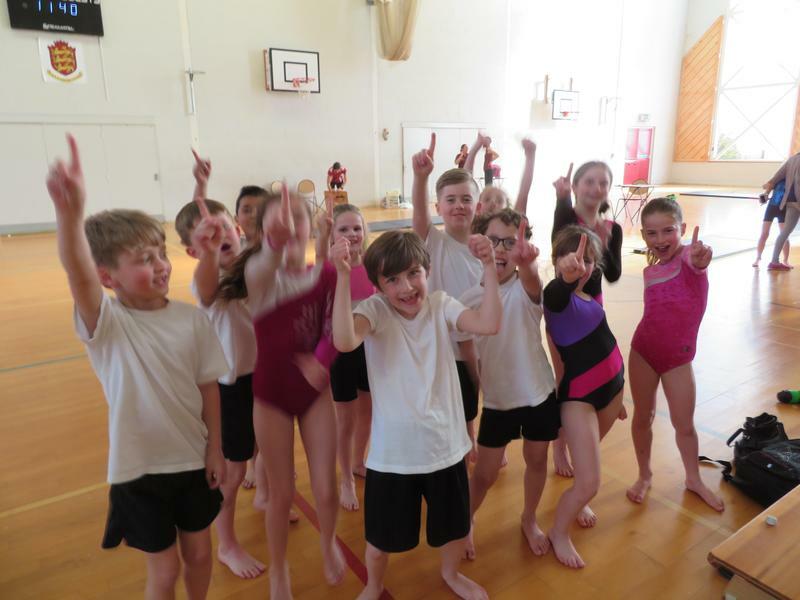 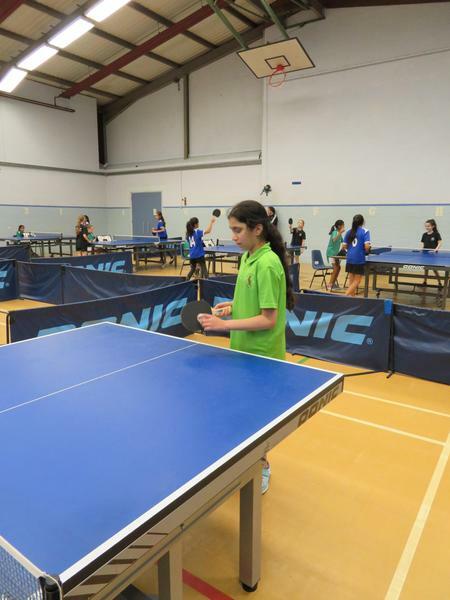 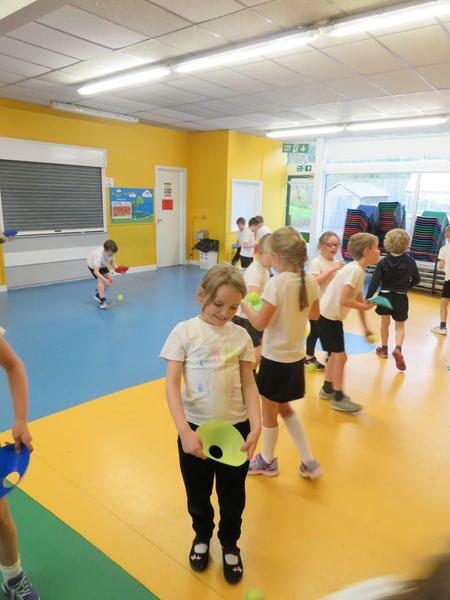 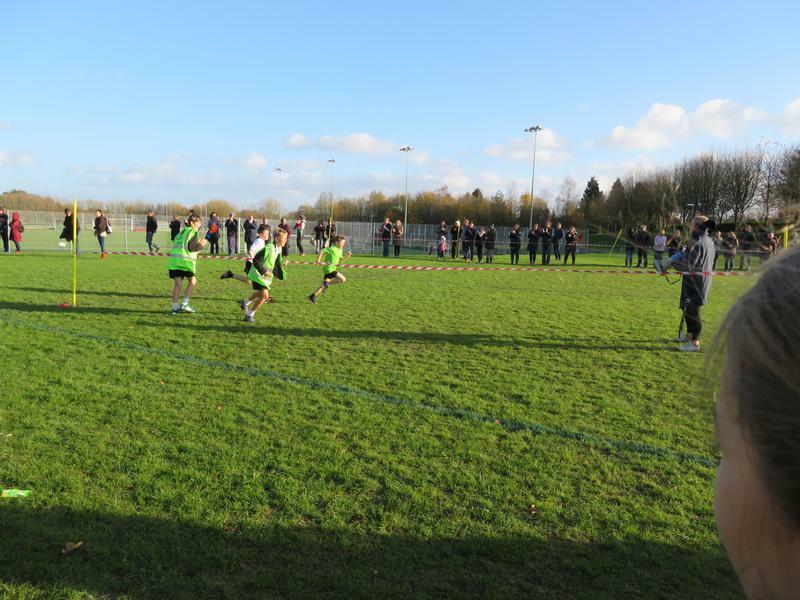 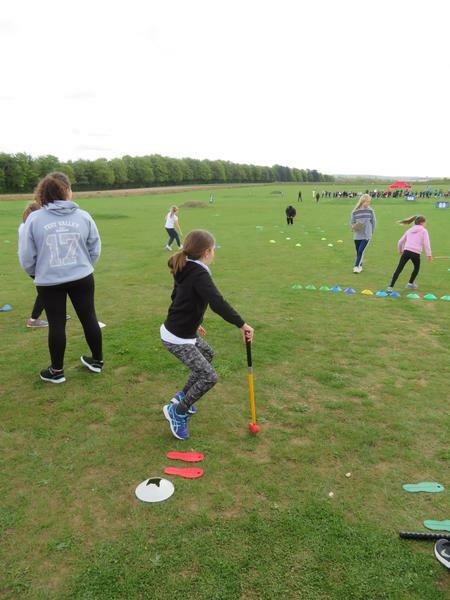 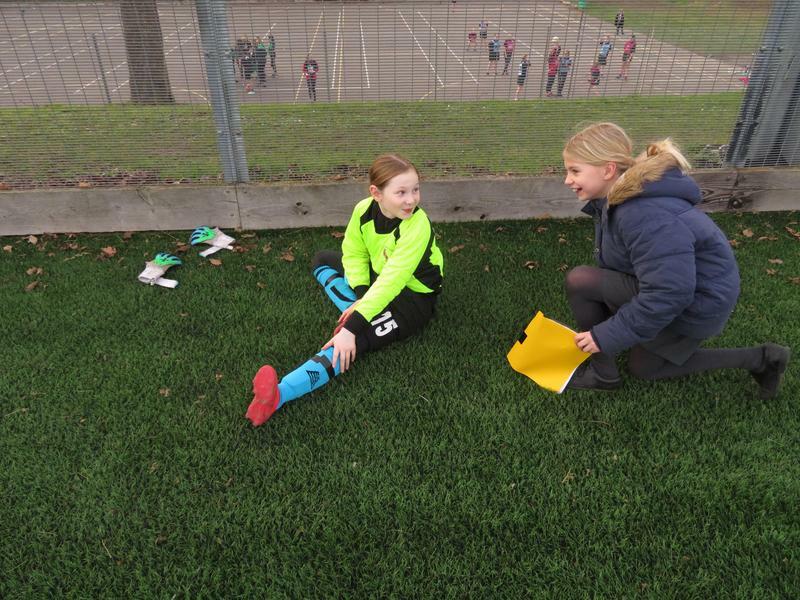 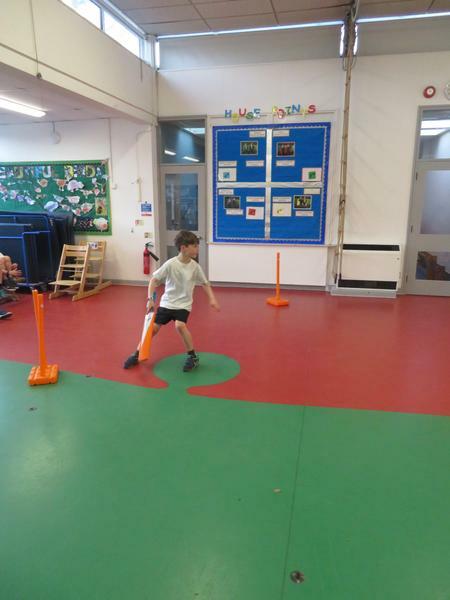 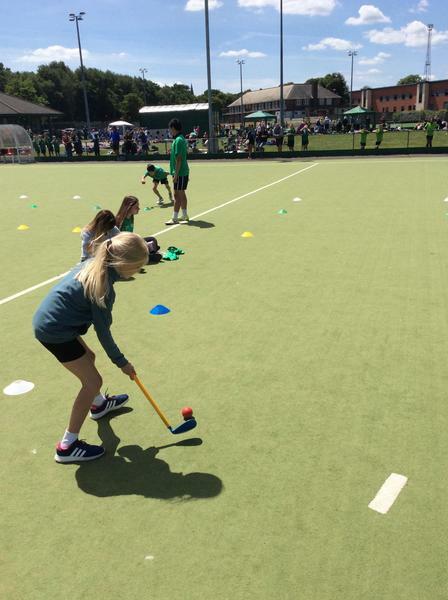 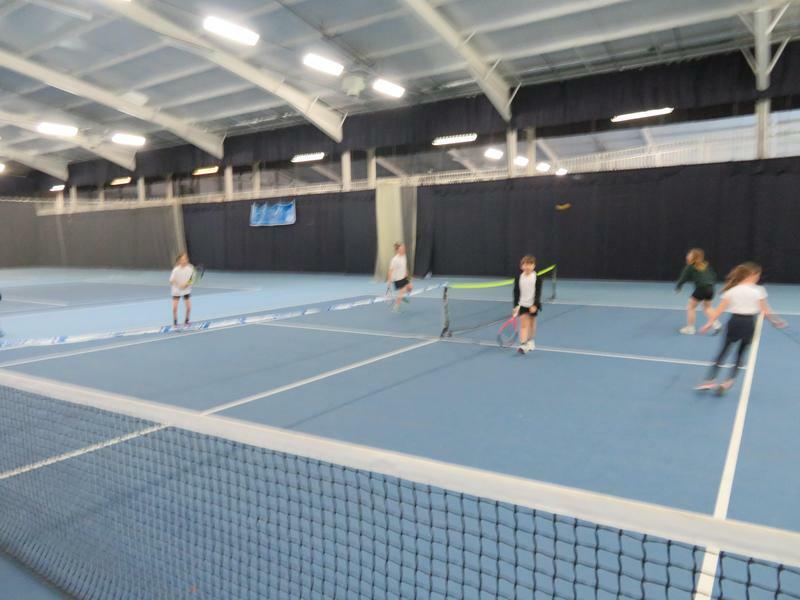 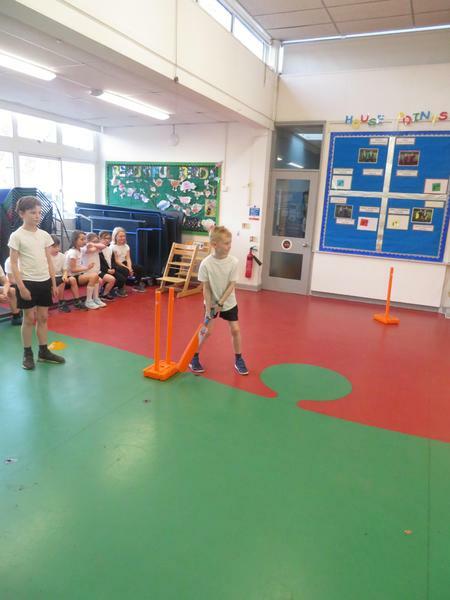 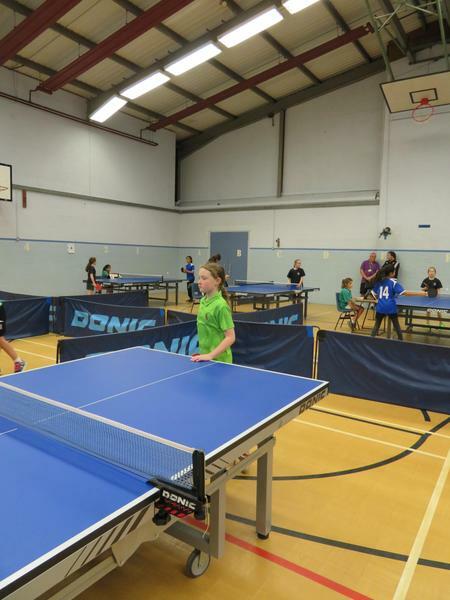 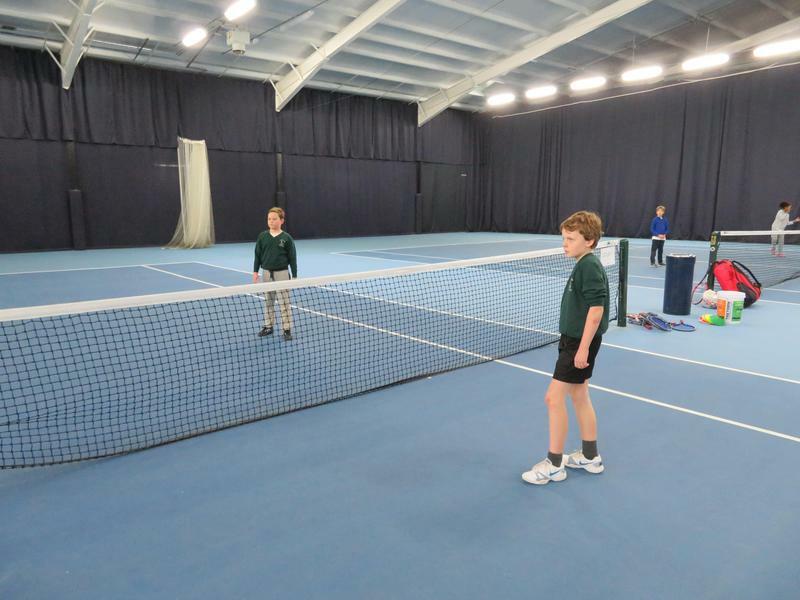 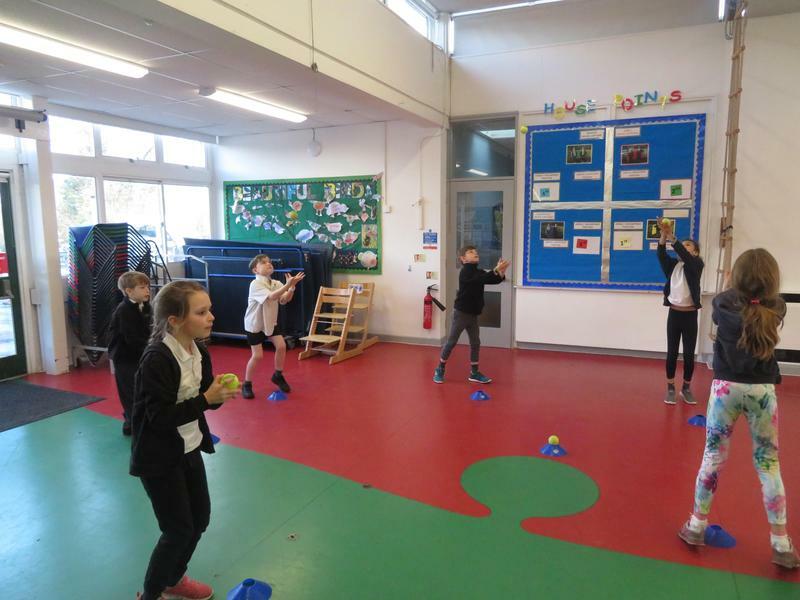 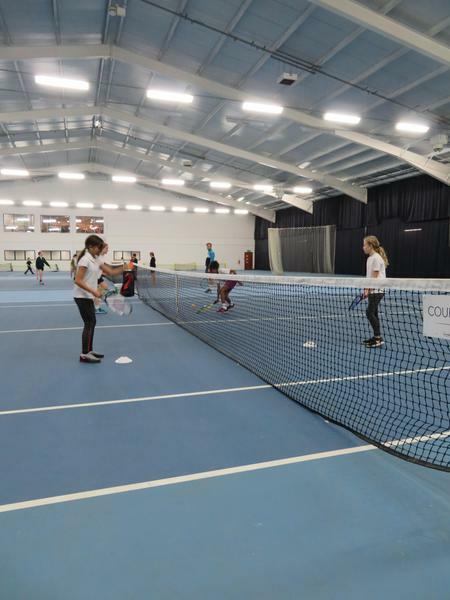 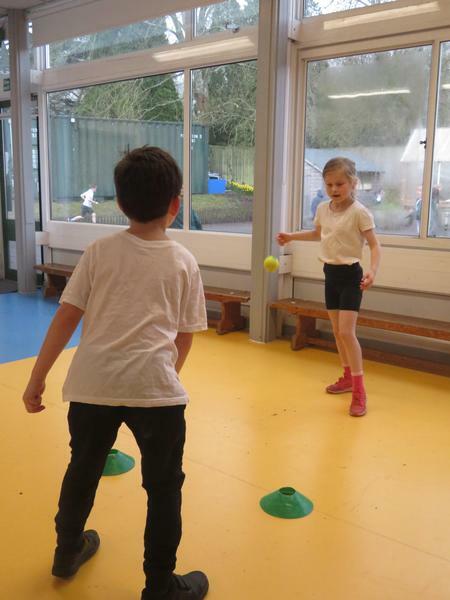 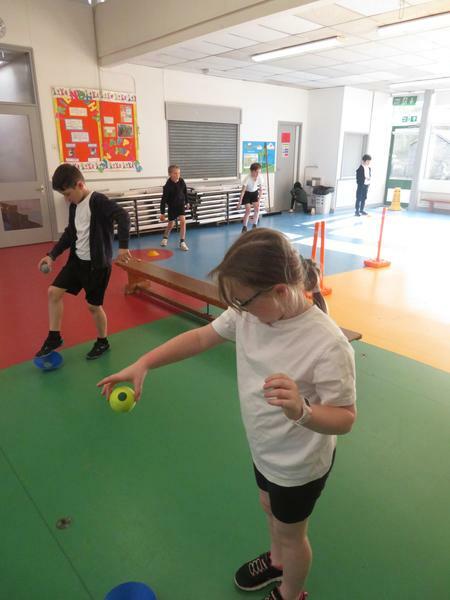 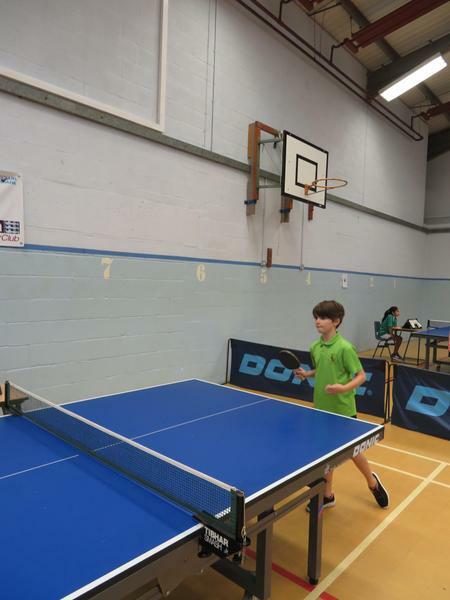 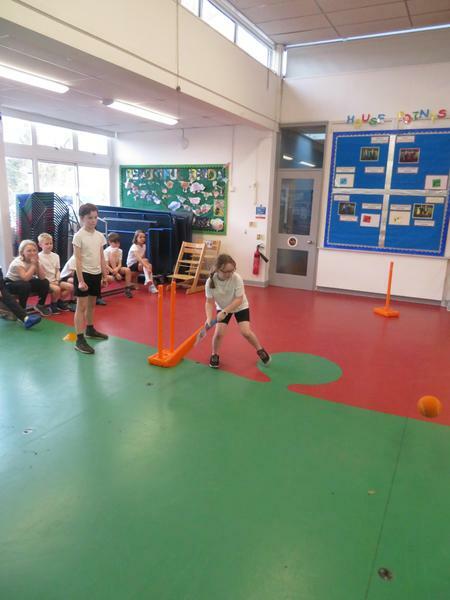 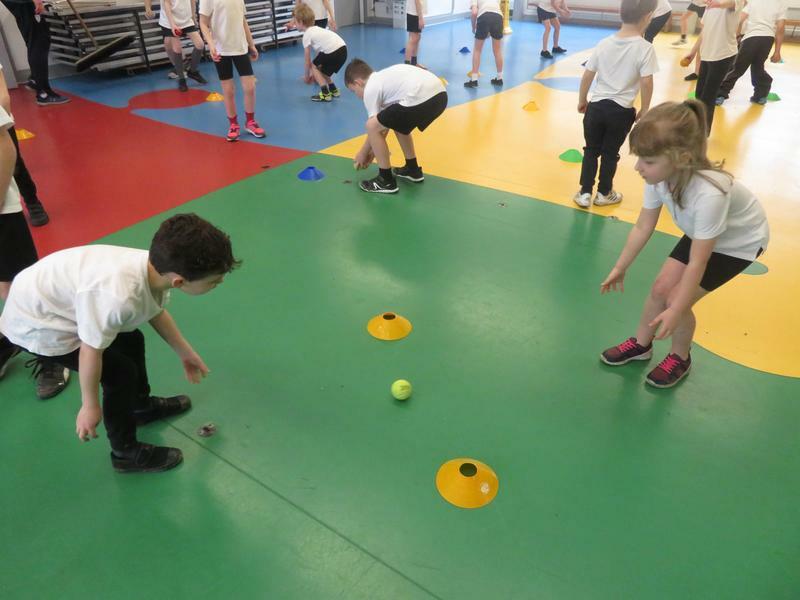 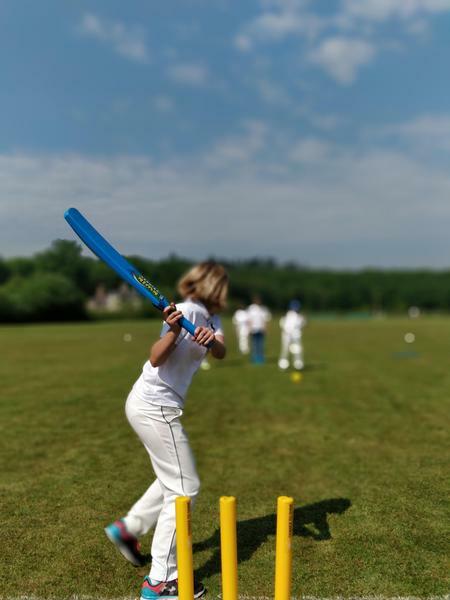 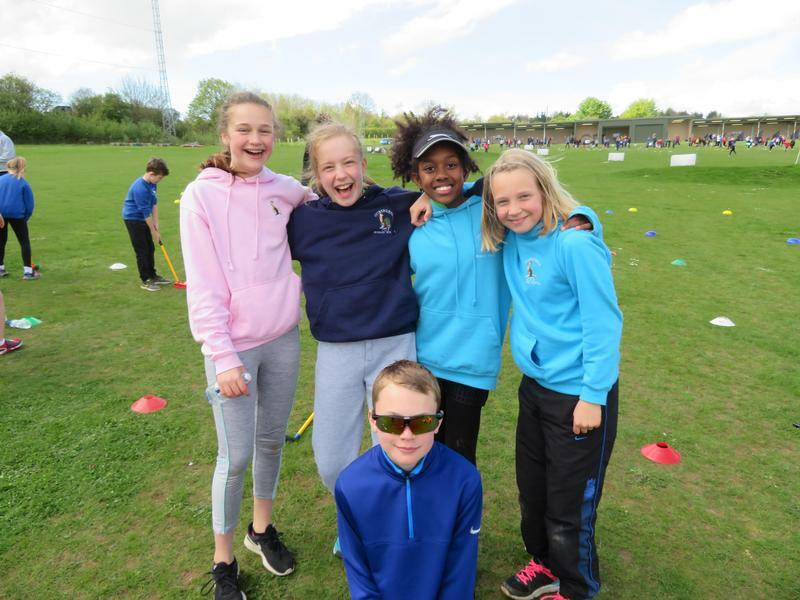 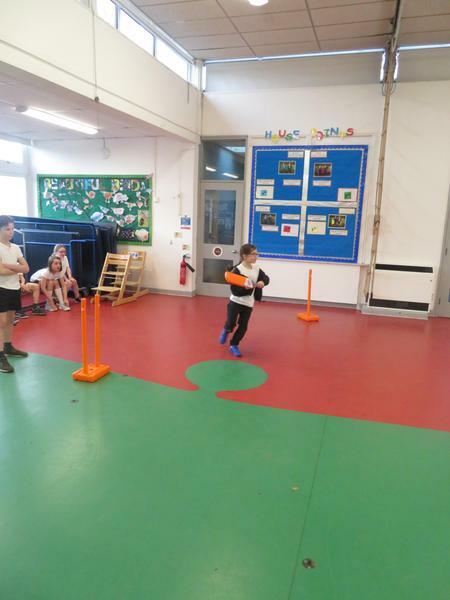 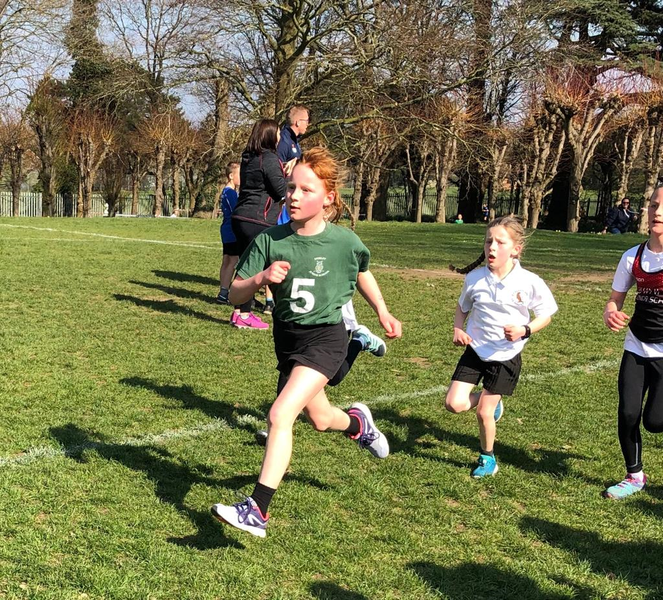 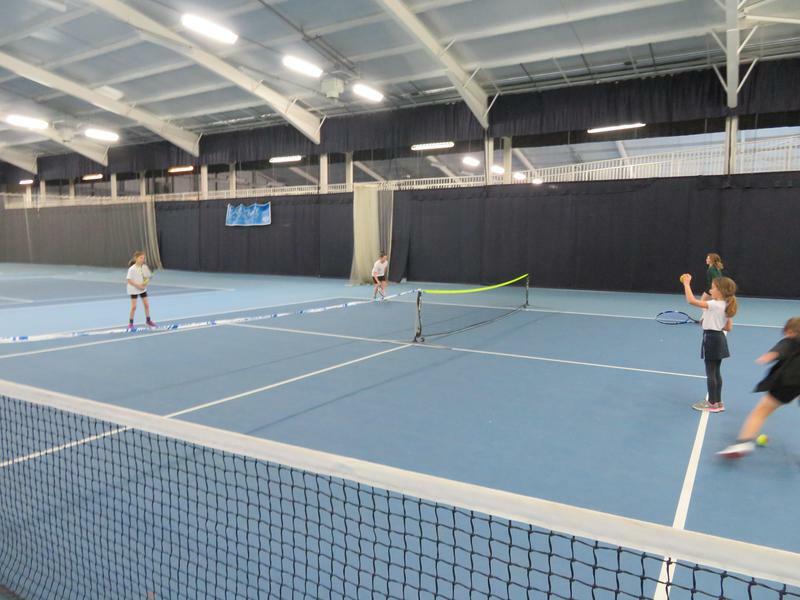 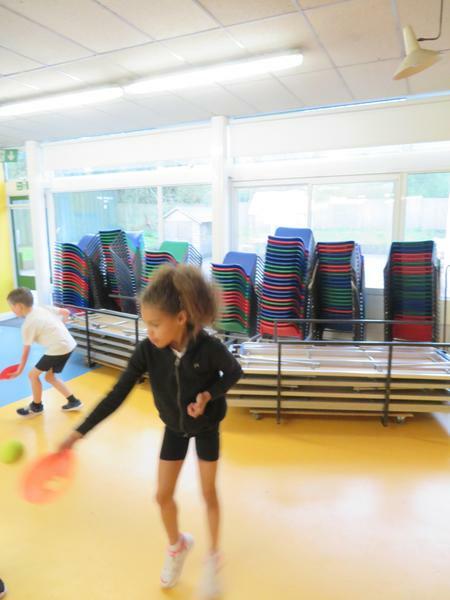 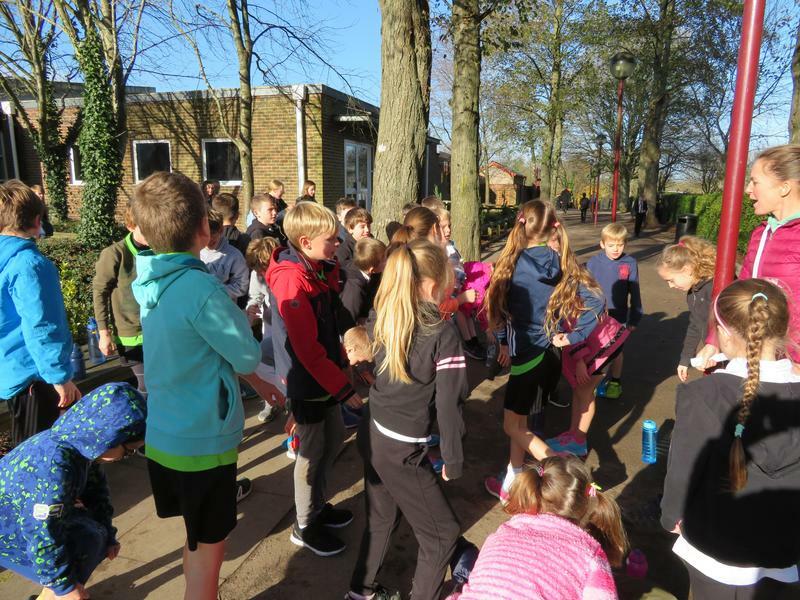 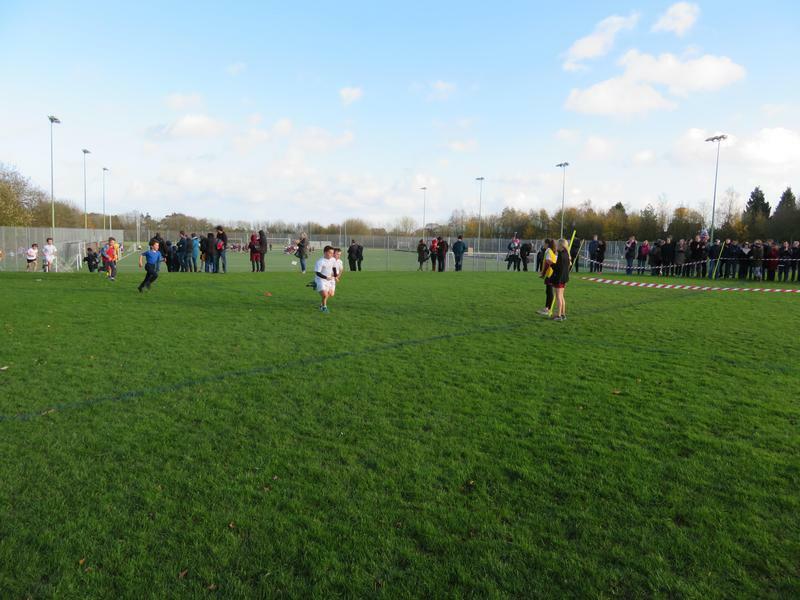 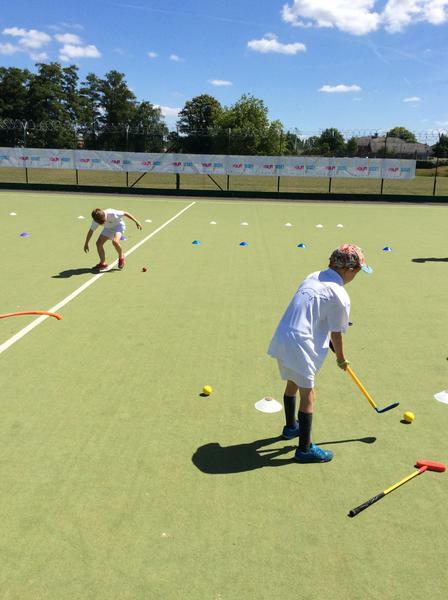 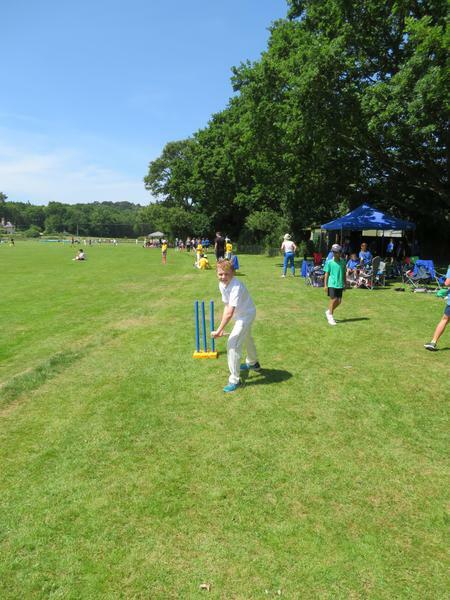 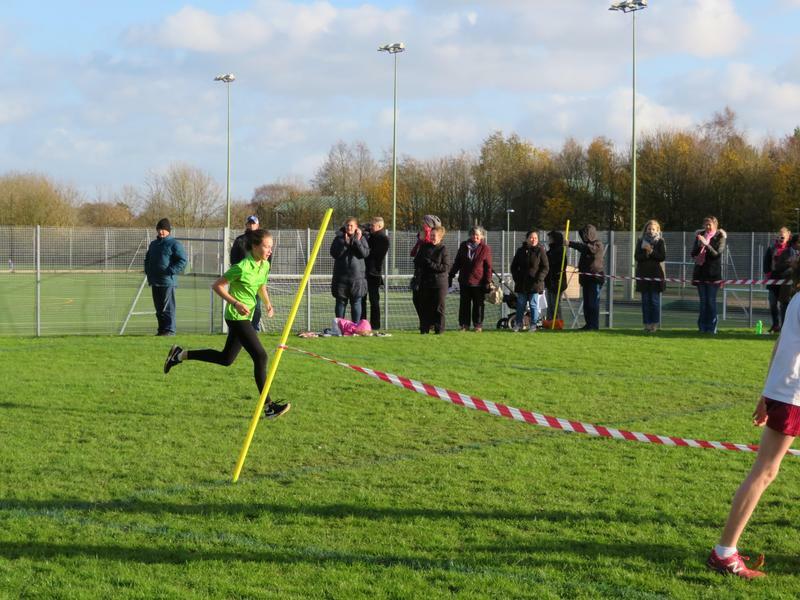 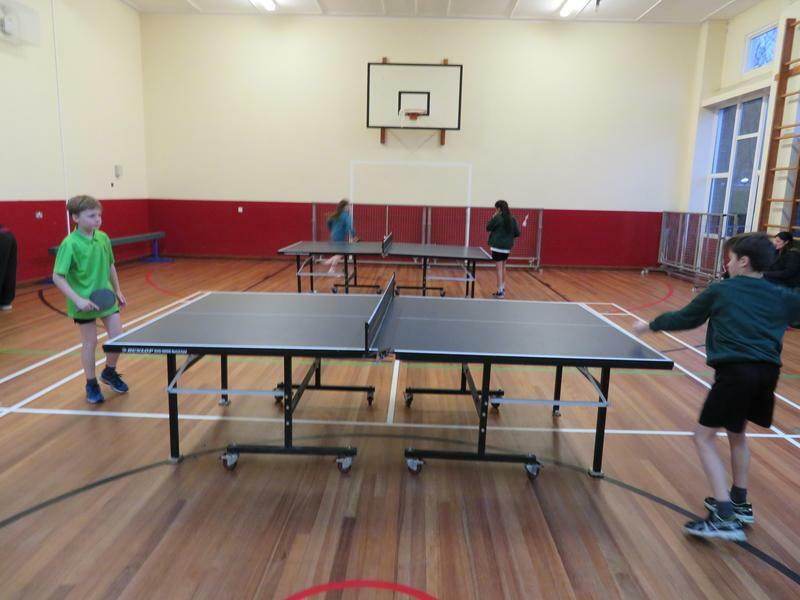 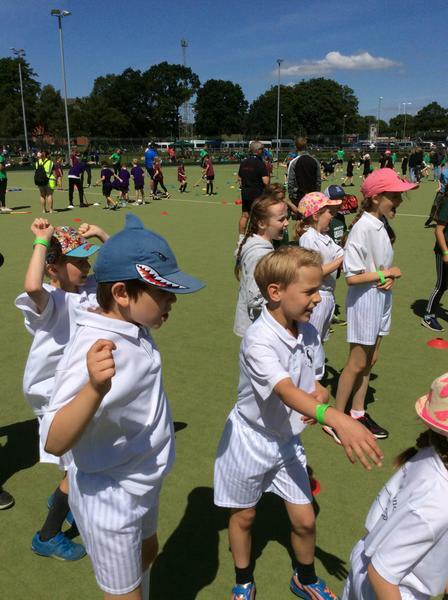 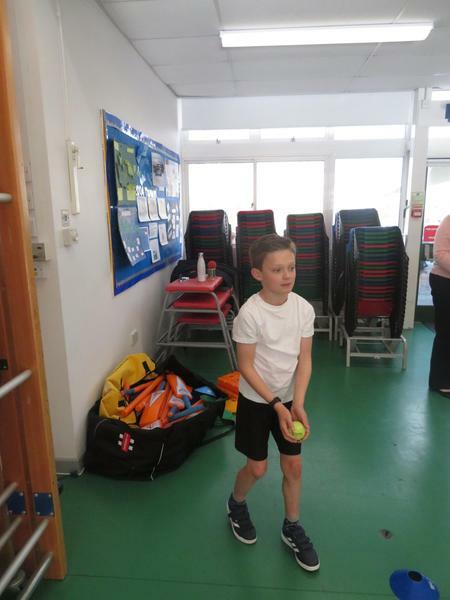 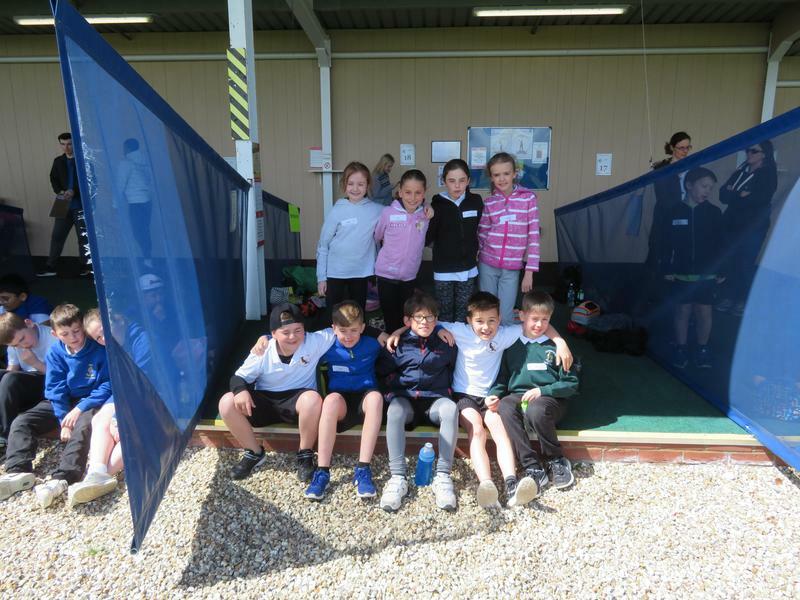 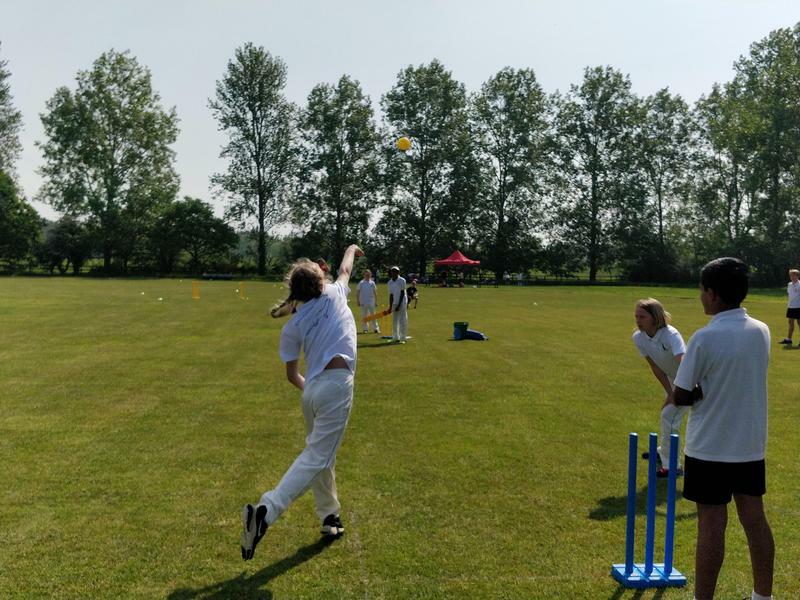 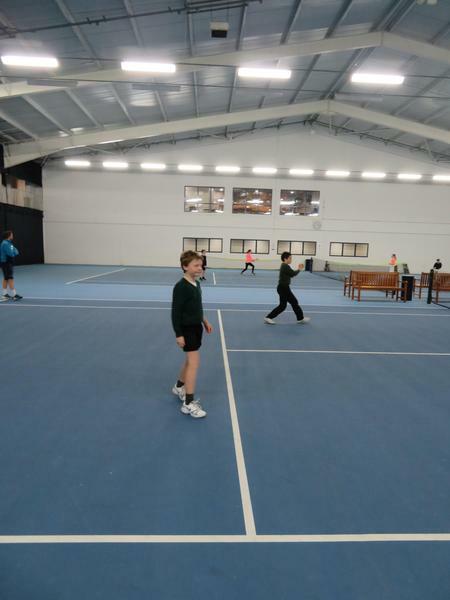 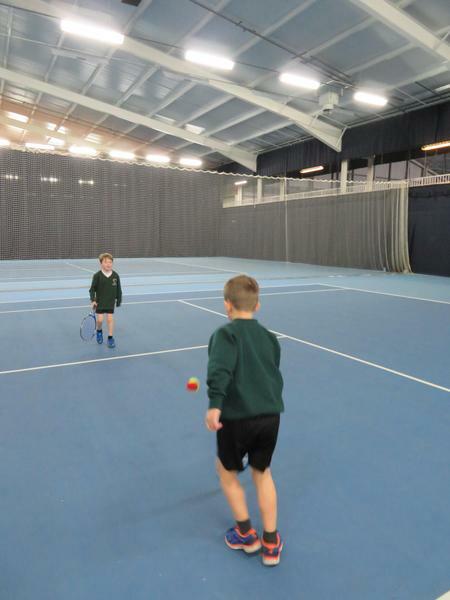 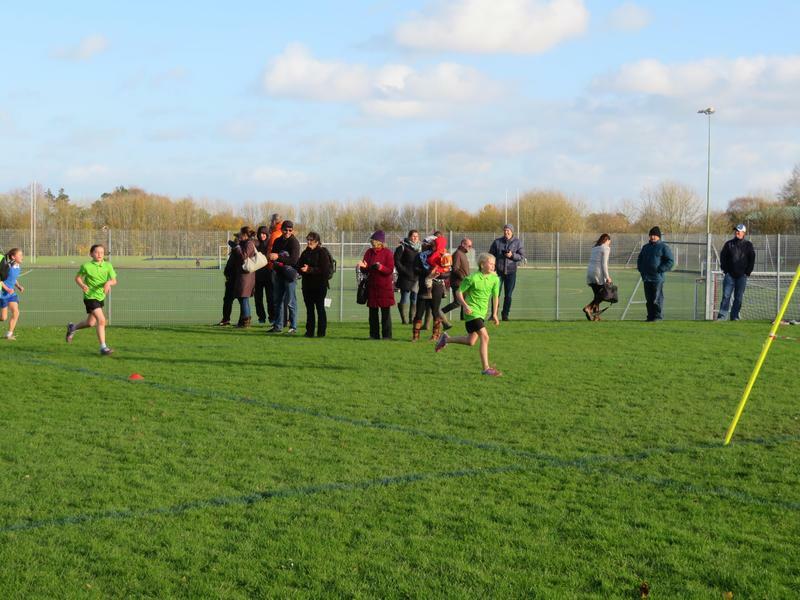 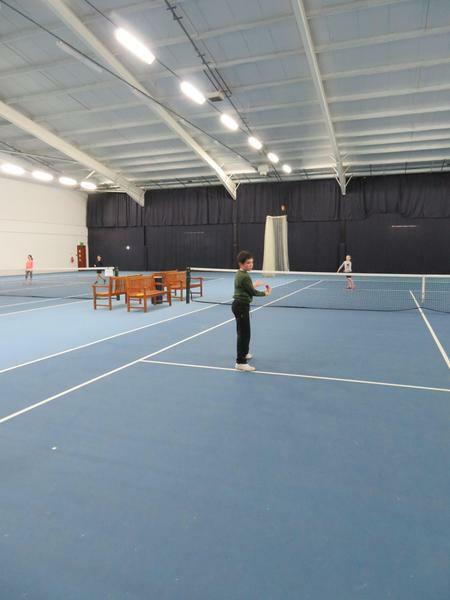 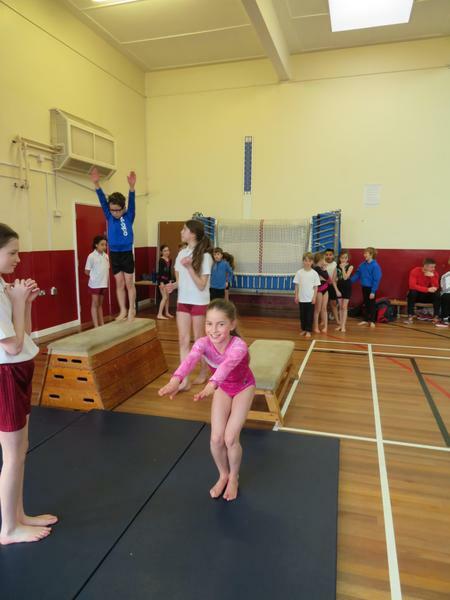 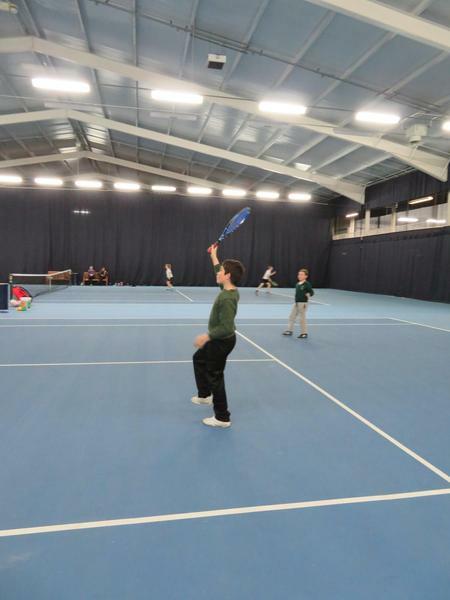 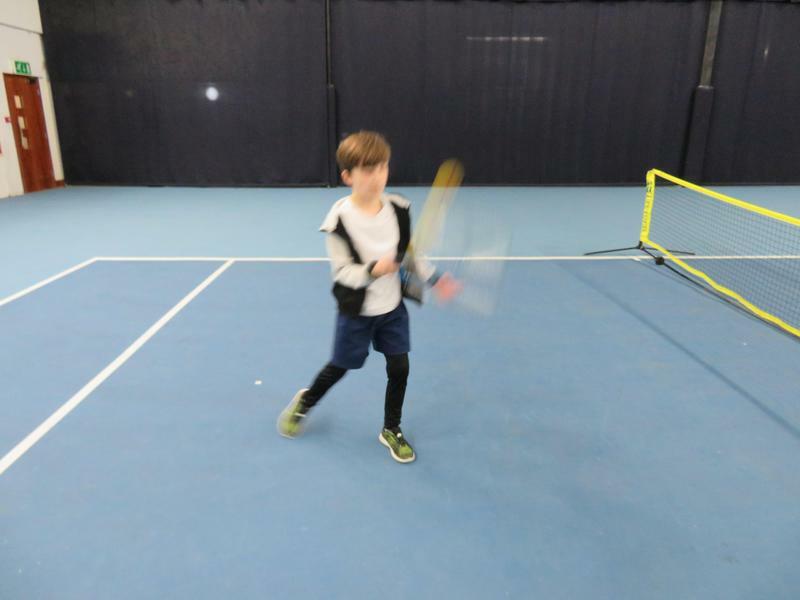 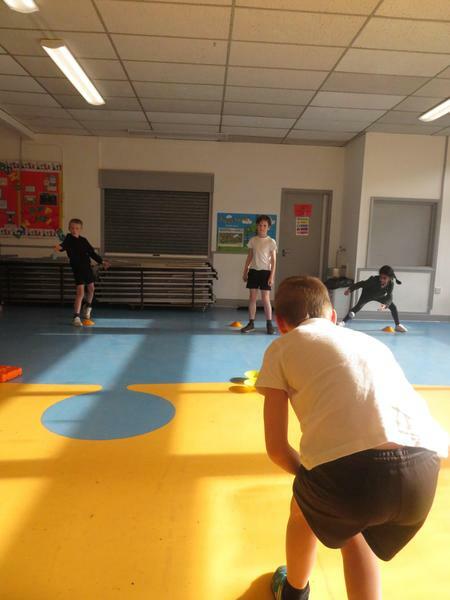 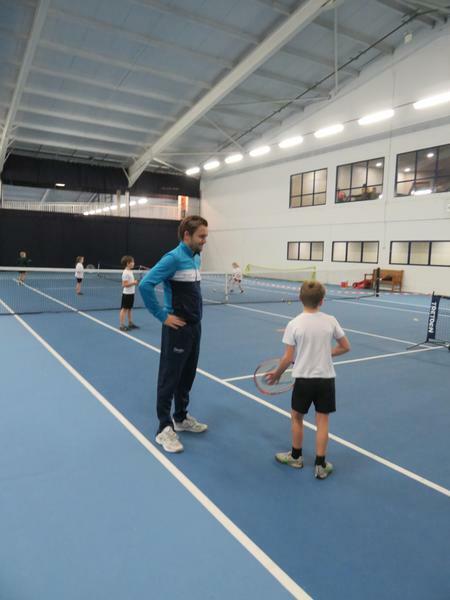 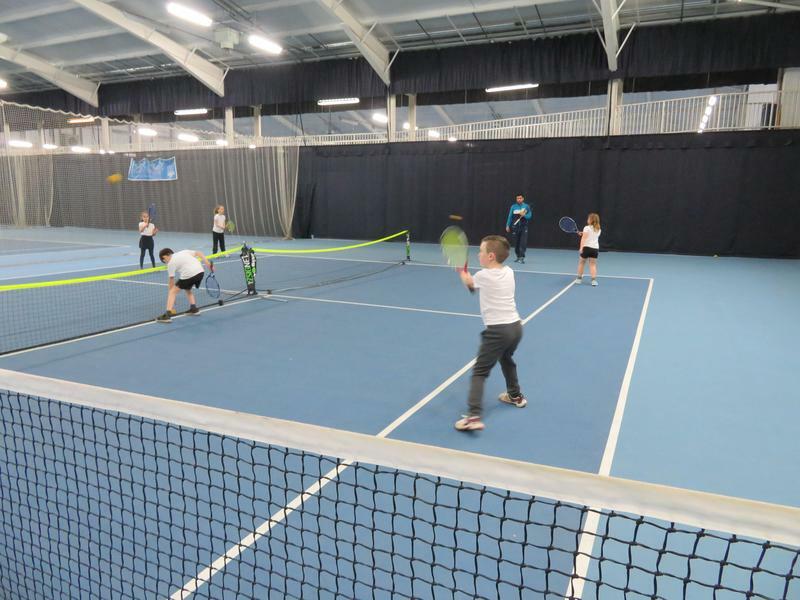 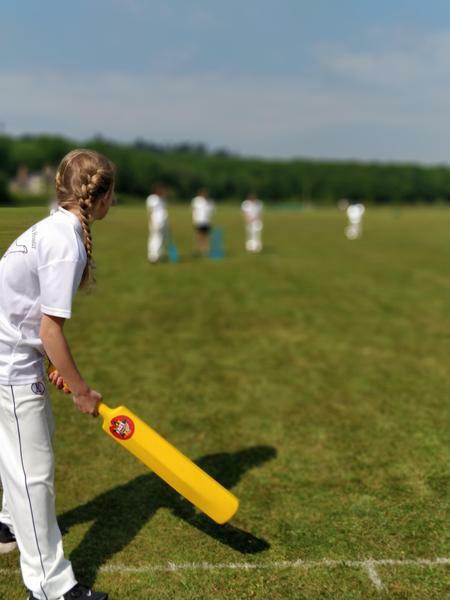 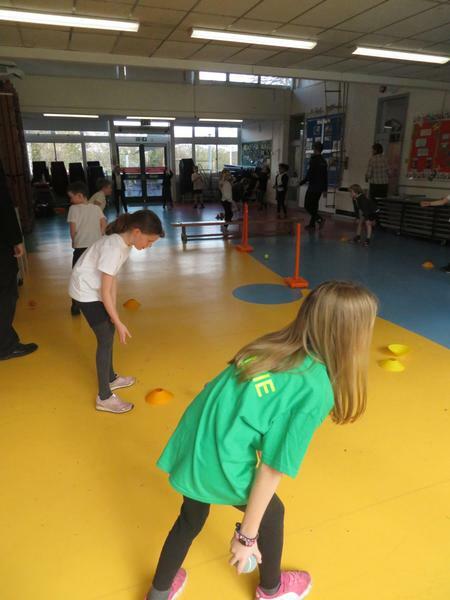 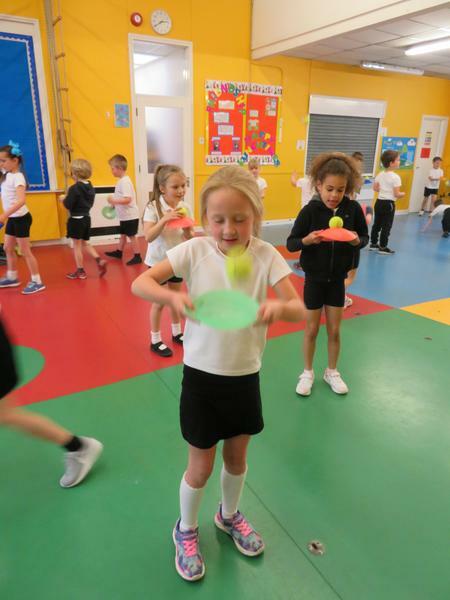 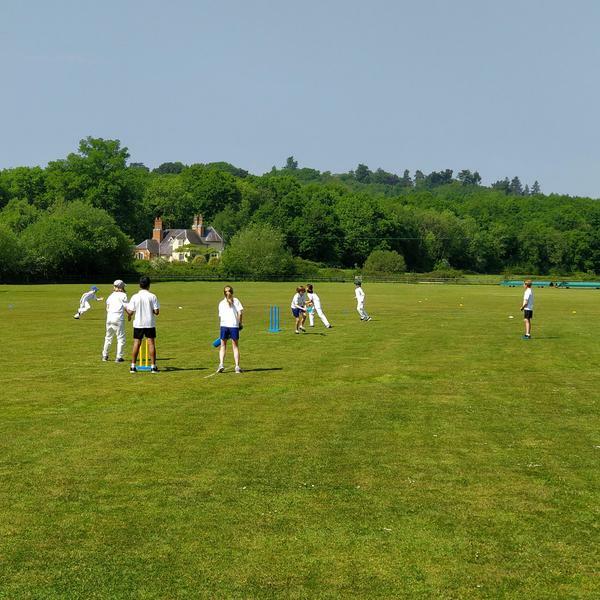 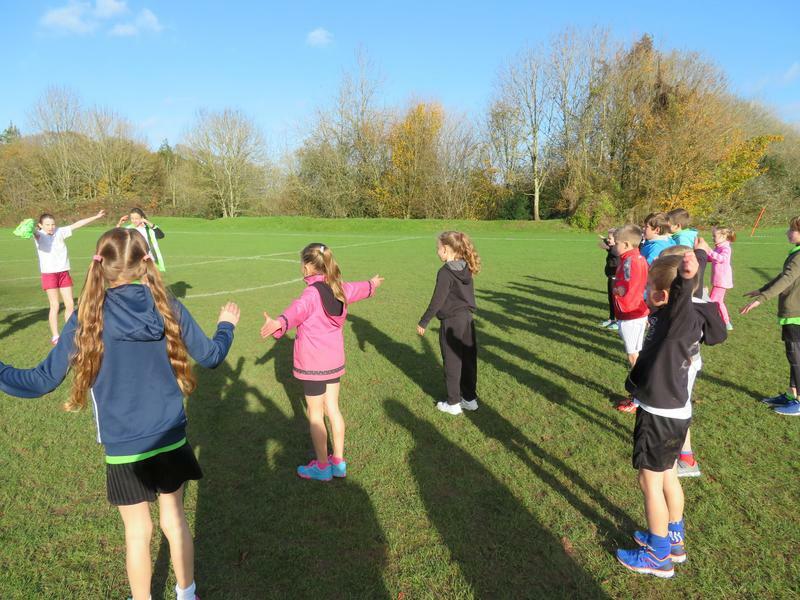 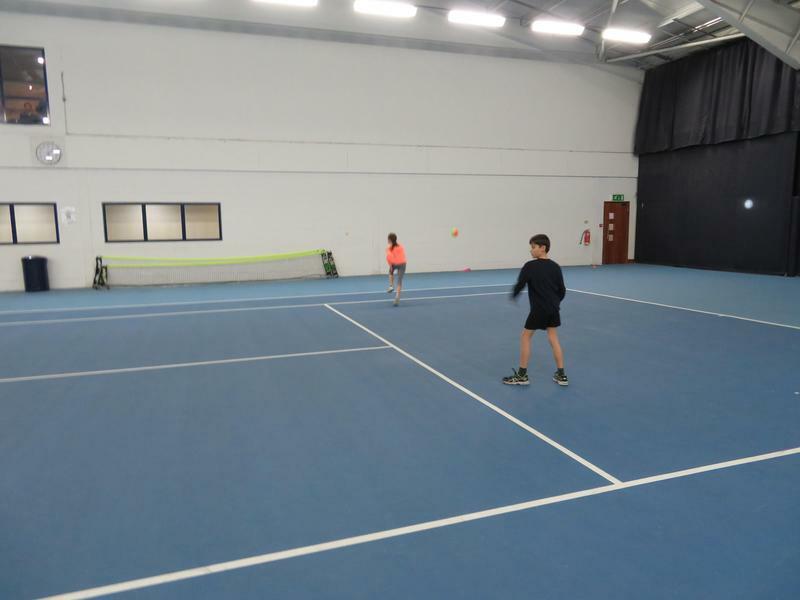 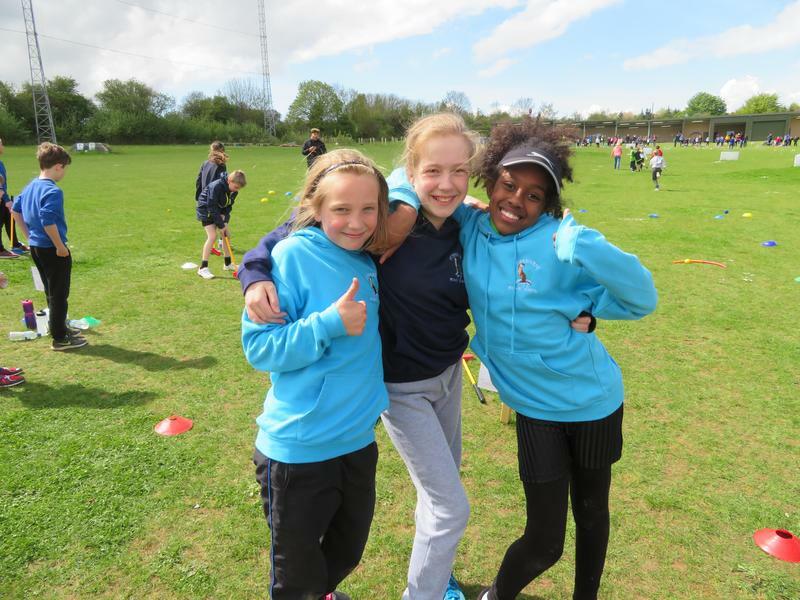 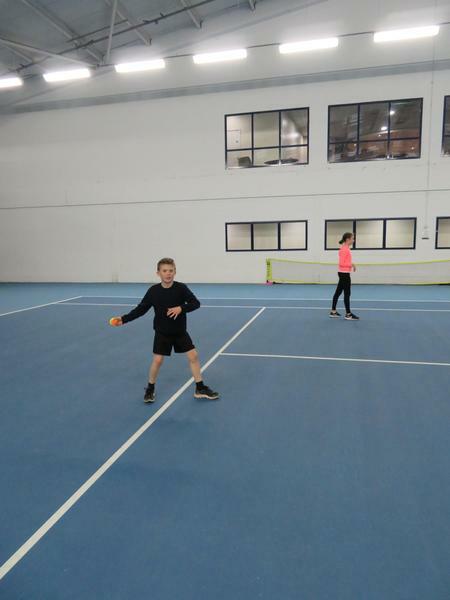 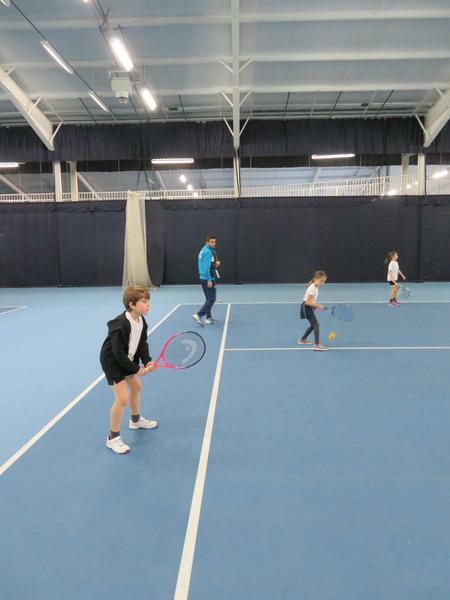 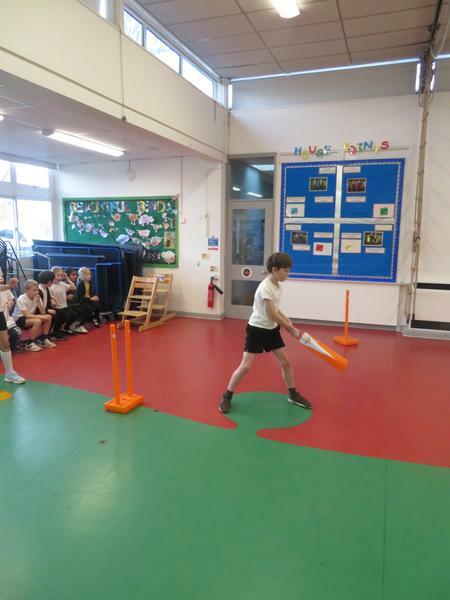 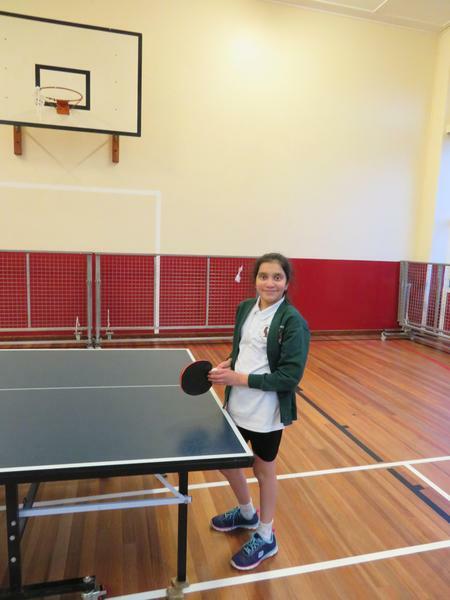 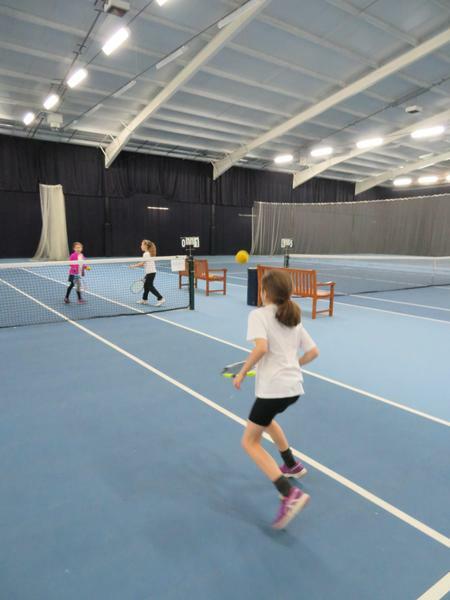 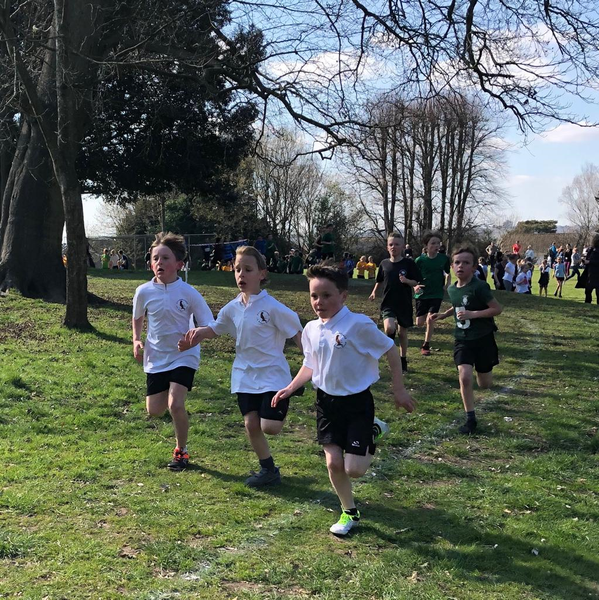 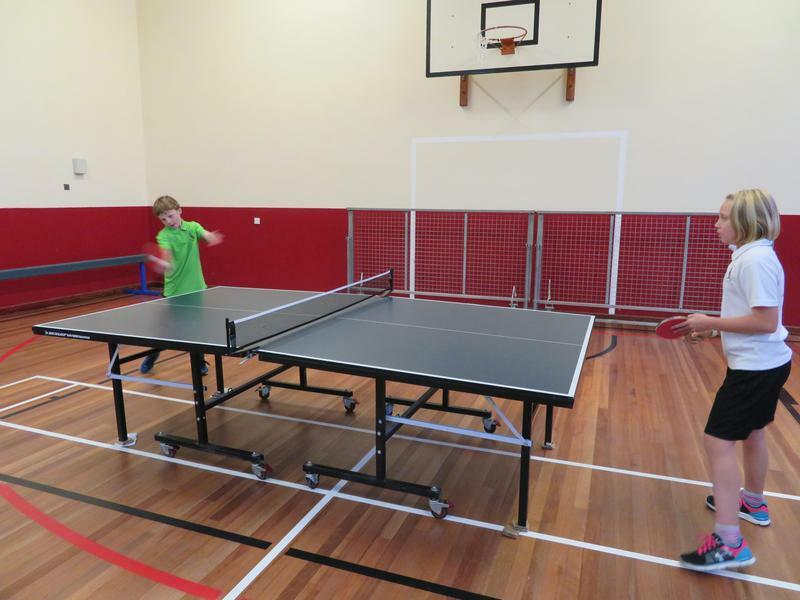 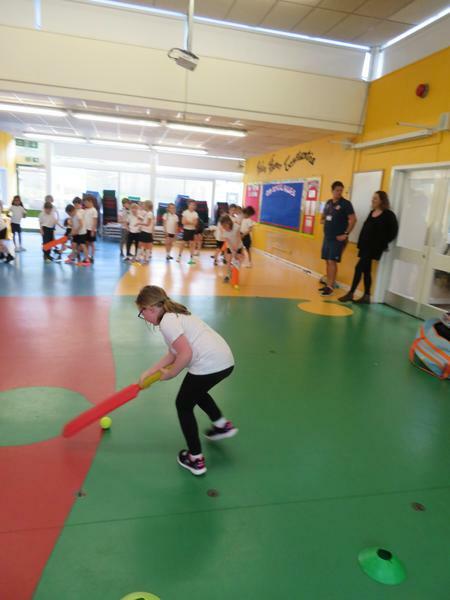 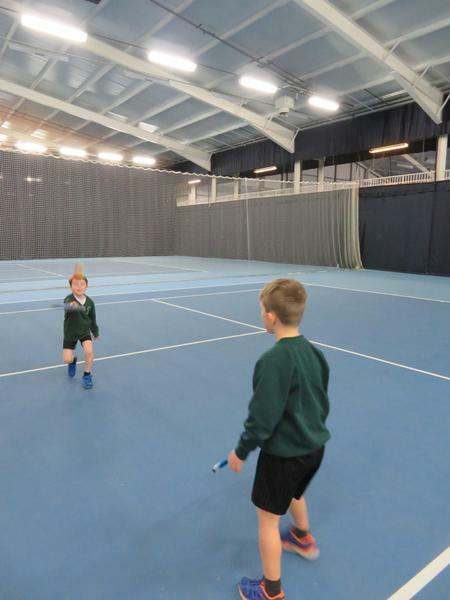 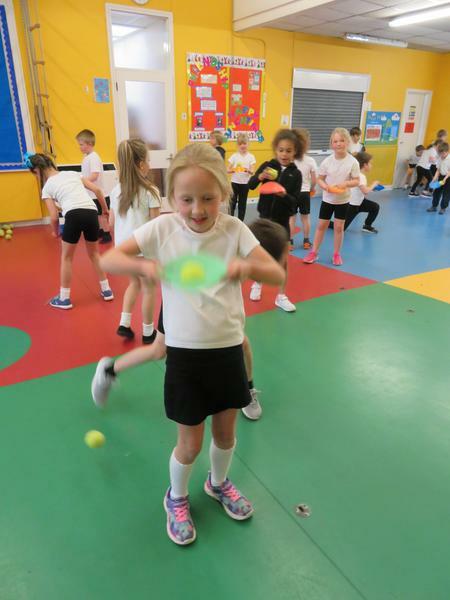 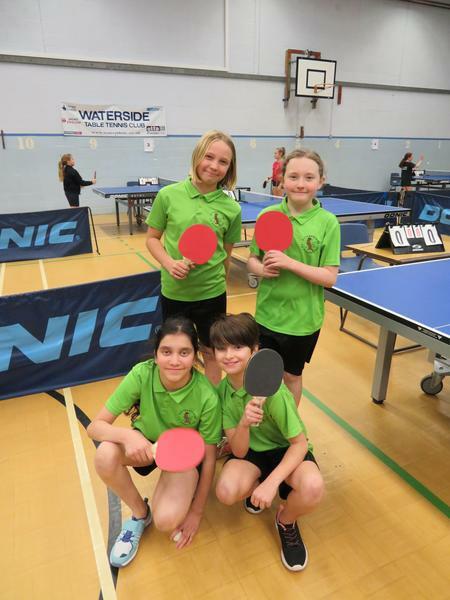 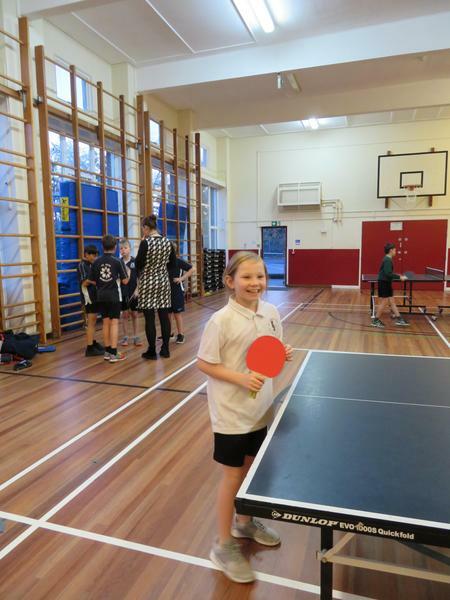 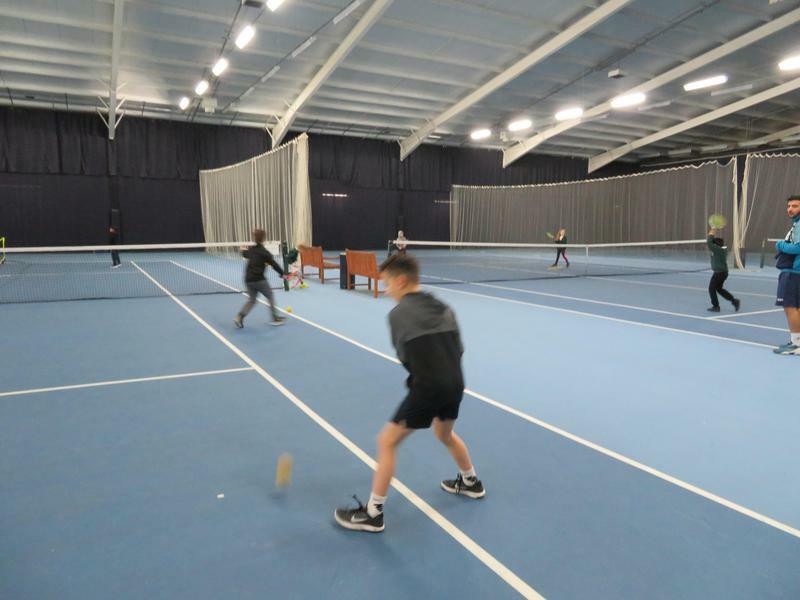 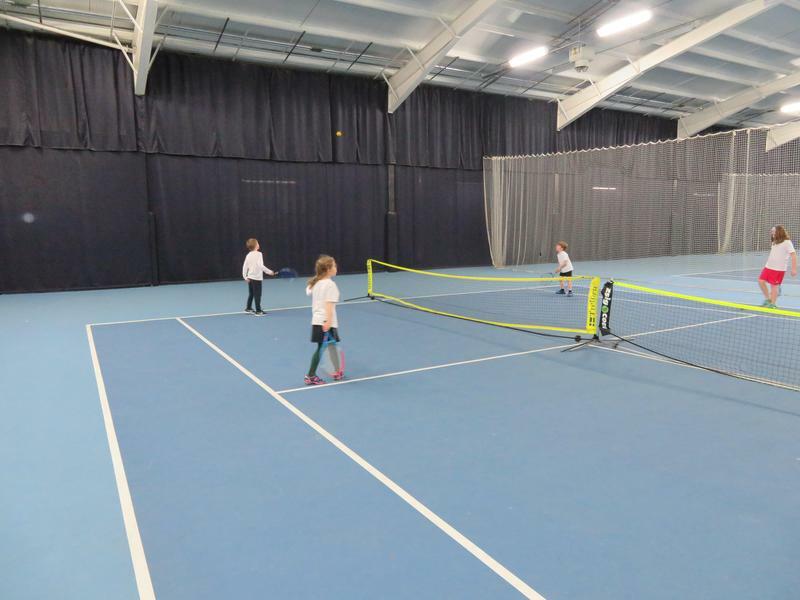 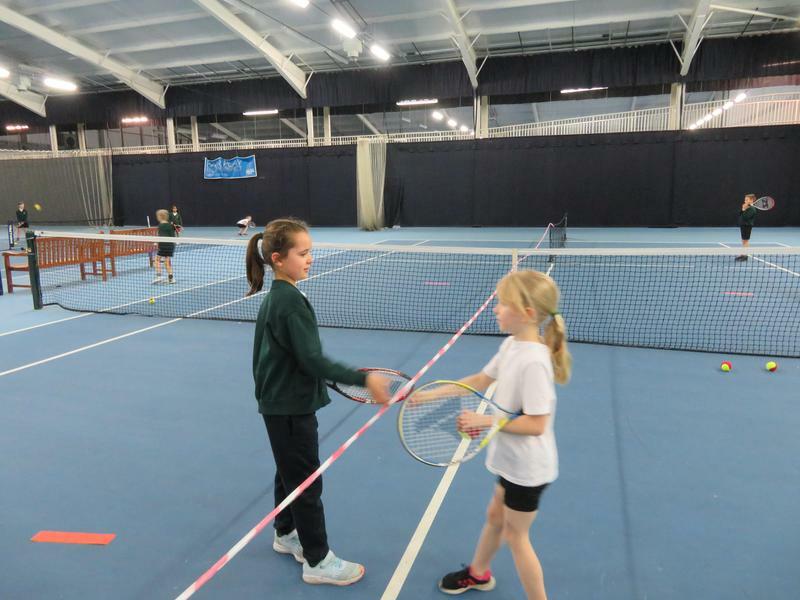 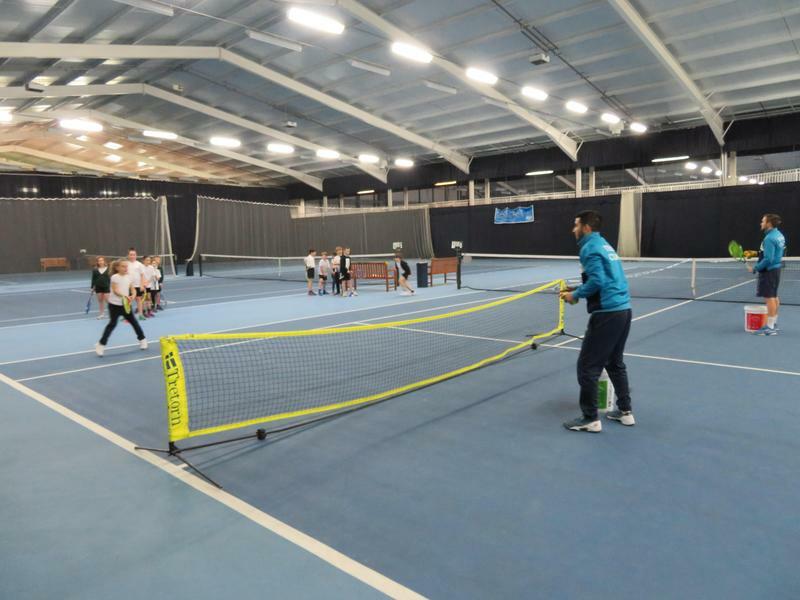 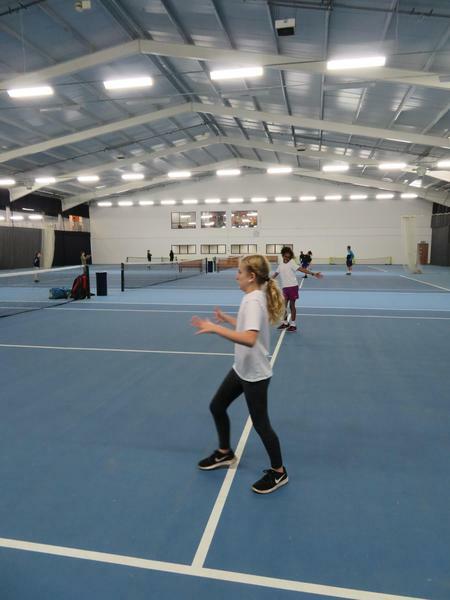 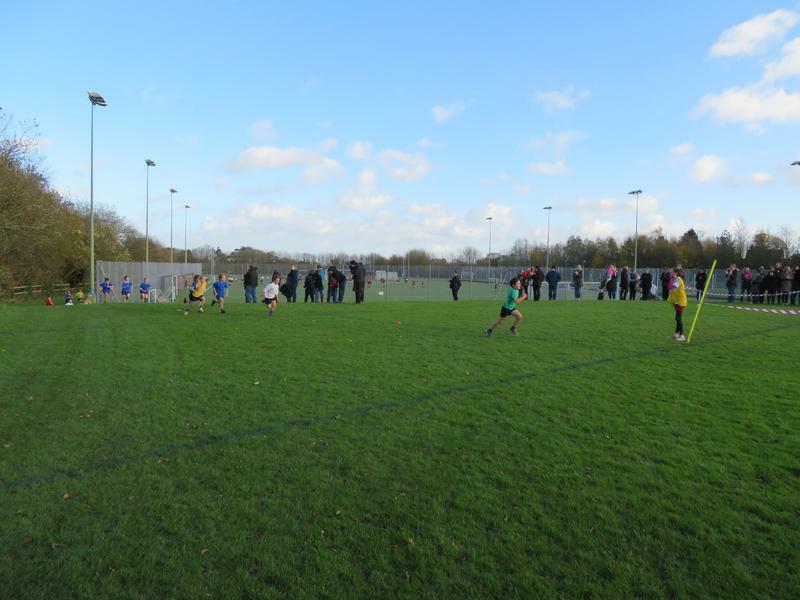 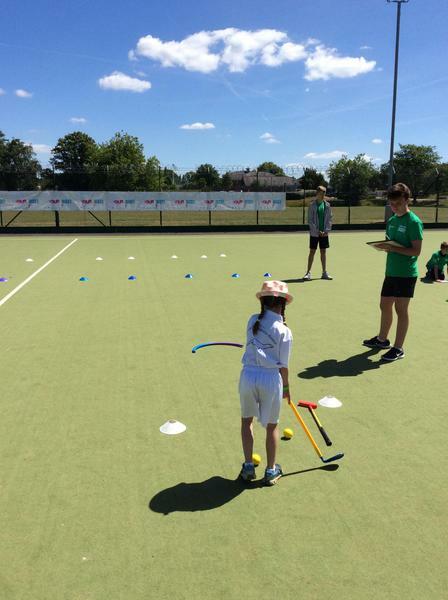 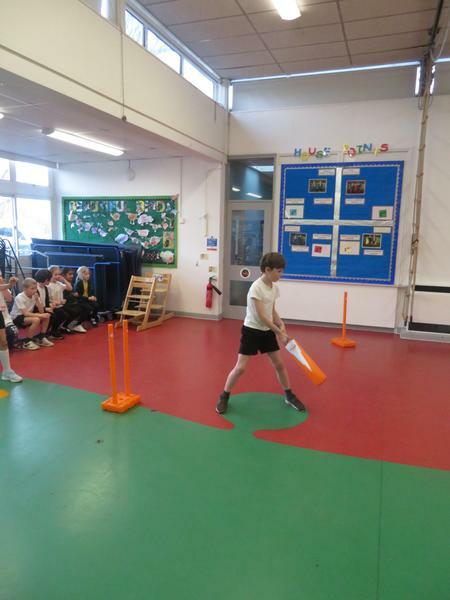 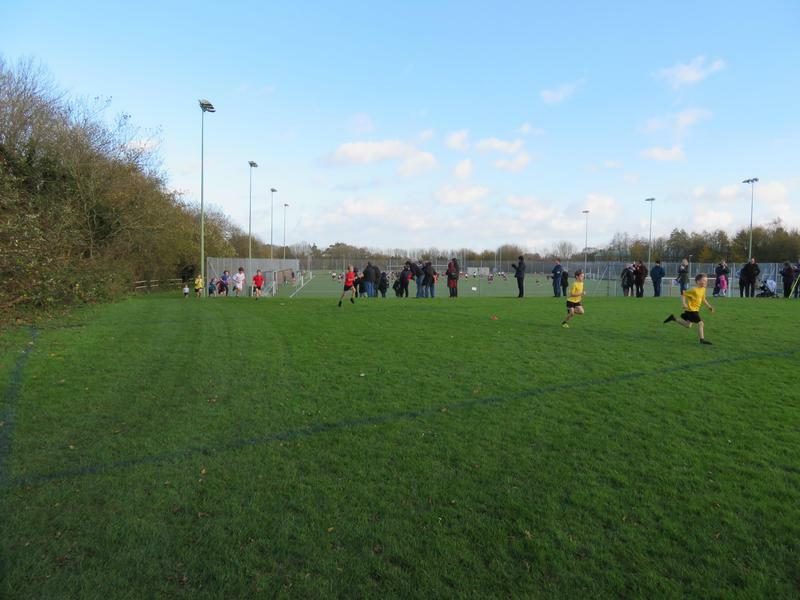 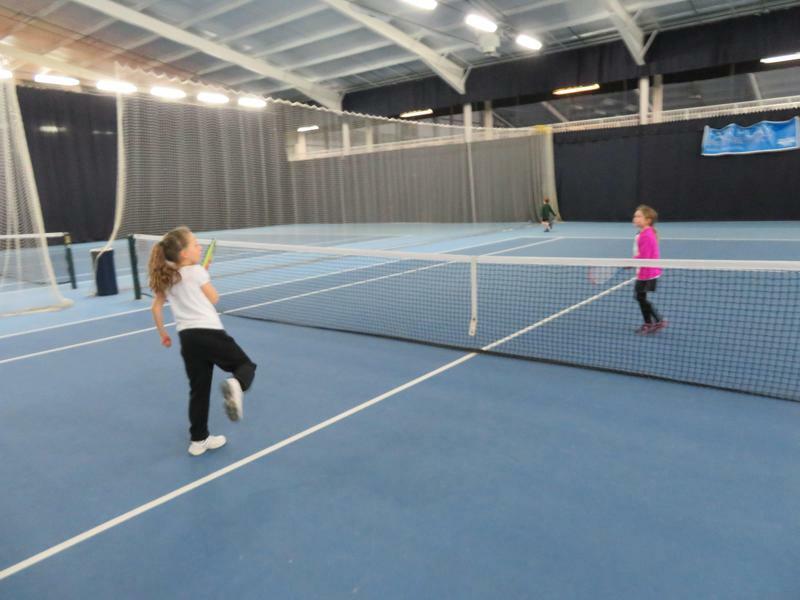 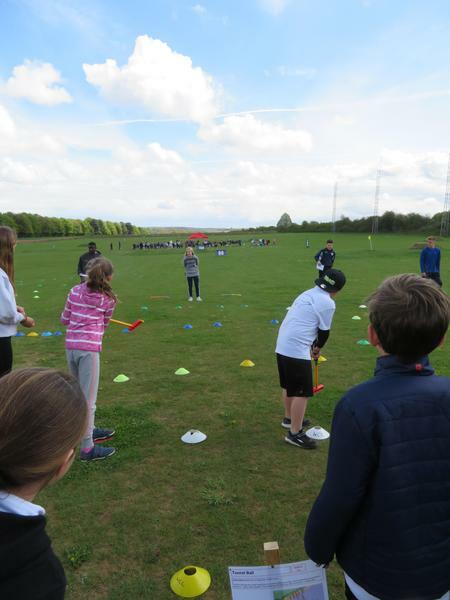 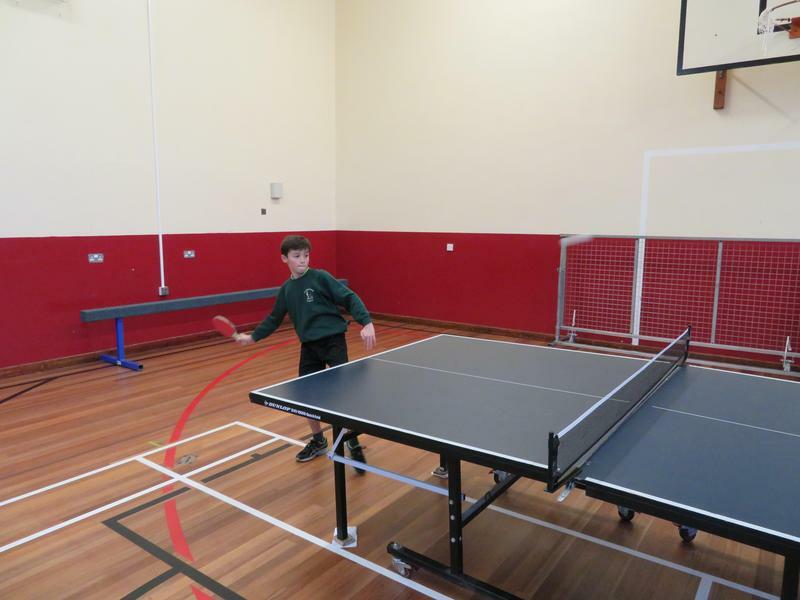 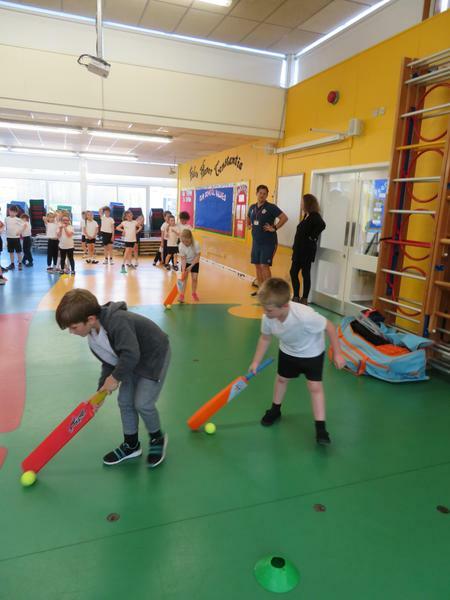 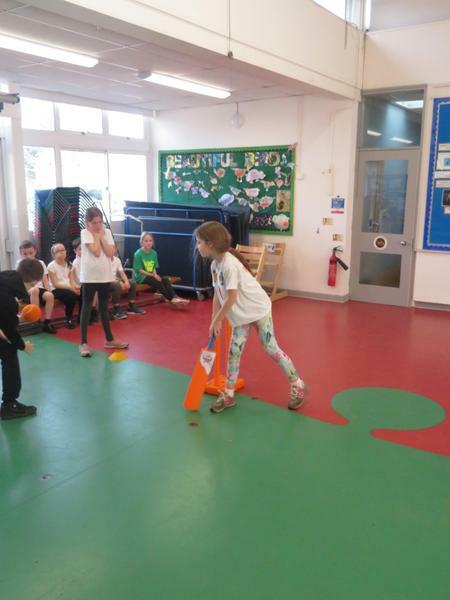 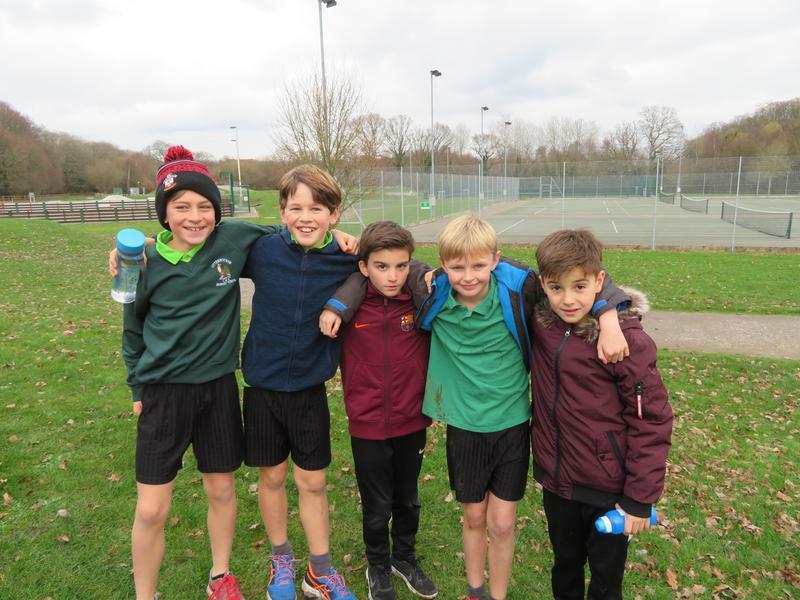 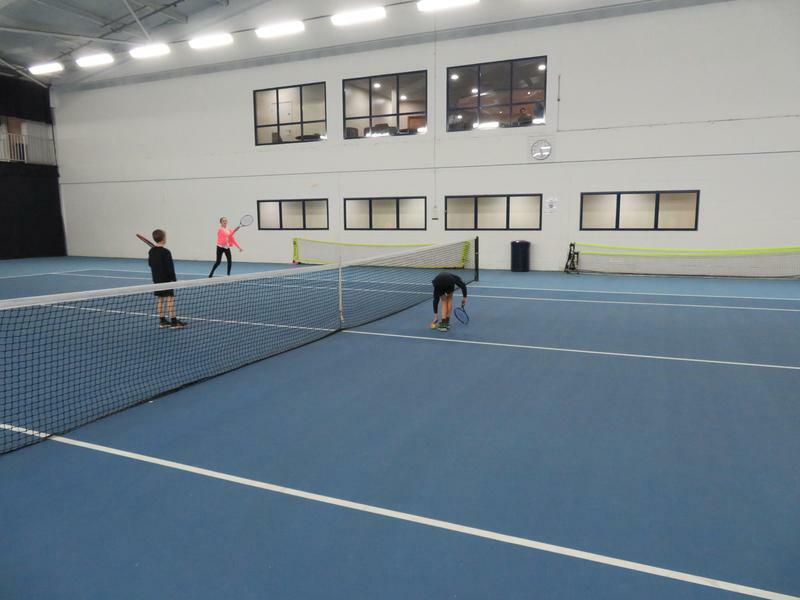 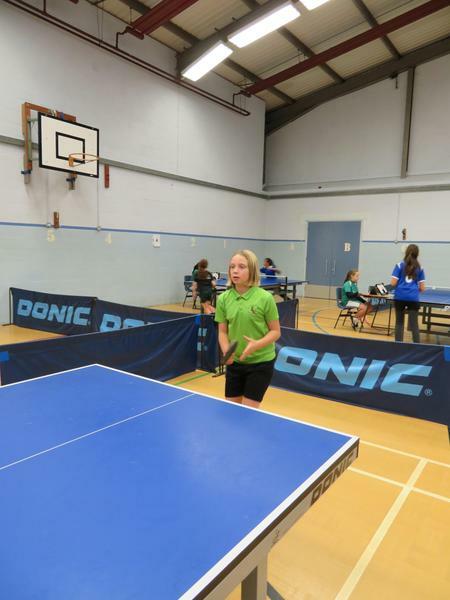 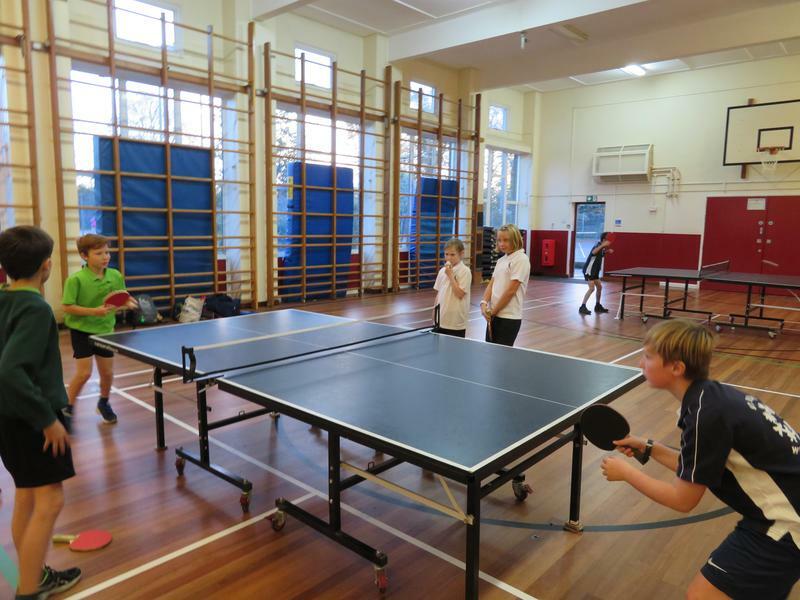 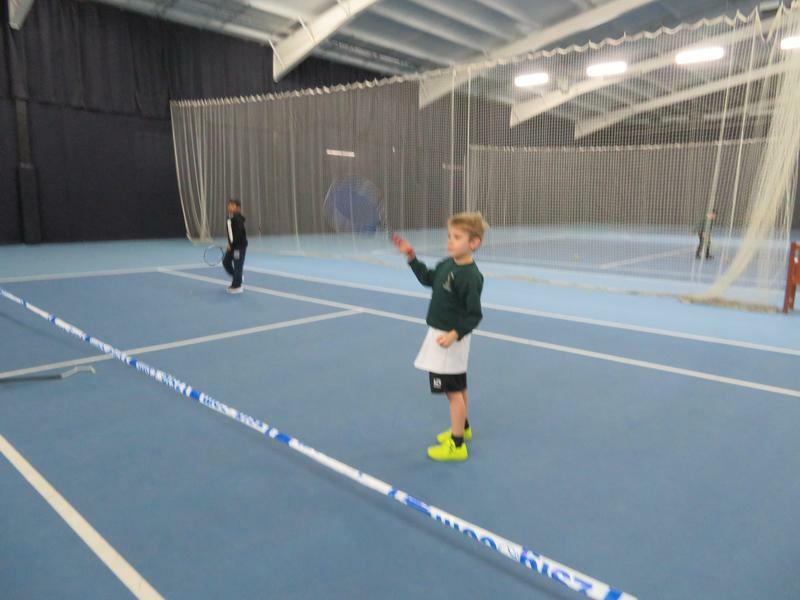 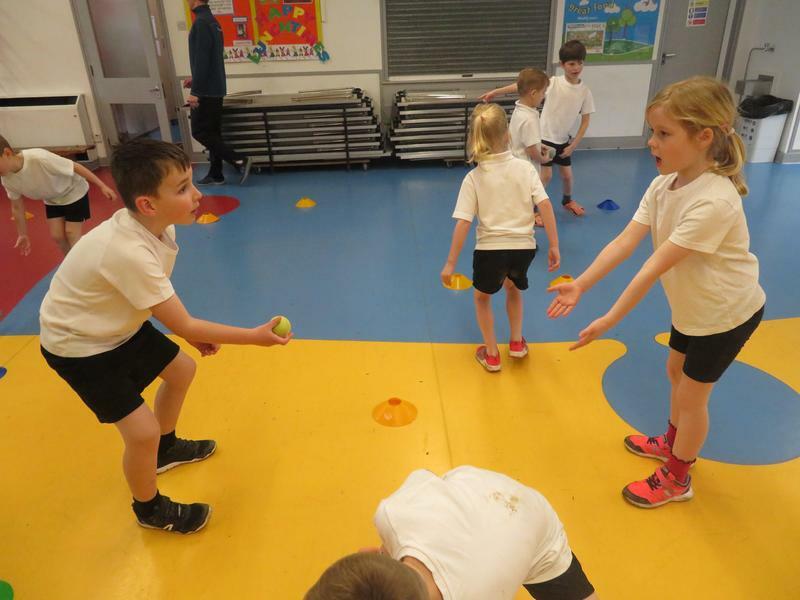 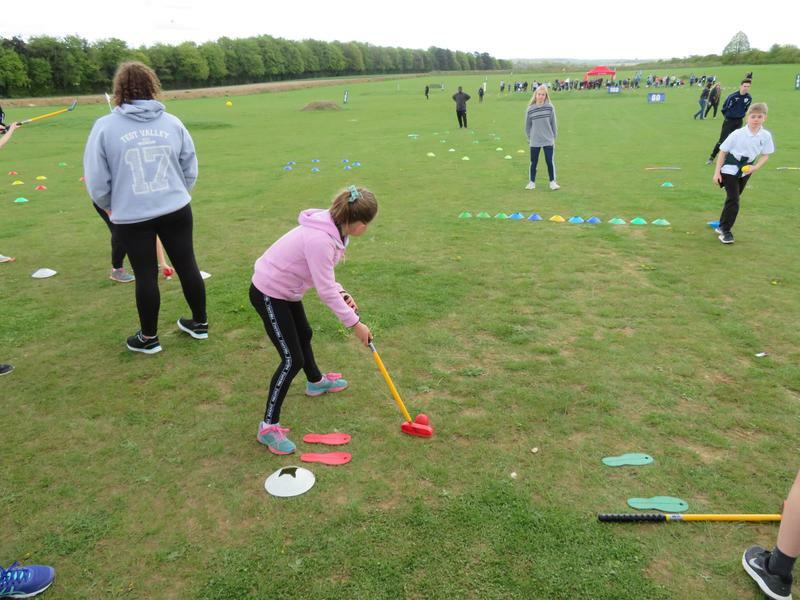 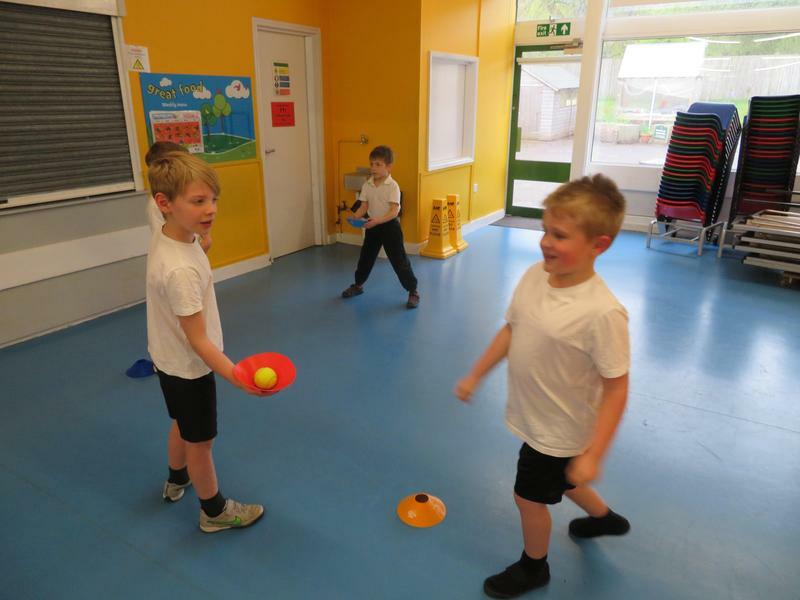 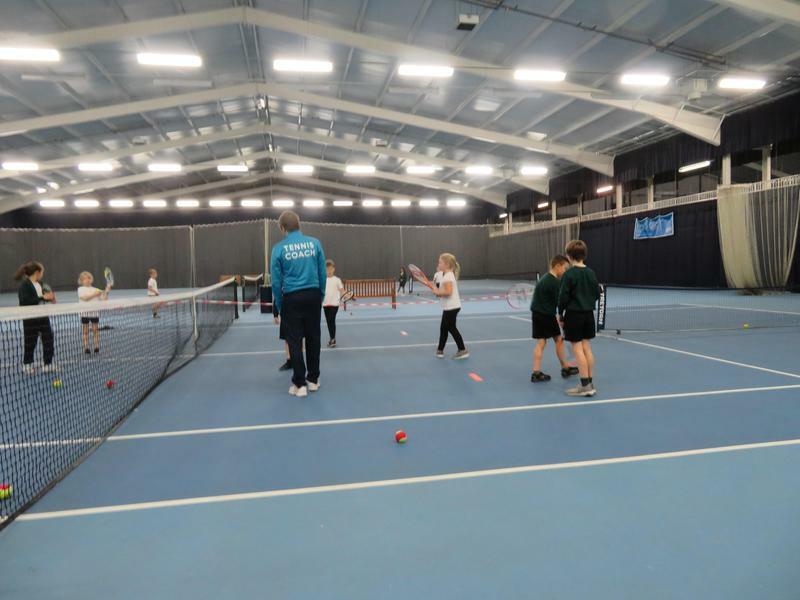 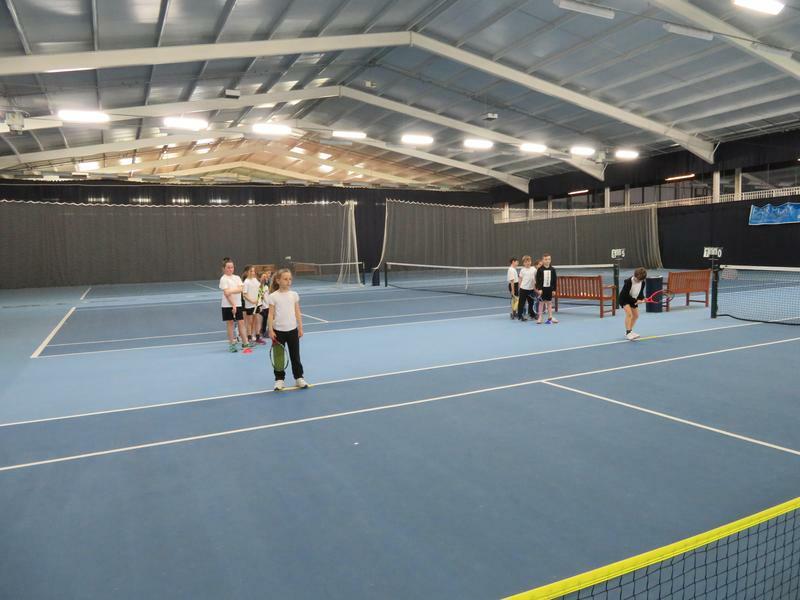 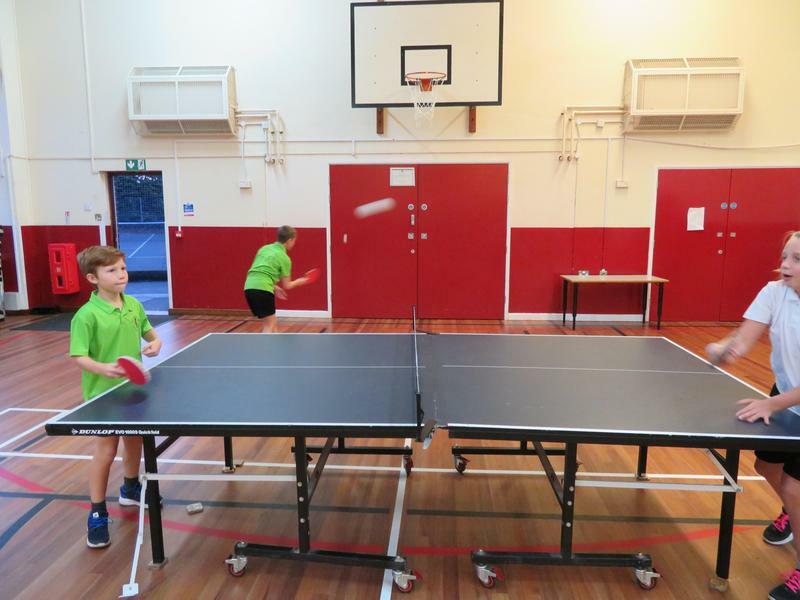 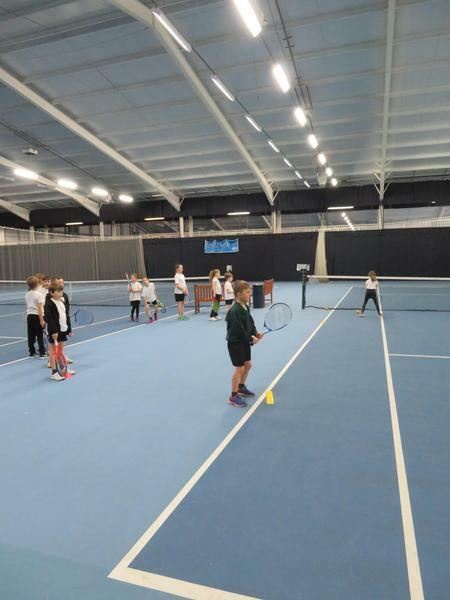 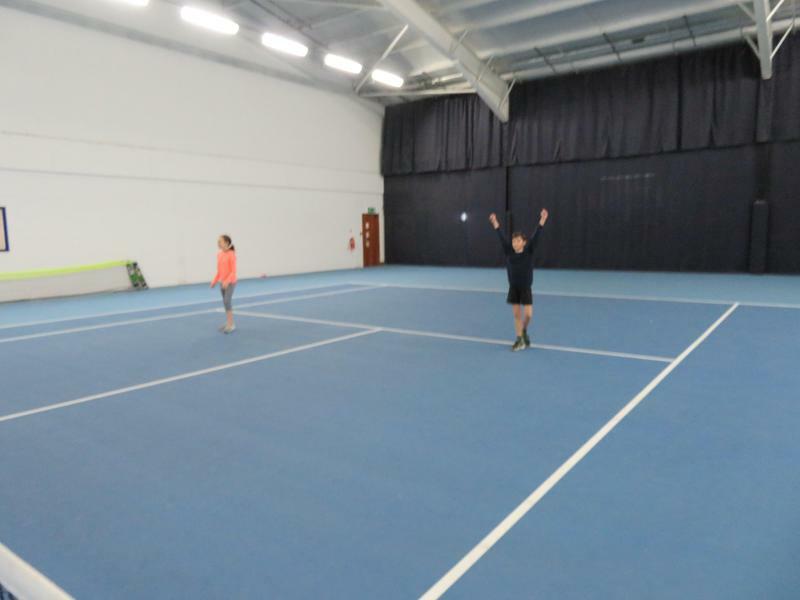 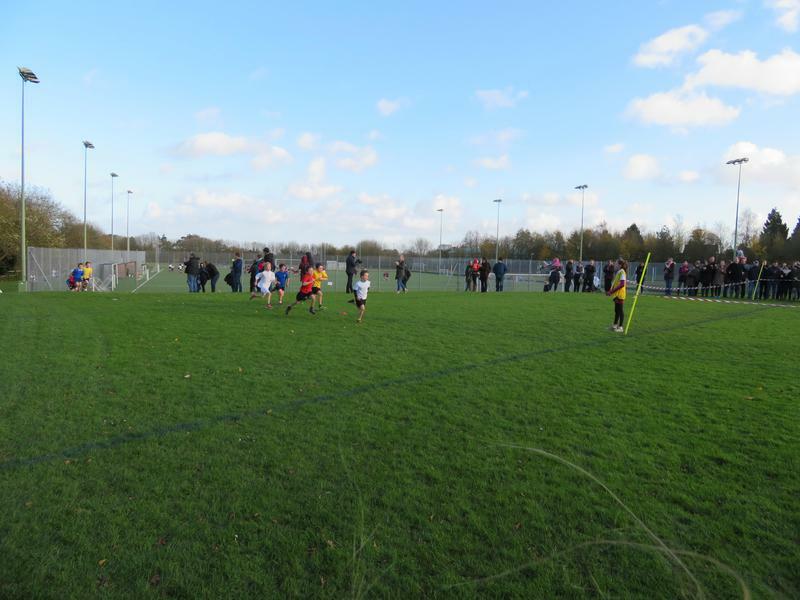 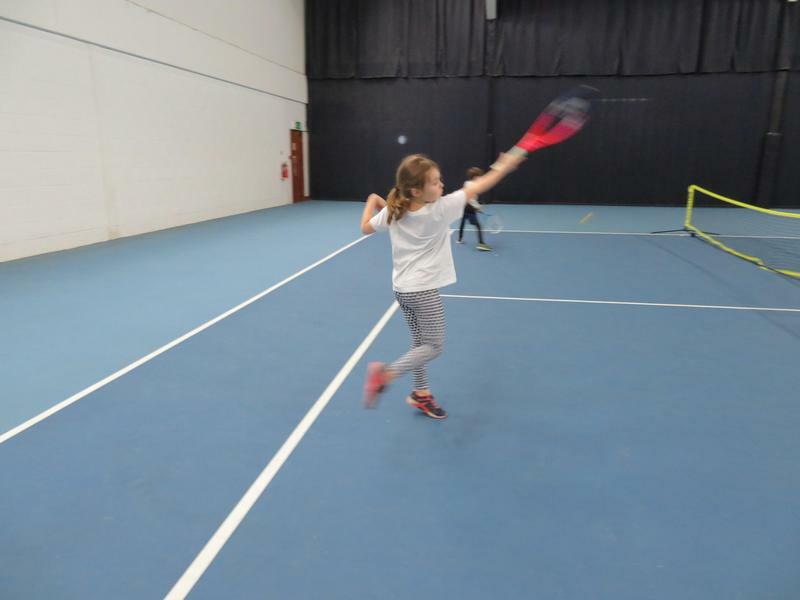 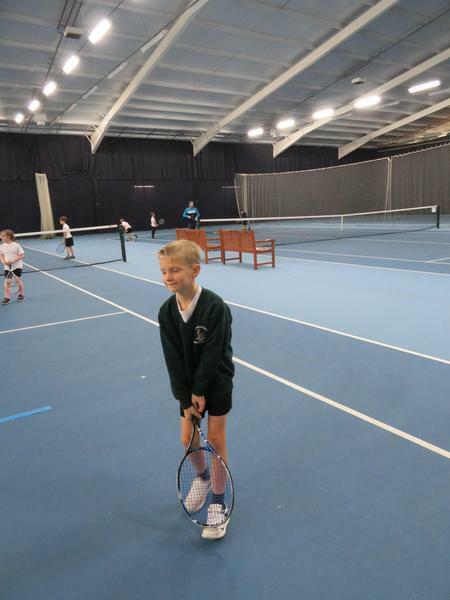 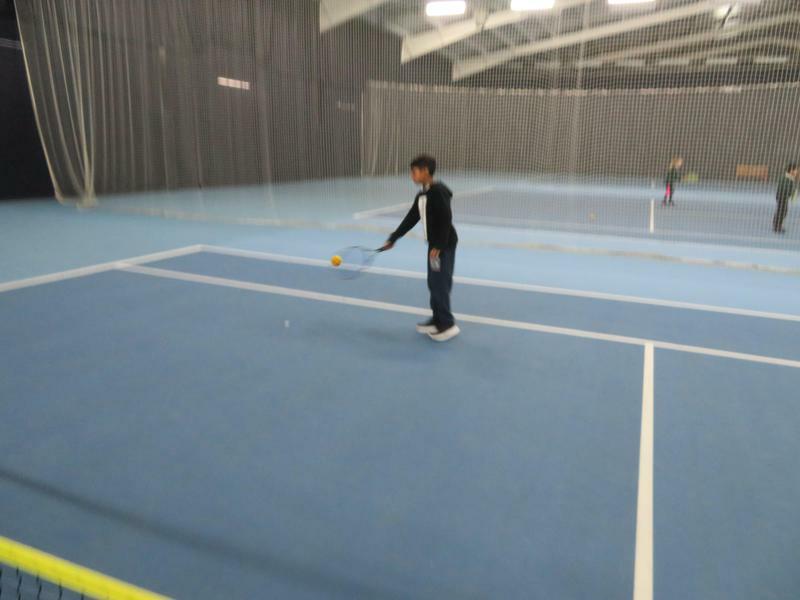 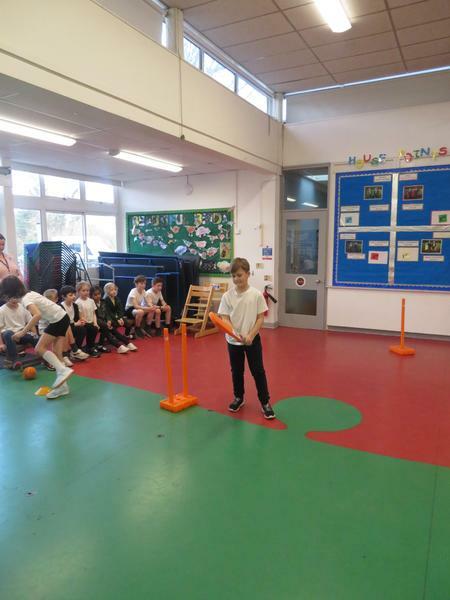 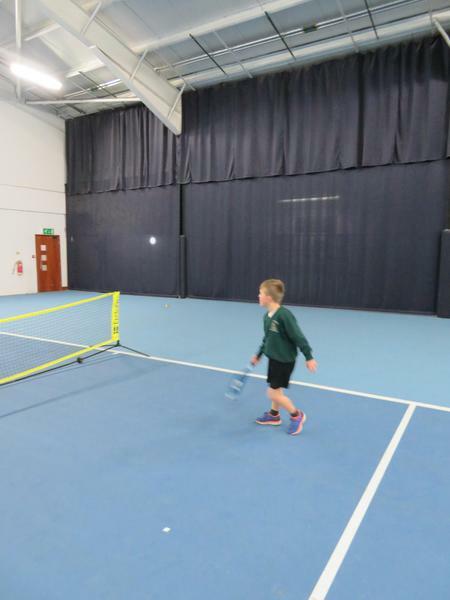 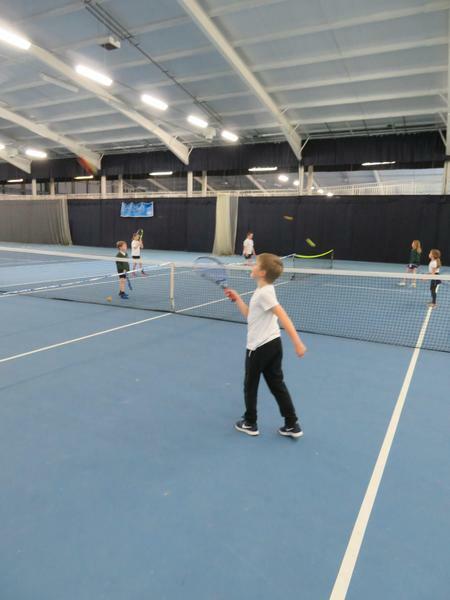 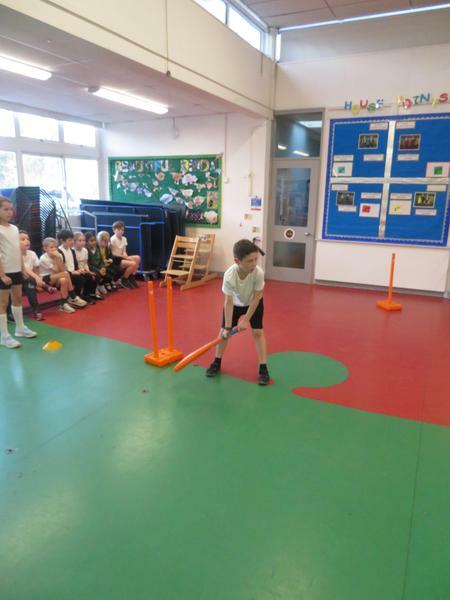 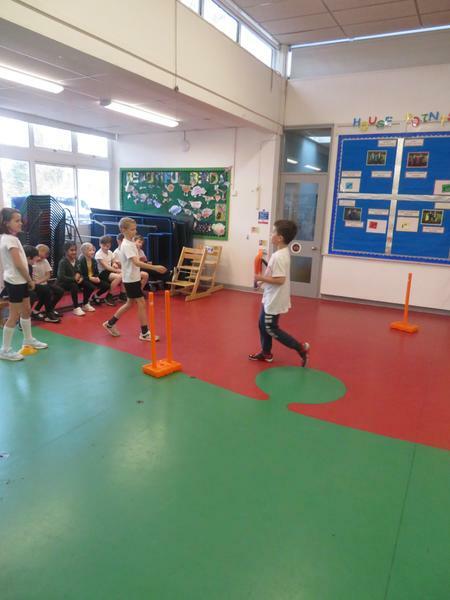 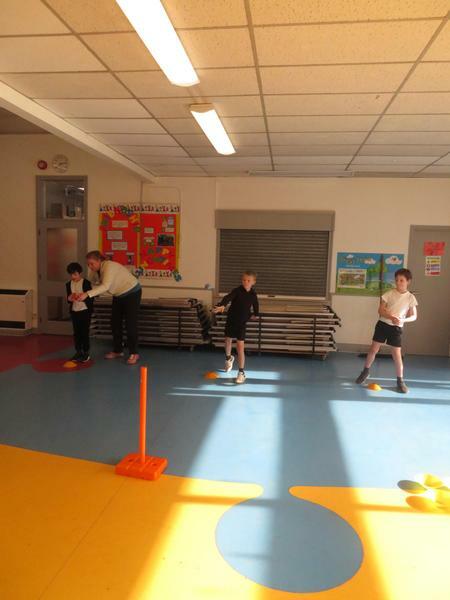 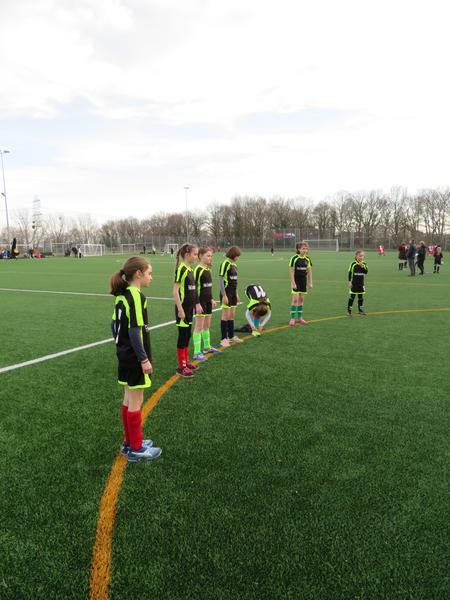 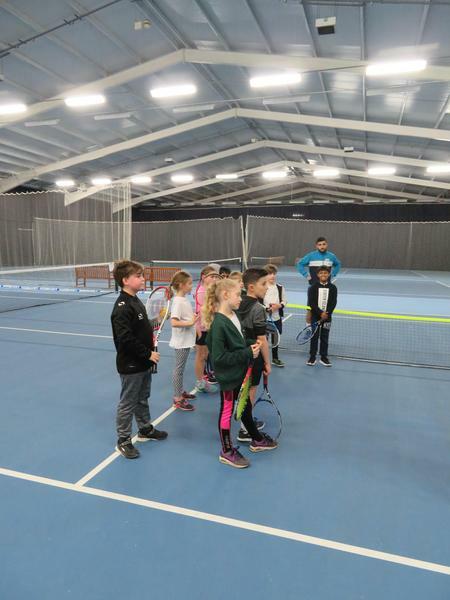 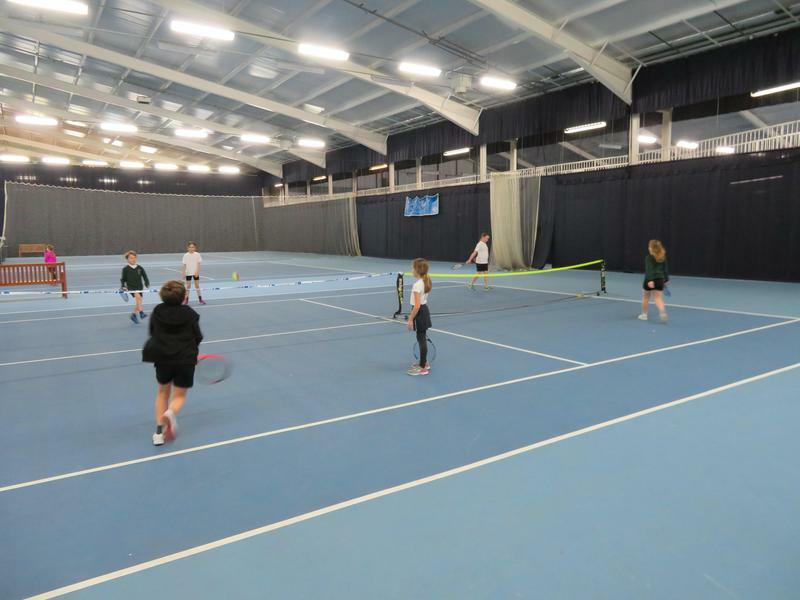 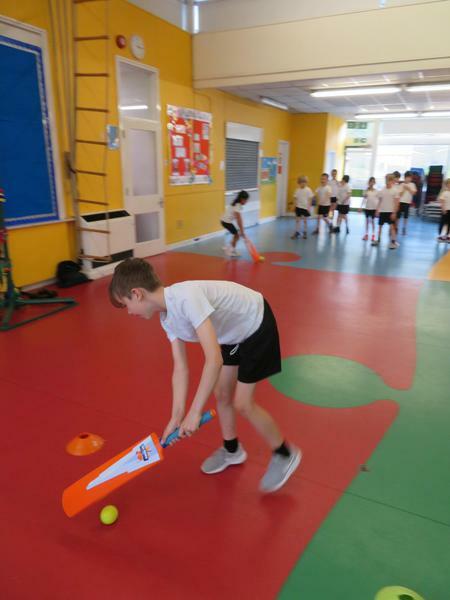 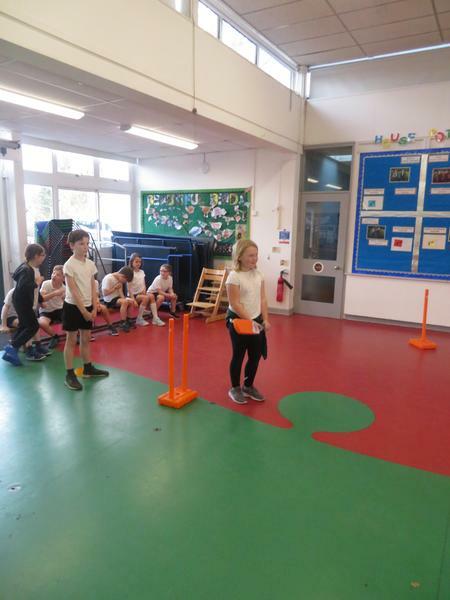 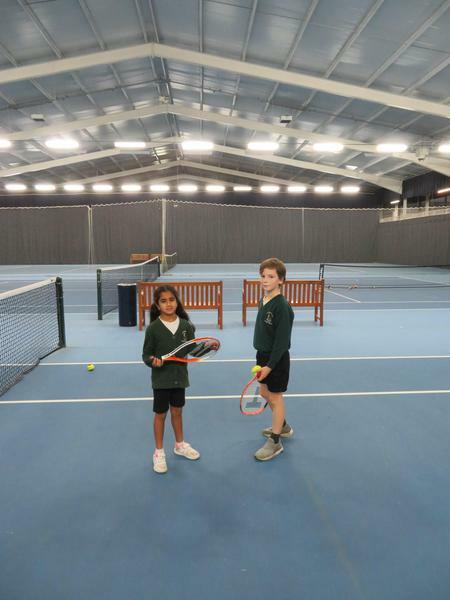 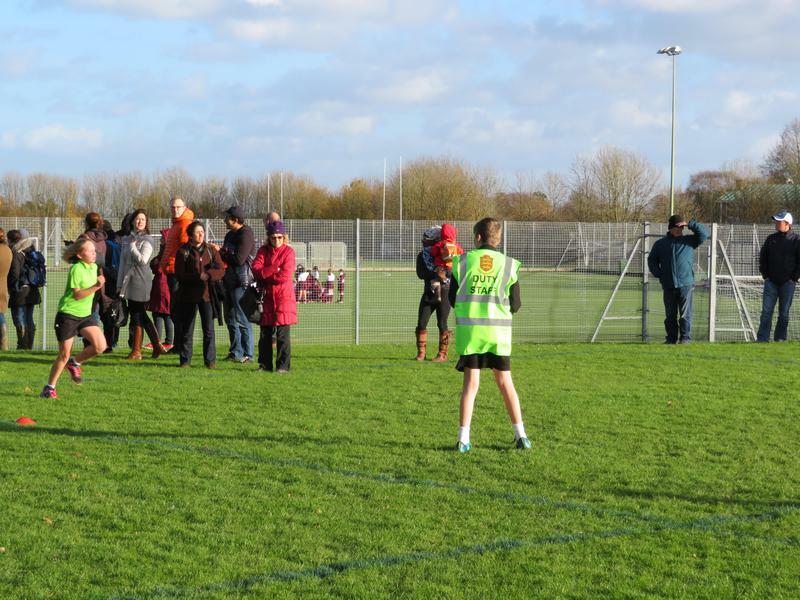 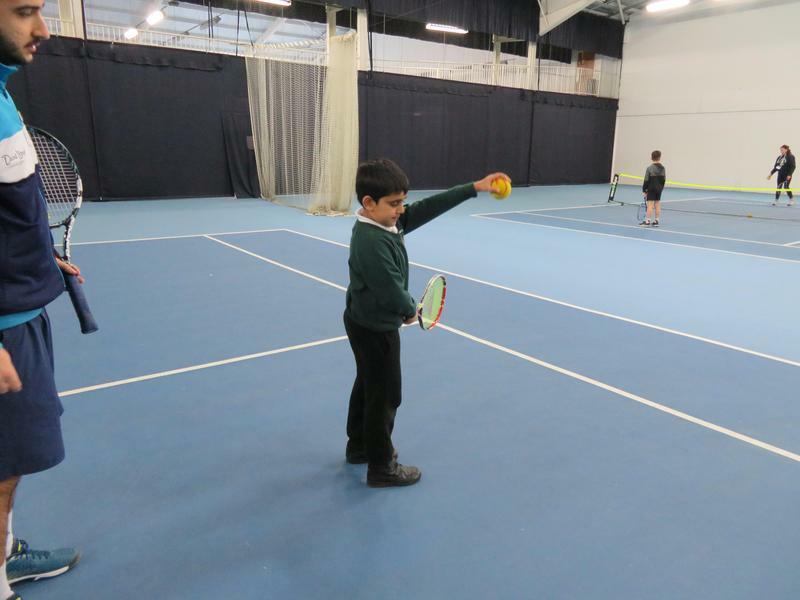 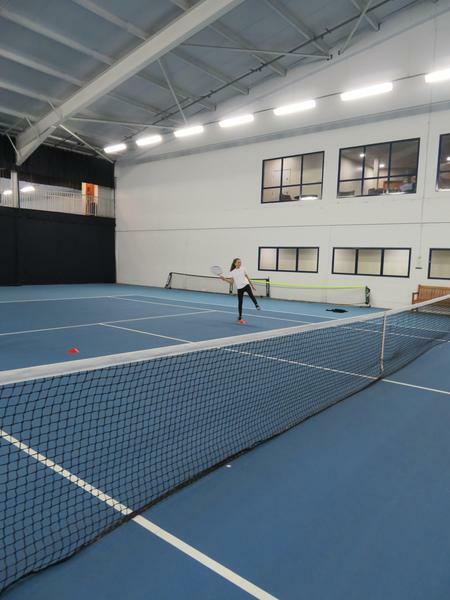 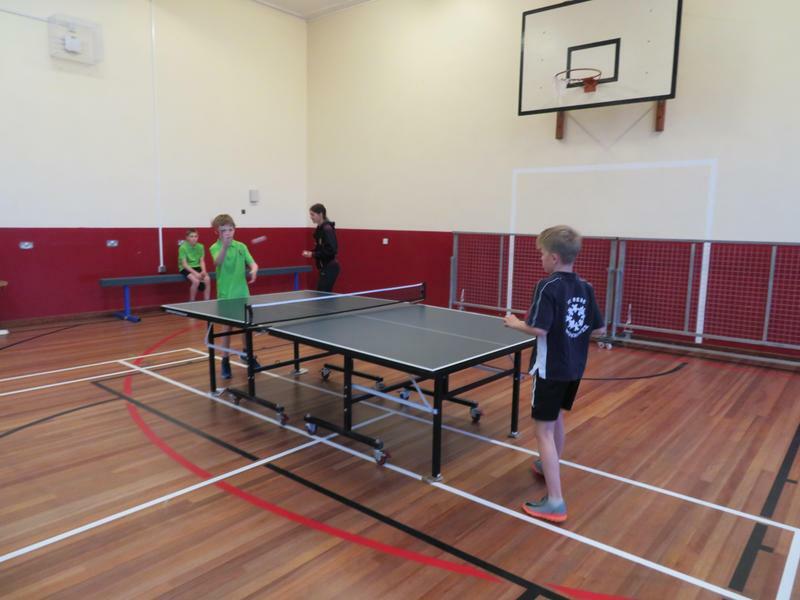 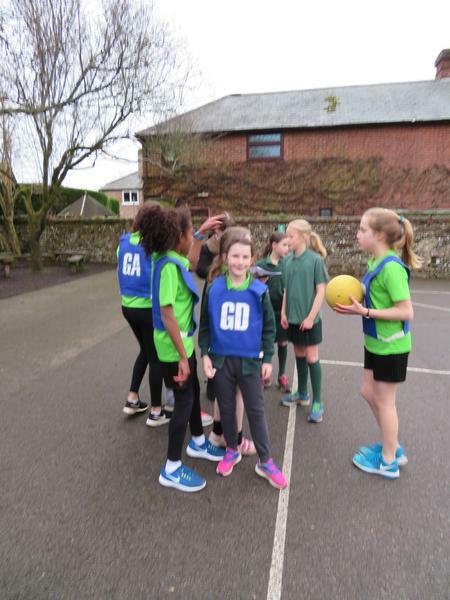 This comes in the form of House events, friendly matches with other local schools, competitive School Games (SGO) events and Inclusive Competitions which are less competitive. 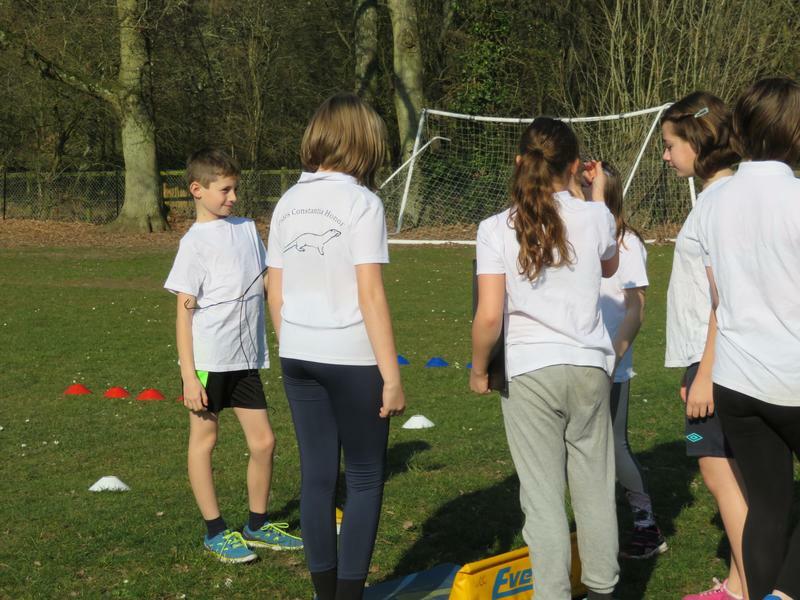 With regard to the SGO events which usually qualify the winning team to proceed to the Hampshire Games we will always try to send our strongest athletes. 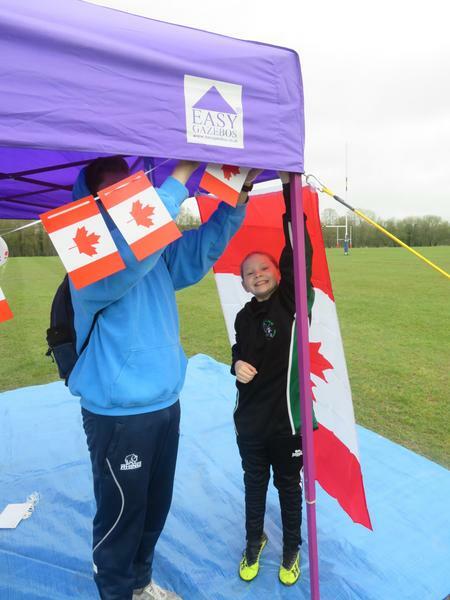 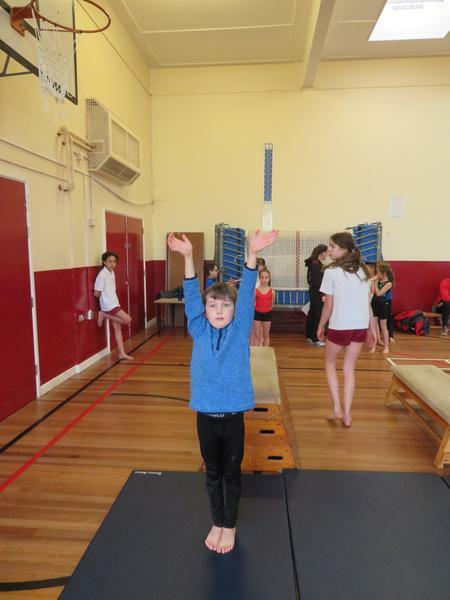 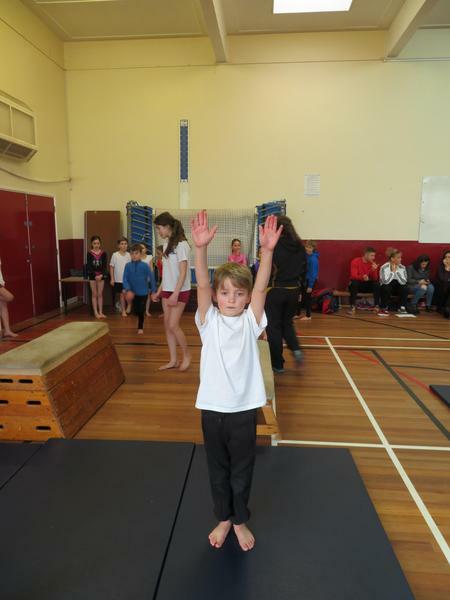 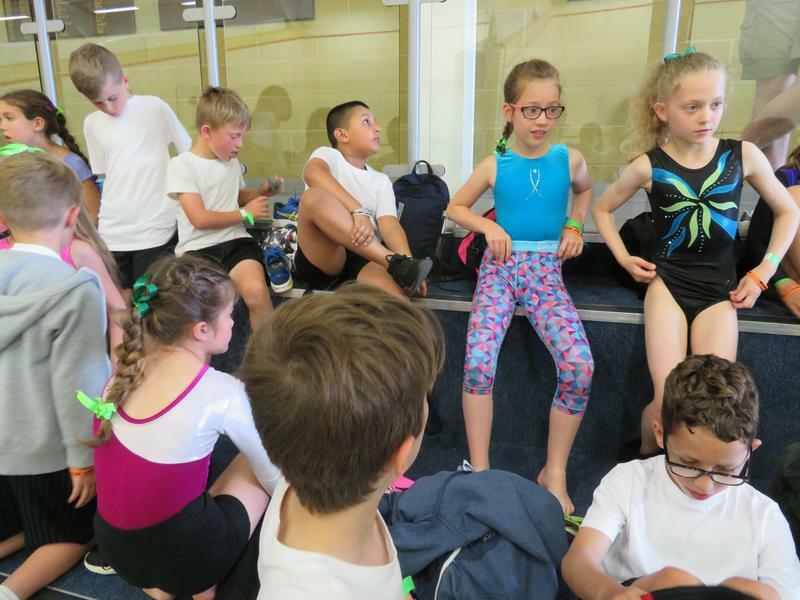 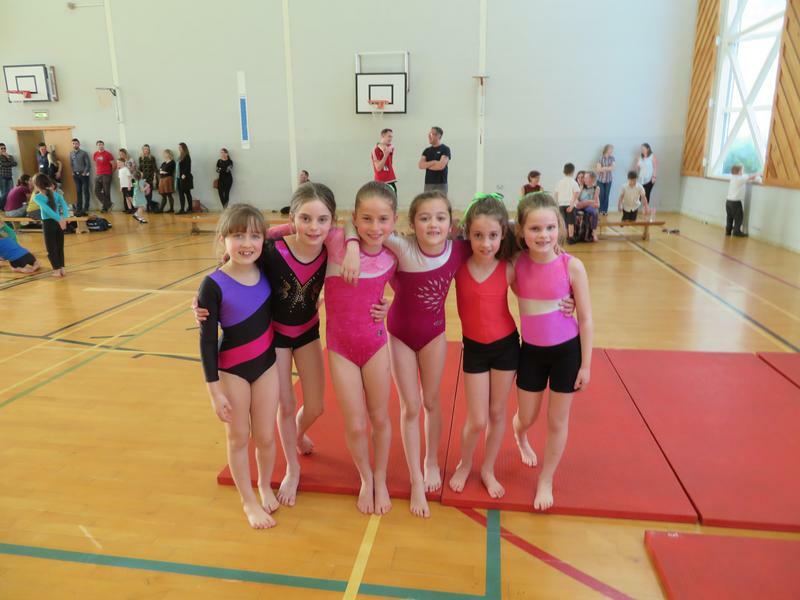 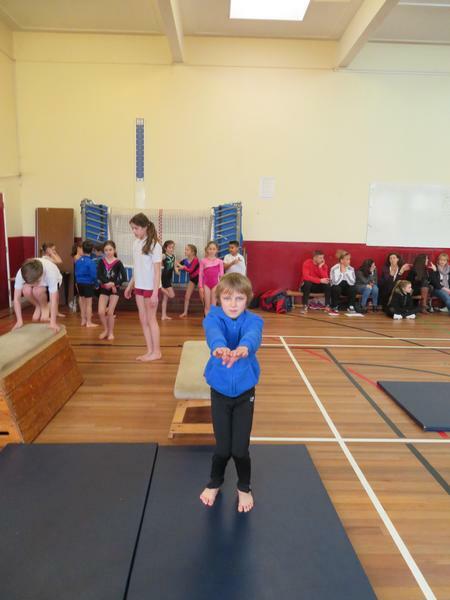 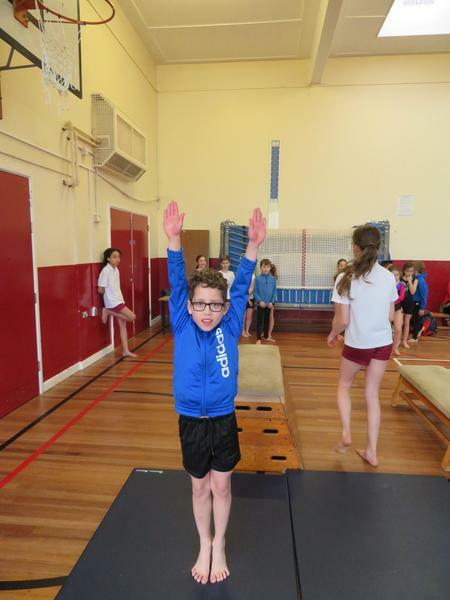 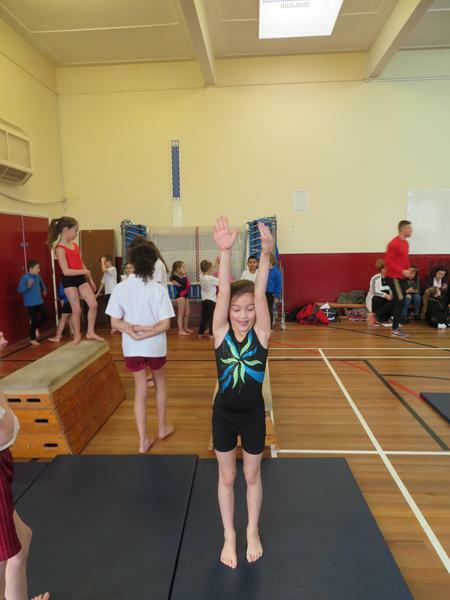 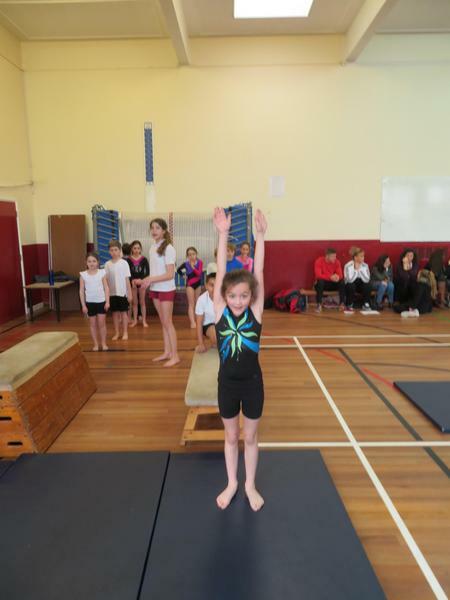 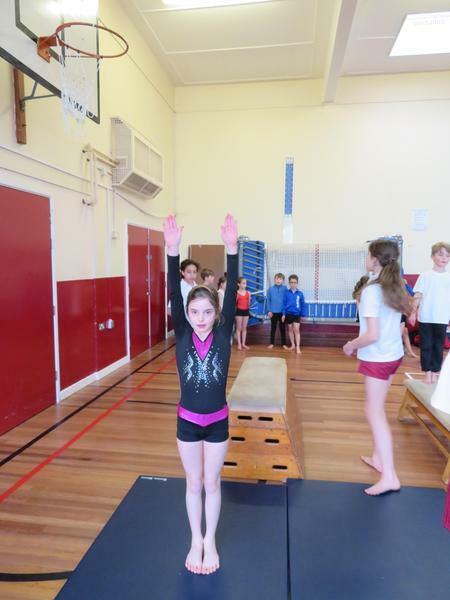 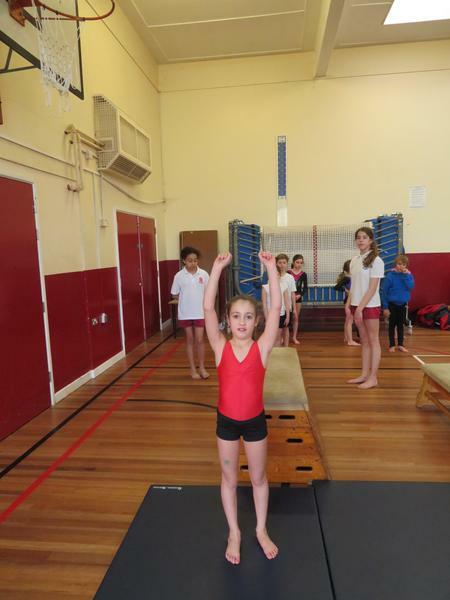 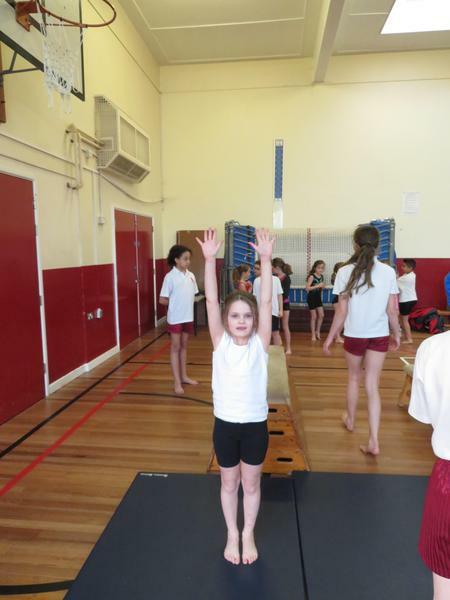 The standard at these events can be extremely high and it isn't beneficial for a child to participate in a competition which is at a level that does not match their own standard. 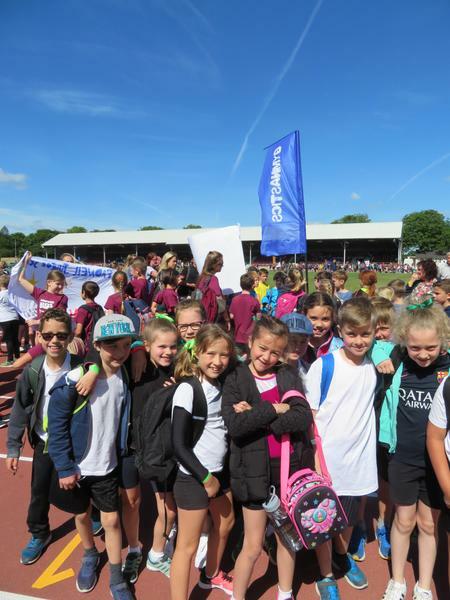 In addition, we are a competitive school and as such would want to enter these events with the possibility of finishing well. 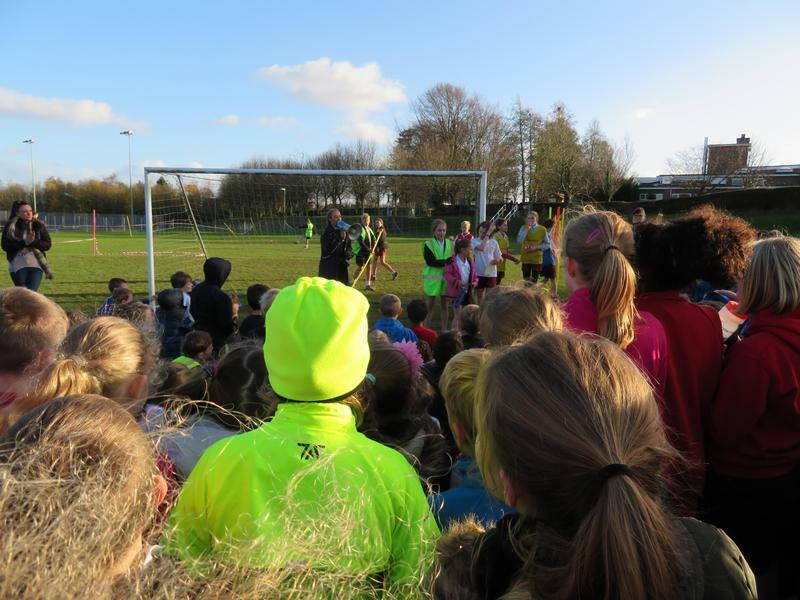 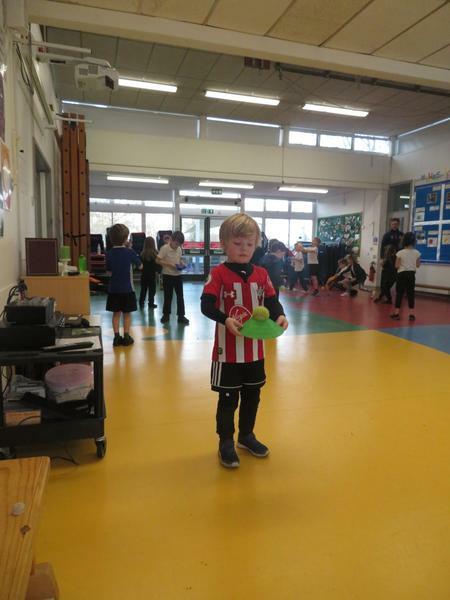 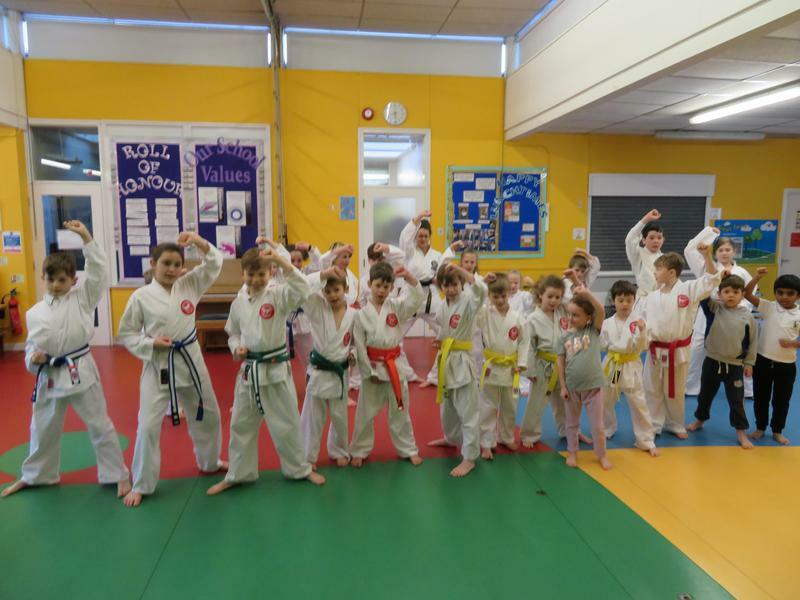 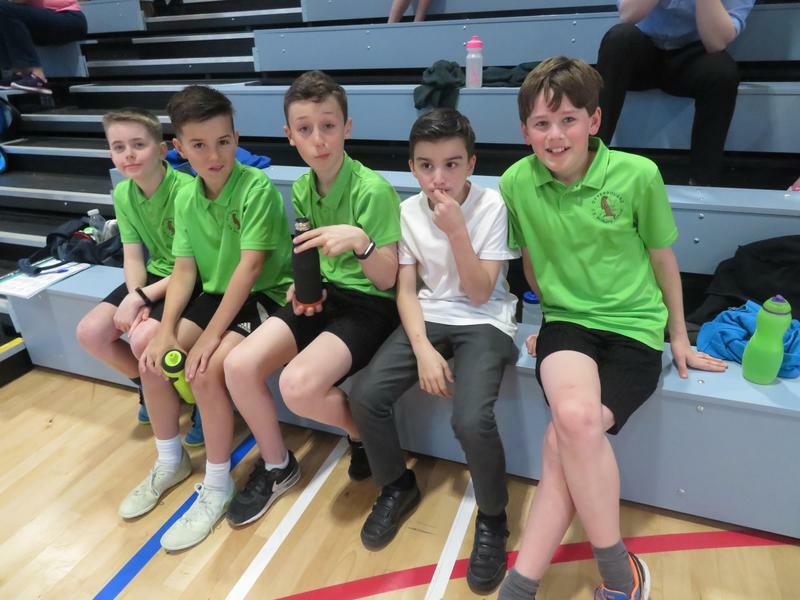 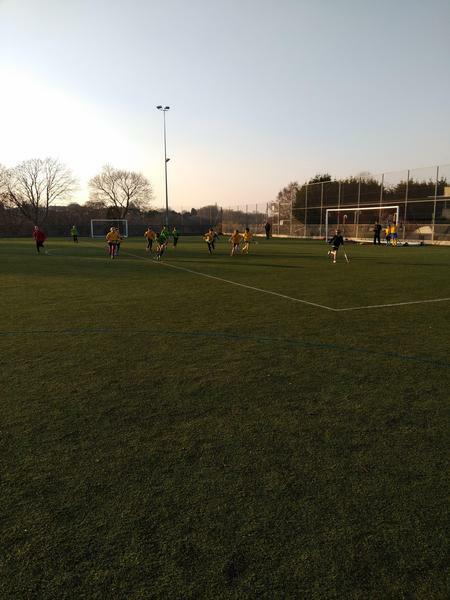 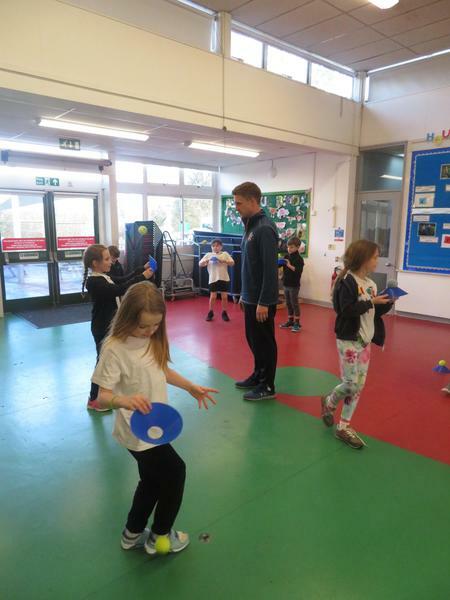 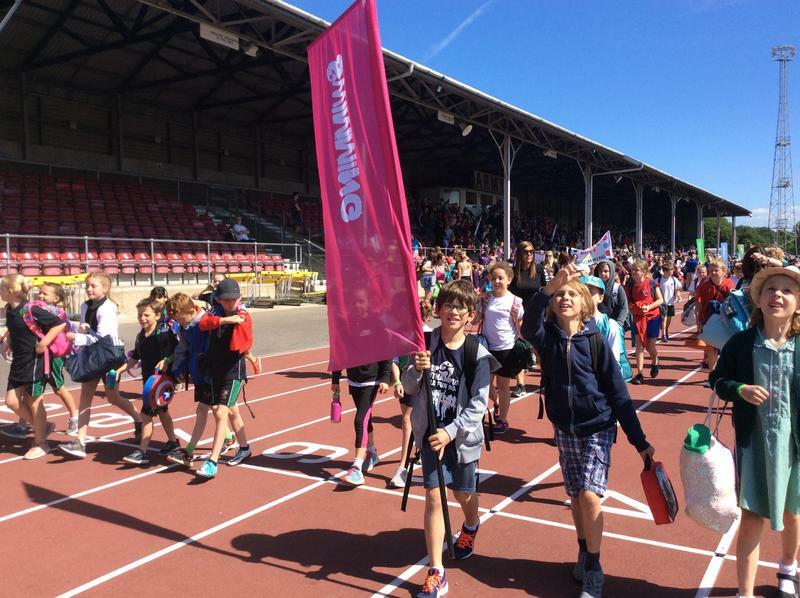 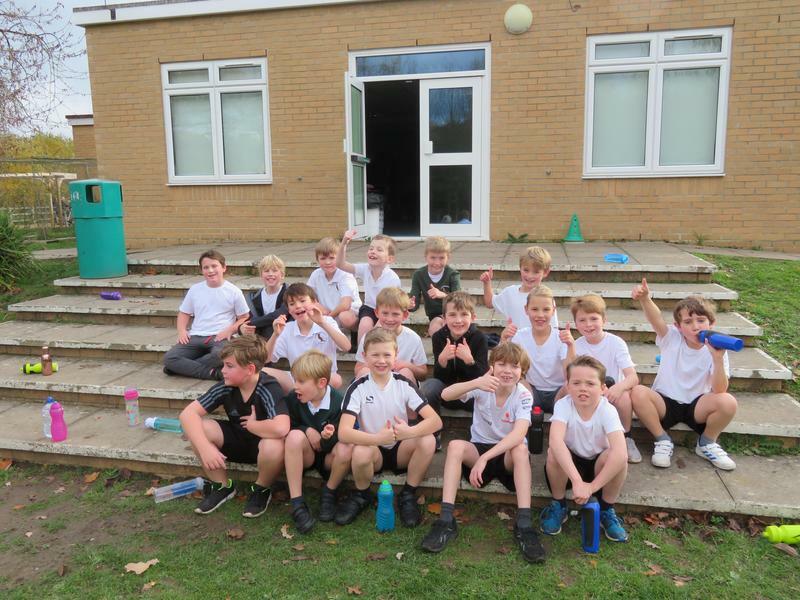 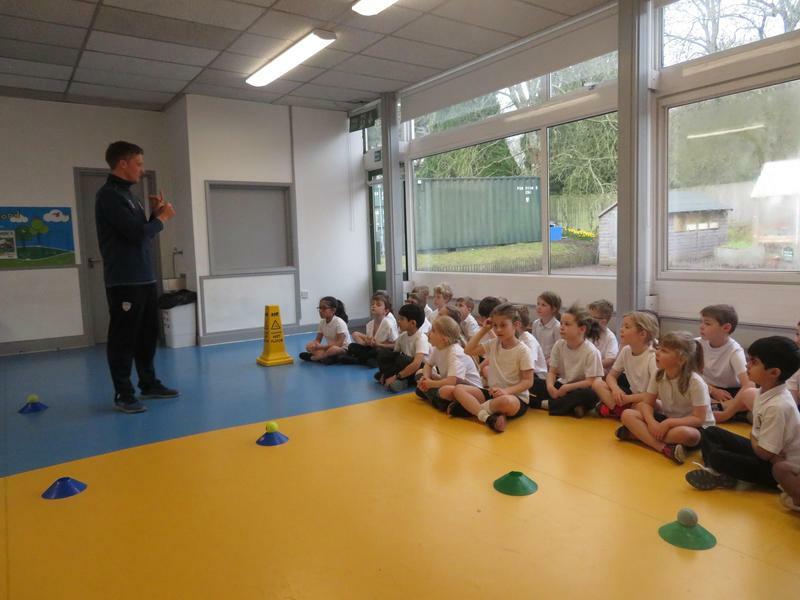 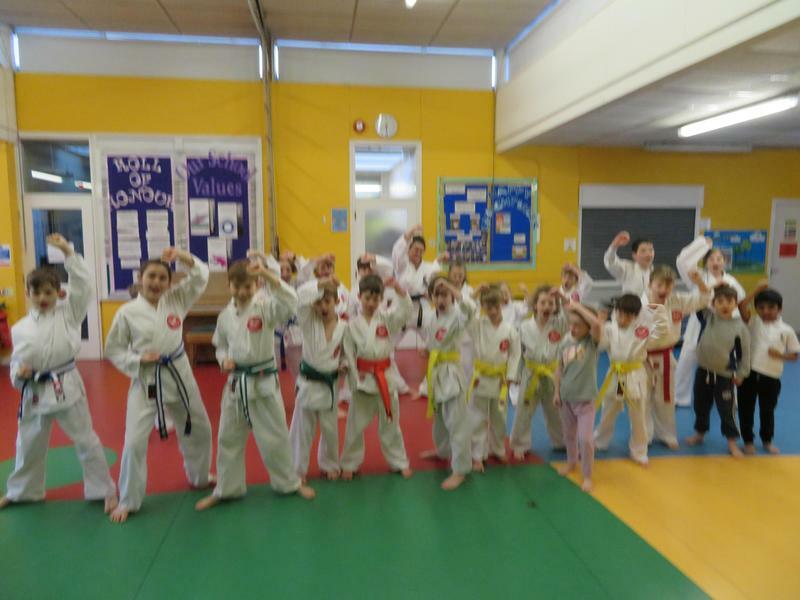 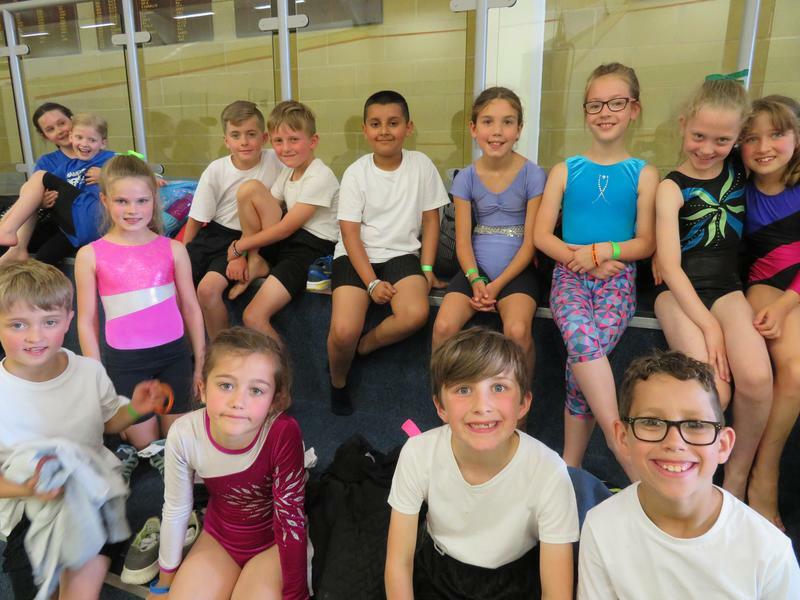 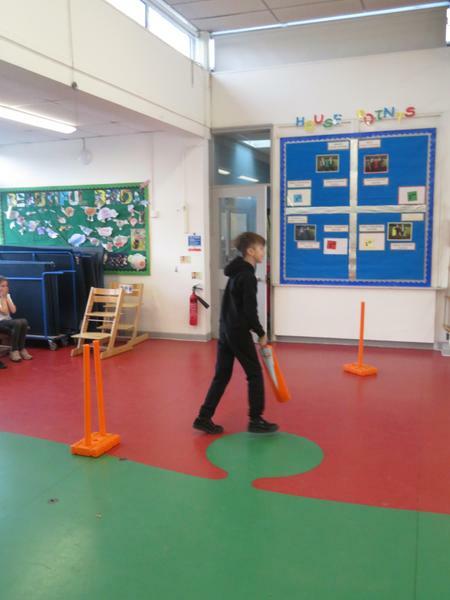 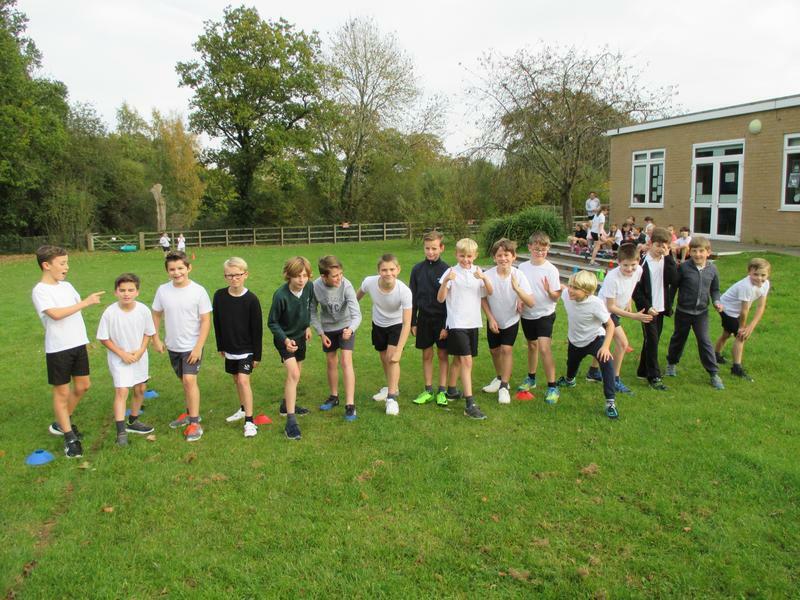 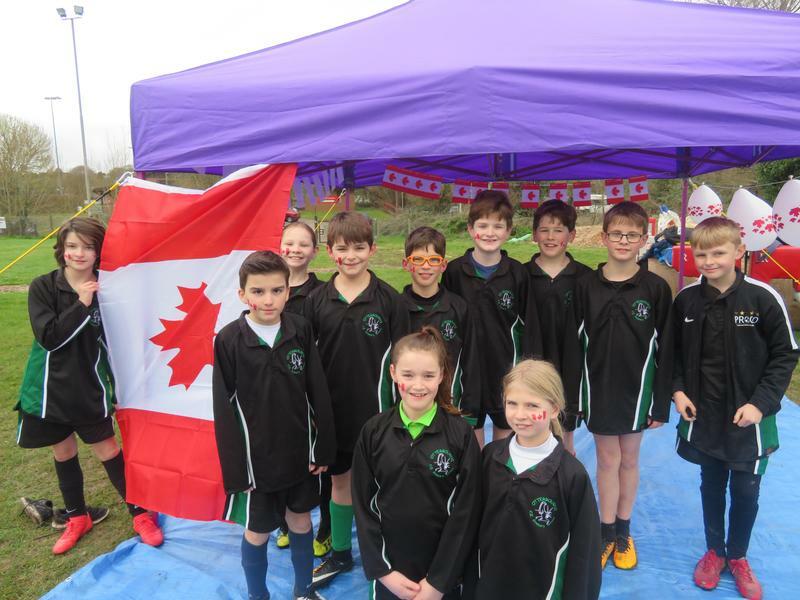 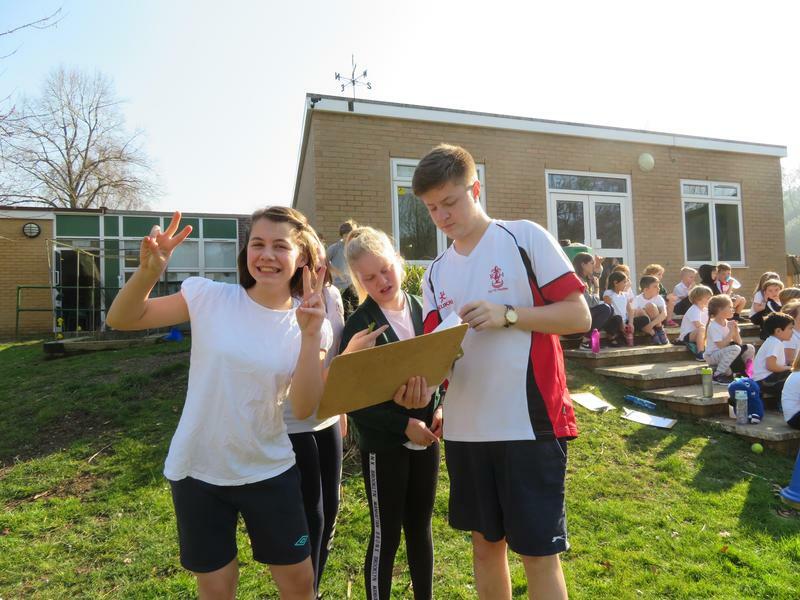 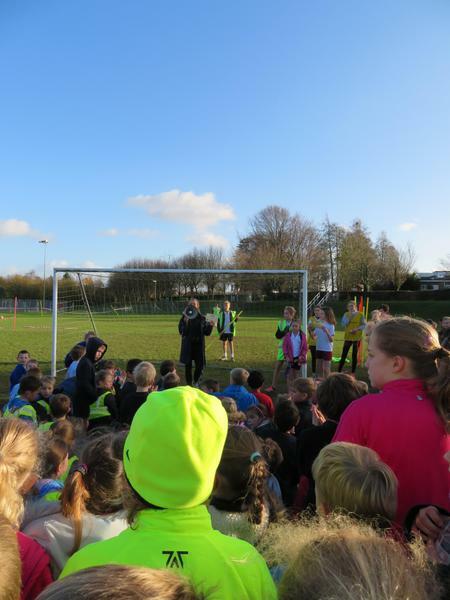 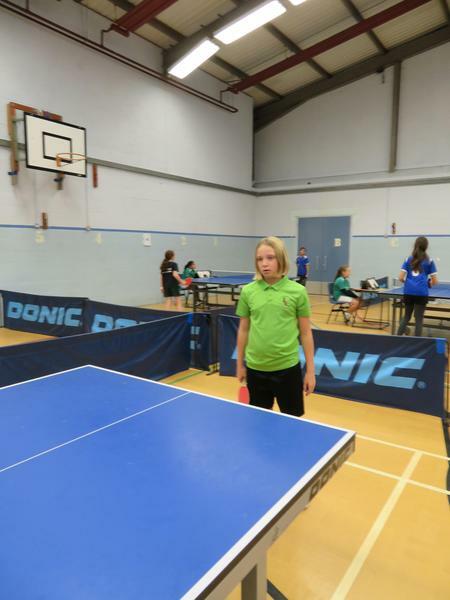 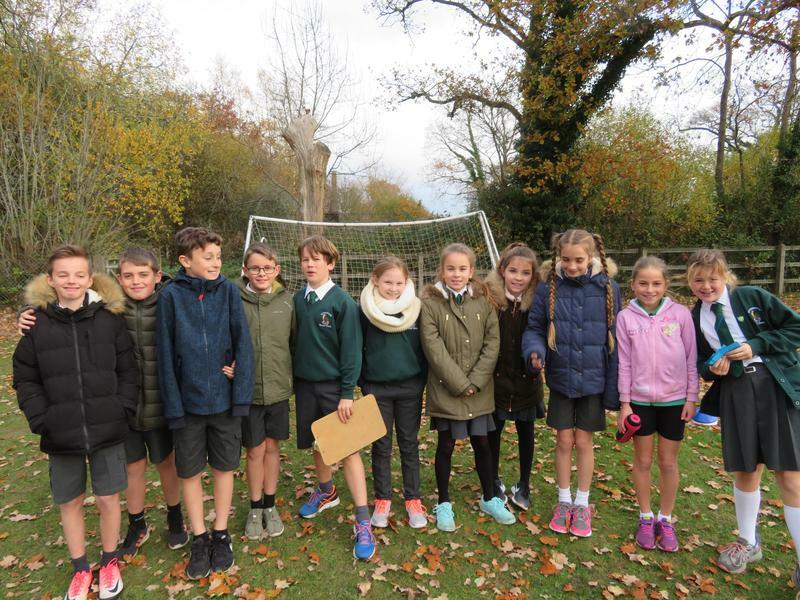 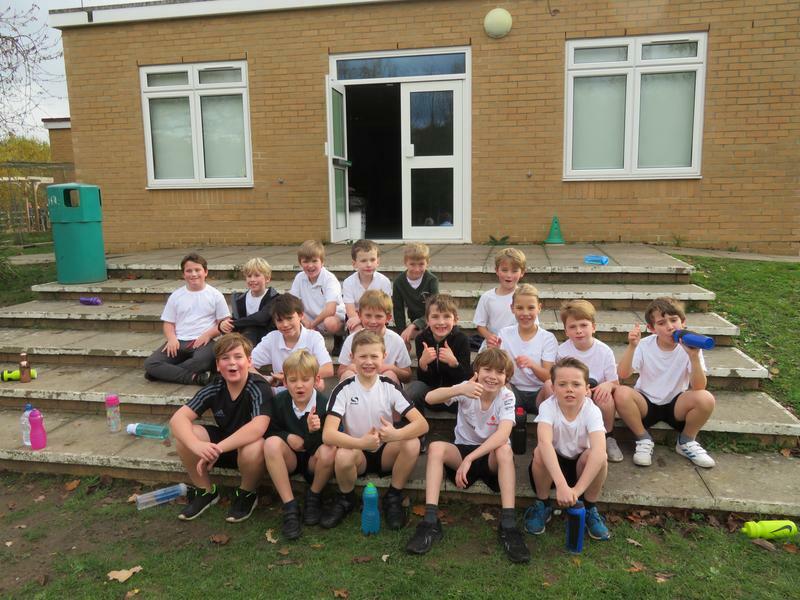 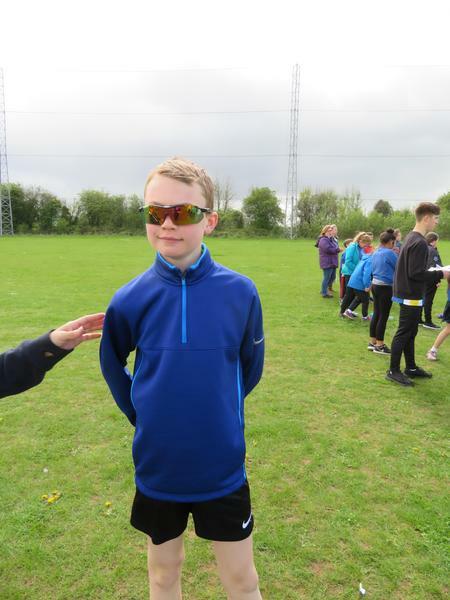 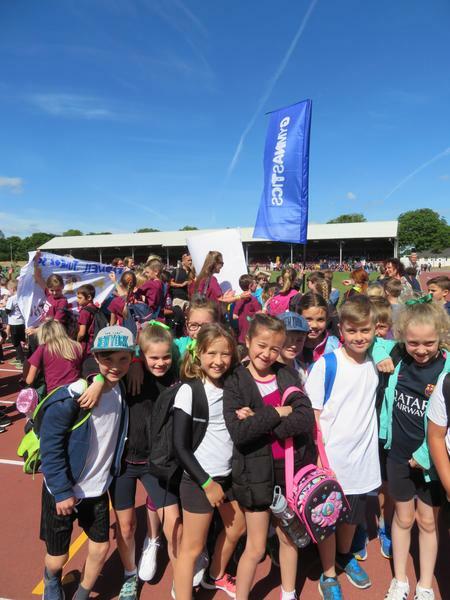 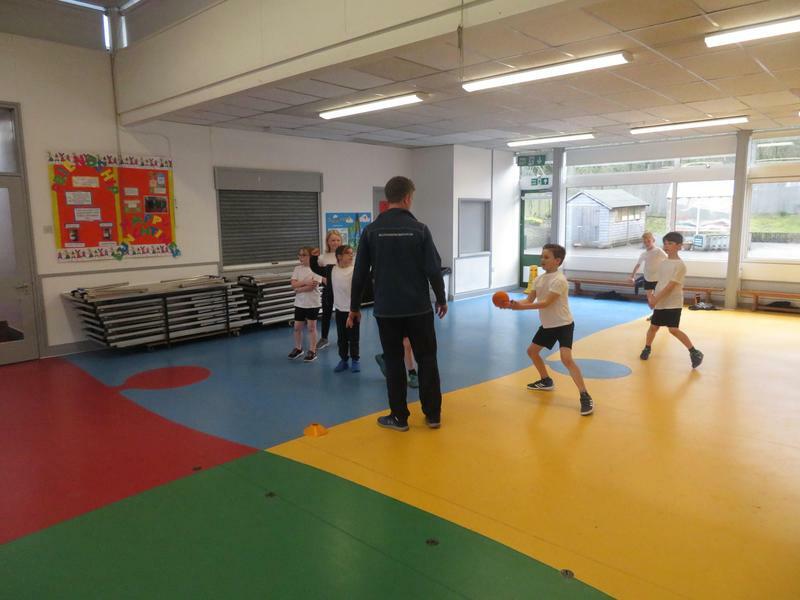 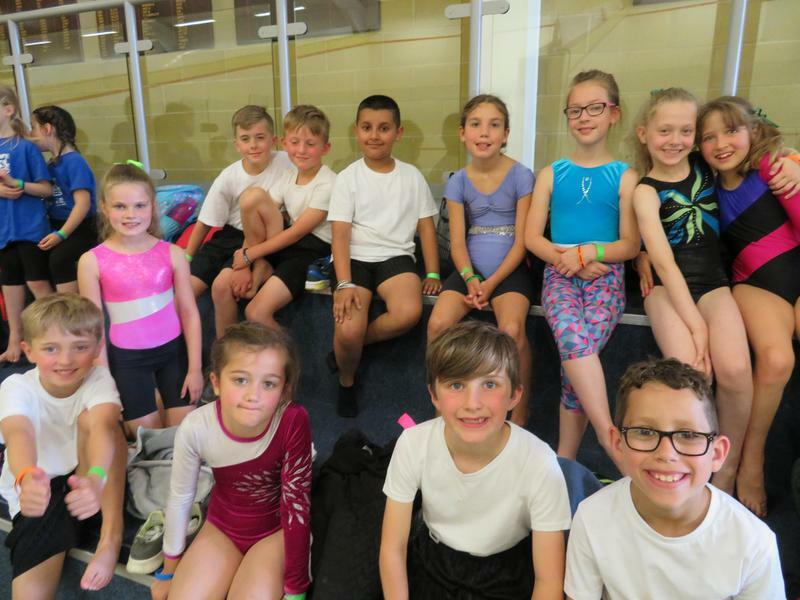 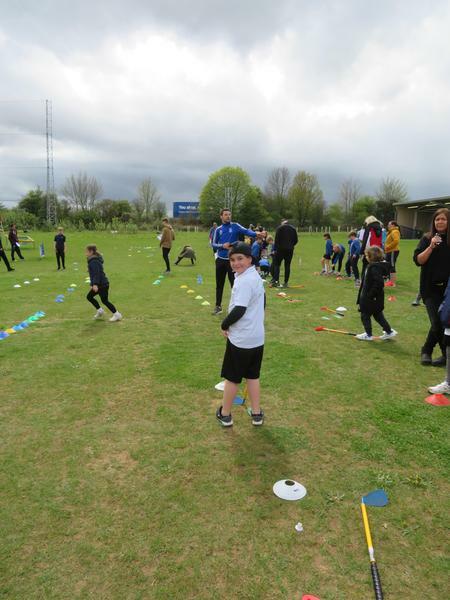 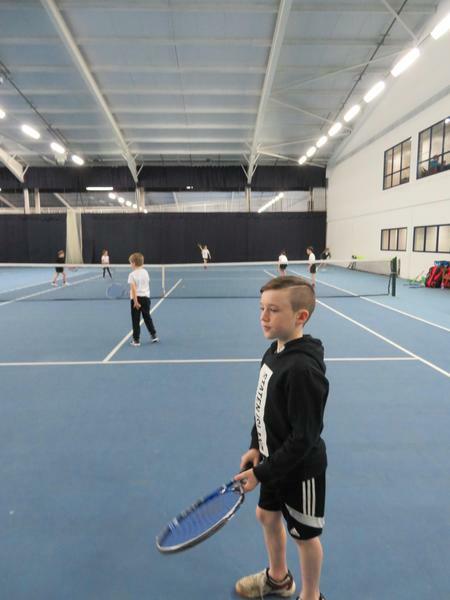 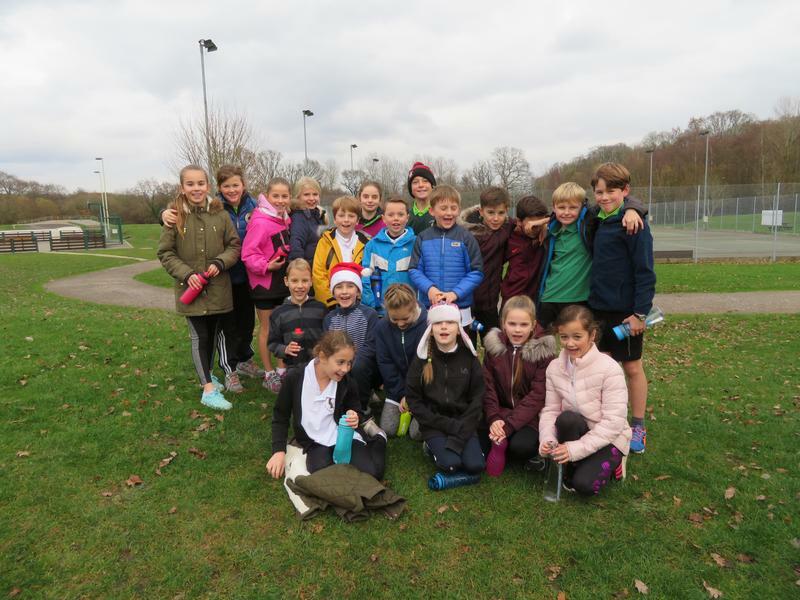 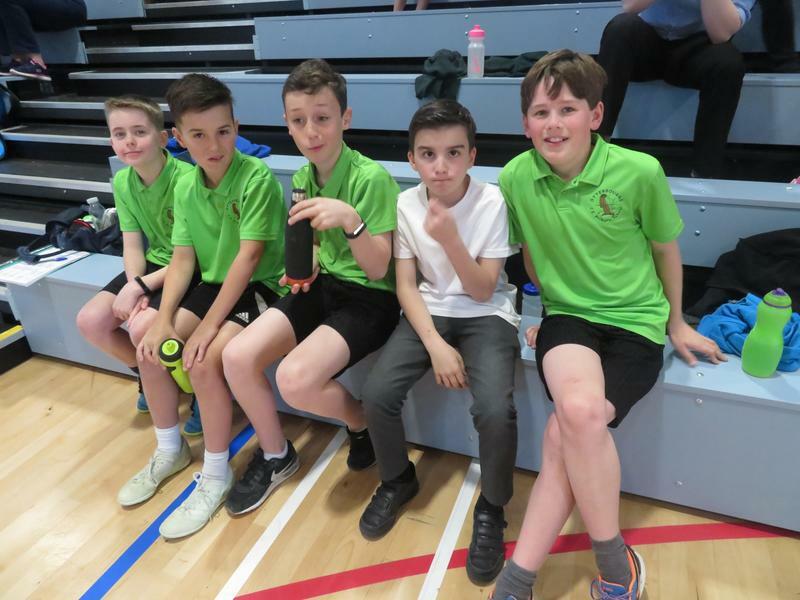 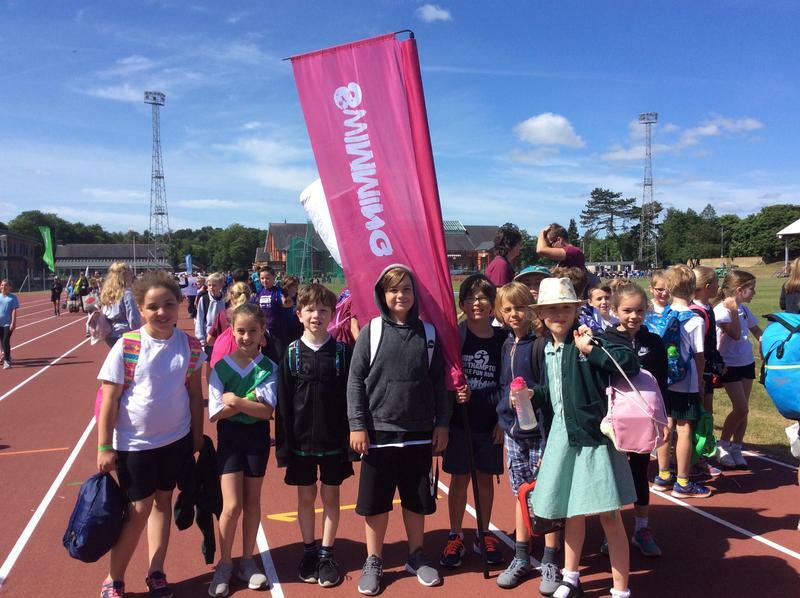 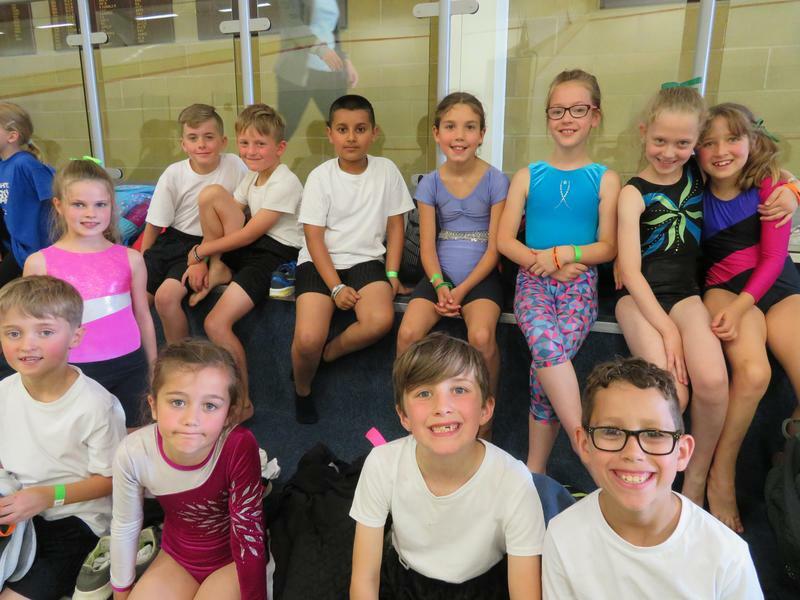 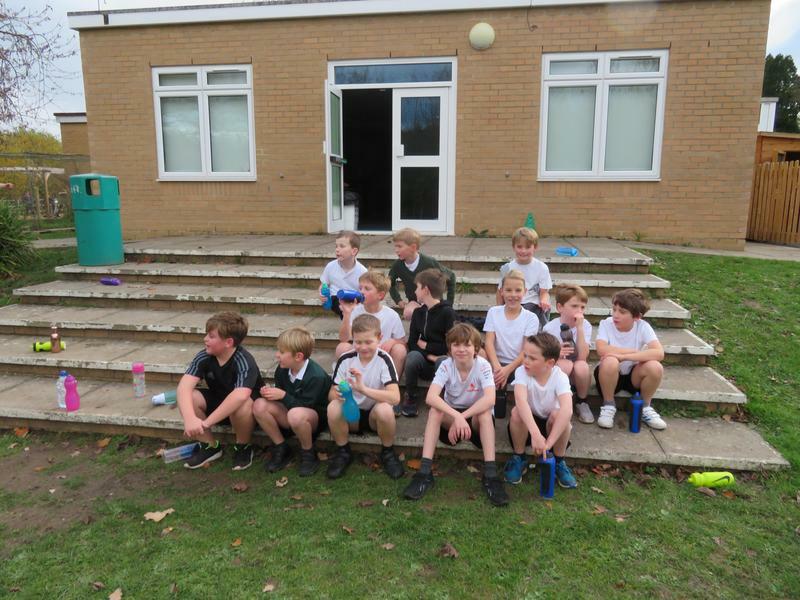 I am aware that this may mean that some children may not represent the school at this level, and this is the reason why we have friendly matches against other local schools, organise plenty of House competitions within school and take different children to the Inclusive Competitions whenever possible. 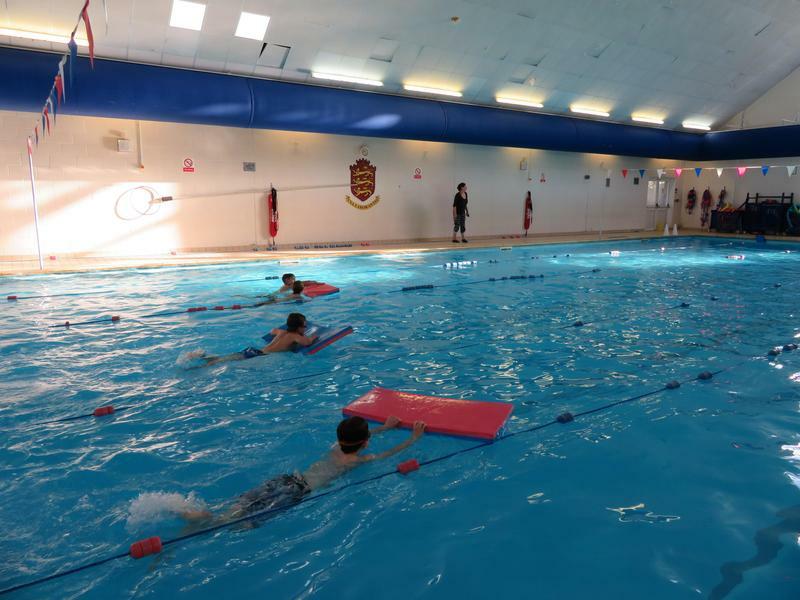 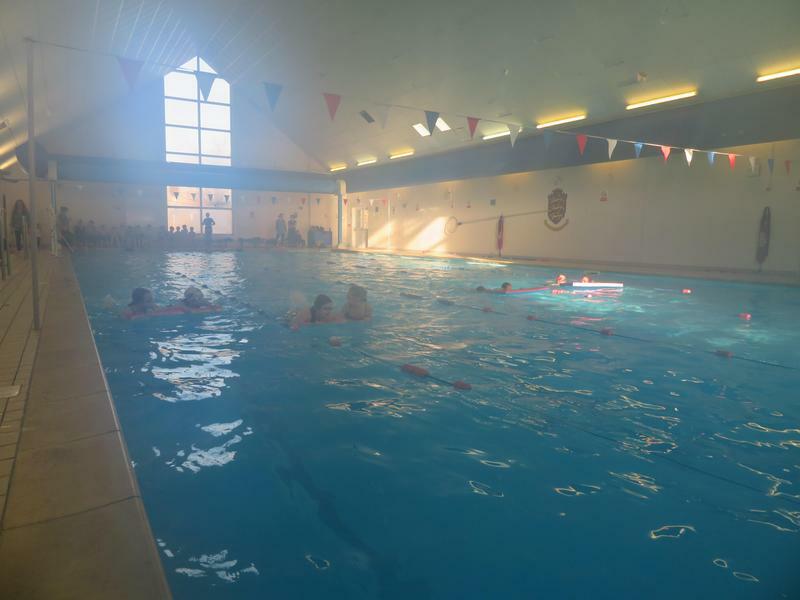 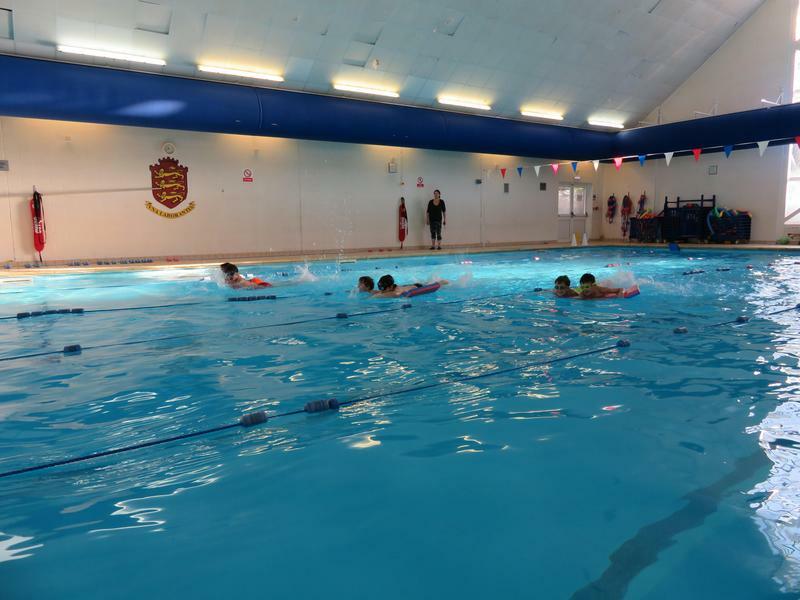 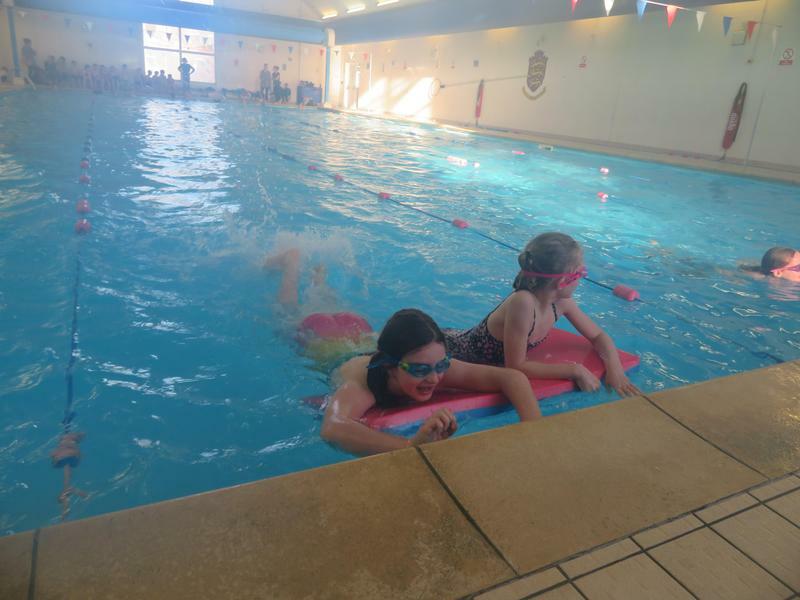 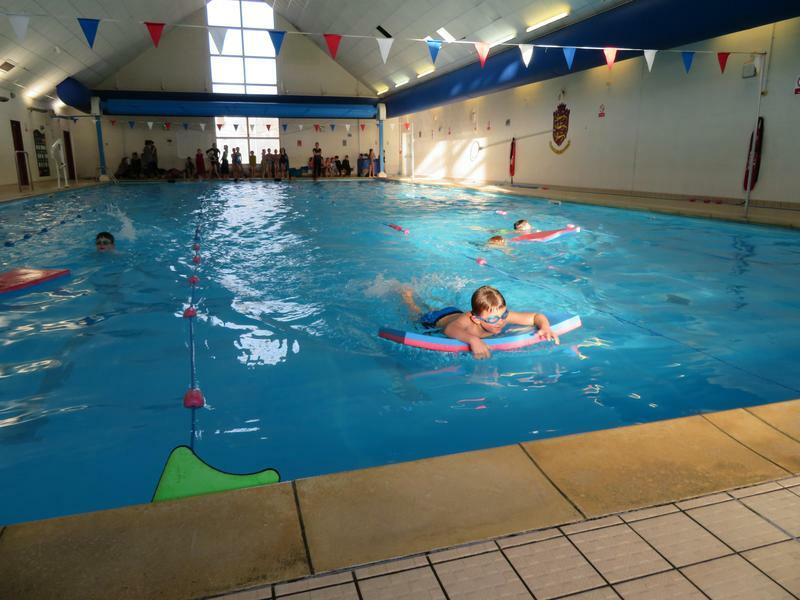 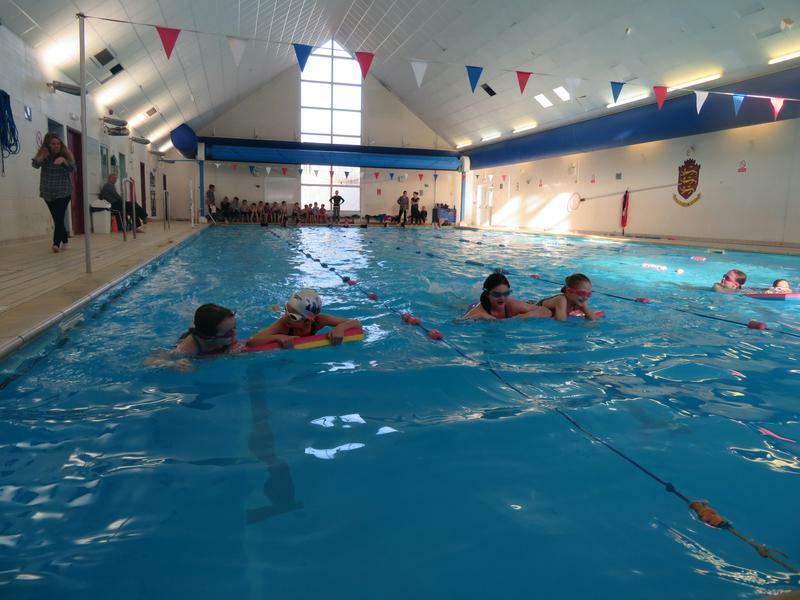 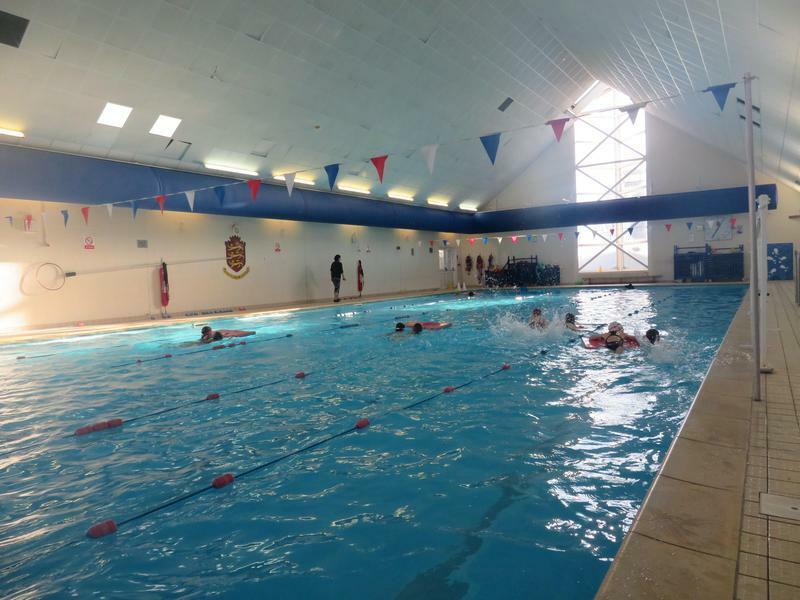 In the Autumn term of each year, the KS2 children can attend swimming trials organised by us so that we have a record of swimming times to help with selection for the swimming galas. 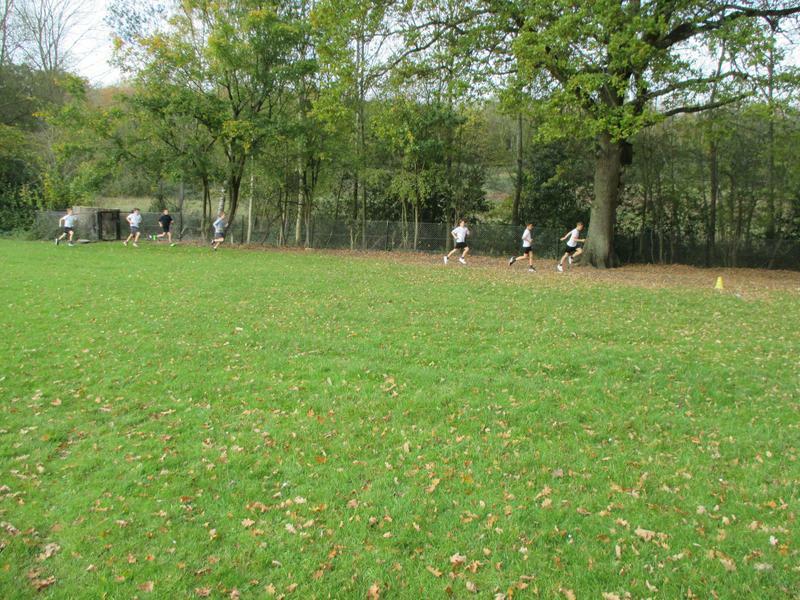 Similarly, the House X-Country gives us an indication of who the strong runners are; this helps with x-country team selection. 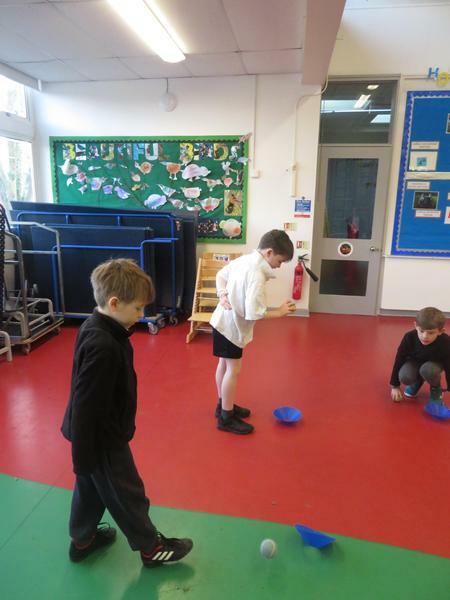 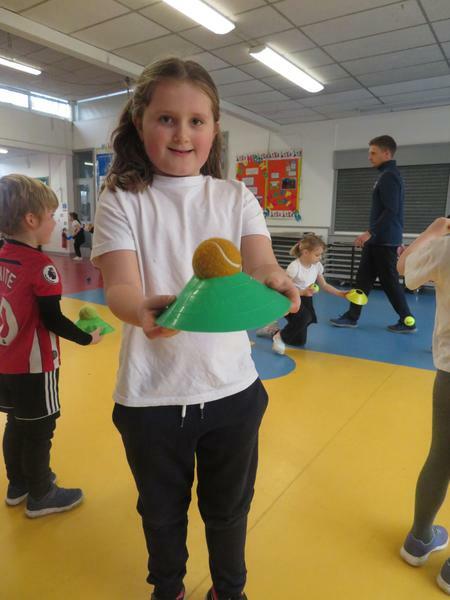 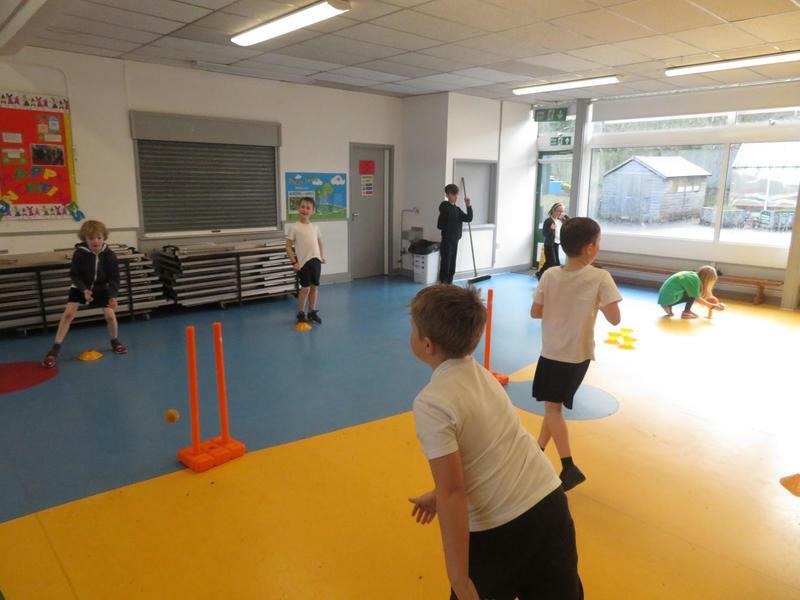 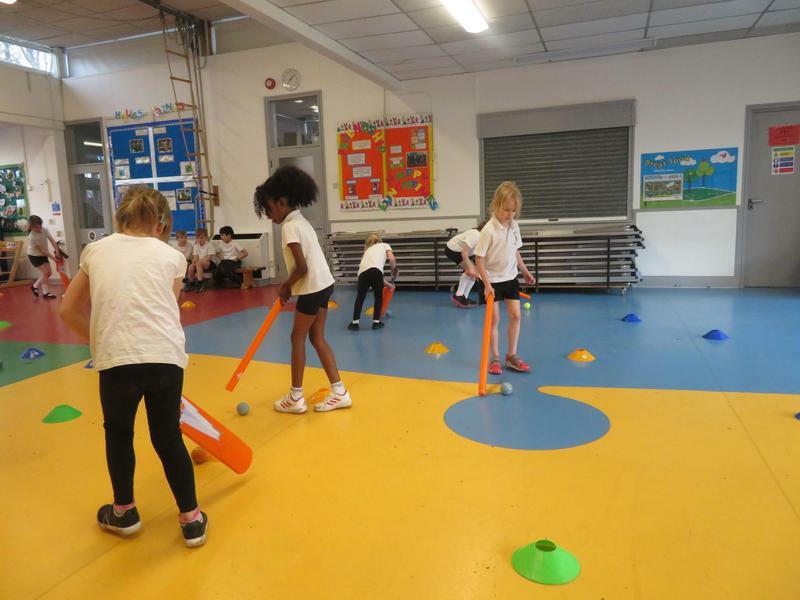 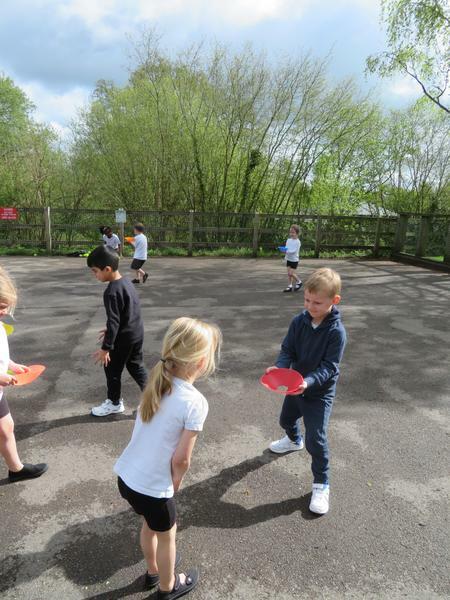 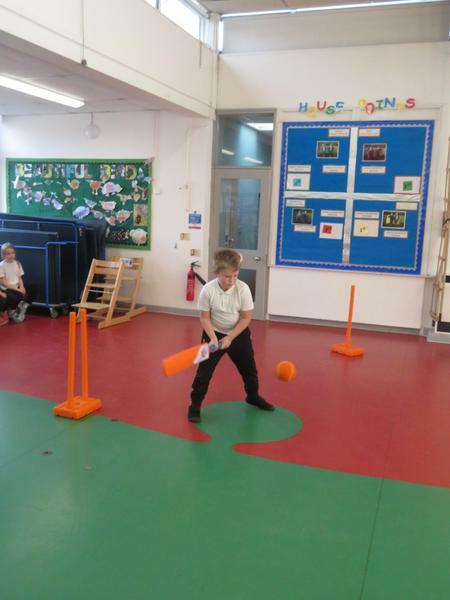 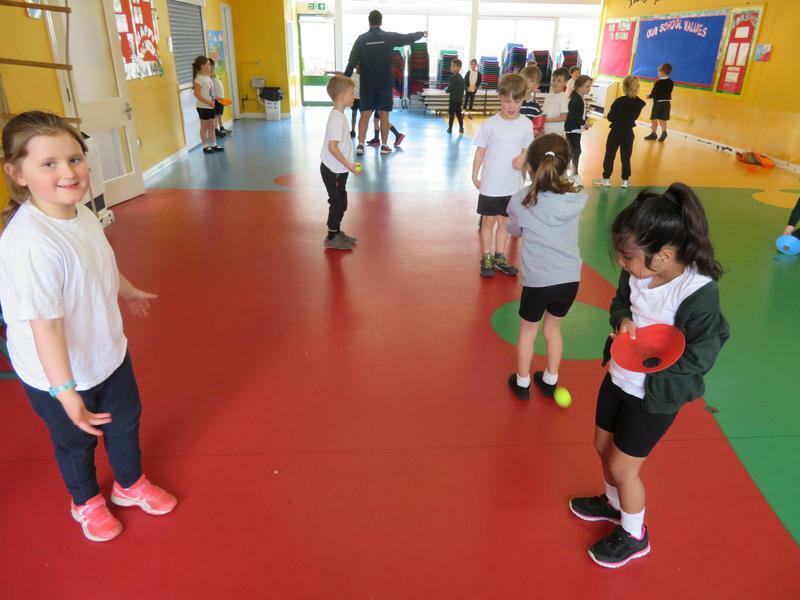 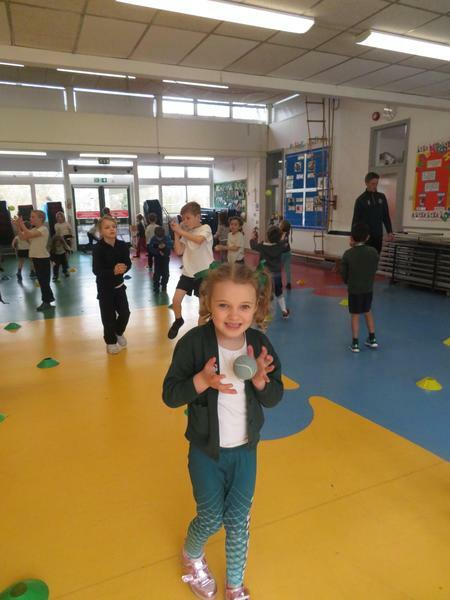 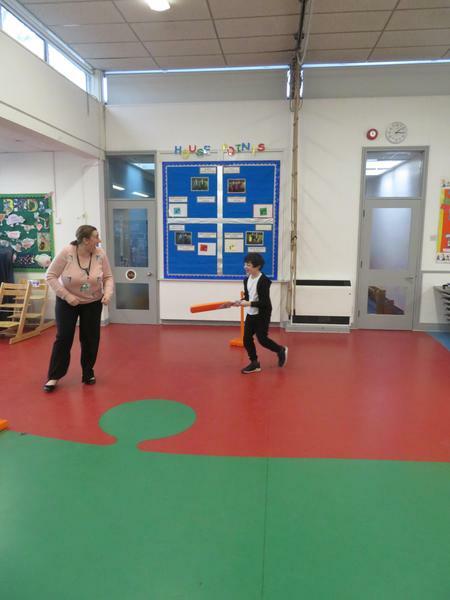 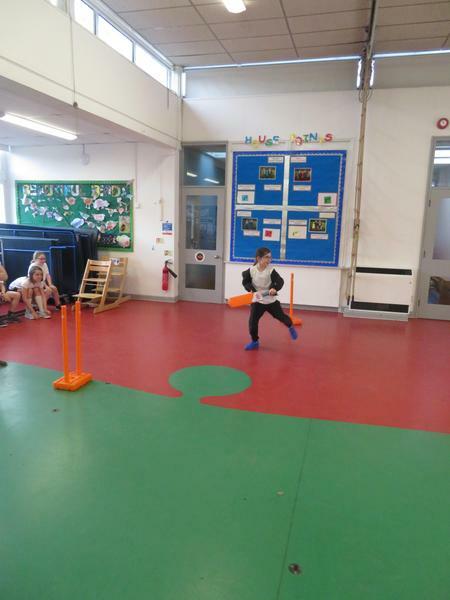 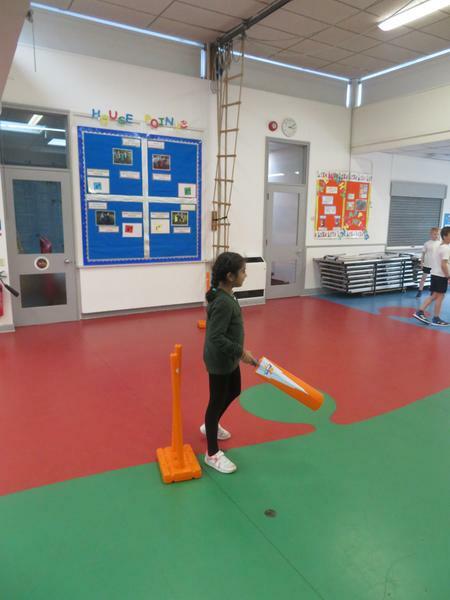 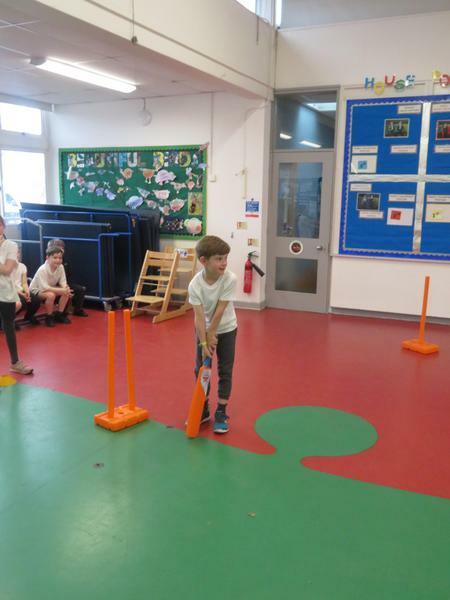 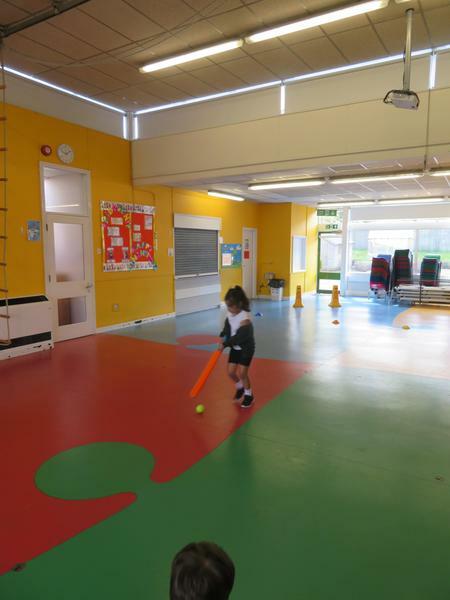 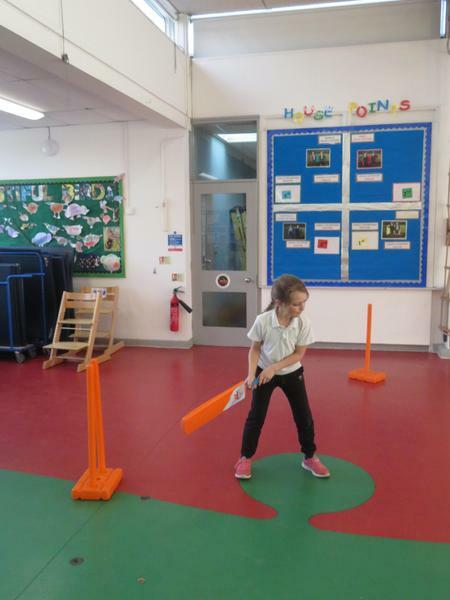 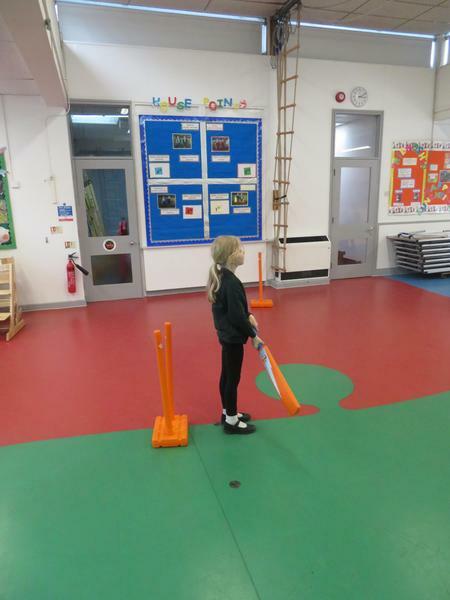 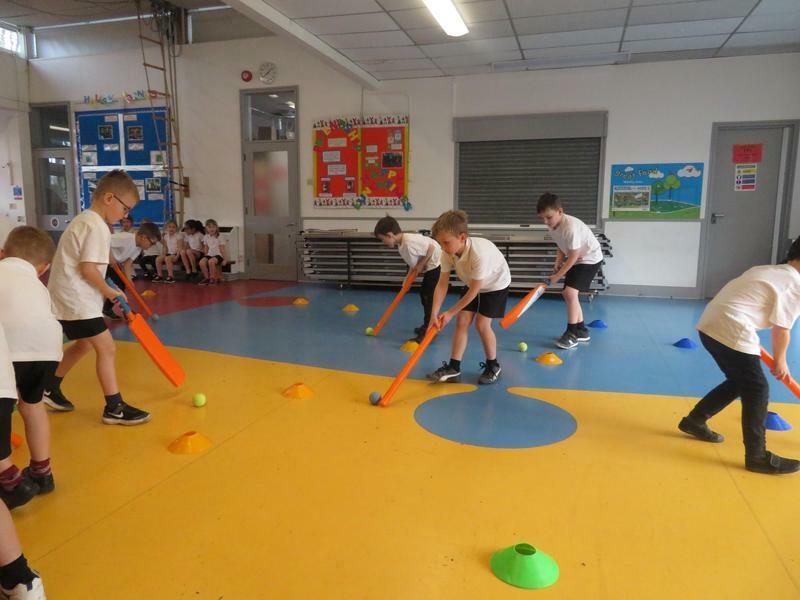 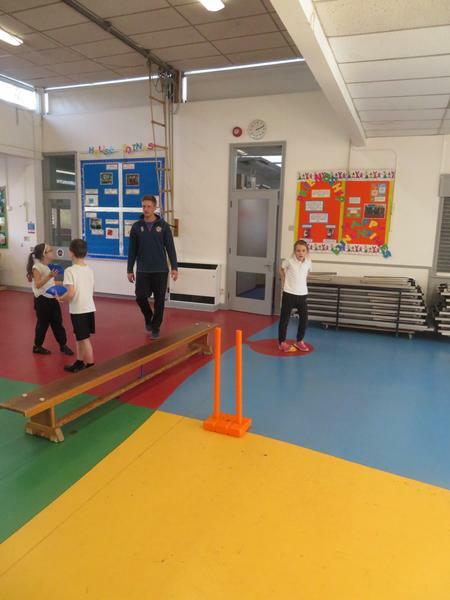 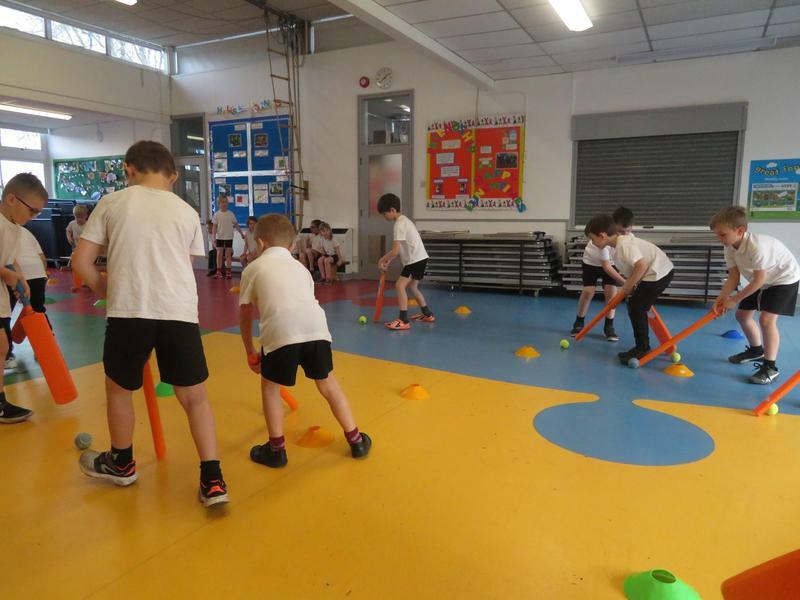 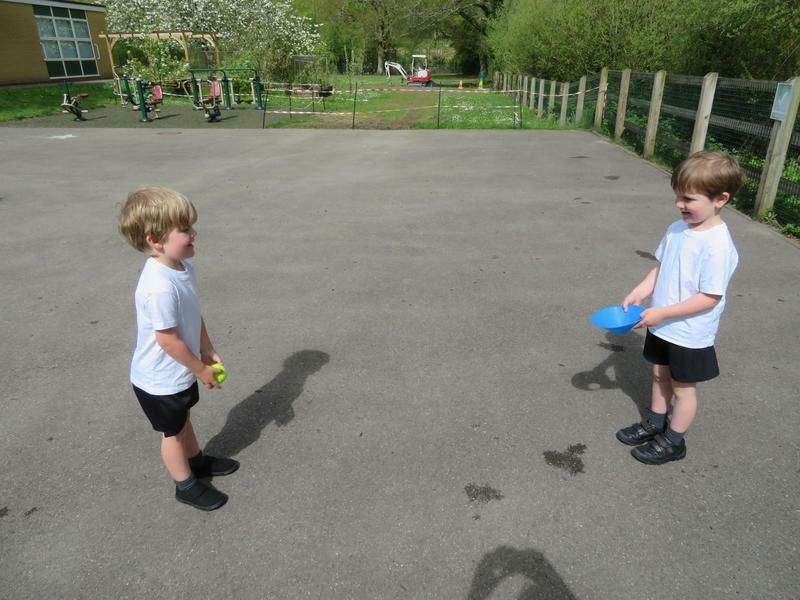 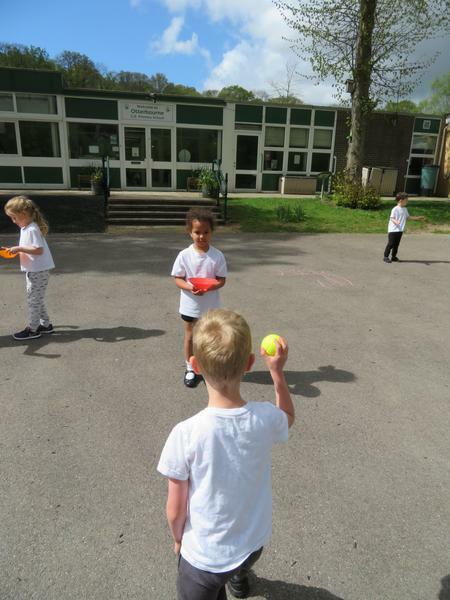 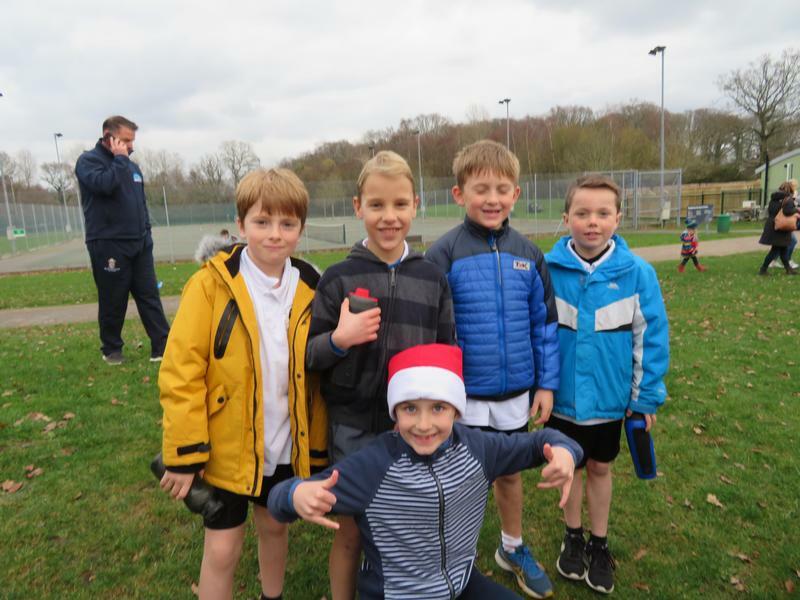 We aspire to provide opportunities for all children, and with this in mind, we continue to seek new types of sports and activities to introduce in to our school - please get in touch if you have an idea which might be of interest. 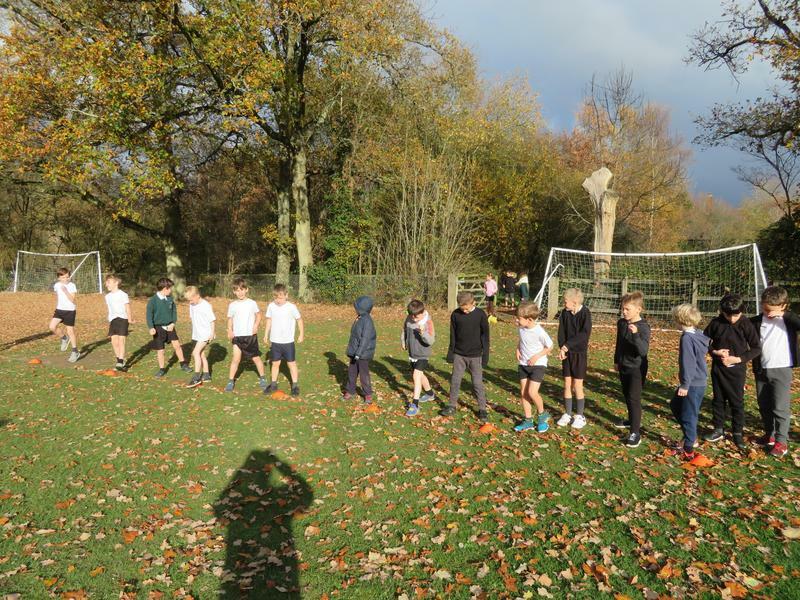 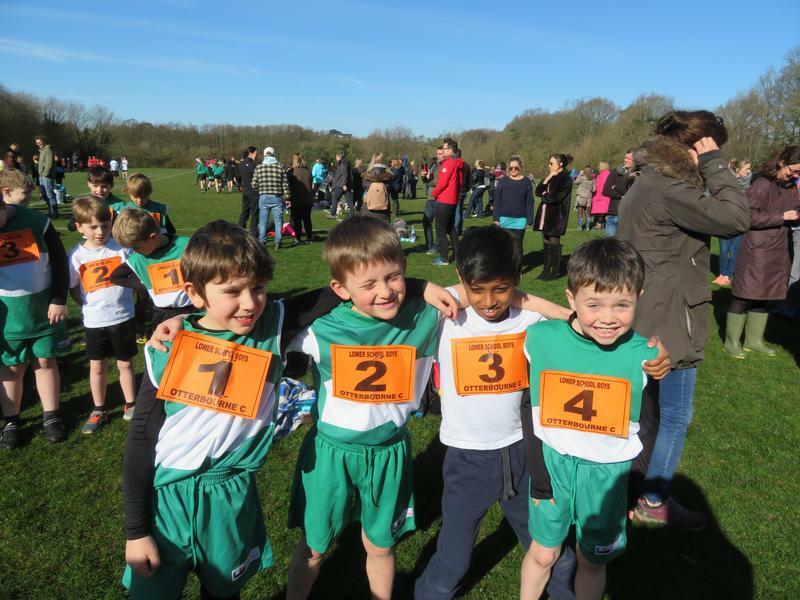 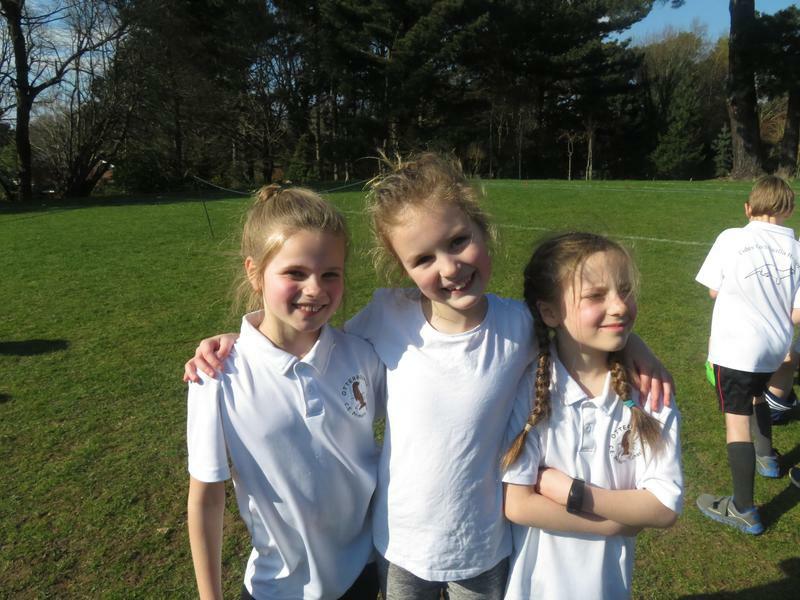 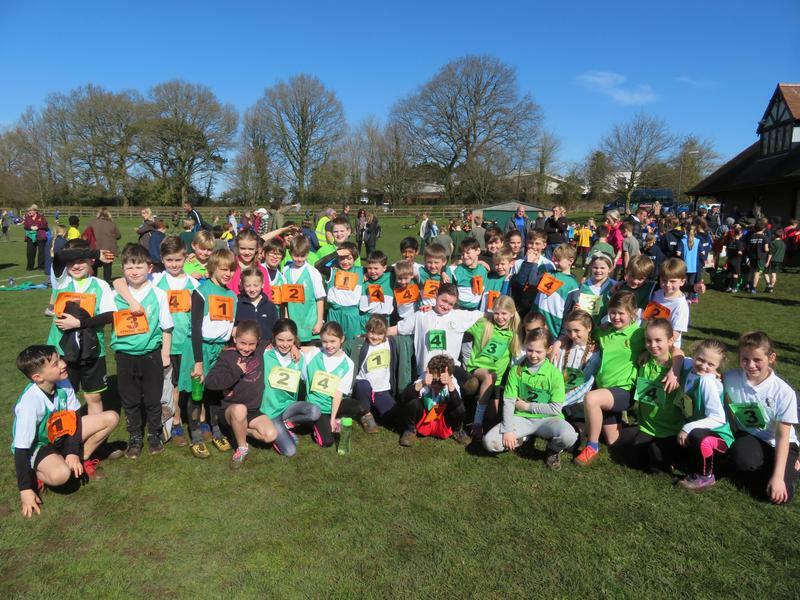 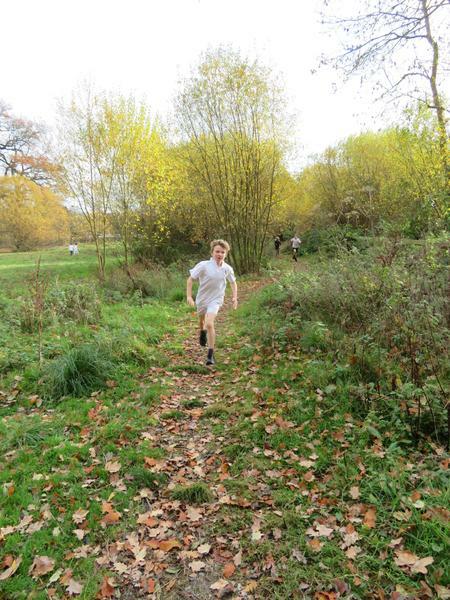 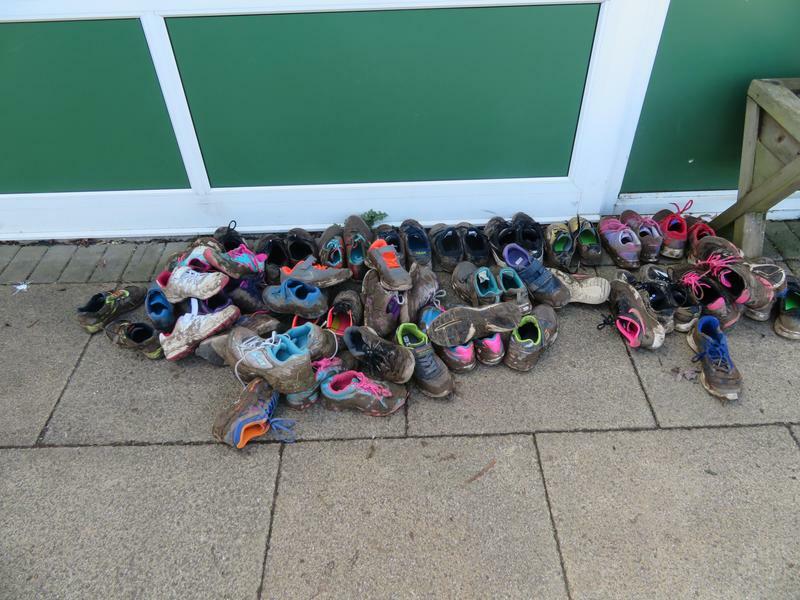 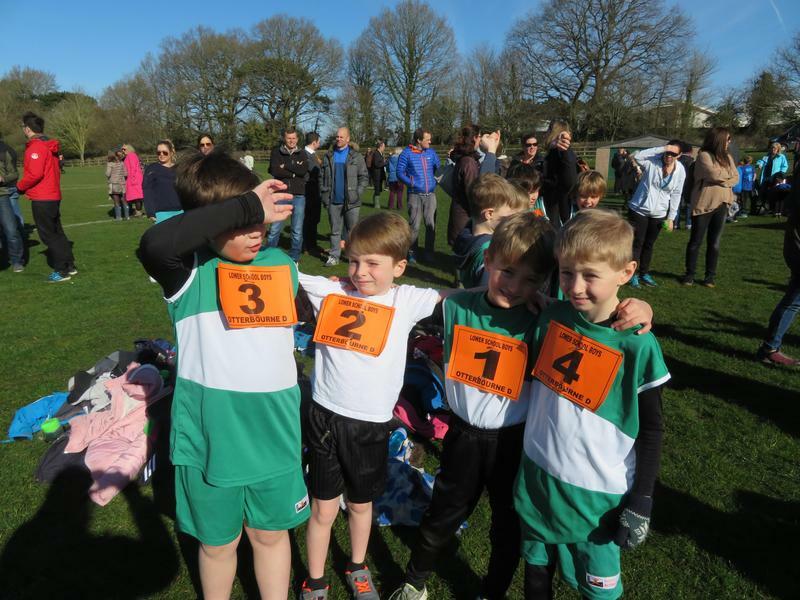 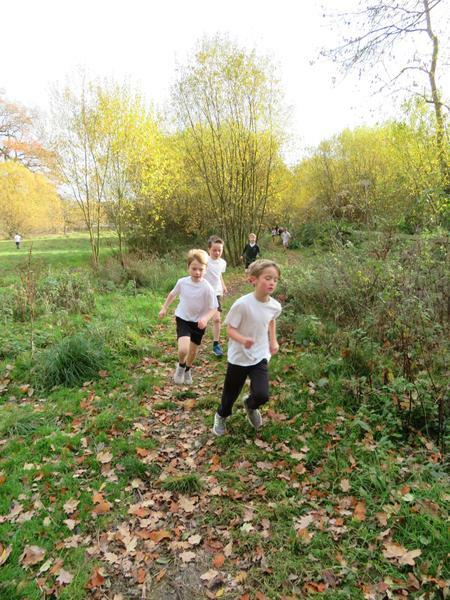 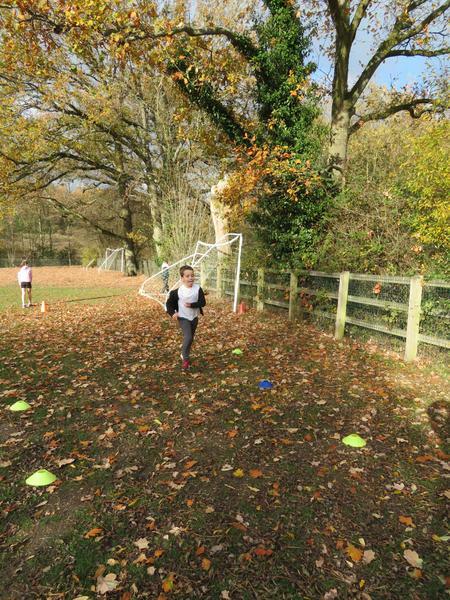 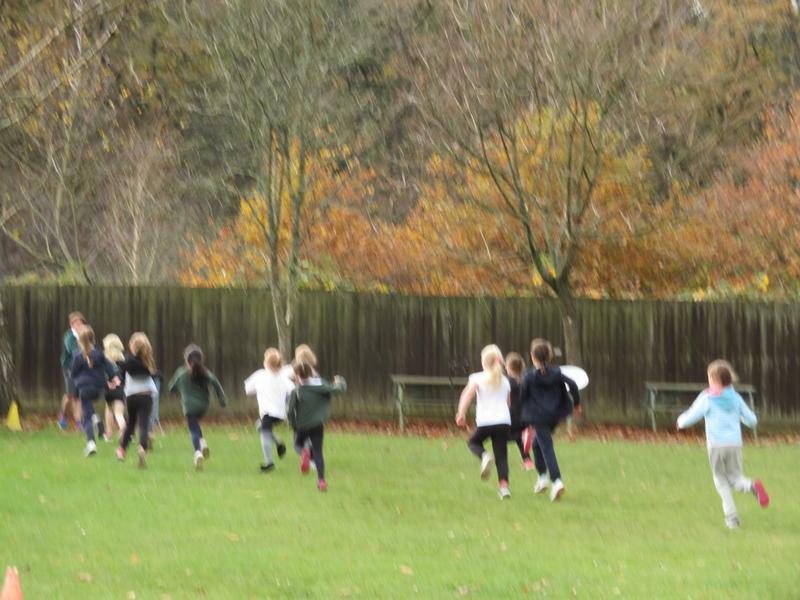 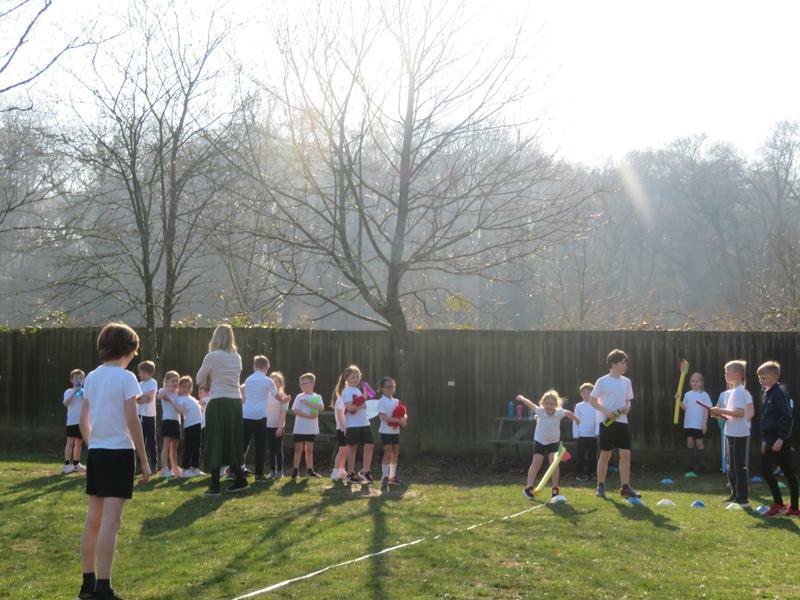 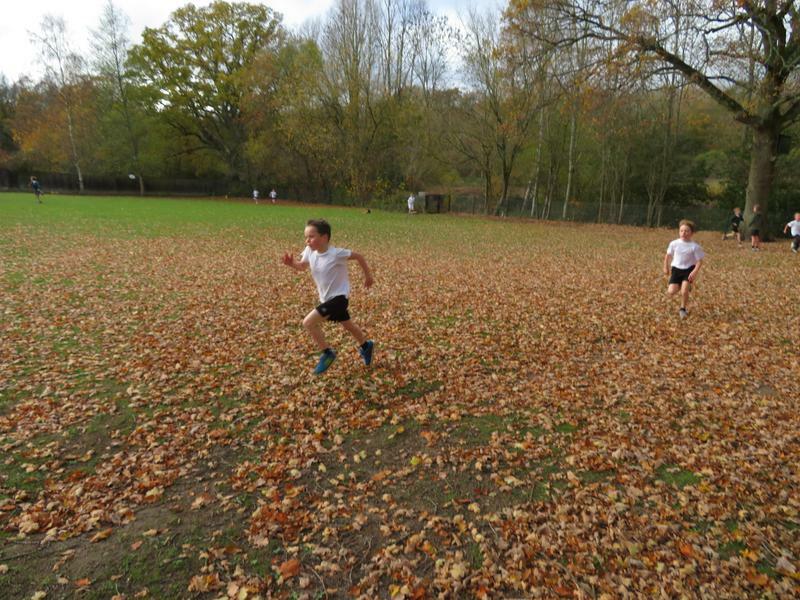 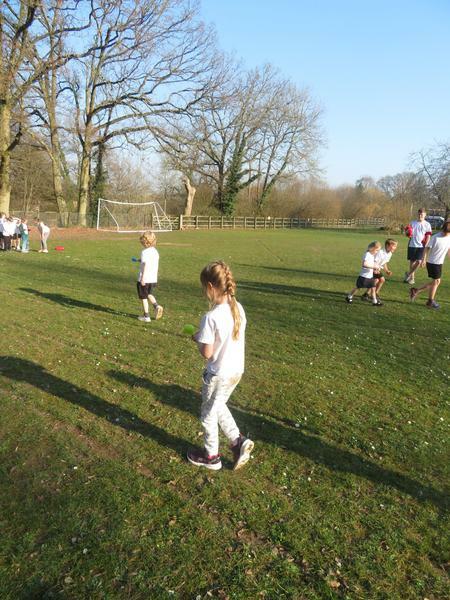 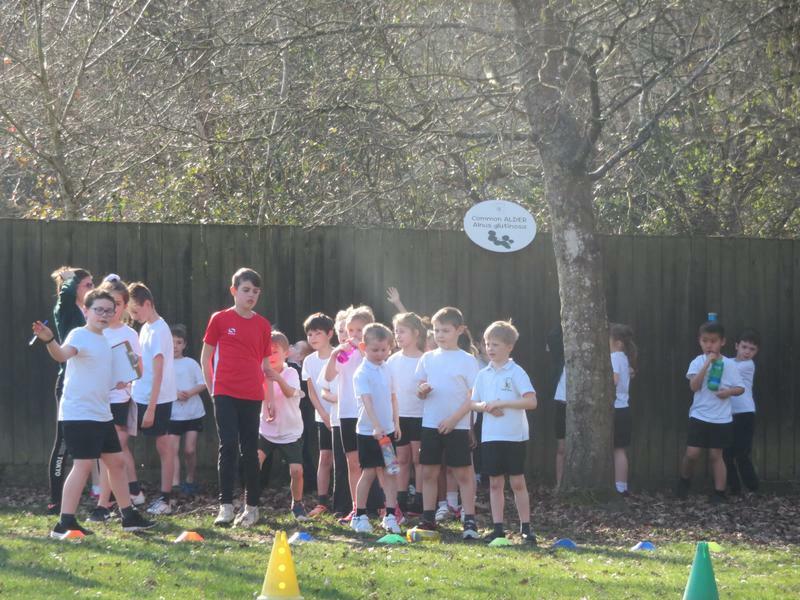 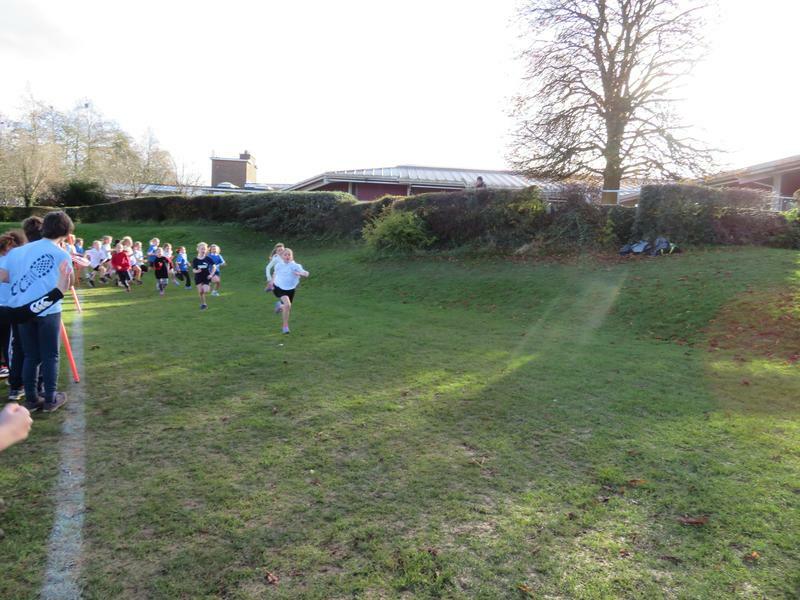 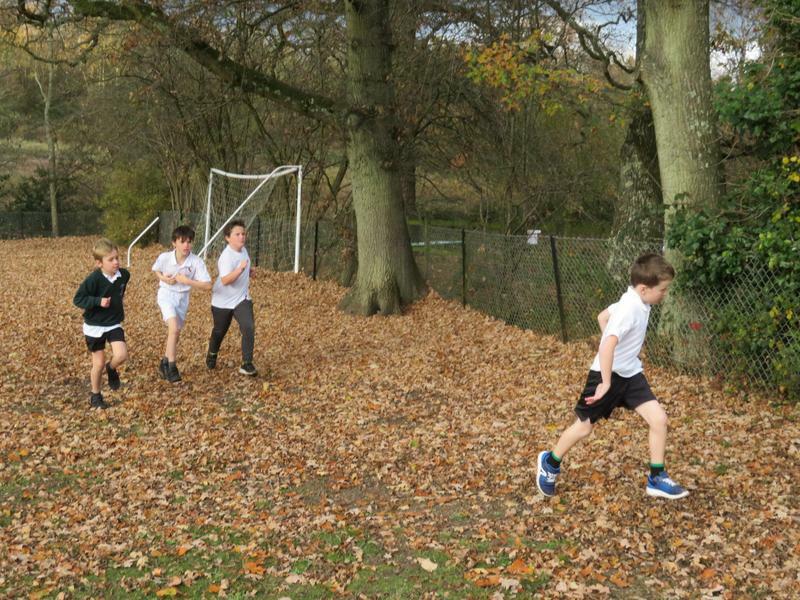 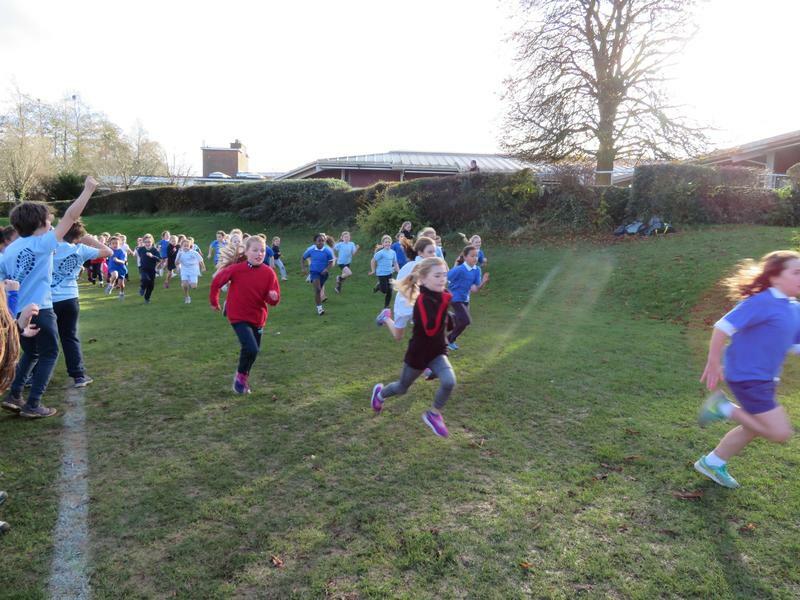 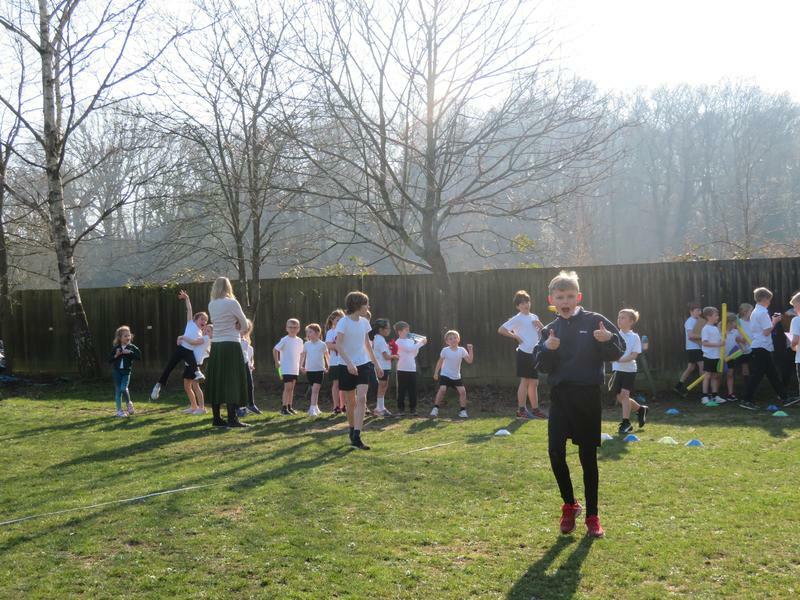 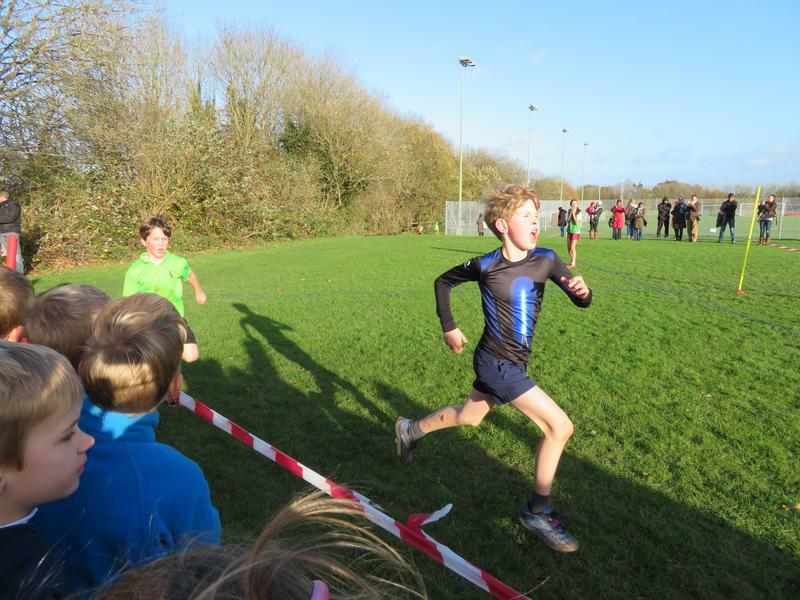 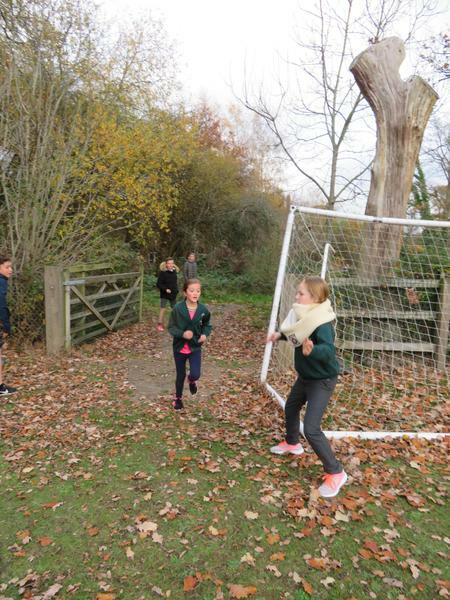 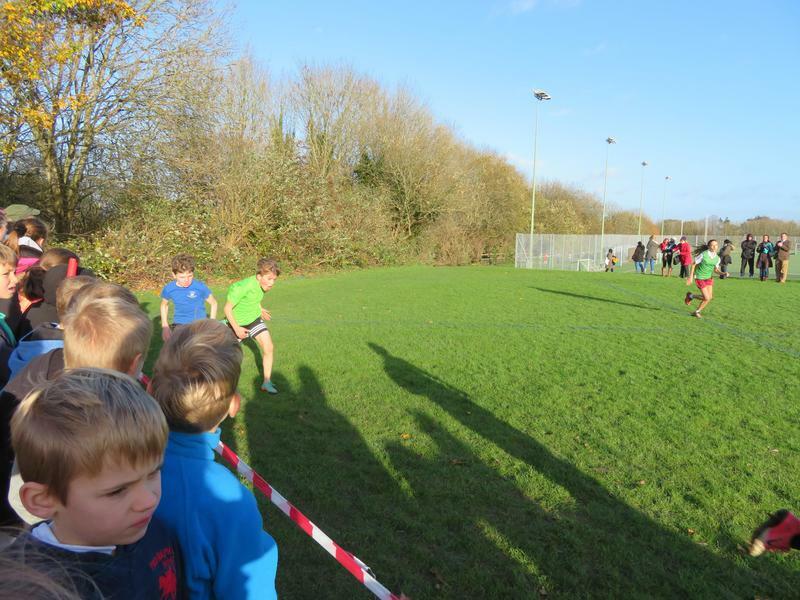 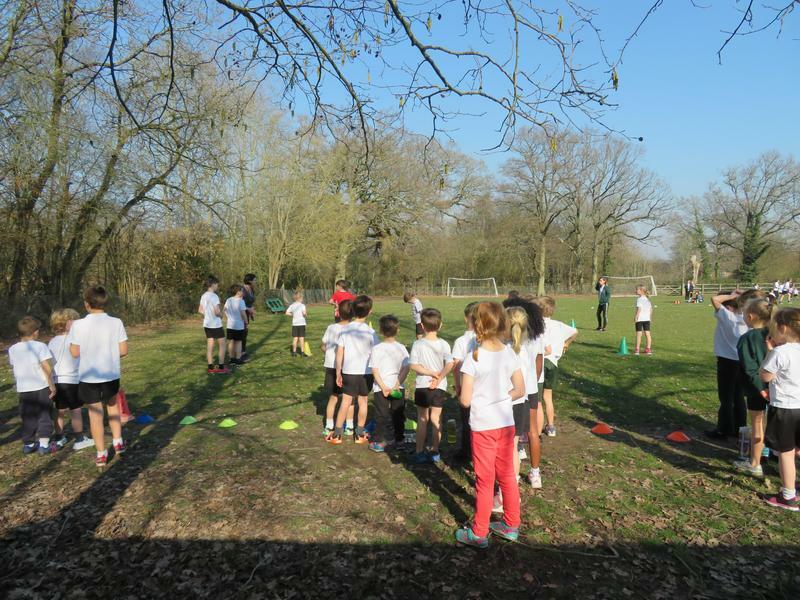 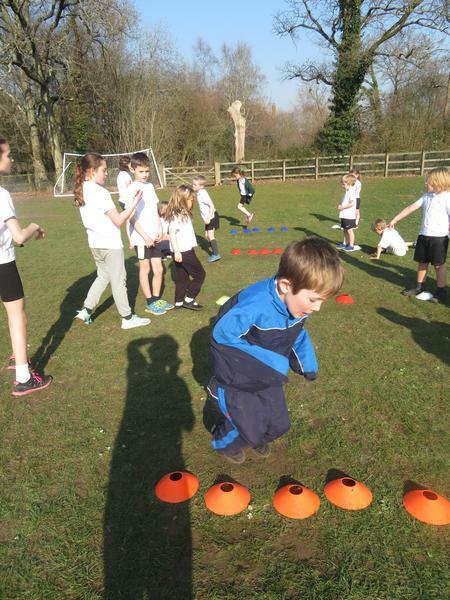 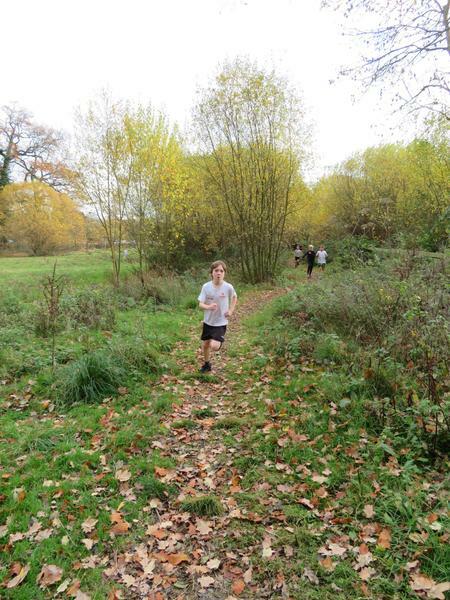 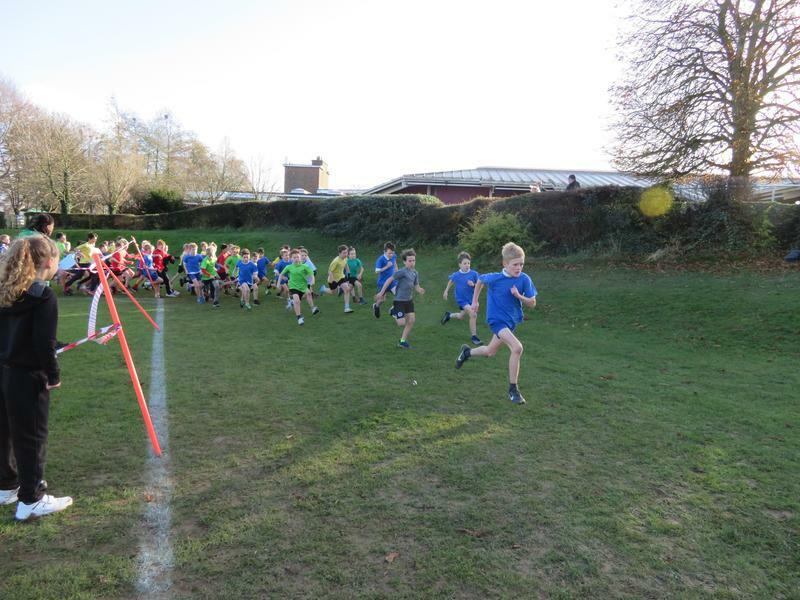 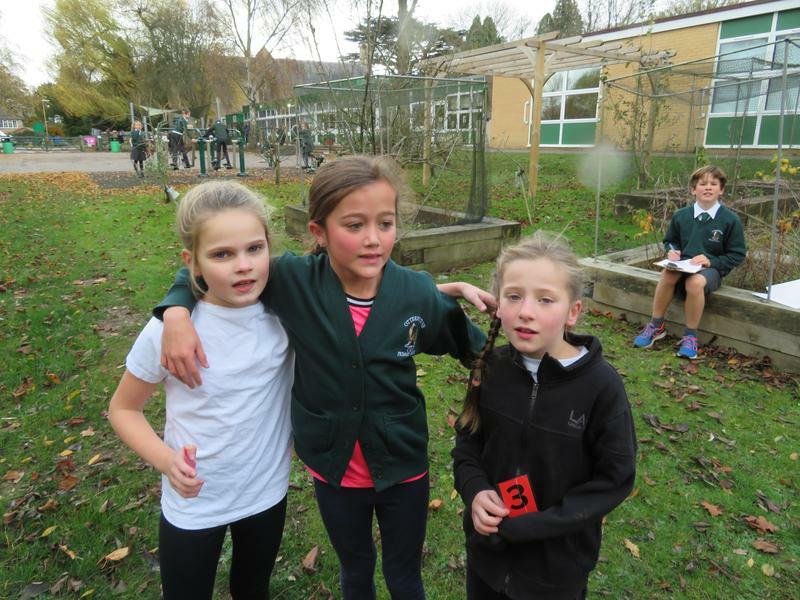 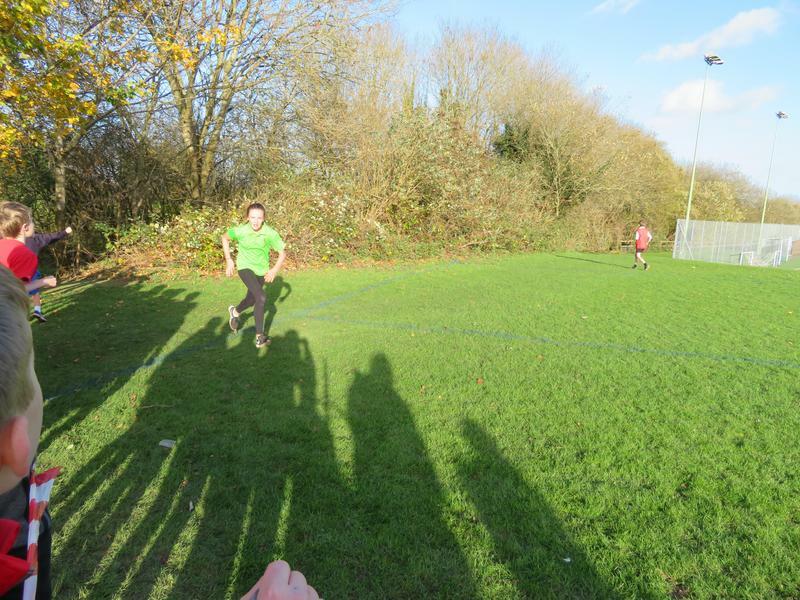 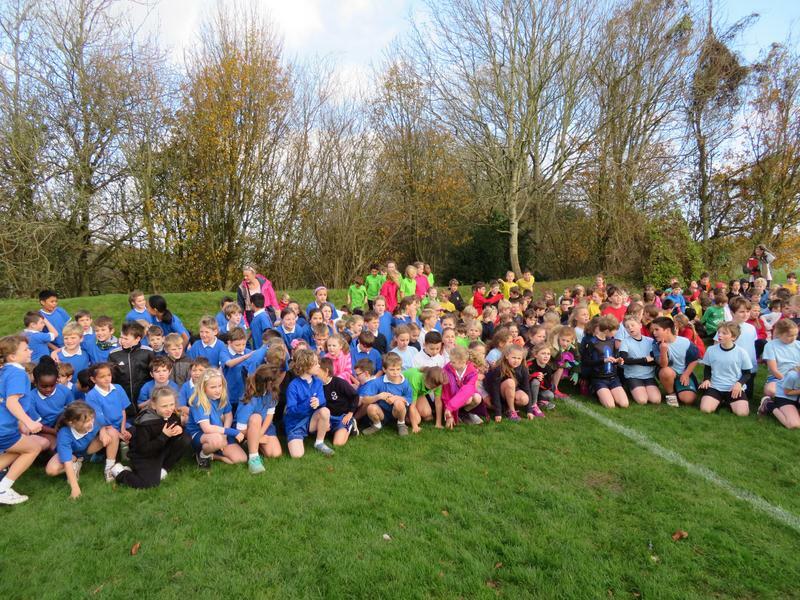 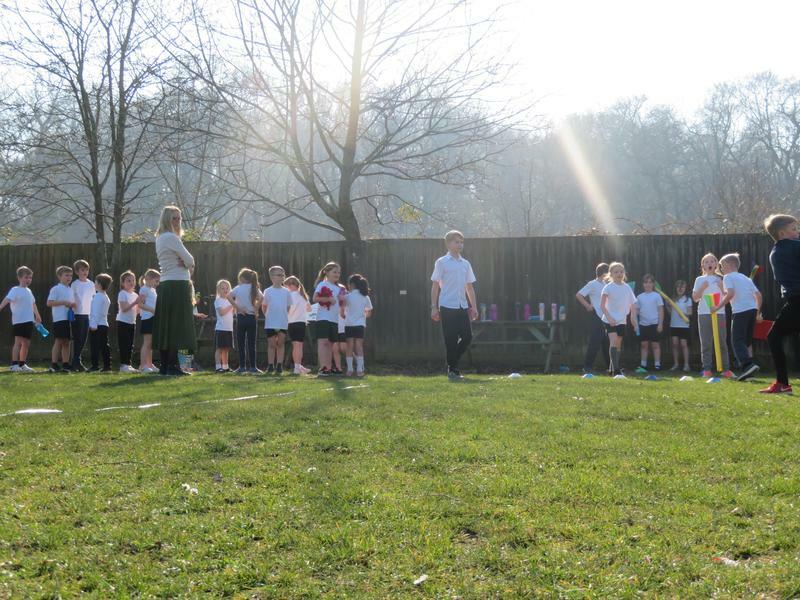 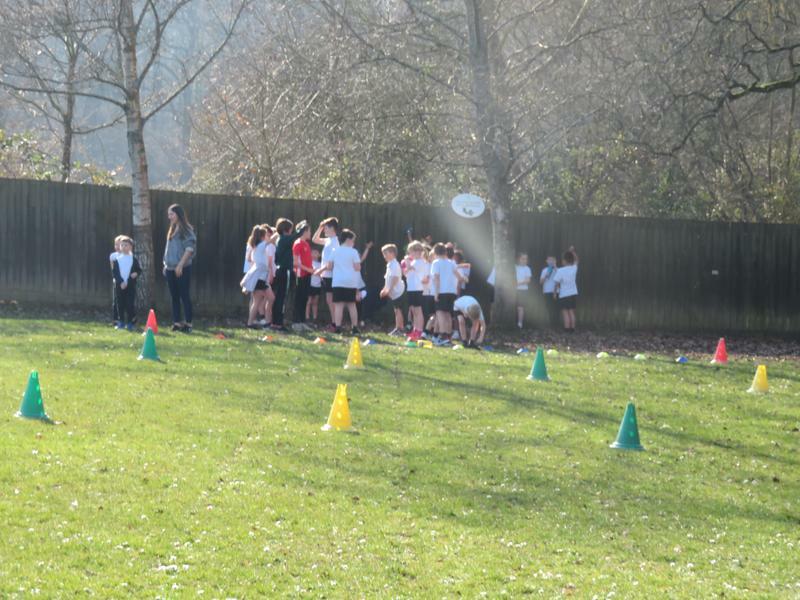 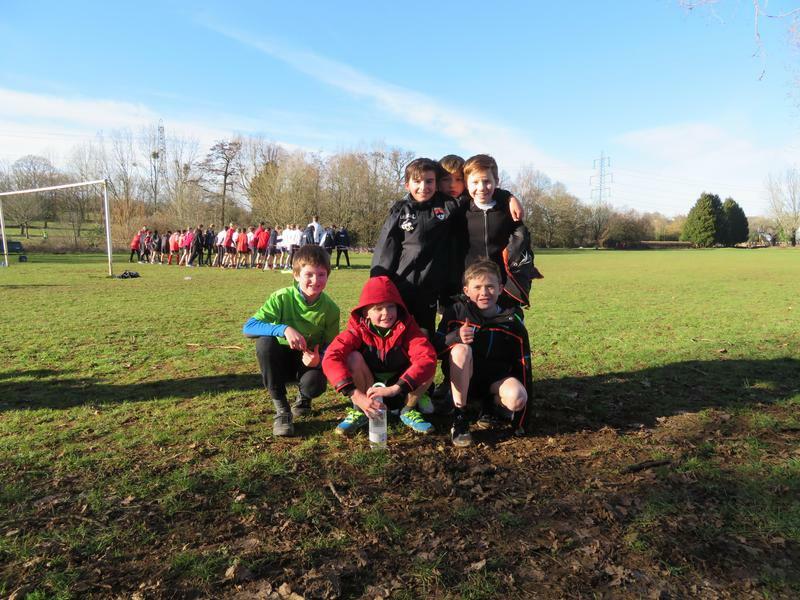 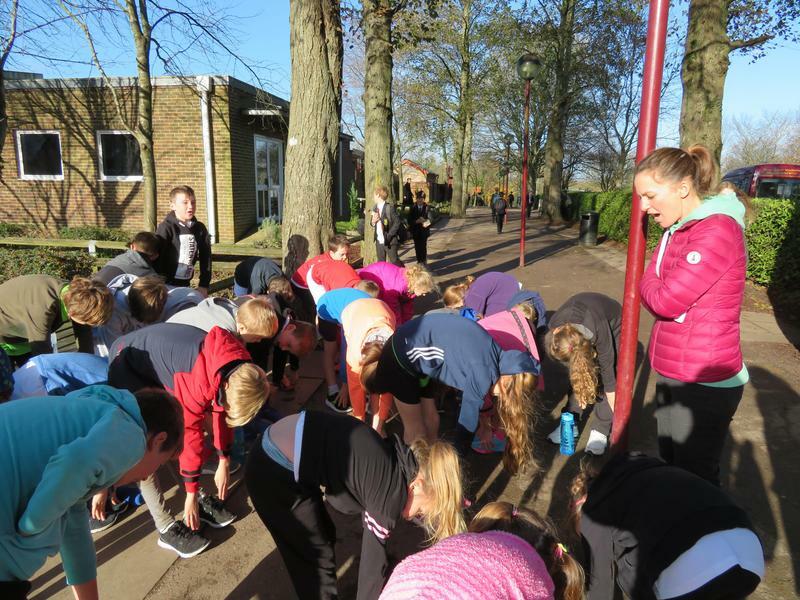 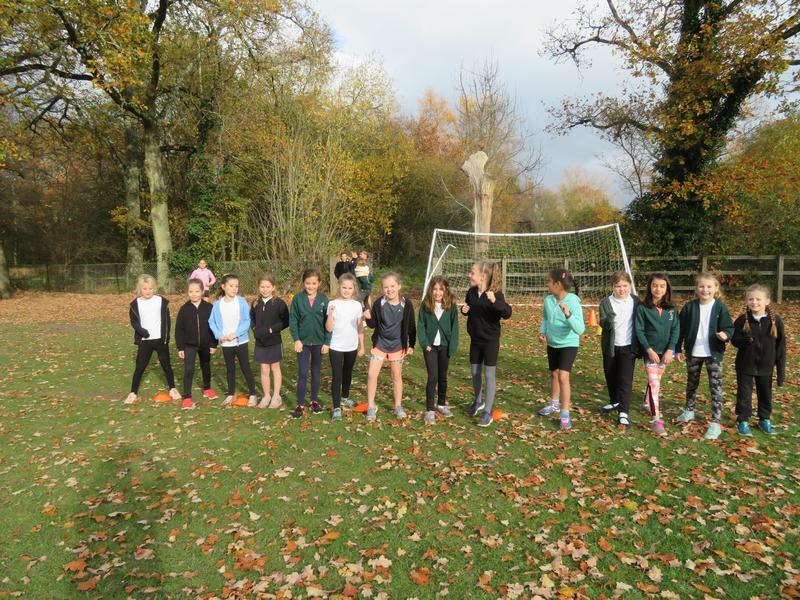 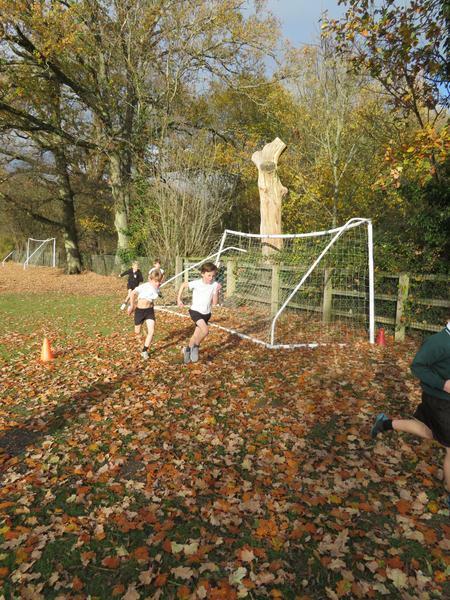 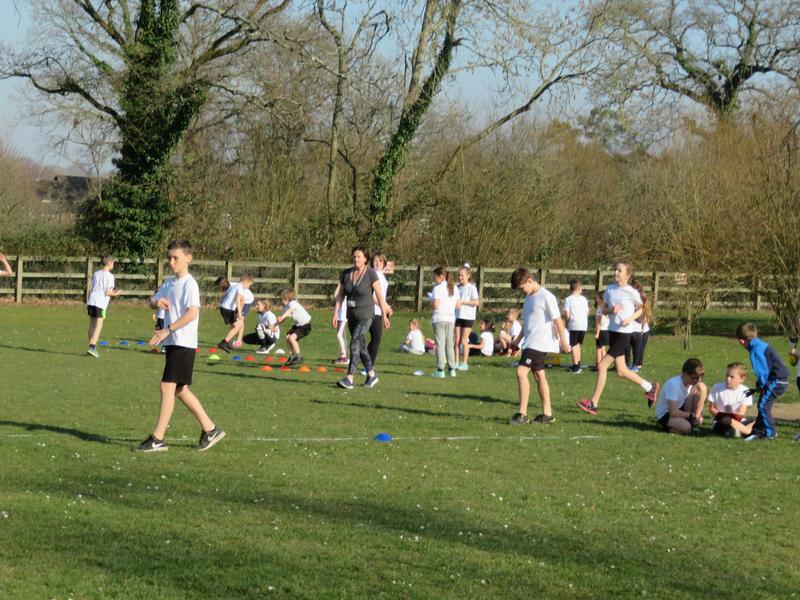 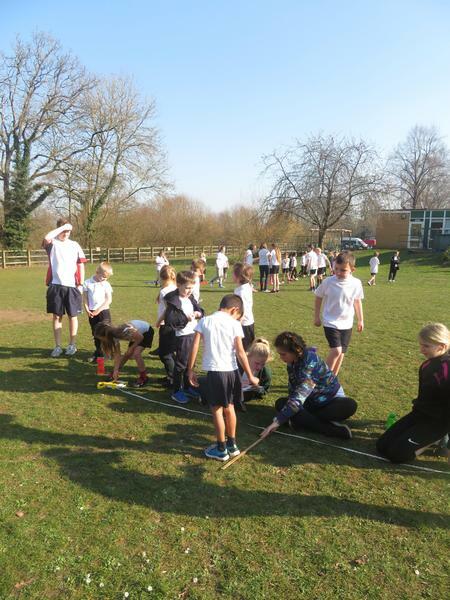 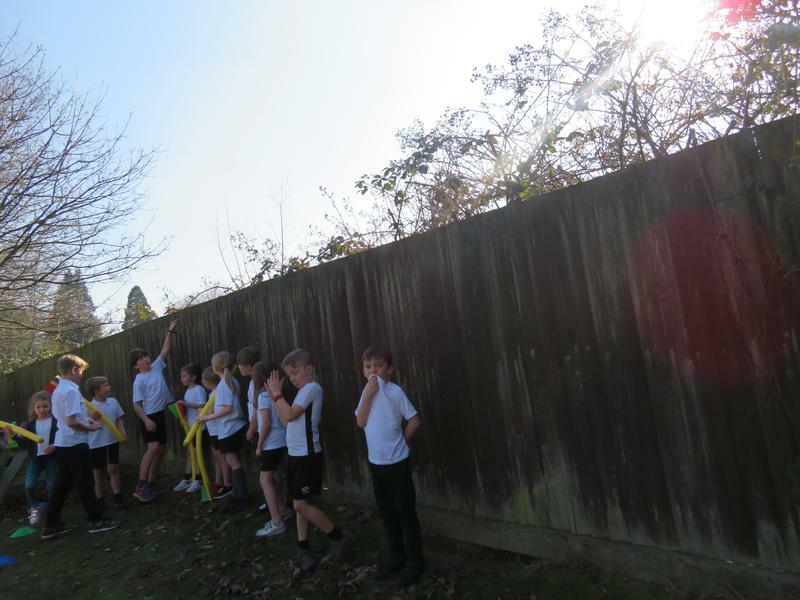 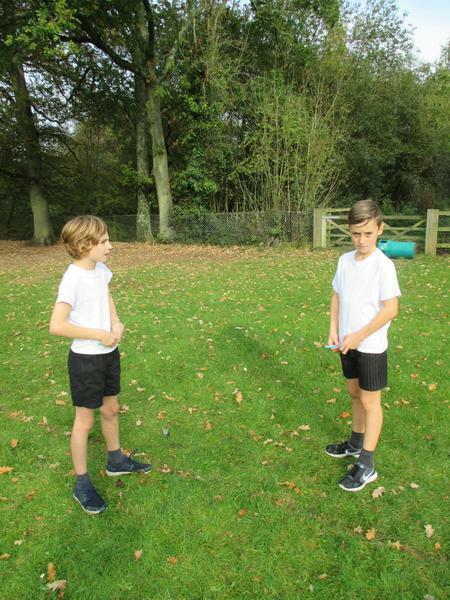 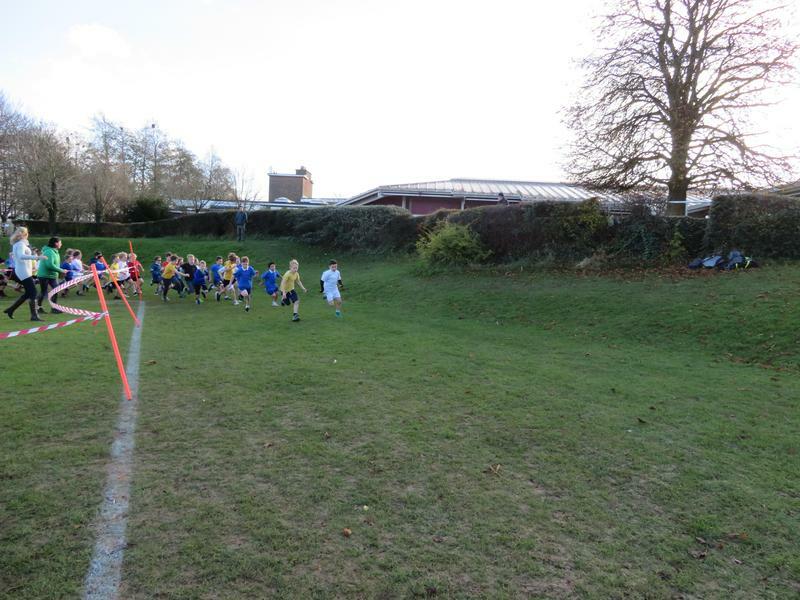 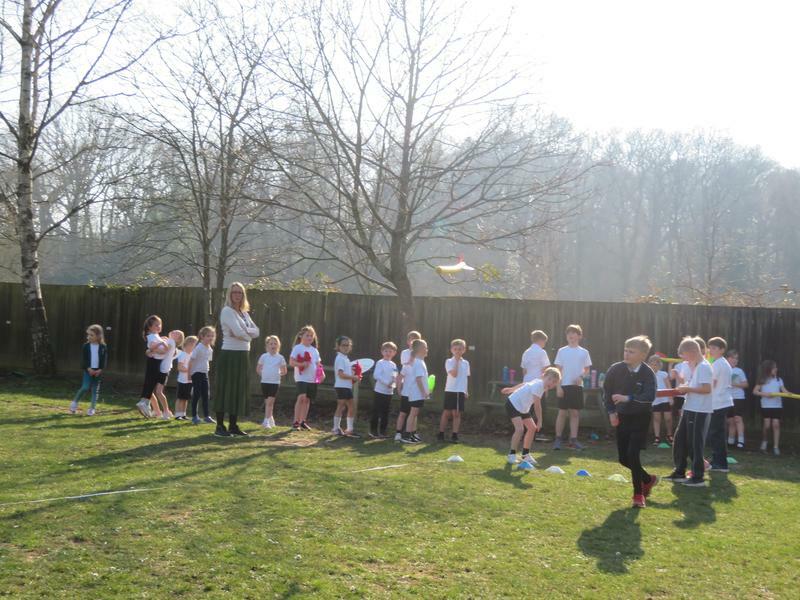 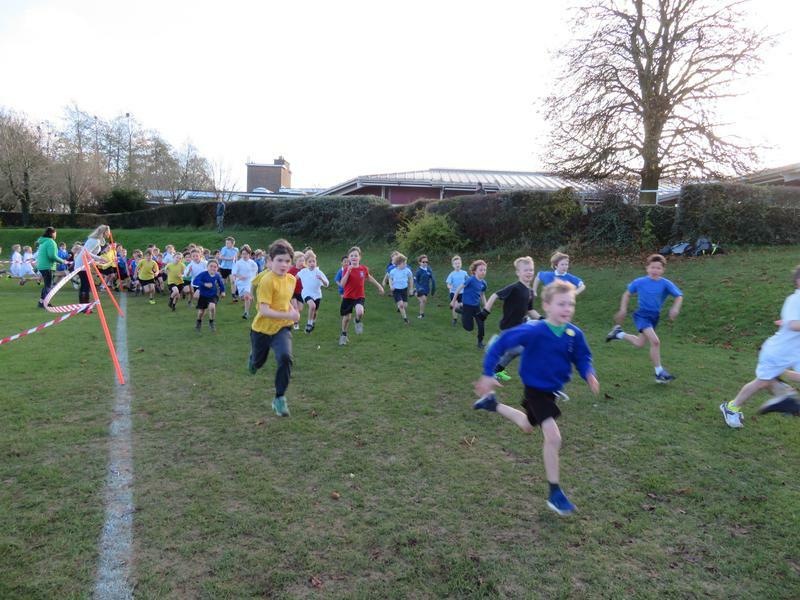 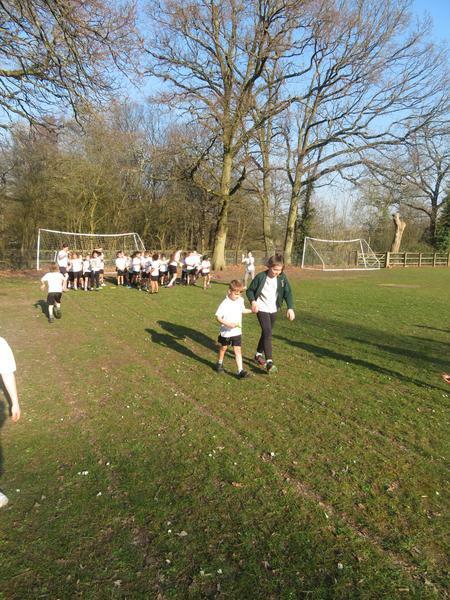 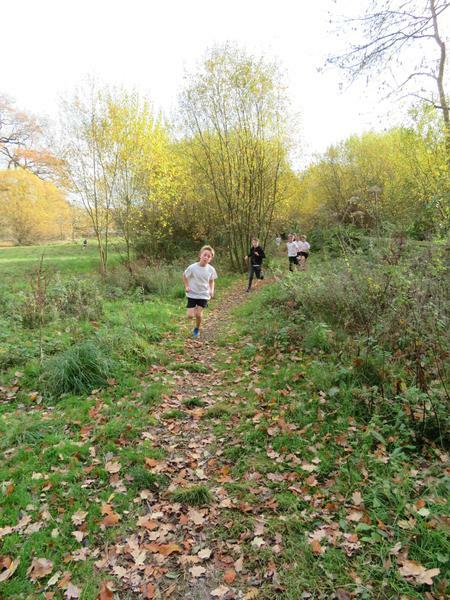 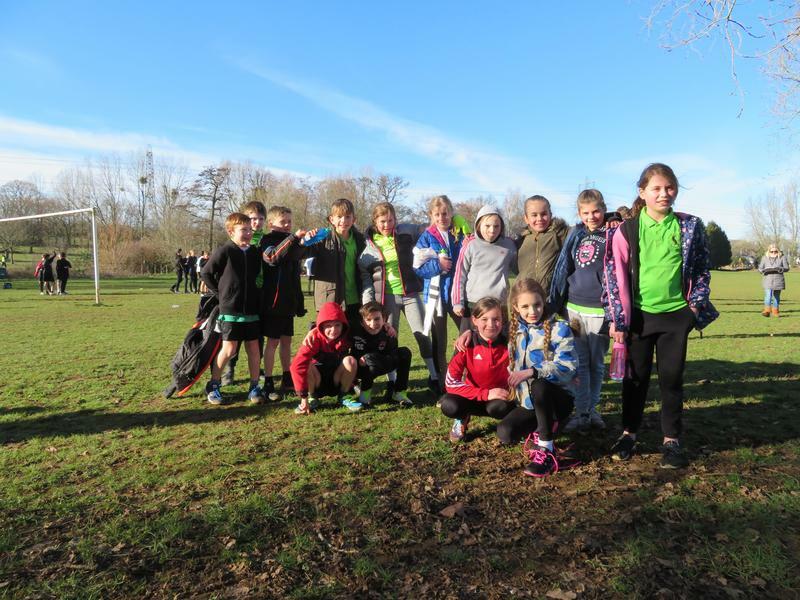 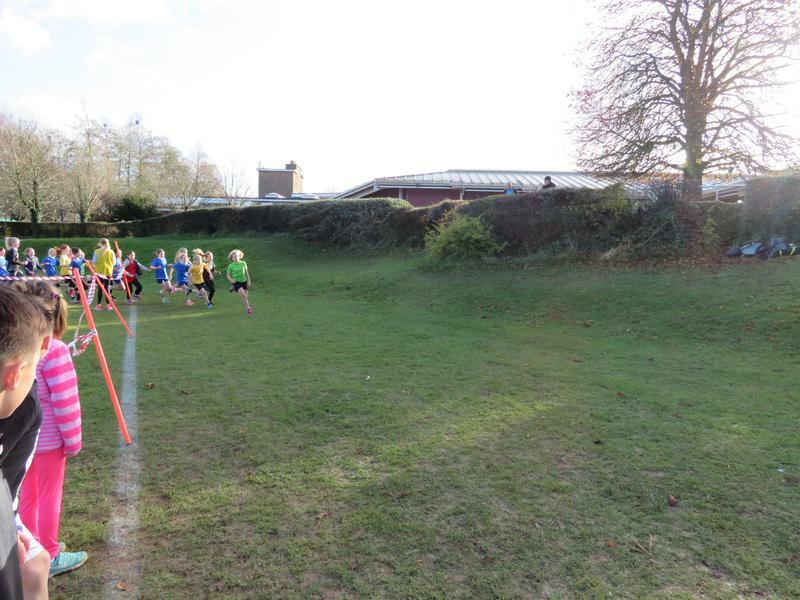 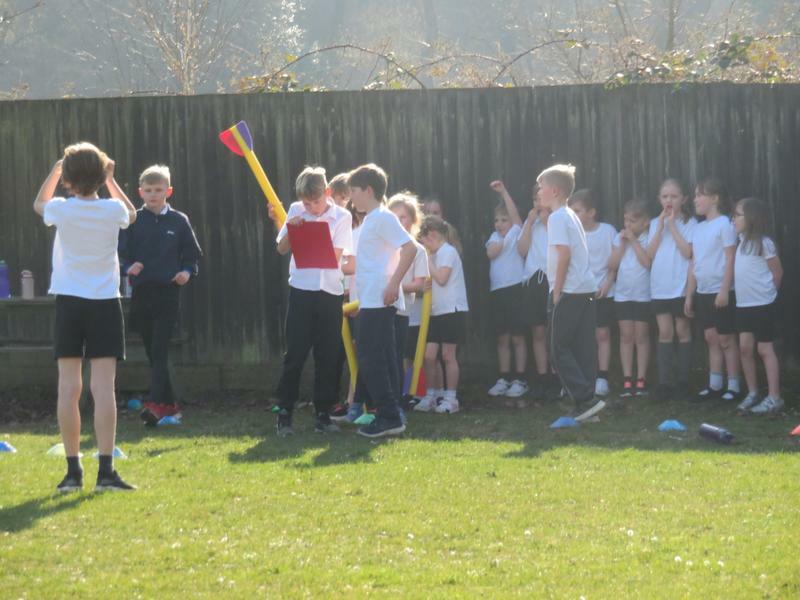 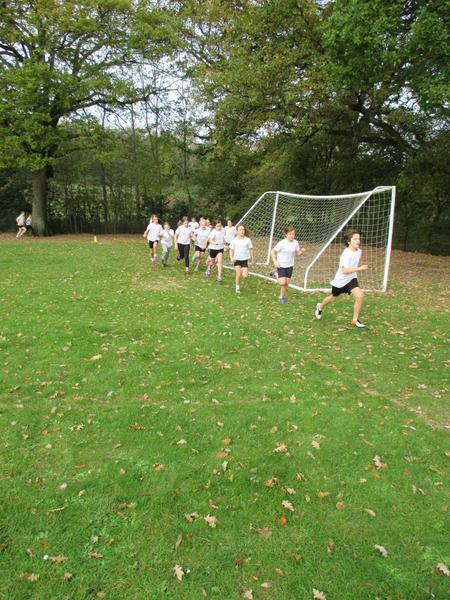 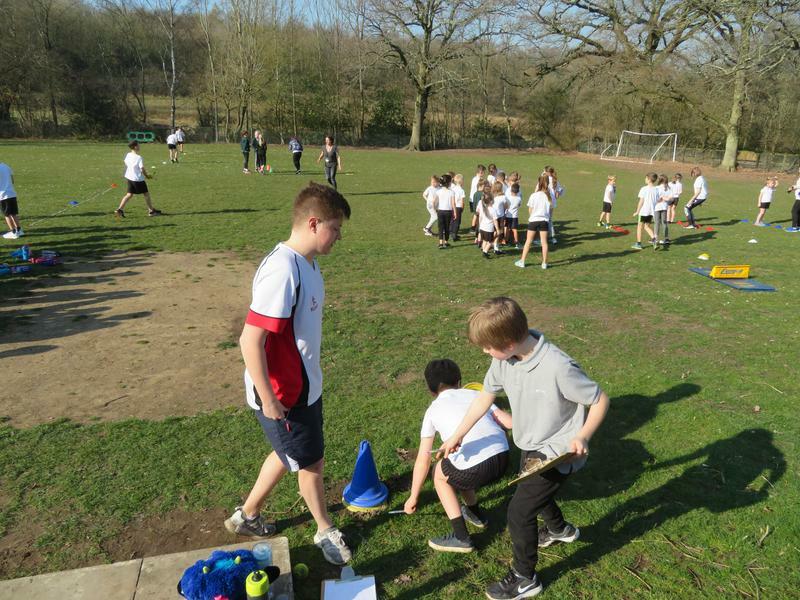 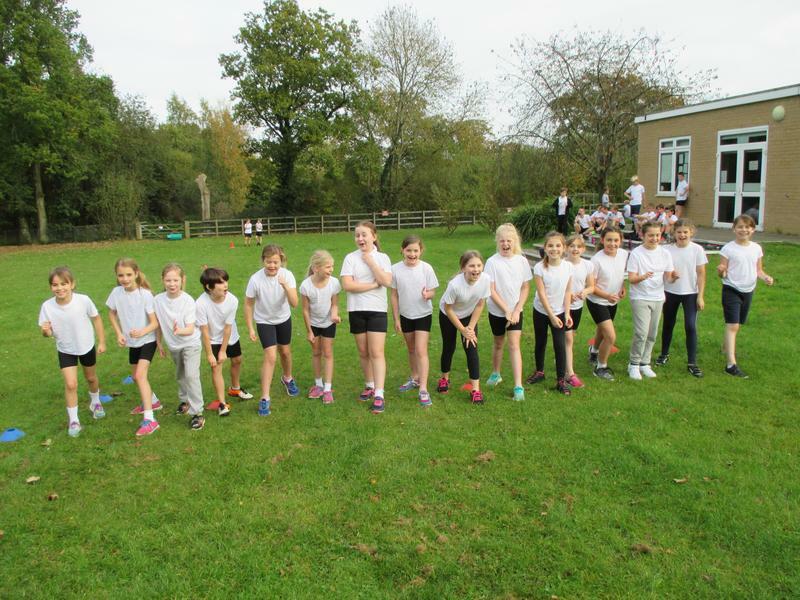 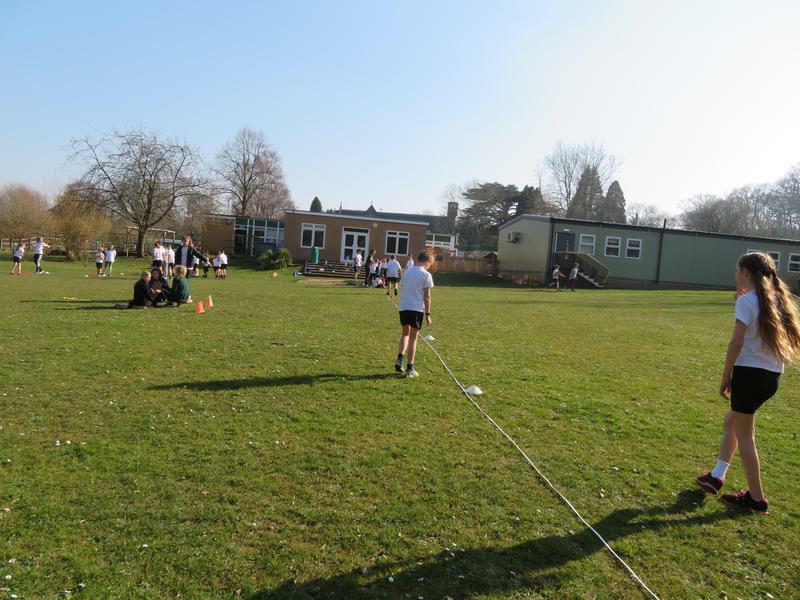 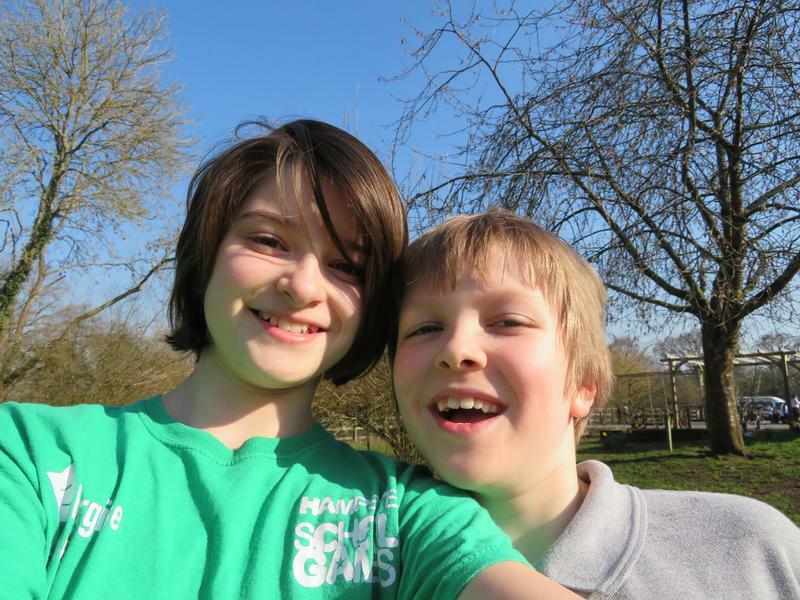 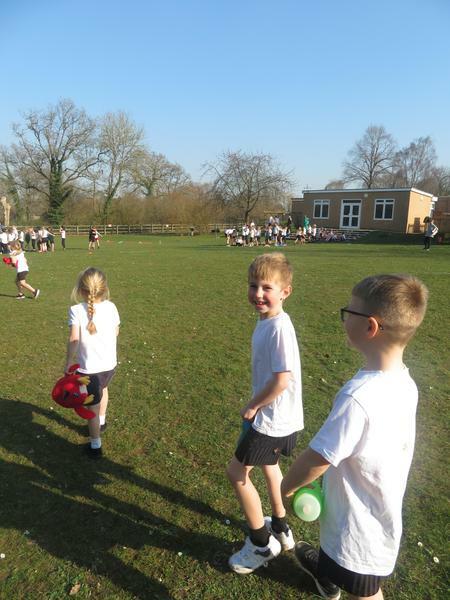 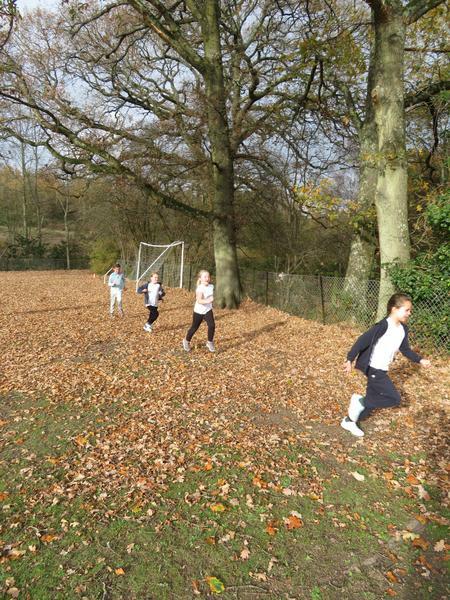 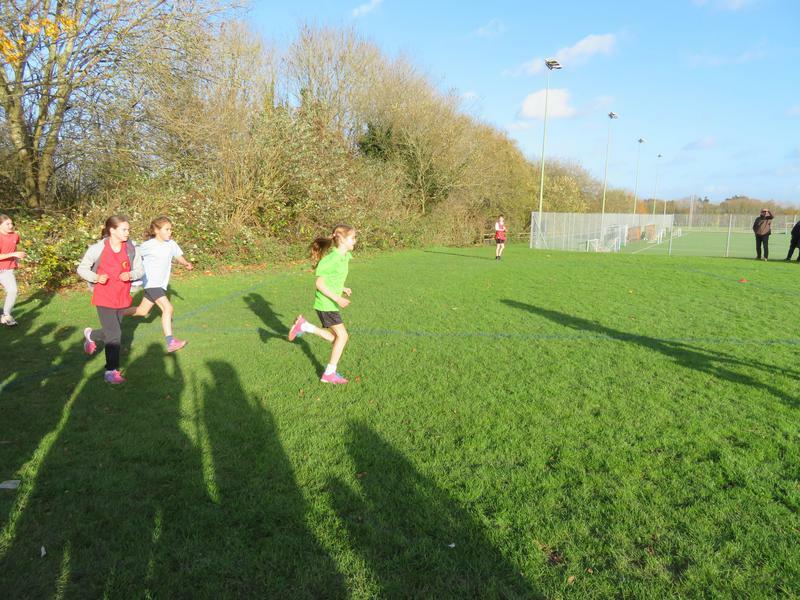 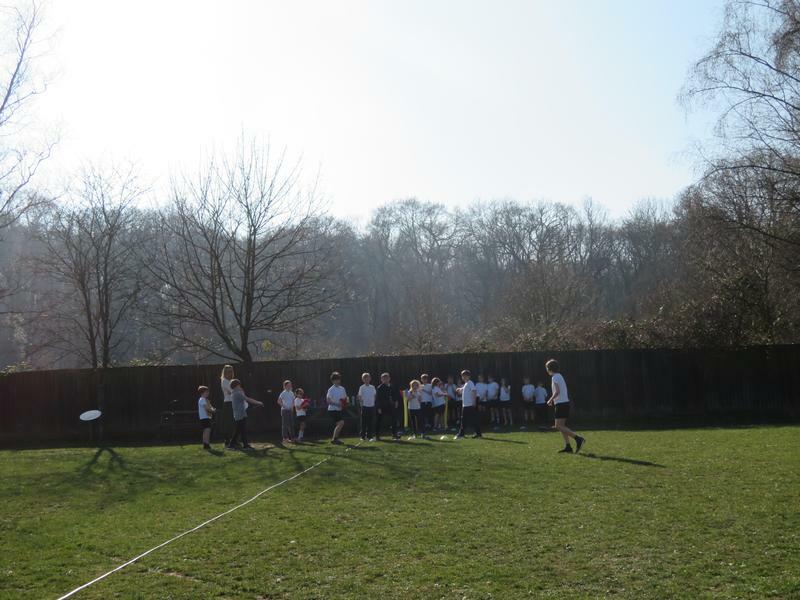 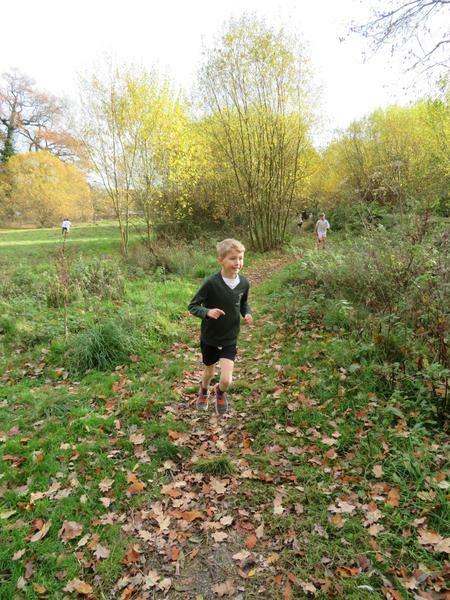 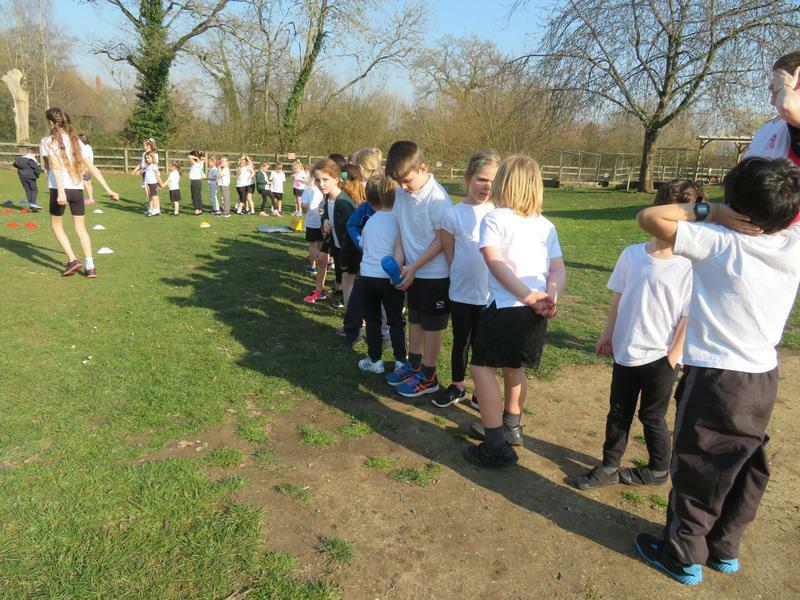 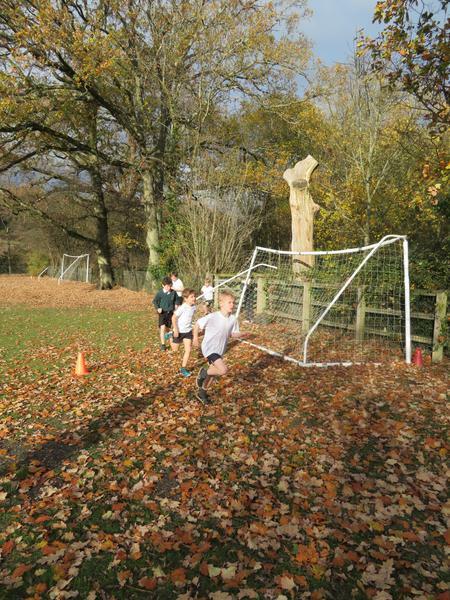 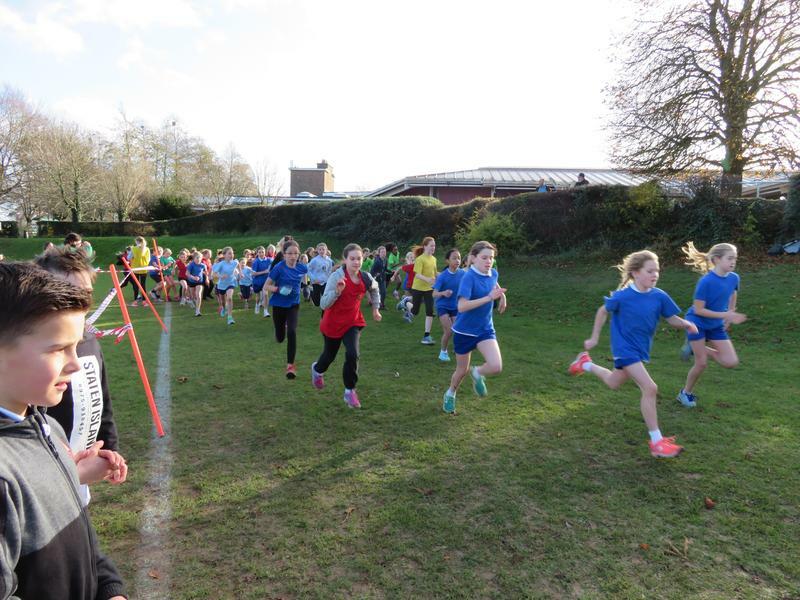 On a beautiful sunny afternoon 12 Y4 & 5 children took part in the Annual Gregg School X-Country Competition. 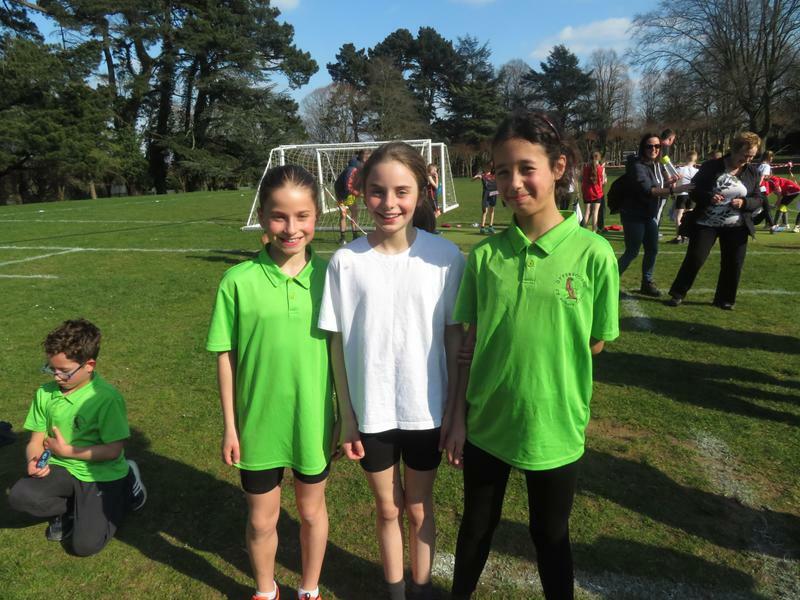 Y5 Girls - Lucia (1st), Charlotte (9th) & Eva (19th) - 1st overall! 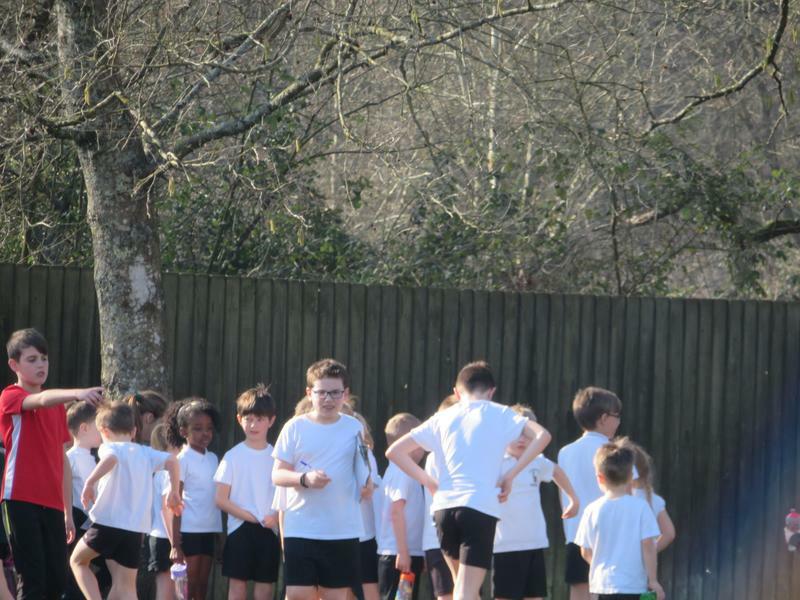 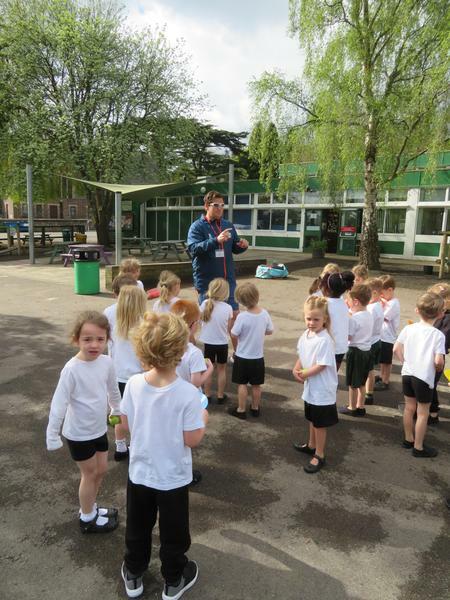 Mr Geraghty was really impressed by the high standard of running and the stamina of the children. 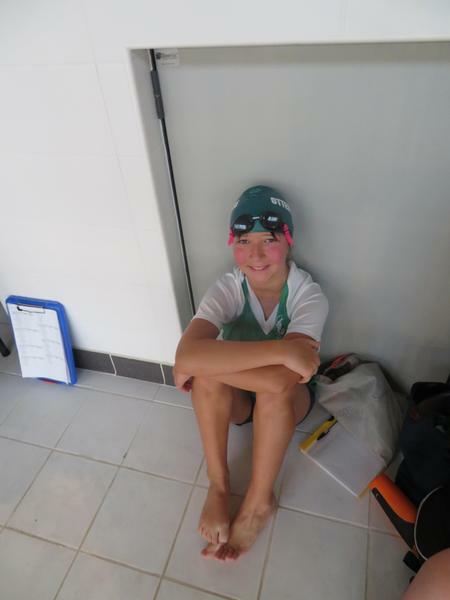 I must mention the absolutely superb performance by Lucia Bertacchini. 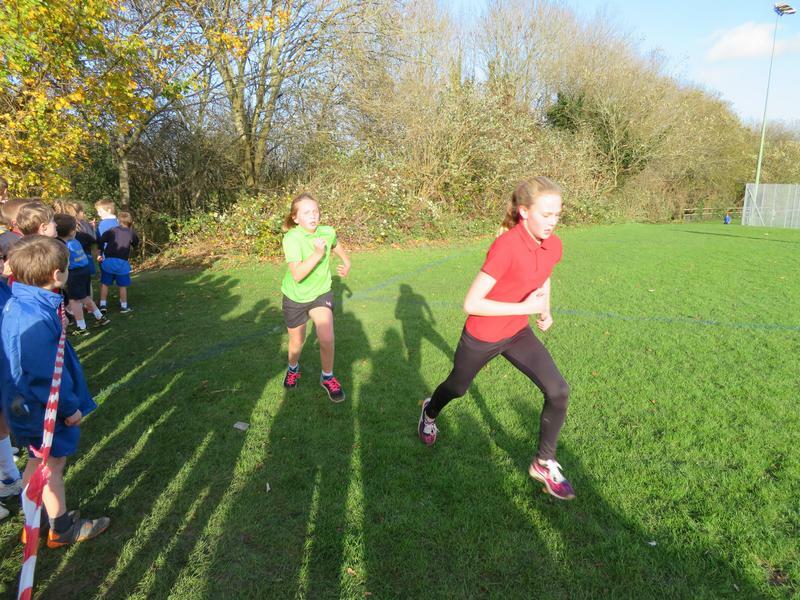 Lucia won in a spectacular head to head final sprint demonstrating superb athleticism and a desire to win. 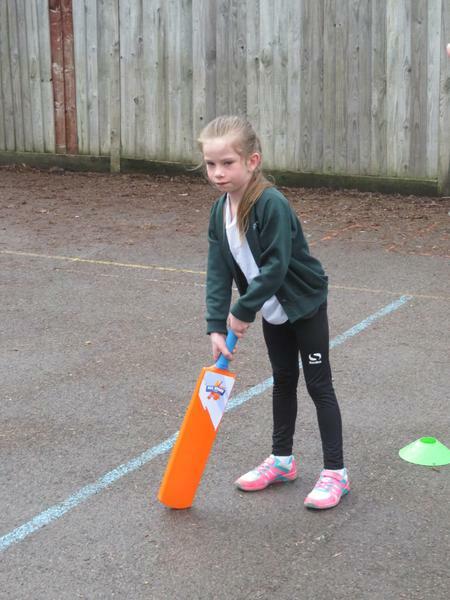 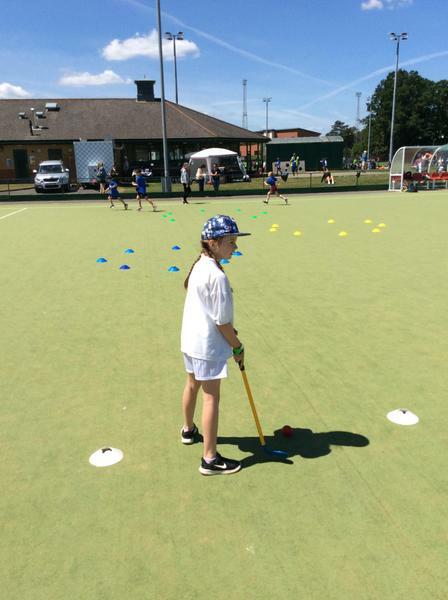 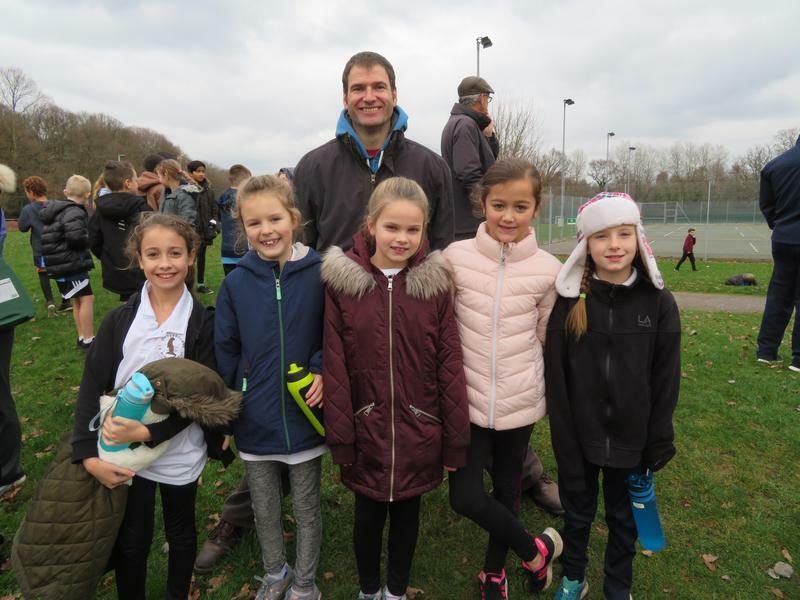 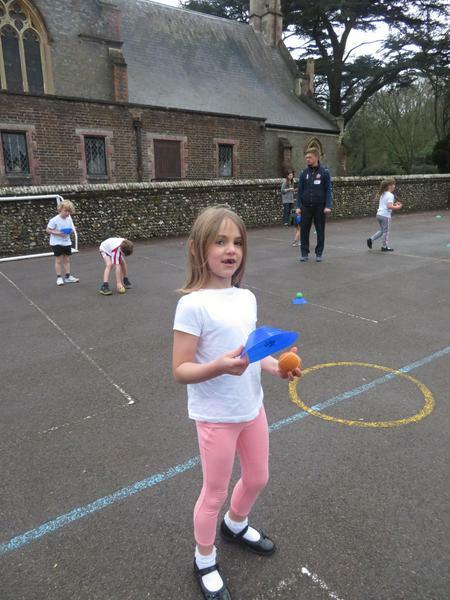 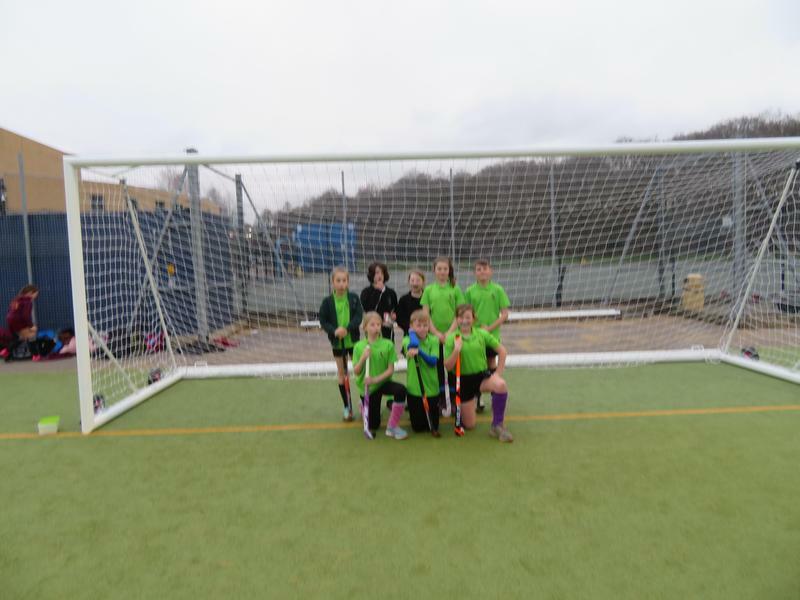 Charlotte Jones (Y5) captained the Trojans U10 Girls Hockey Team at the Hampshire In2Hockey tournament on Sunday 24th March in Haslemere, Surrey. 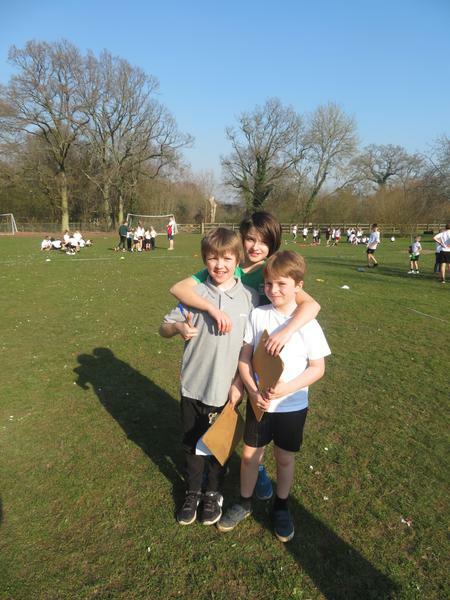 They finished 3rd - well done. 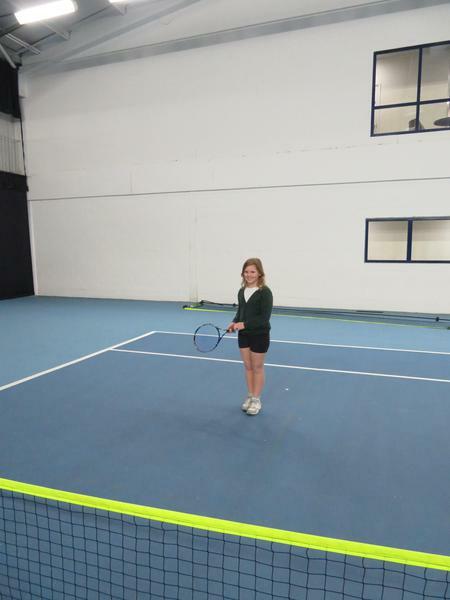 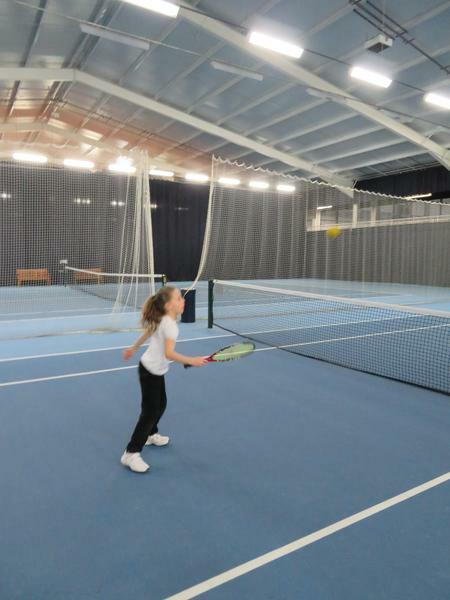 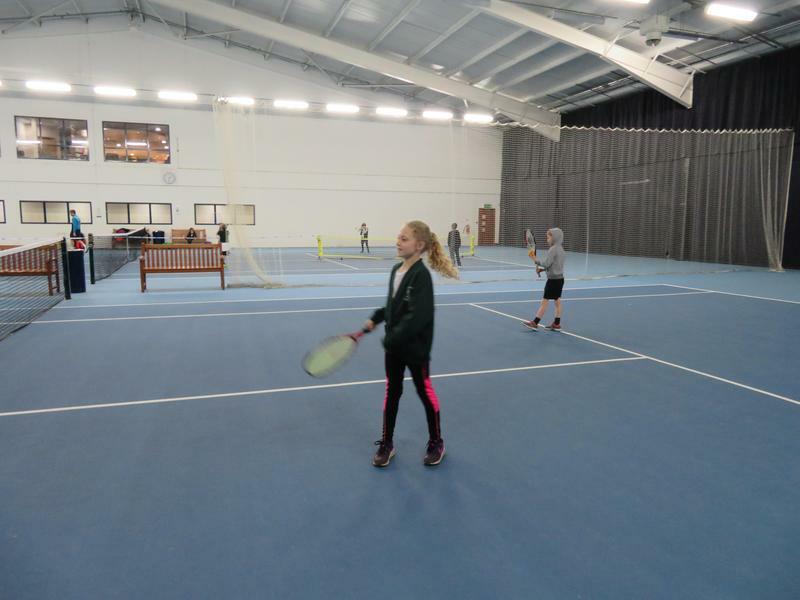 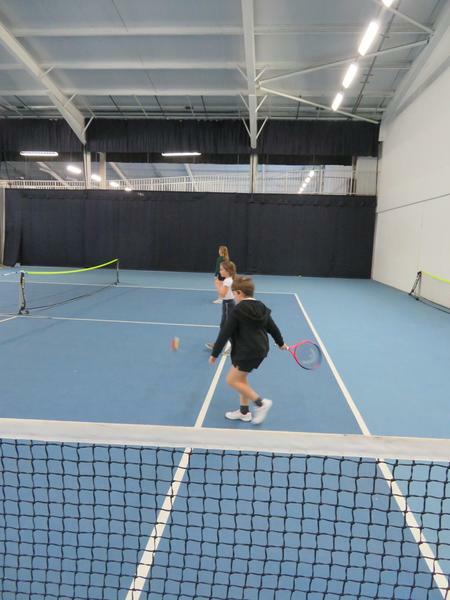 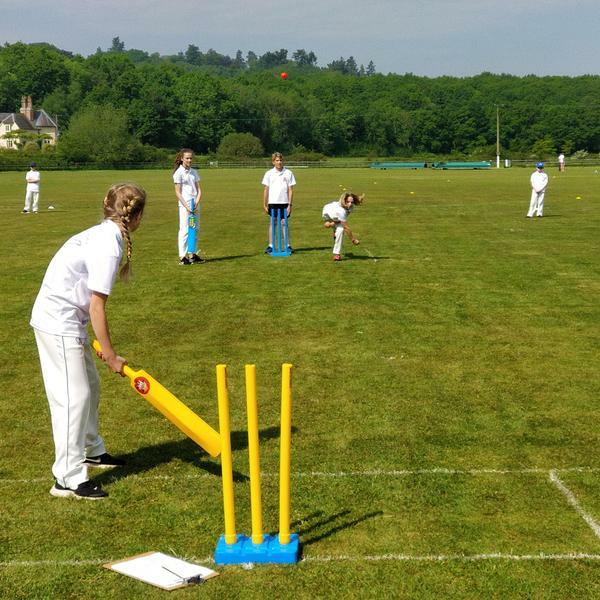 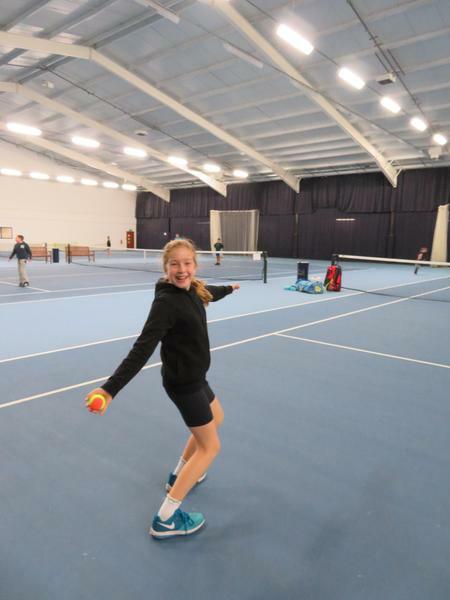 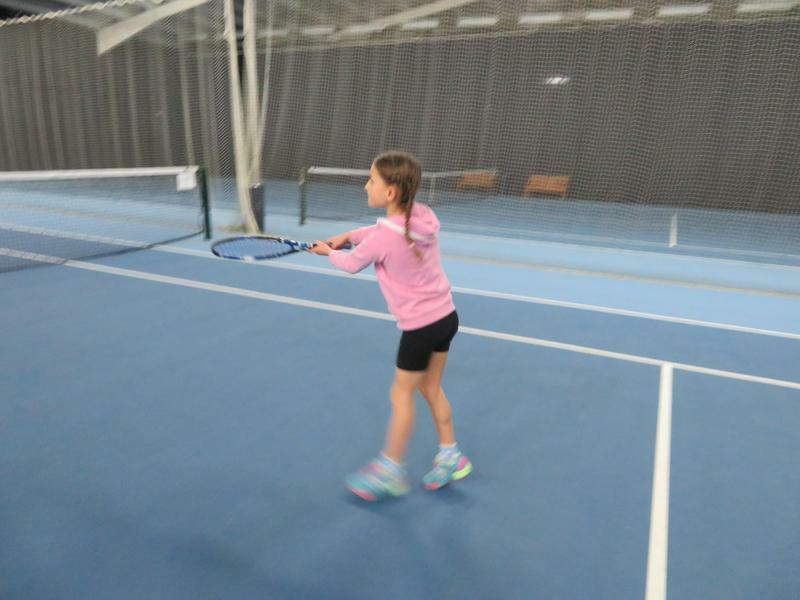 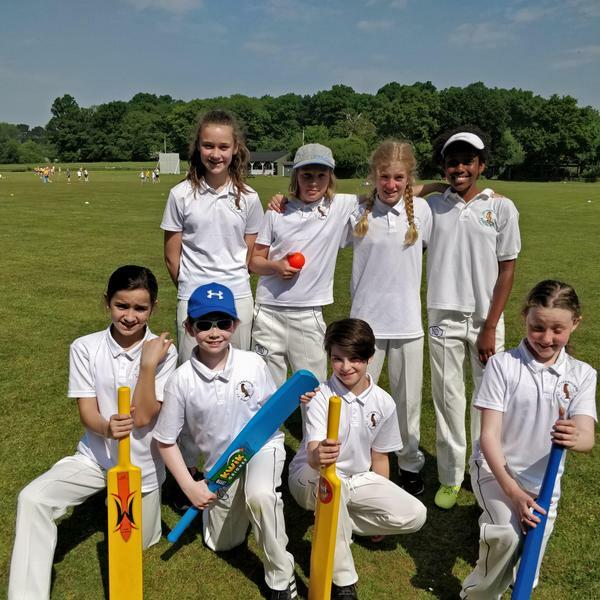 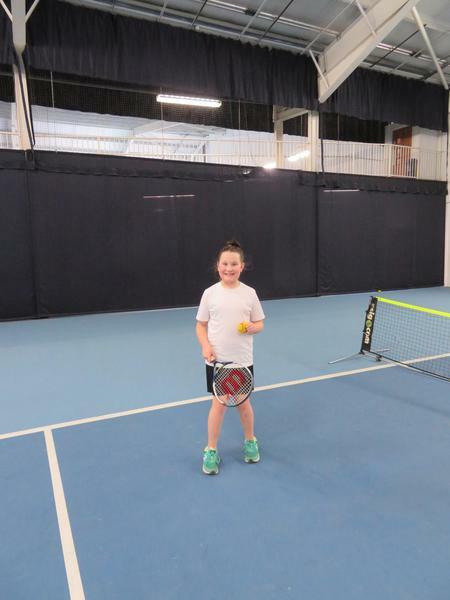 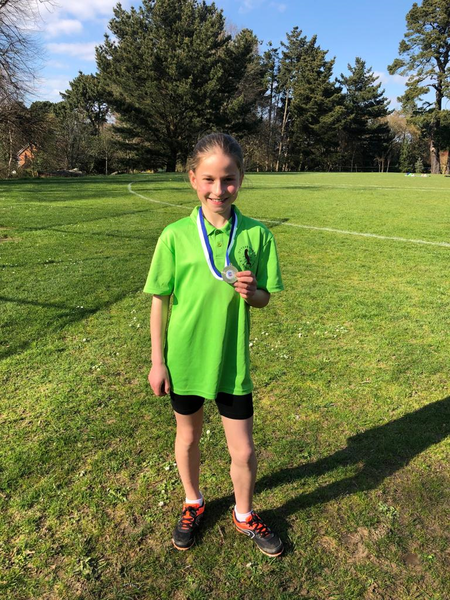 In addition, Charlotte regularly plays in the Trojans U12 A team who are currently fighting for top of Hampshire Division 1 - a fine achievement. 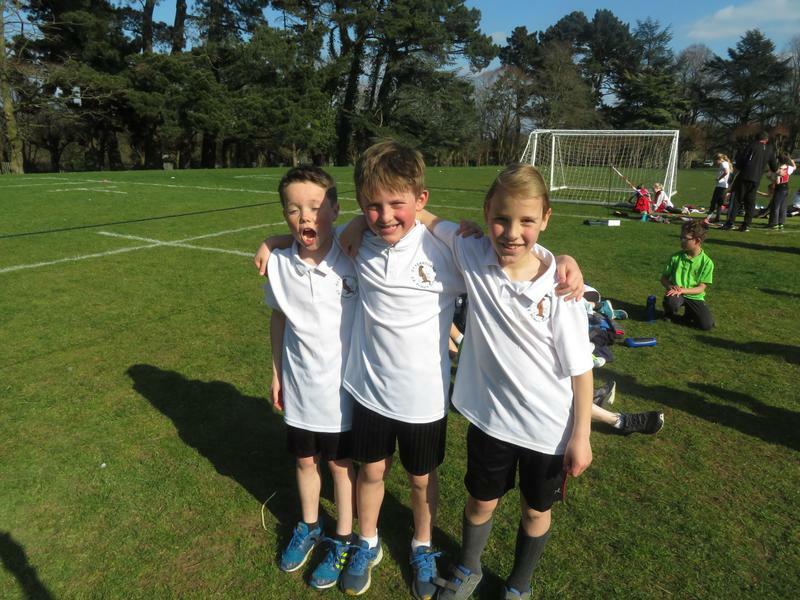 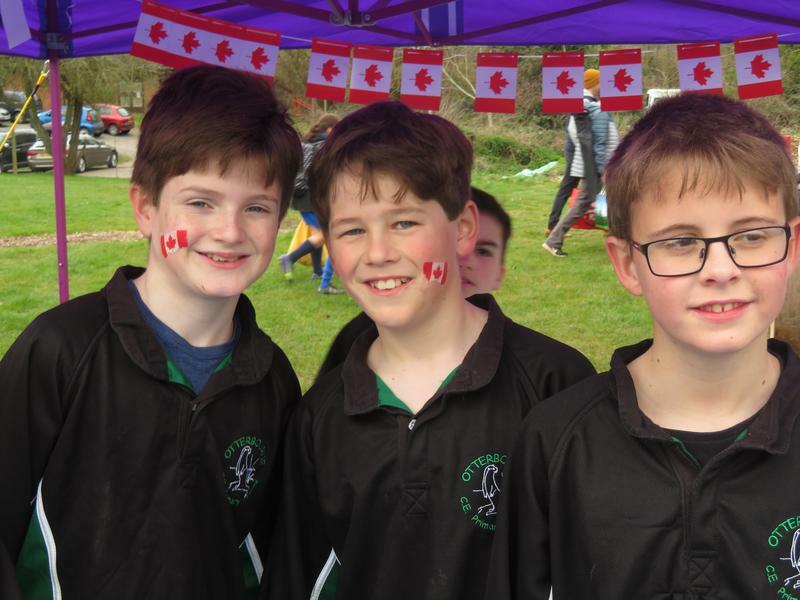 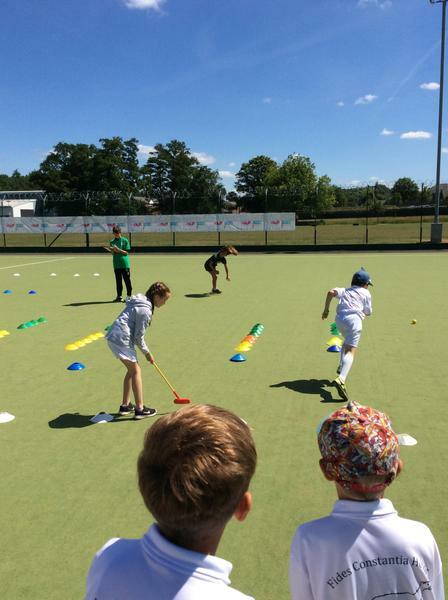 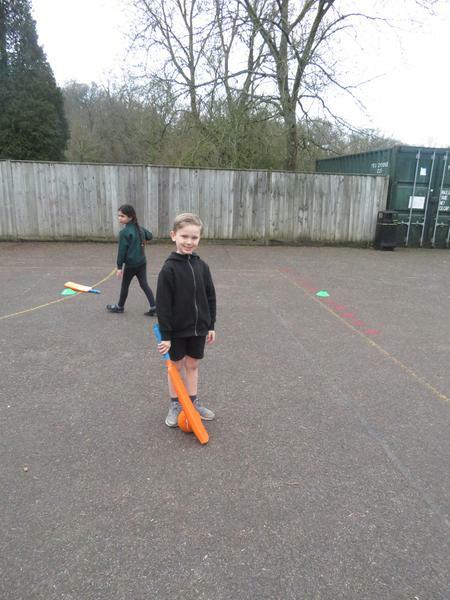 Ollie Salisbury (Y4) was selected for the U10 Trojans Boys Team to play in the same In2Hockey Tournament as Charlotte. 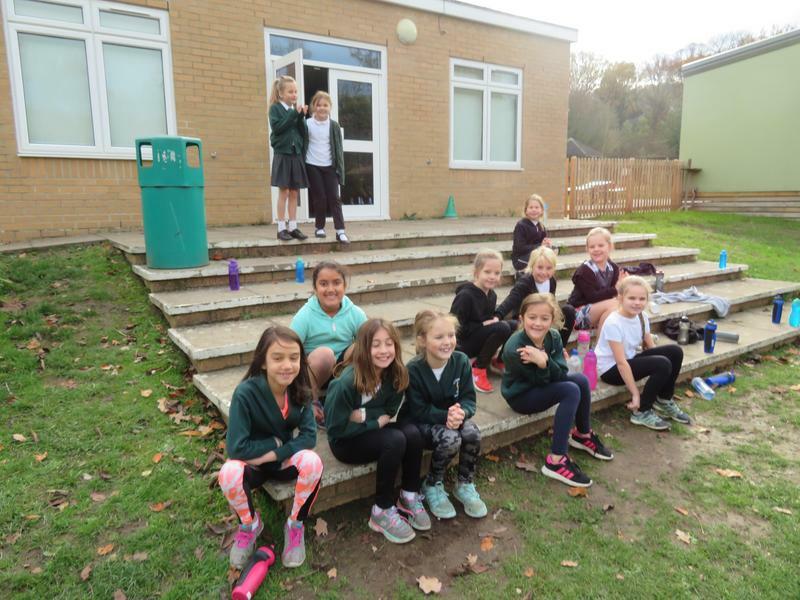 The In2Hockey Tournament is a tournament where each club puts forward their strongest team - so selection for this is impressive. 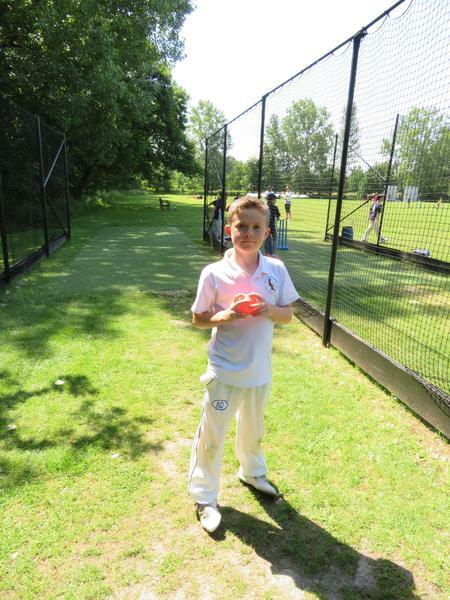 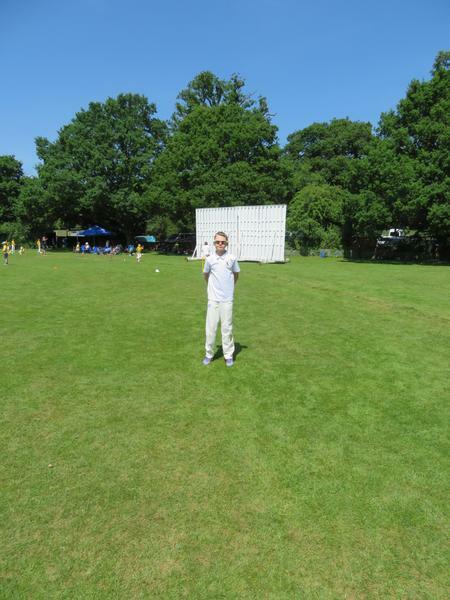 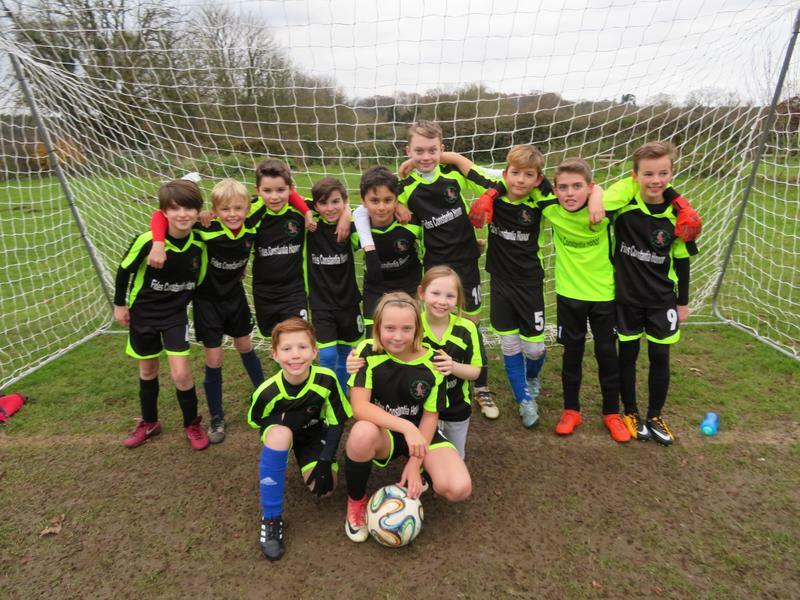 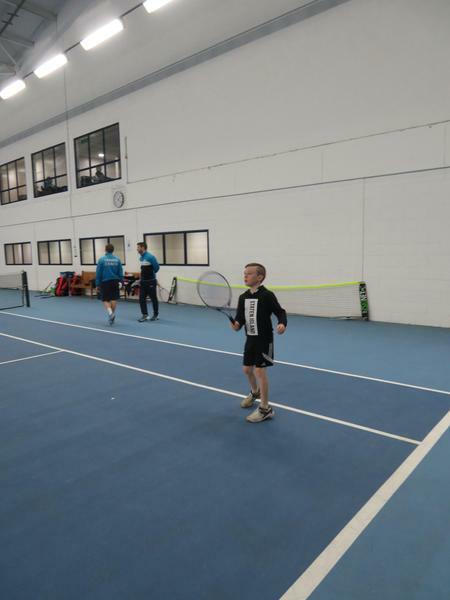 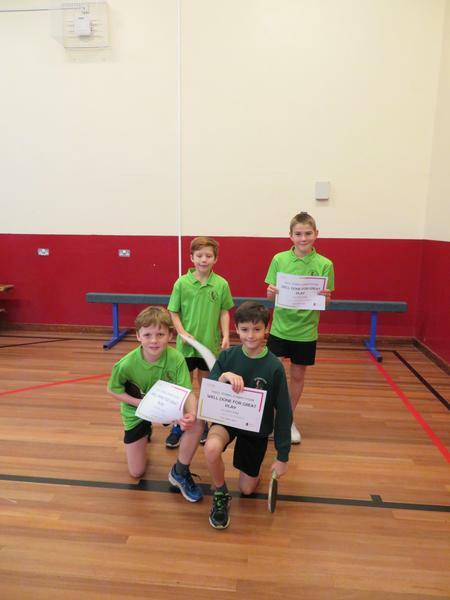 Ollie's team won this tournament and are through to the Regional Tournament on Sunday 28th April - Good Luck Ollie and the rest of the team! 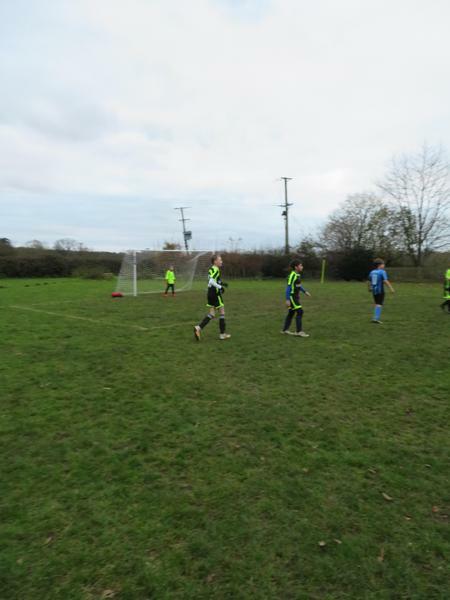 Apart from 1 change with Toby M replacing an unwell Rico the team remained the same. 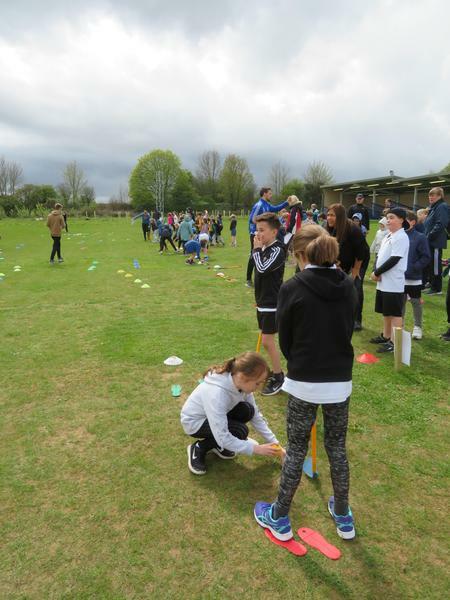 The format of the event was similar however, we were against much bigger schools - some with a 5 form entry which meant the competition was much stronger. 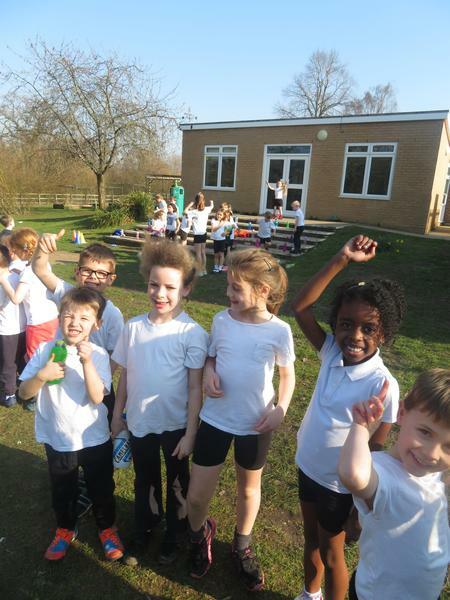 As always everyone performed their absolute best in all events. 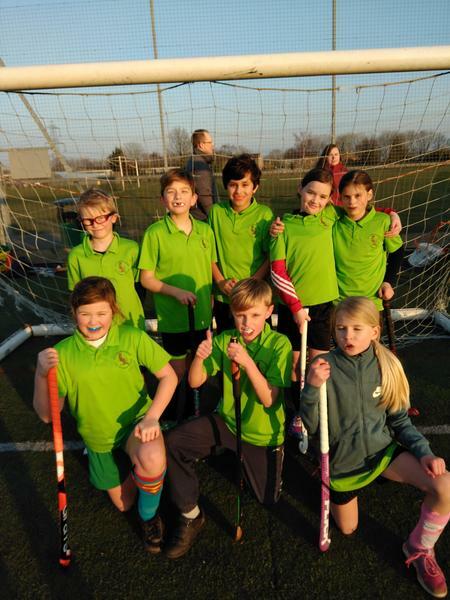 Otterbourne finished 15th out of 16 schools which is a fantastic achievement particularly as this is the first time that we have got through to the County Final. 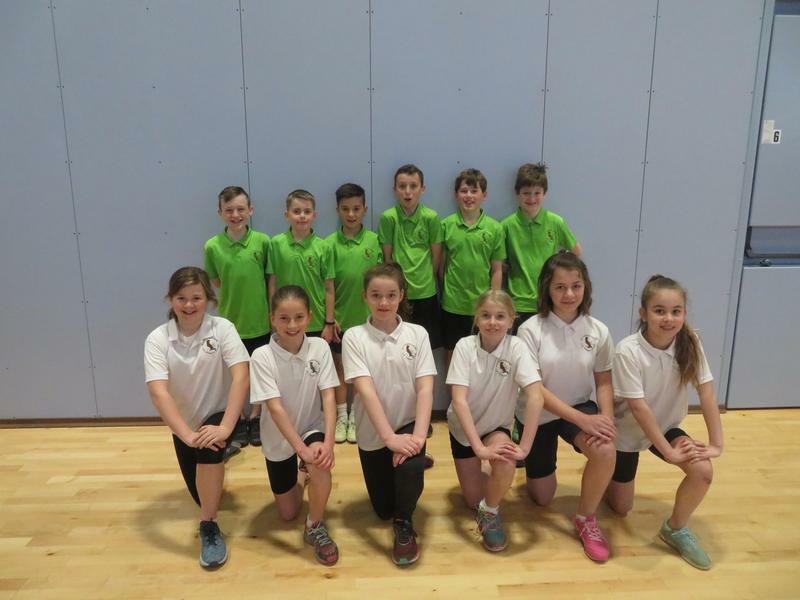 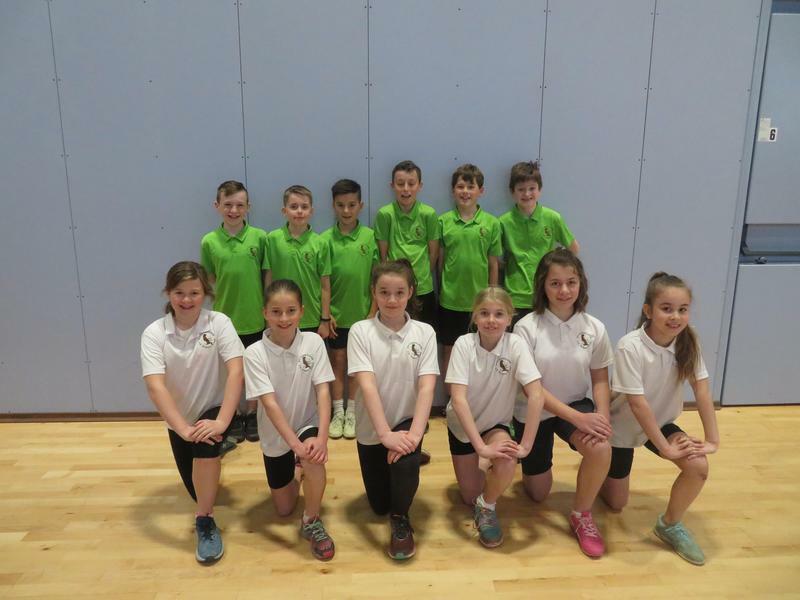 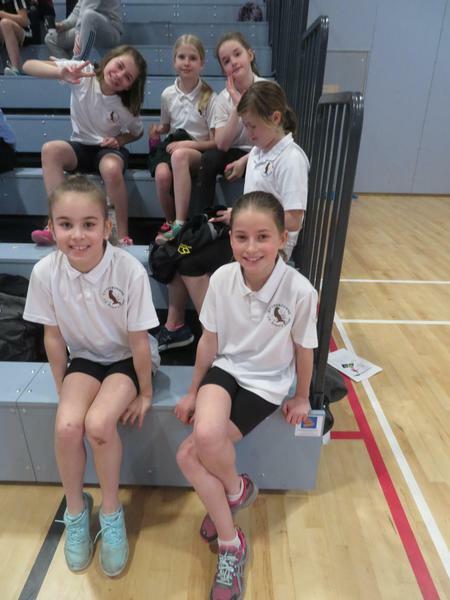 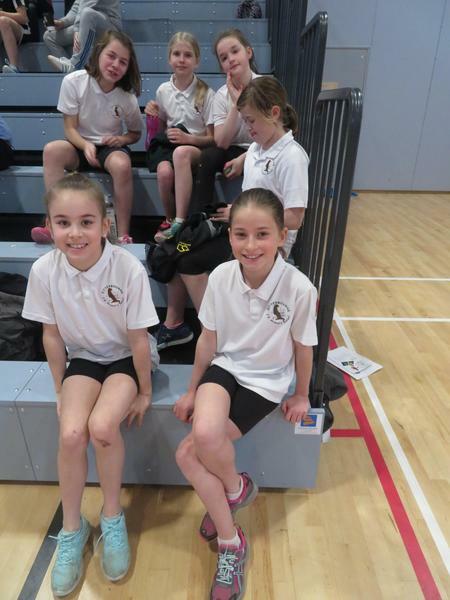 We took 6 boys and 6 girls from Y5/6 to a fantastic Sports Hall Athletics Competition @ Kings' School. 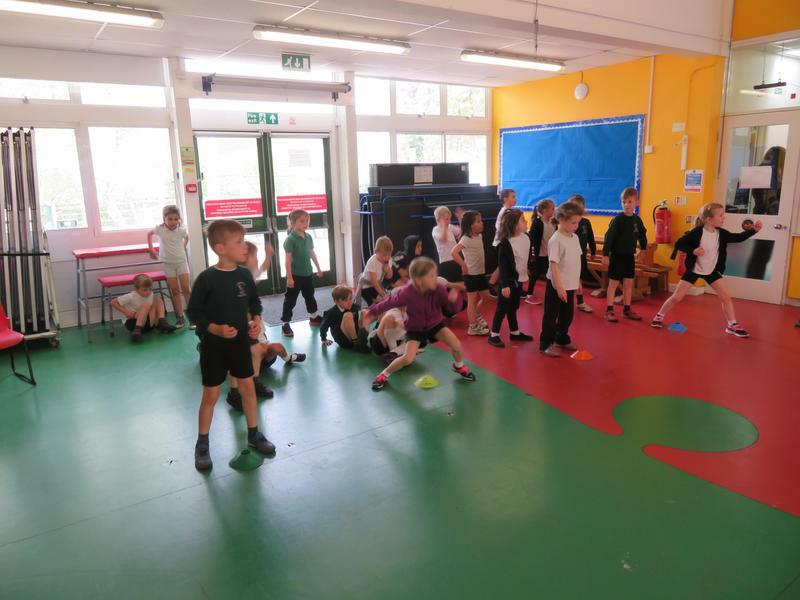 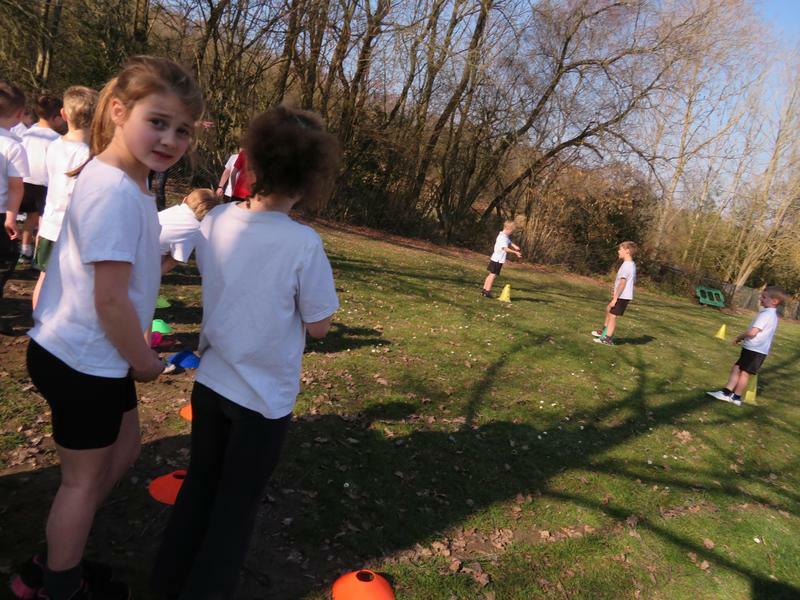 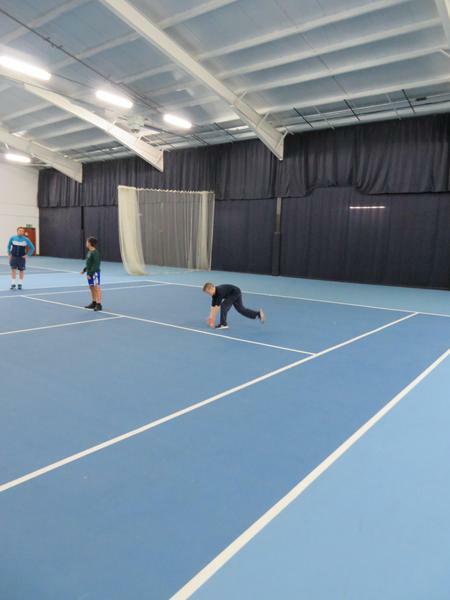 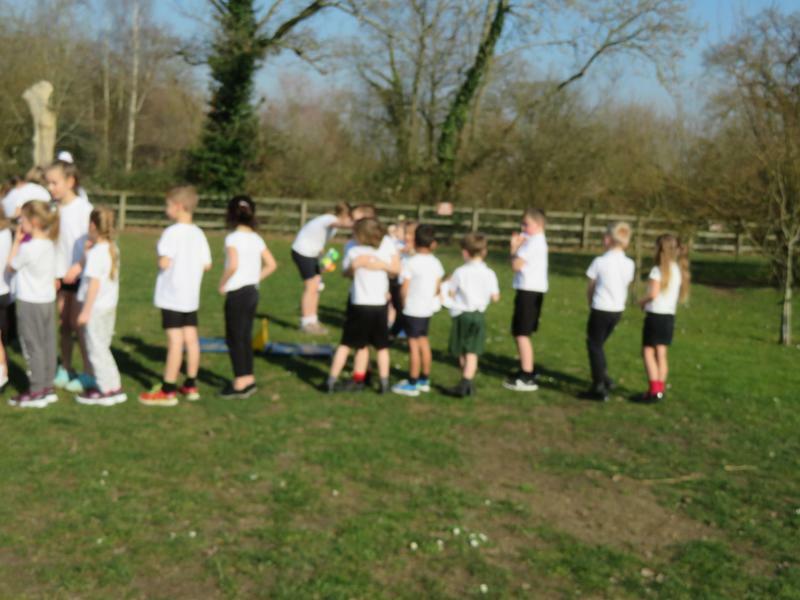 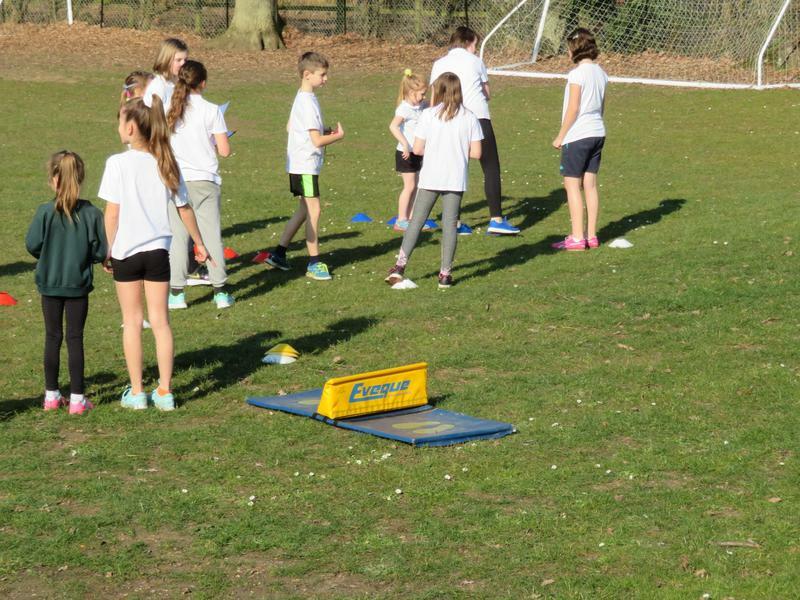 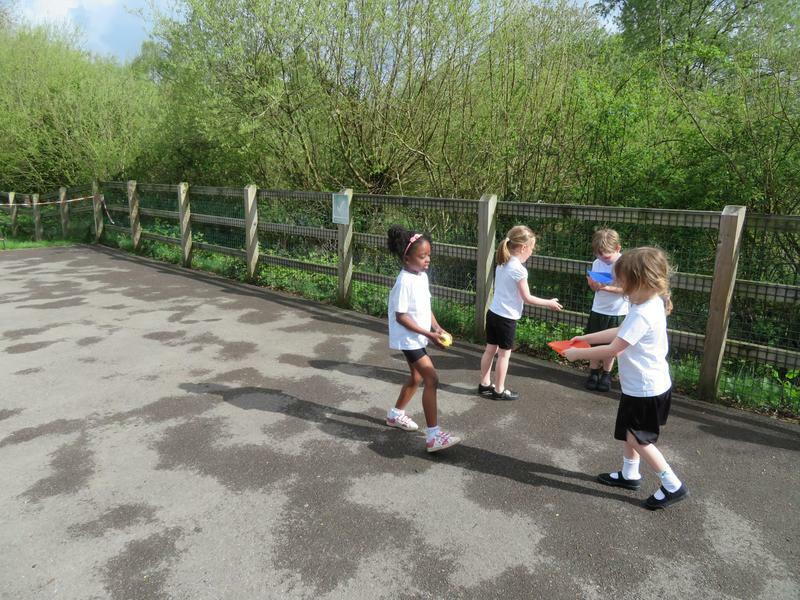 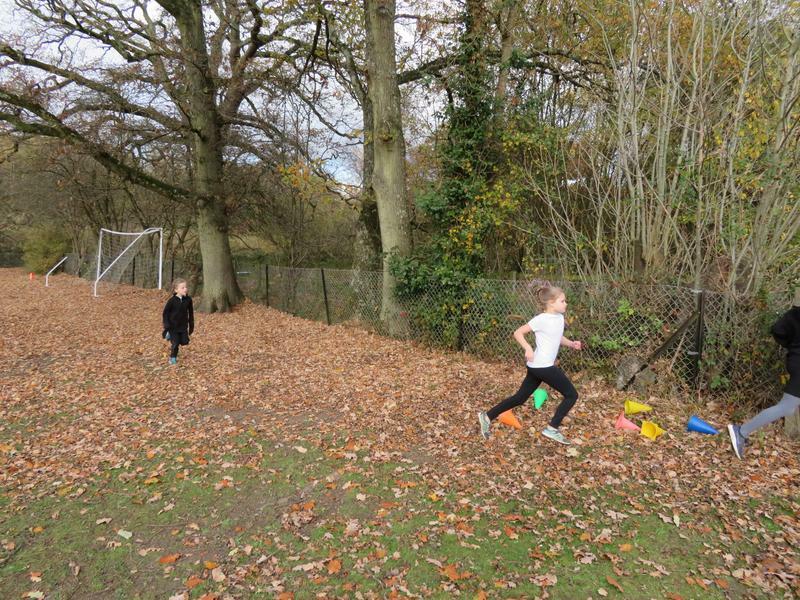 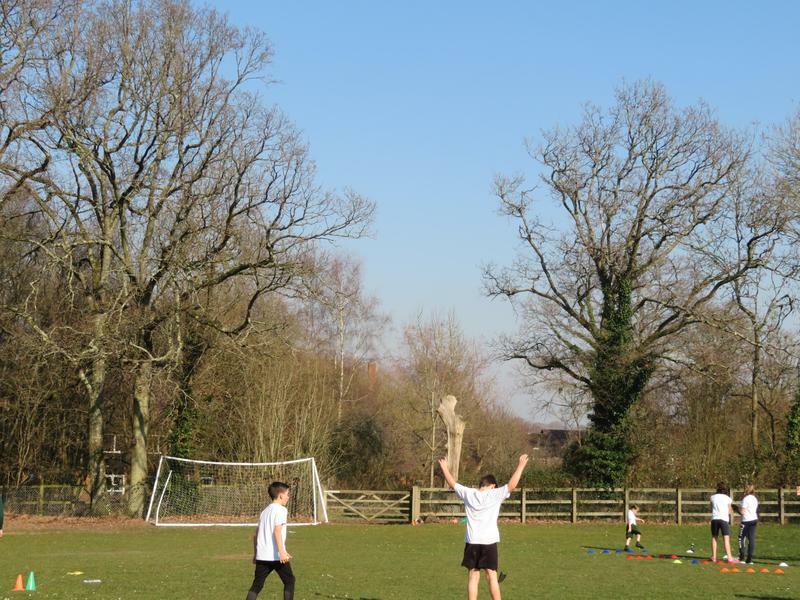 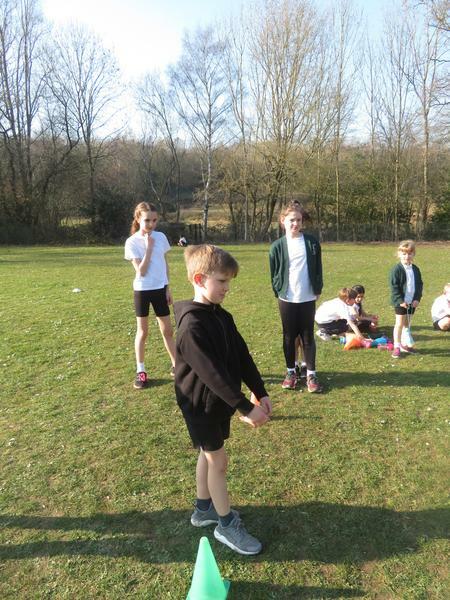 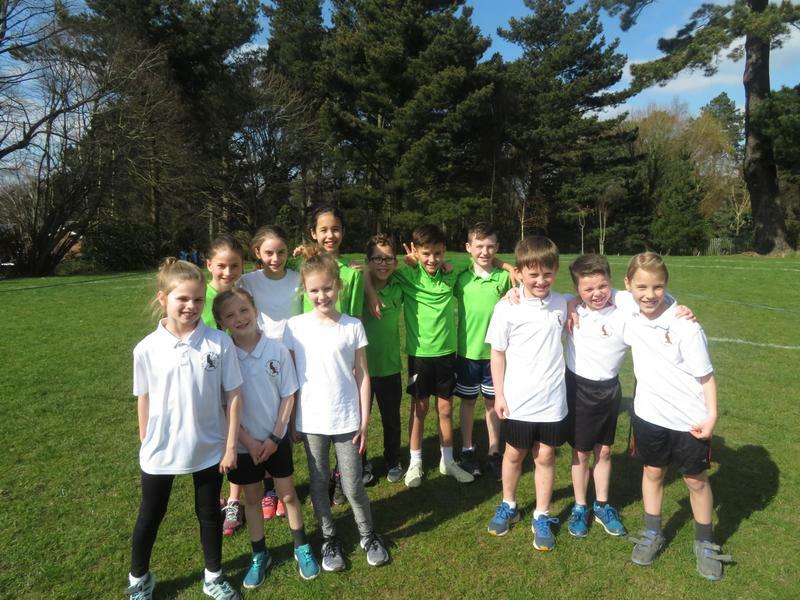 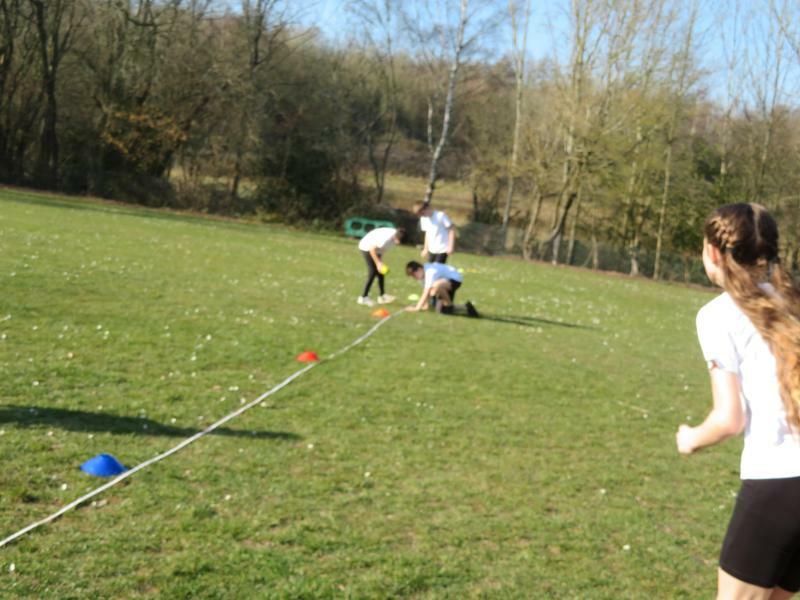 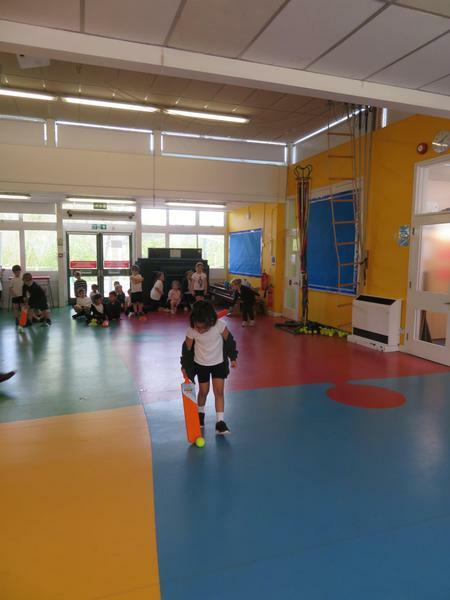 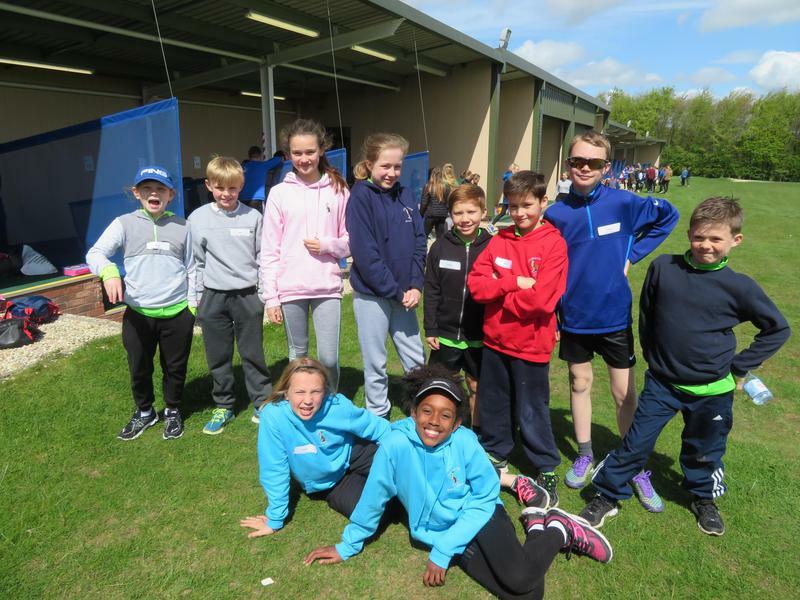 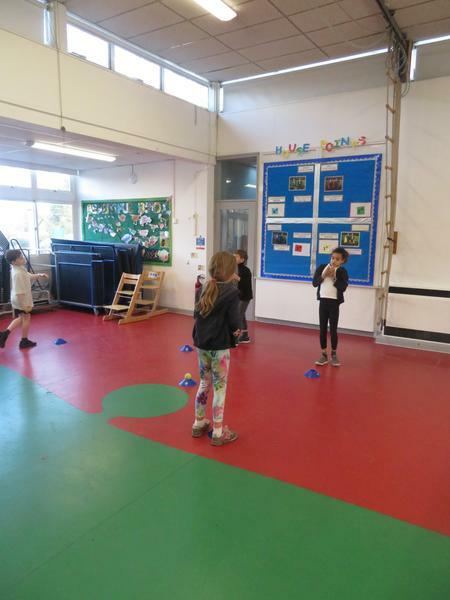 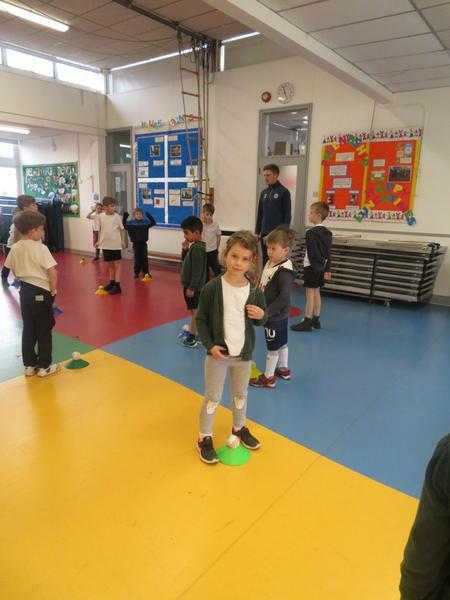 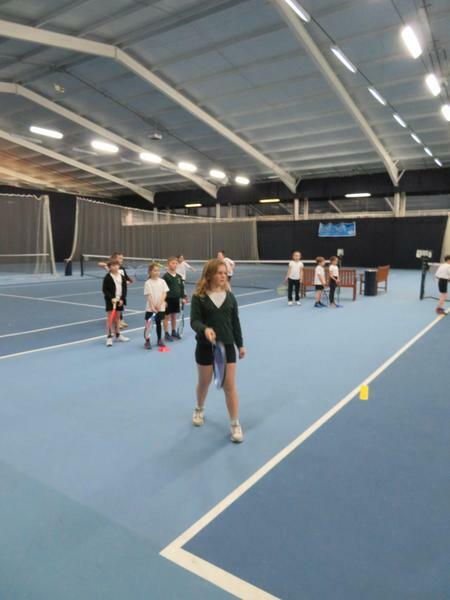 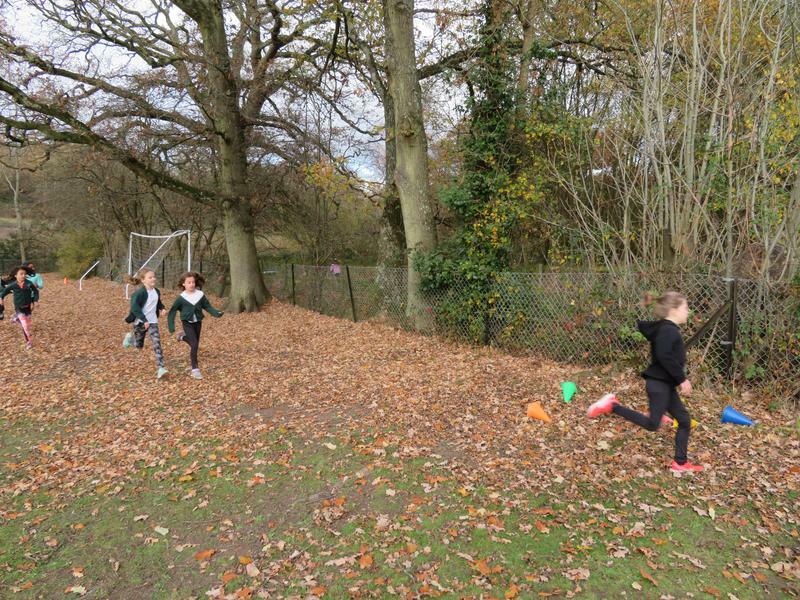 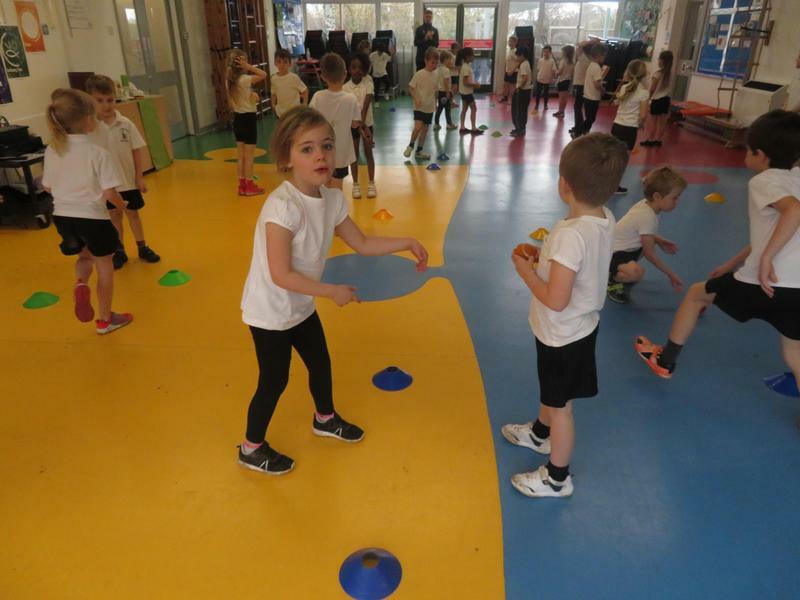 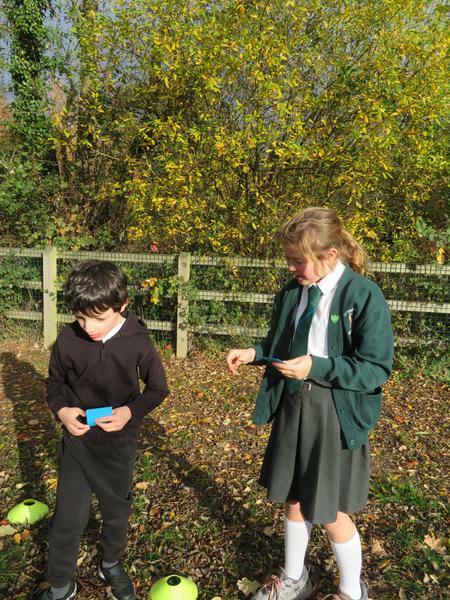 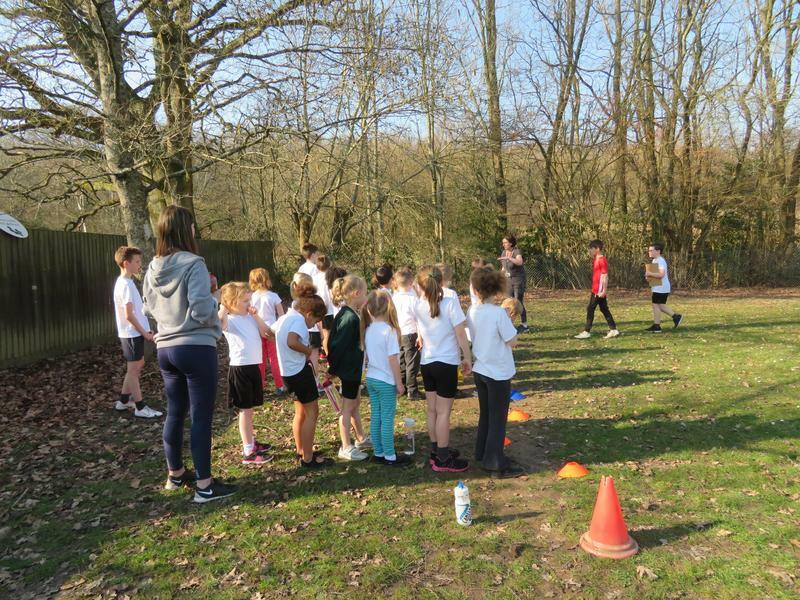 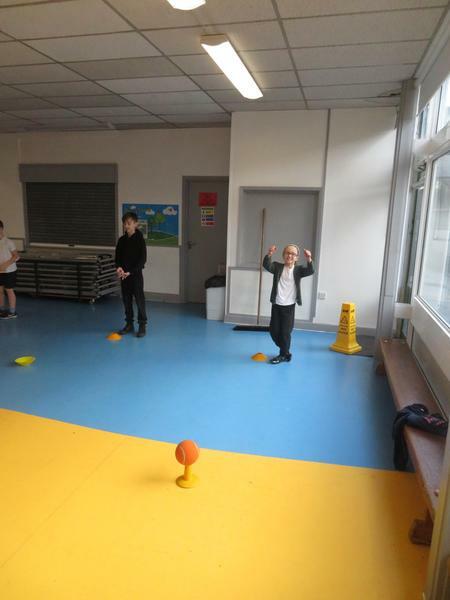 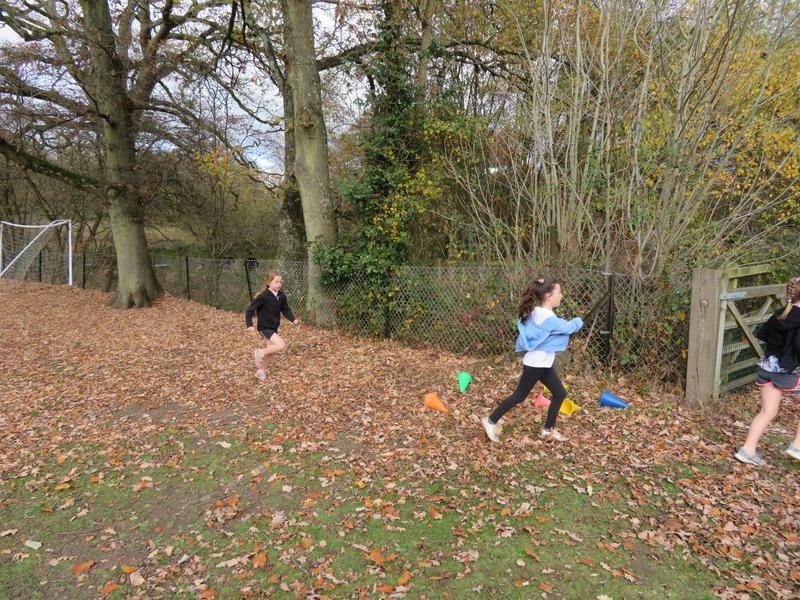 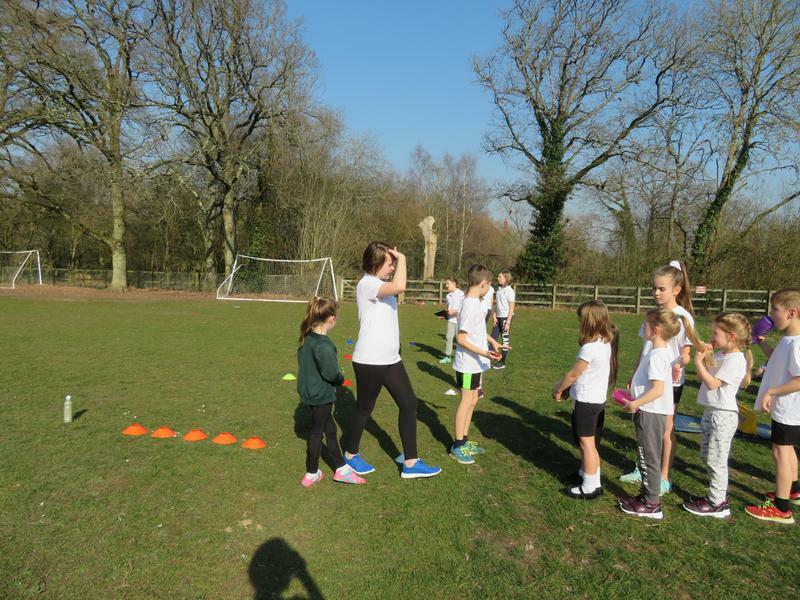 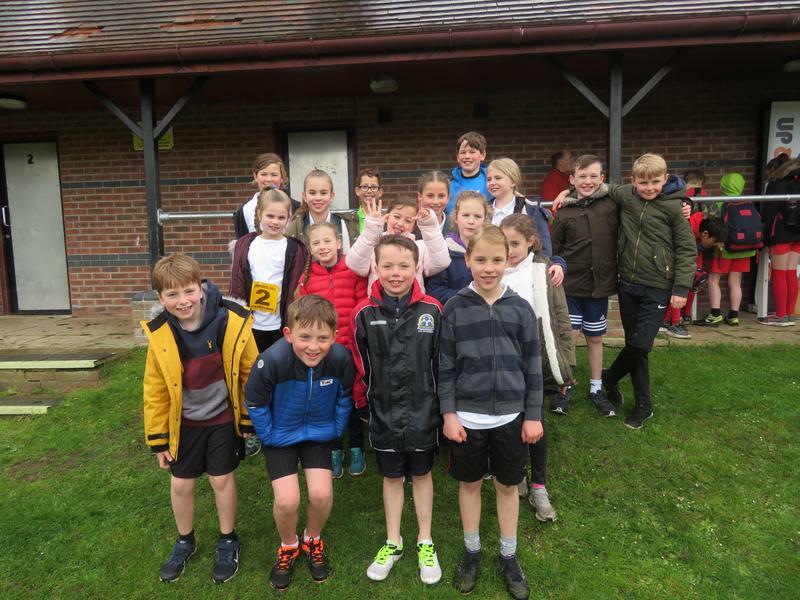 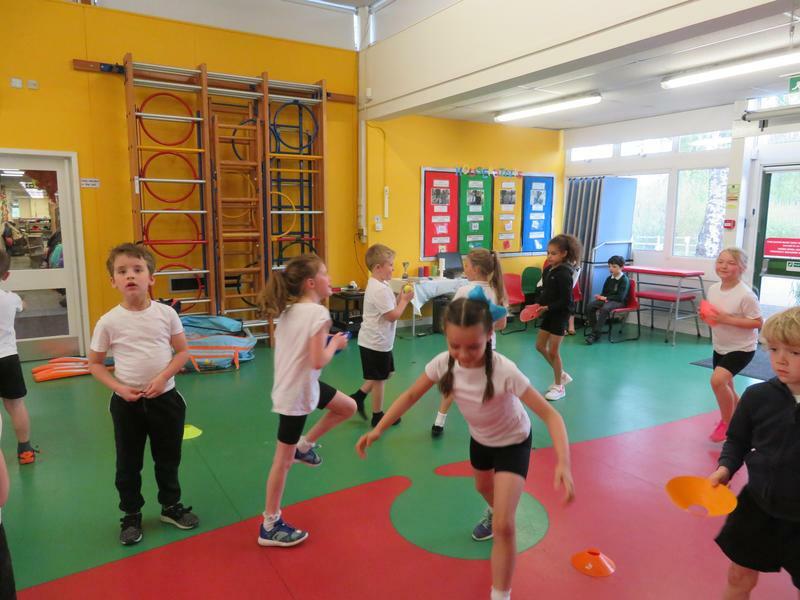 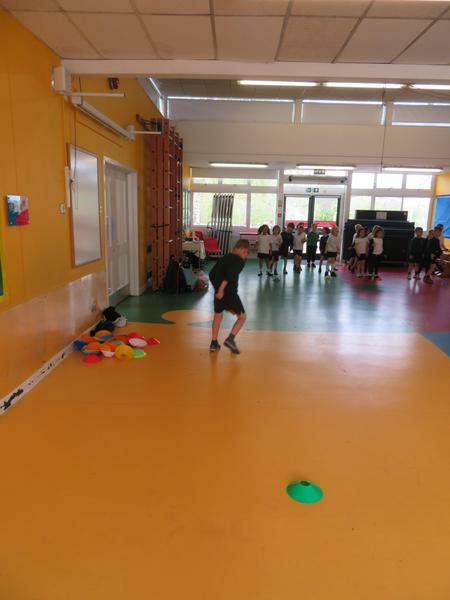 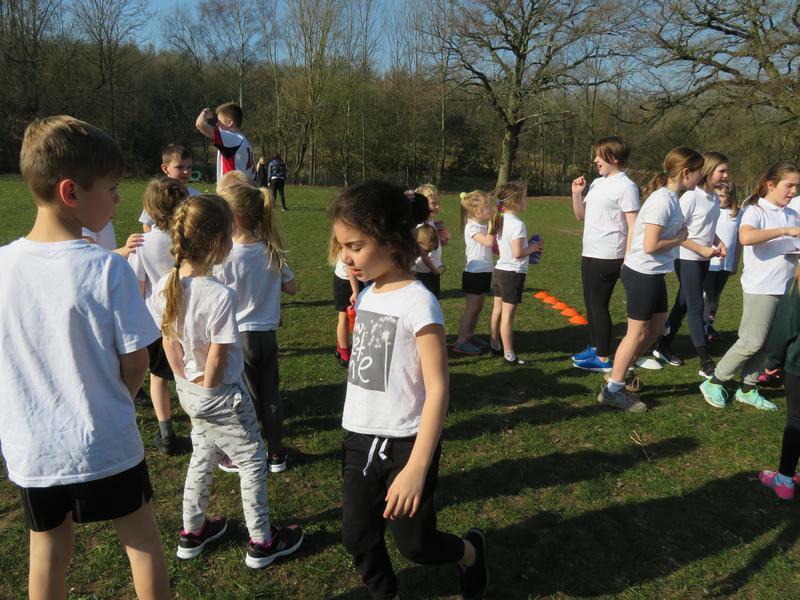 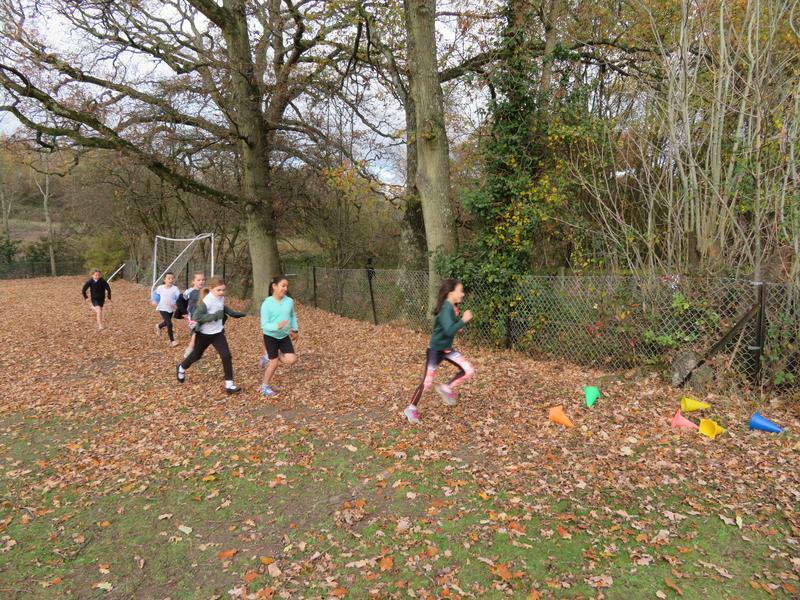 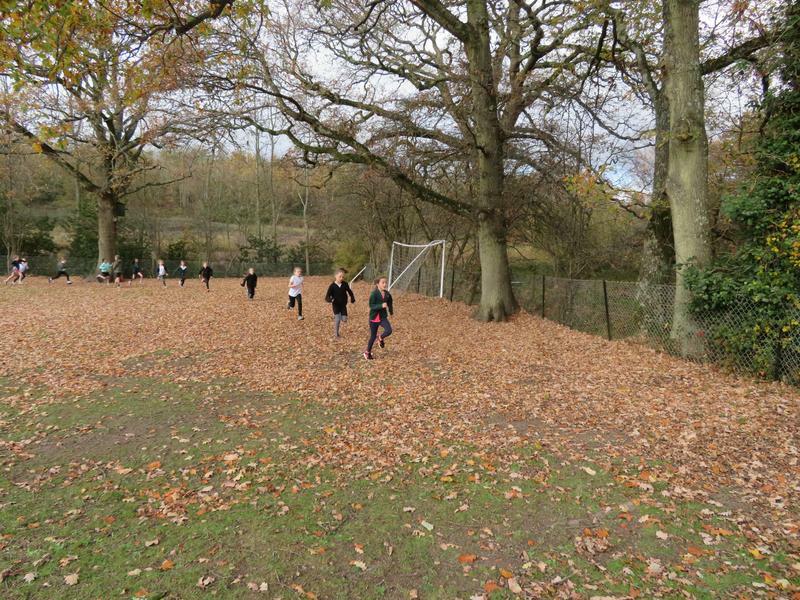 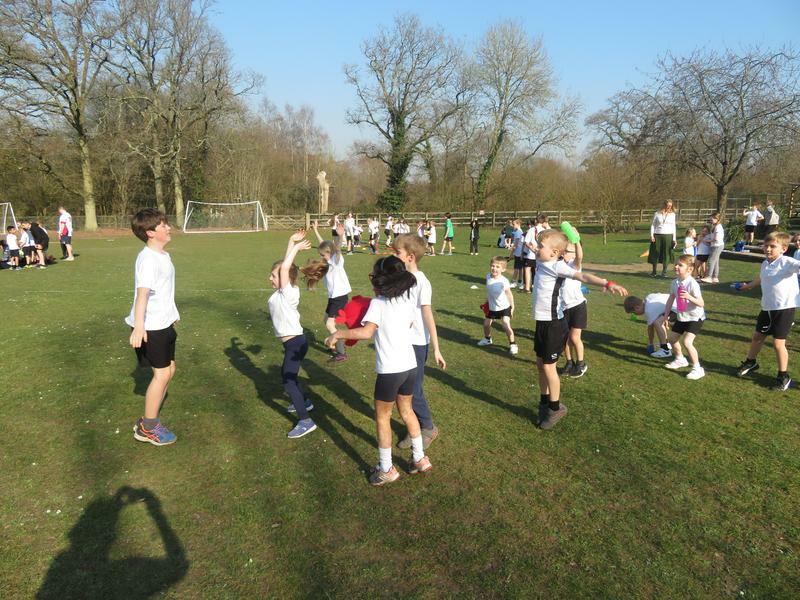 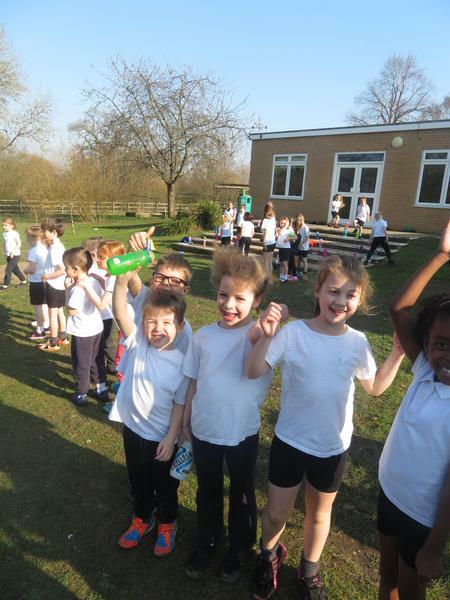 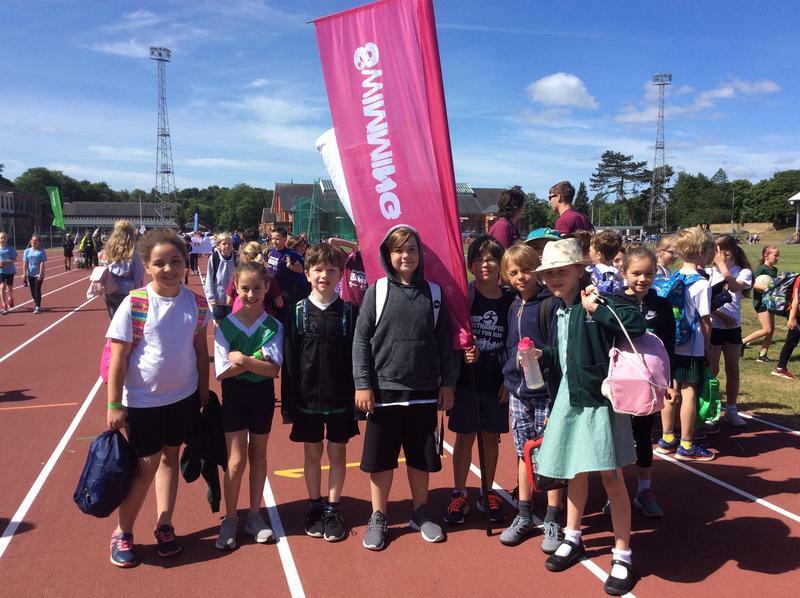 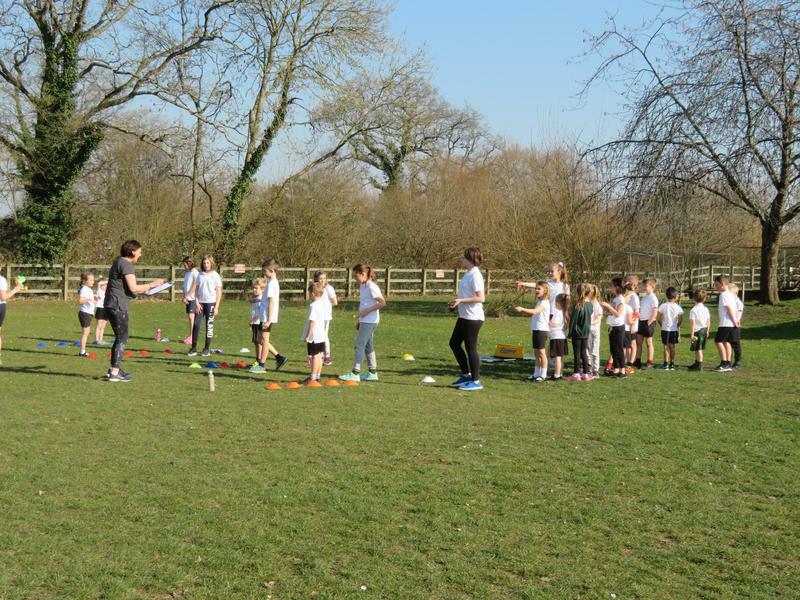 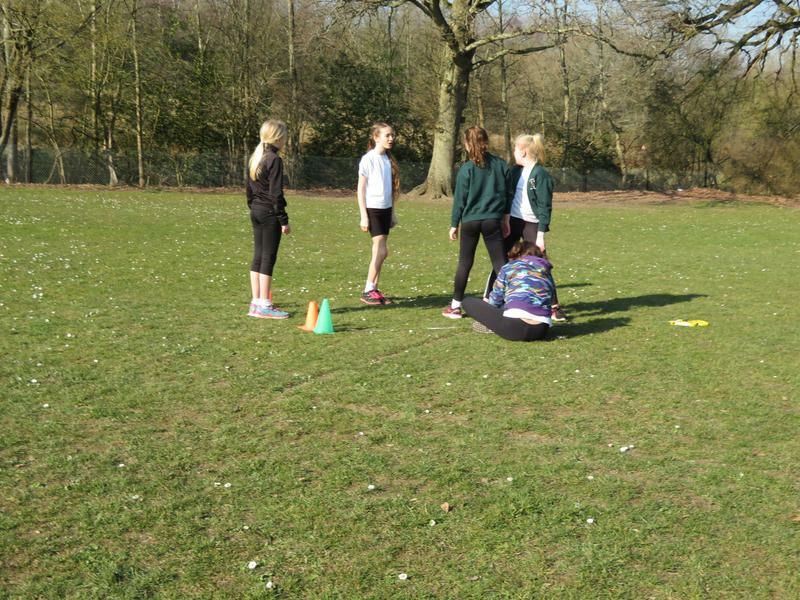 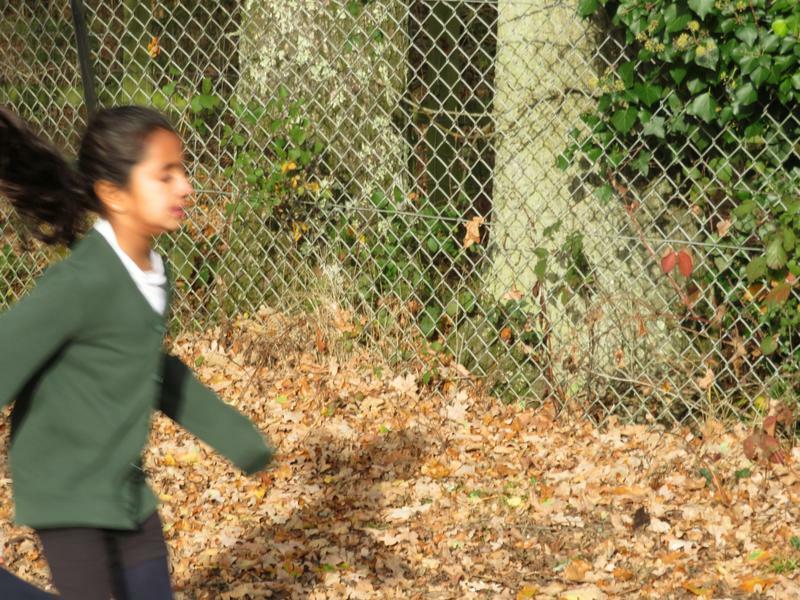 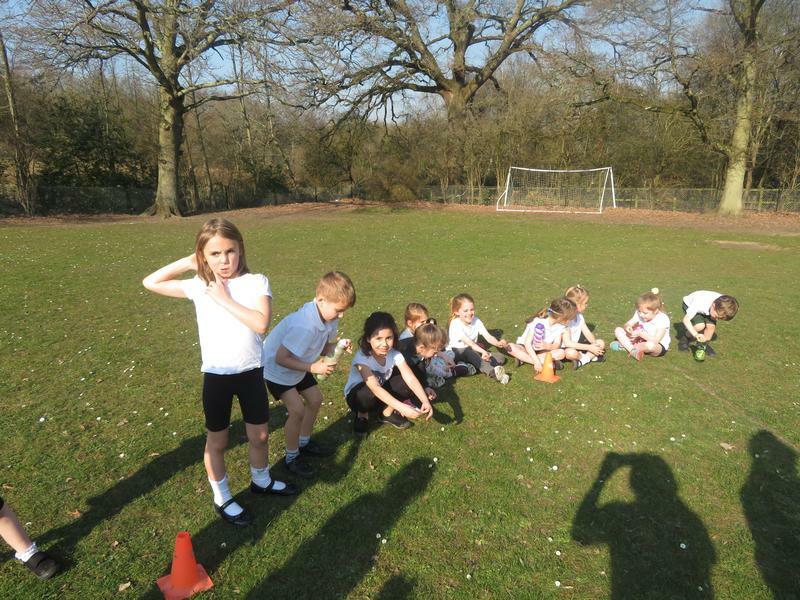 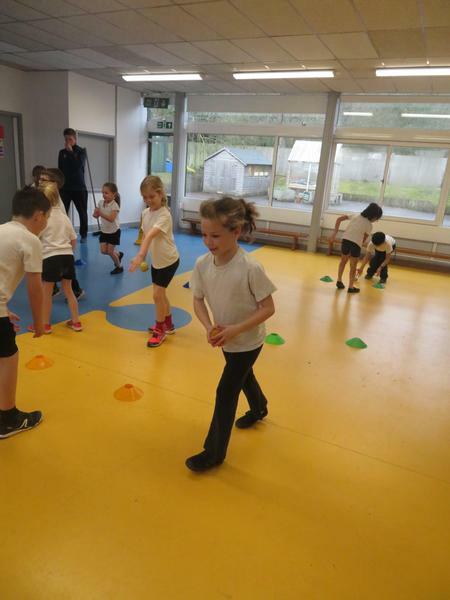 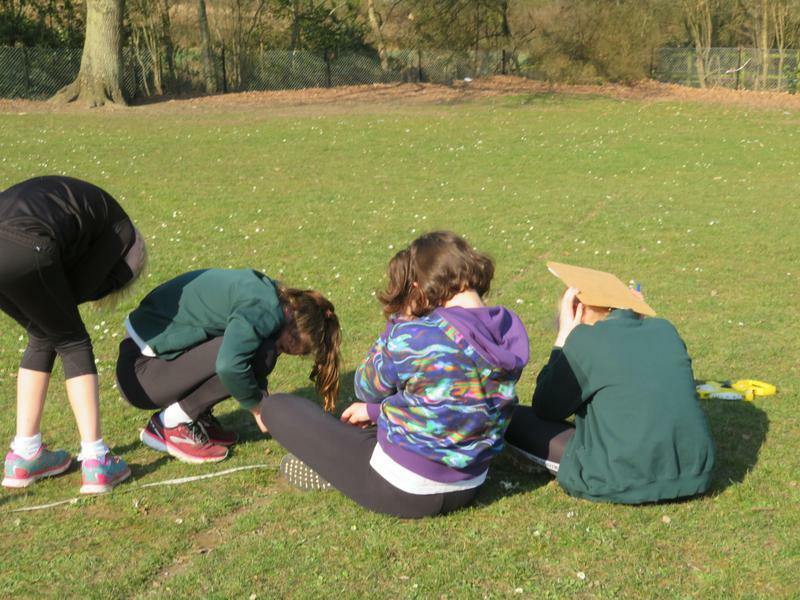 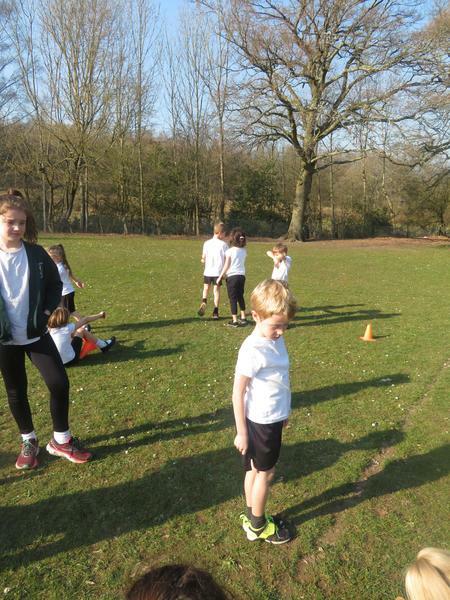 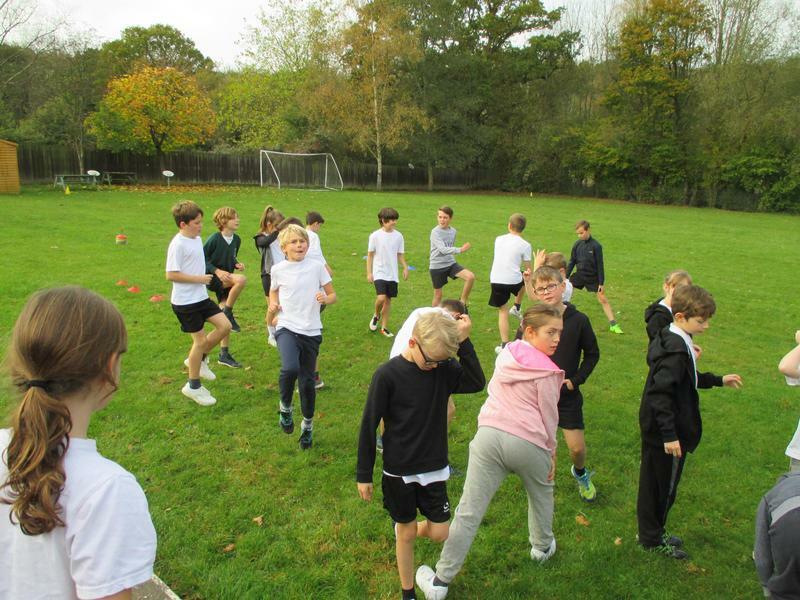 Our team of Hannah, Helena, Ella, Olivia K, Mariam, Lucia, Kylan, Lewis, Enrico, Ralph, Alex and Felix took part in various sprints, relays, jumps and throws. 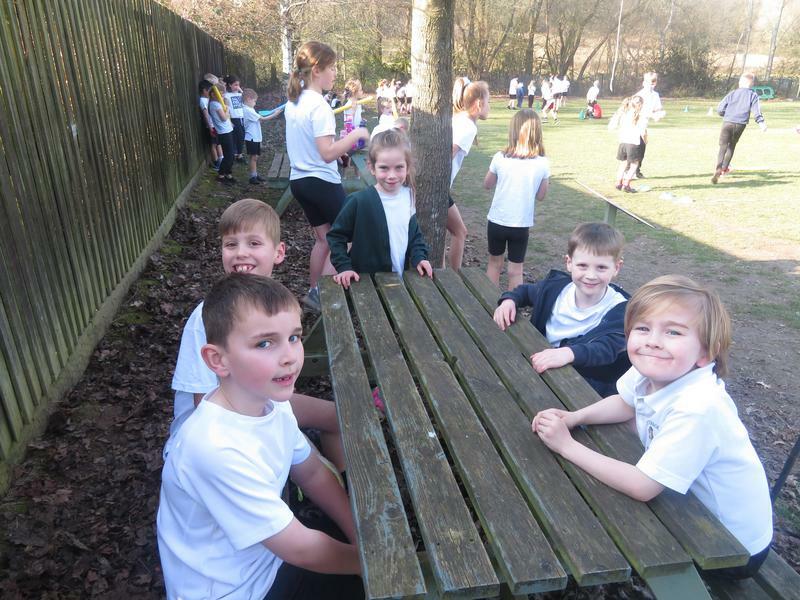 Everyone did their absolute best with the result being...we finished in 1st place. 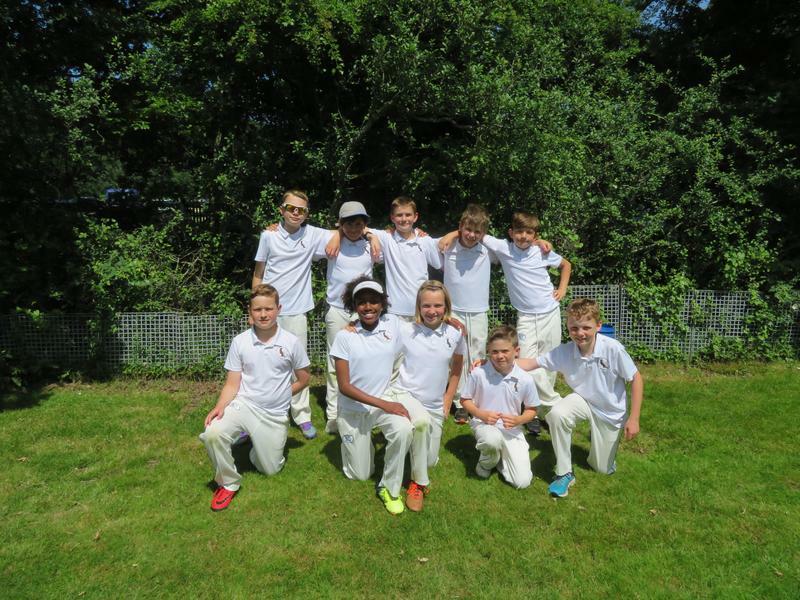 So it is off to the County Finals we go! 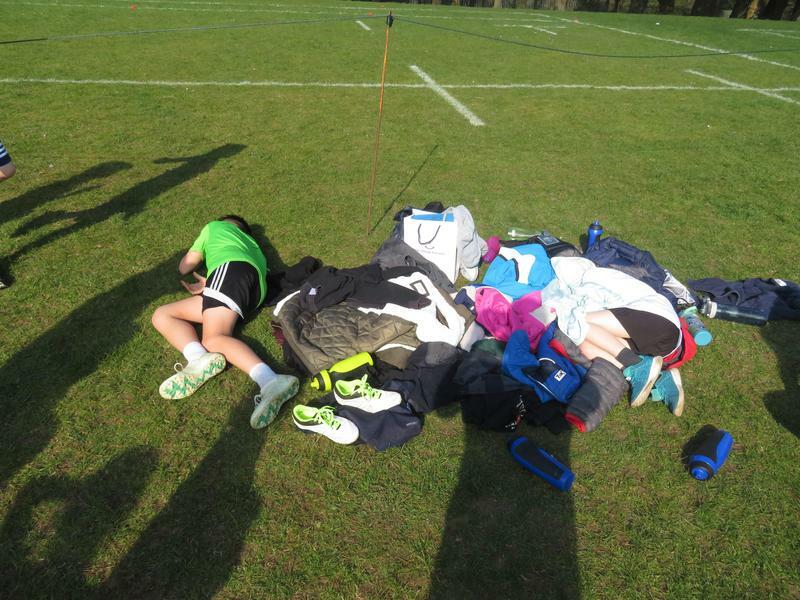 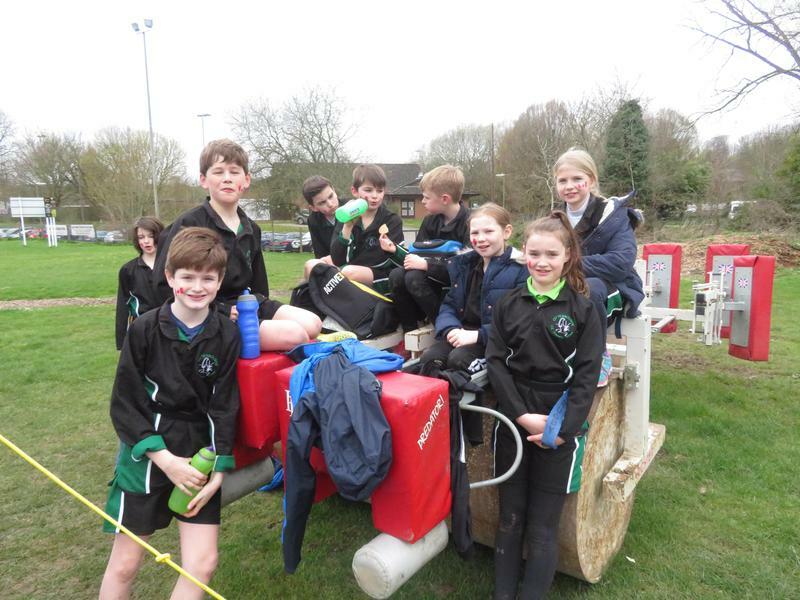 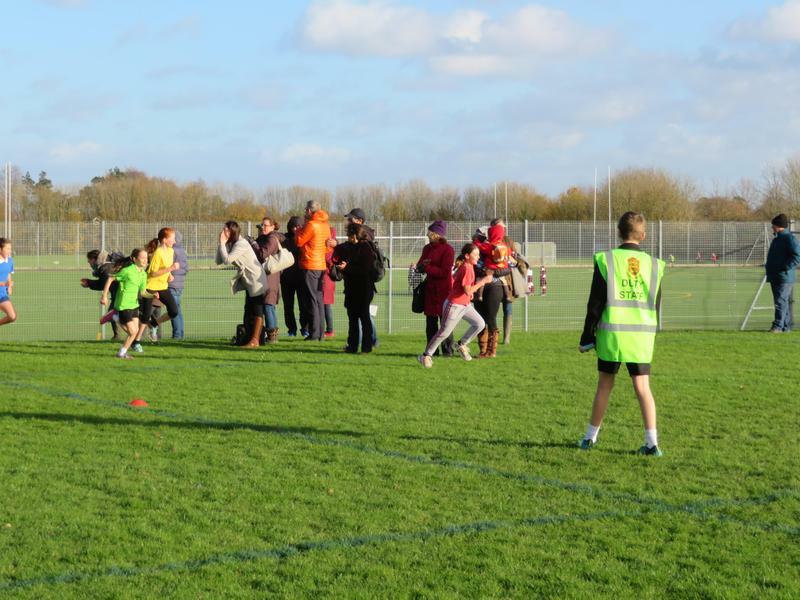 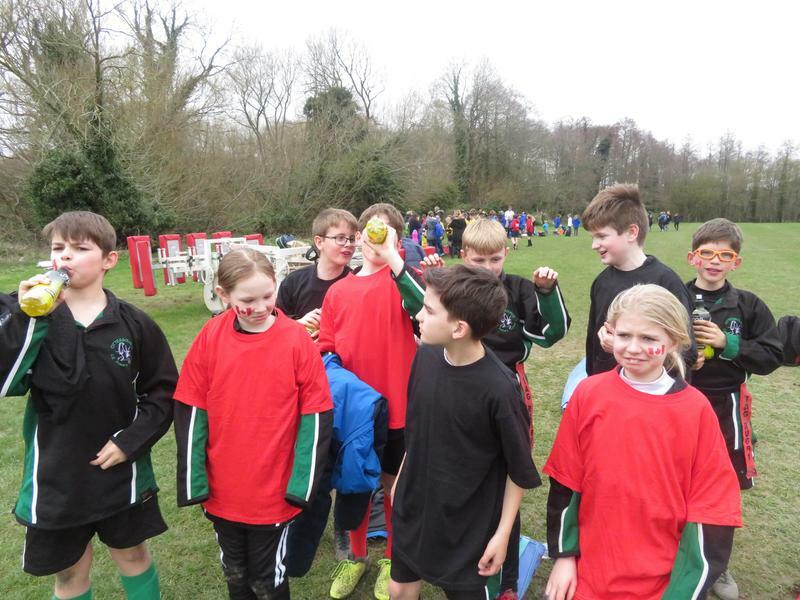 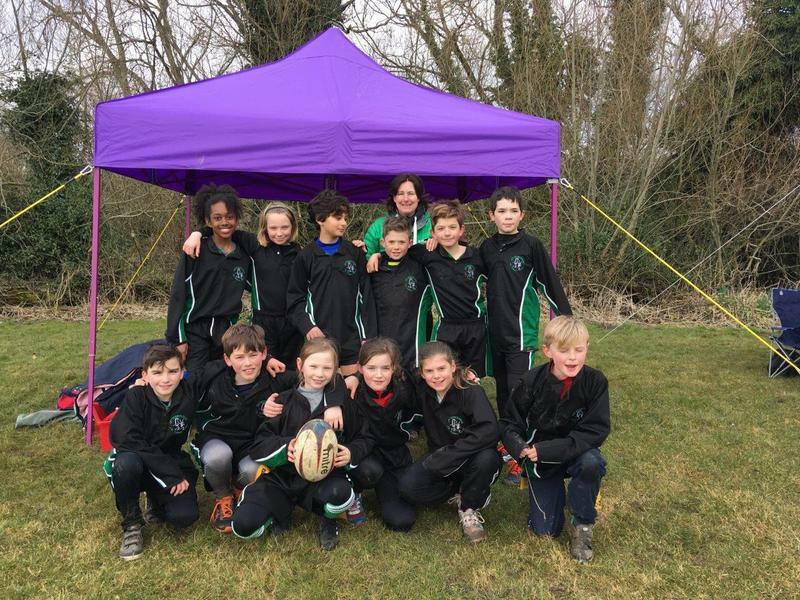 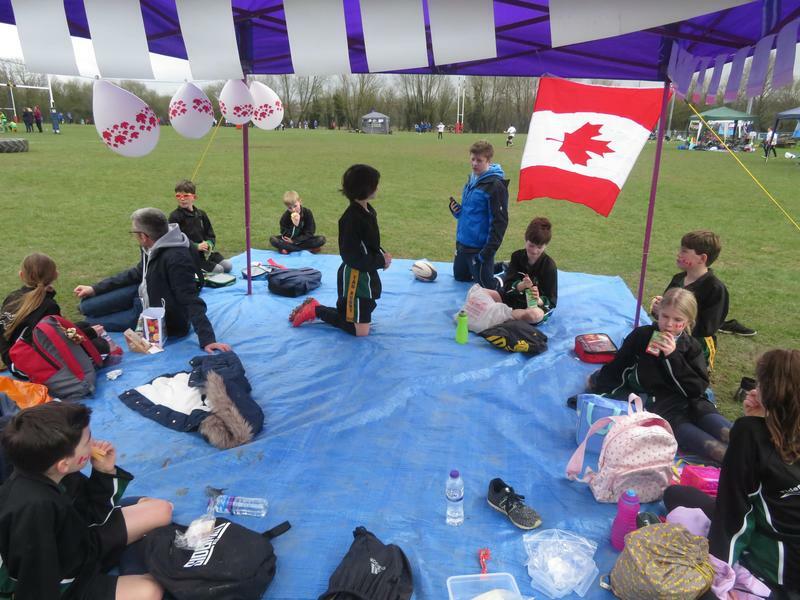 We had a fabulous day out on Thursday 21st March at the Winchester and Eastleigh District Schools Tag Rugby Festival. 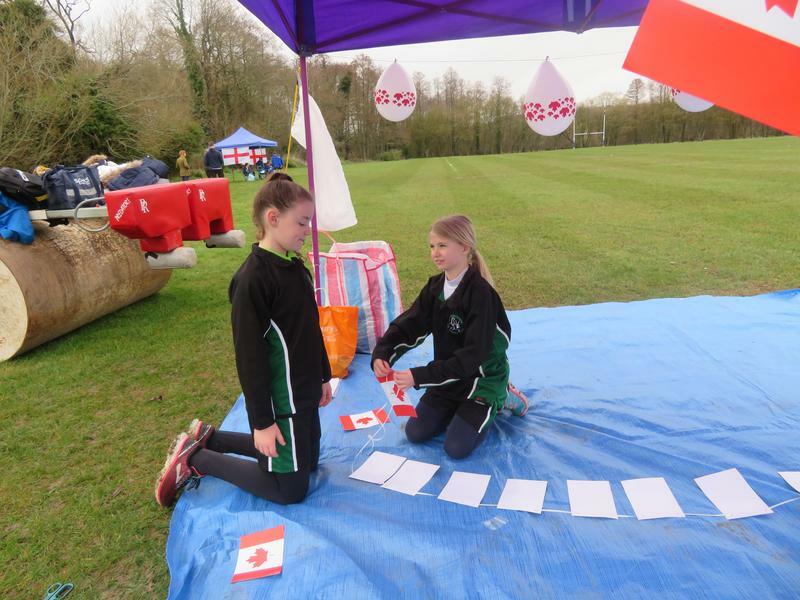 Our nominated country was Canada and so we decorated our gazebo with flags, bunting and balloons. 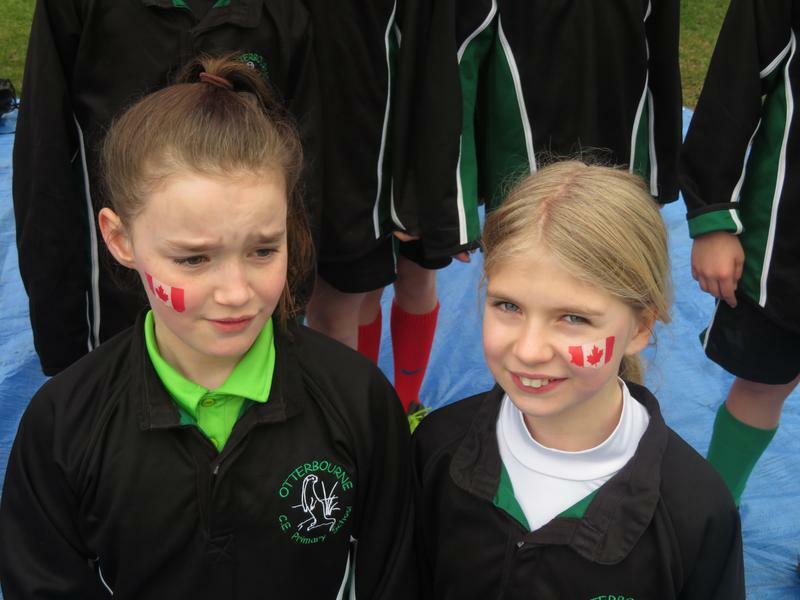 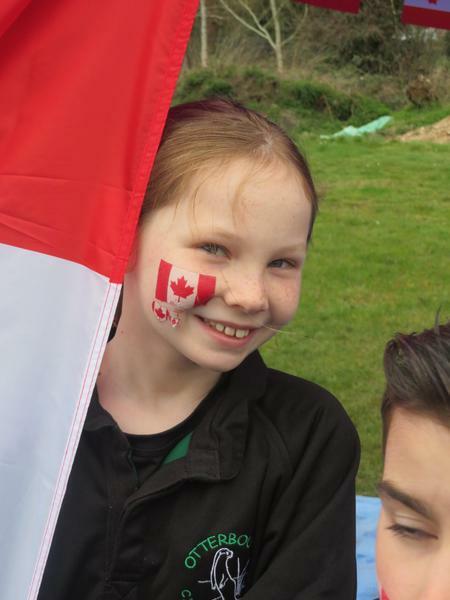 Not to forget the Canadian flags tattooed onto our faces! 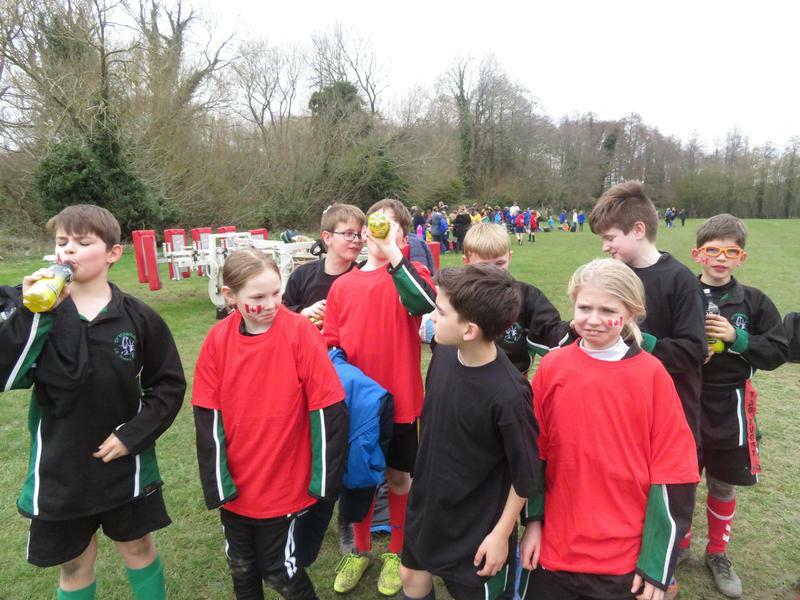 As a result we did win best decorated team so all the children went home with a t-shirt as a prize. 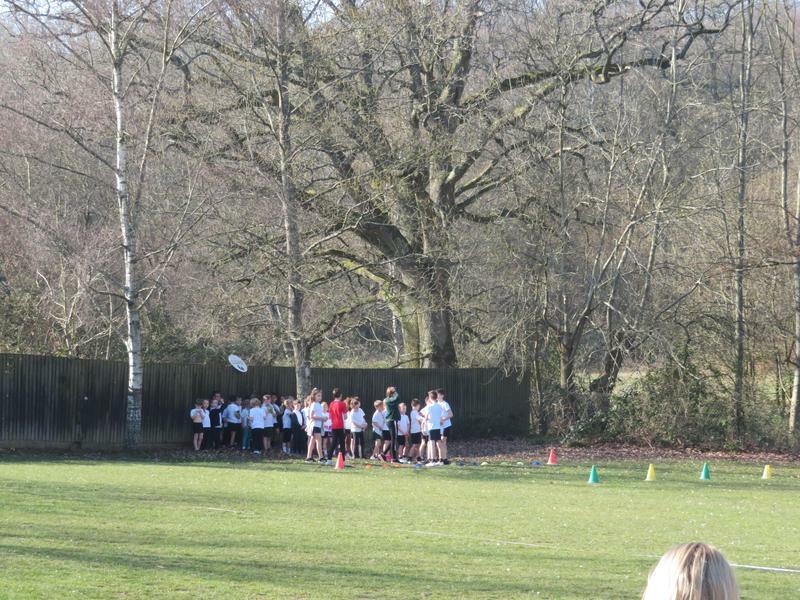 Our results were mixed but lots of tries were scored and there was a great deal of tagging done too which was fabulous. 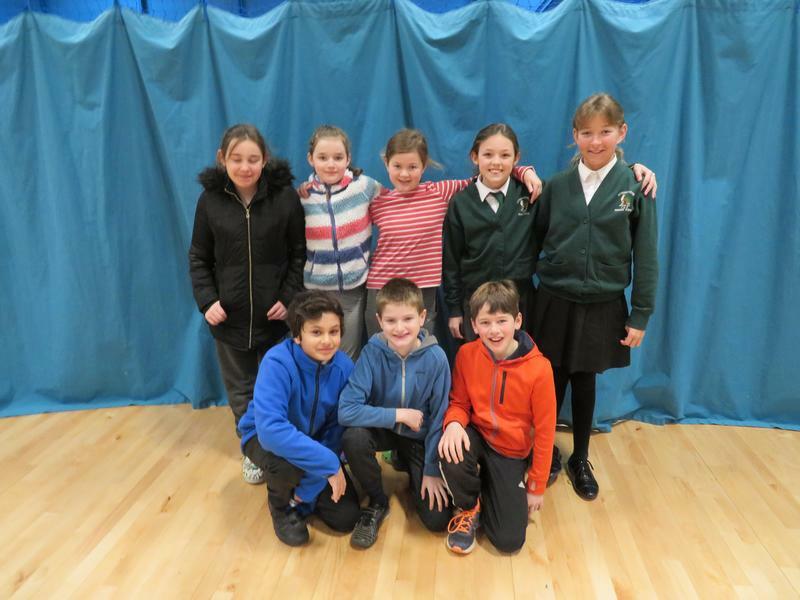 Rico (captain), Taylor, Alex, Jonny, Toby, Ralph, Caleb, Emily, Helena, Hannah & Daisy - well done to you all as every member of the team contributed fully to the play. 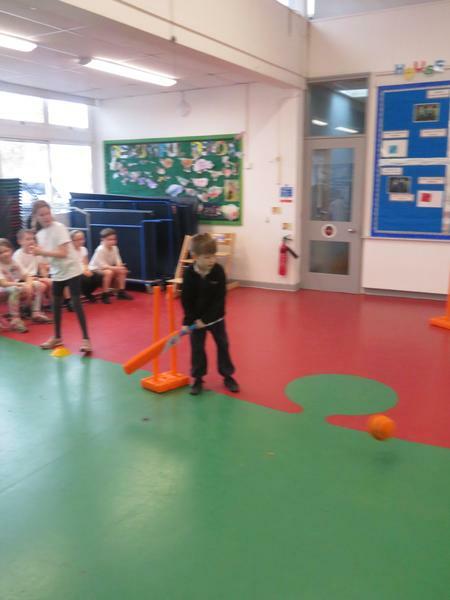 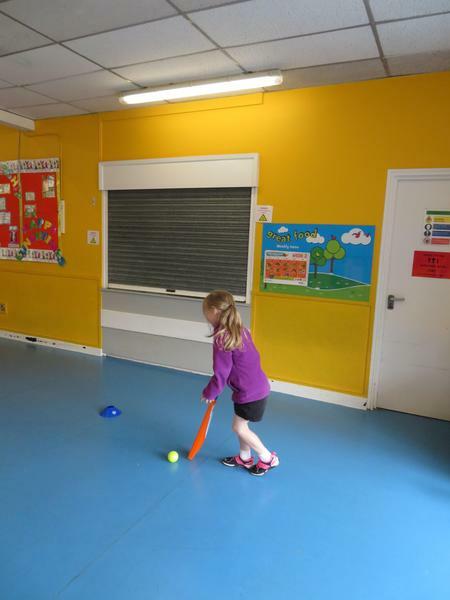 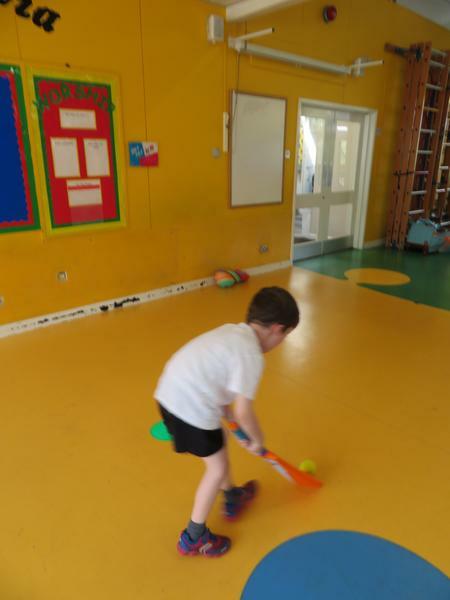 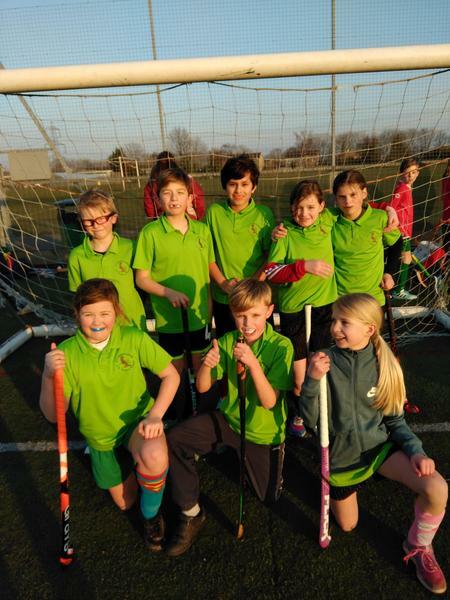 We took 2 teams to the Hockey Tournament @ Thornden on 20th March. 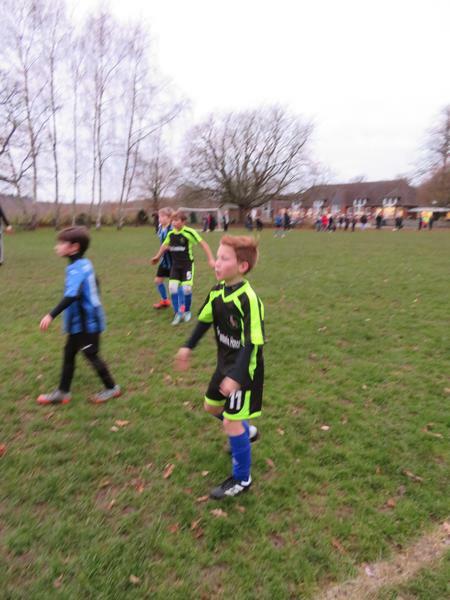 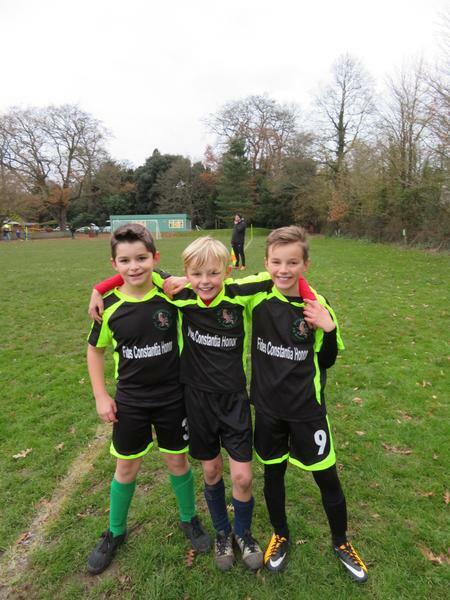 Otterbourne 1 was made up of Year 6 players and Otterbourne 2 consisted Year 5 players. 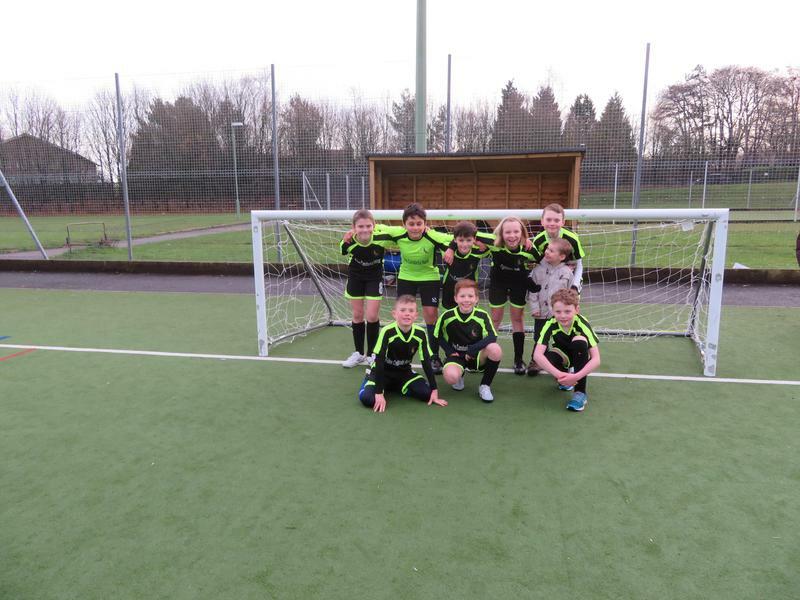 All children played well with both teams winning, losing and drawing matches. 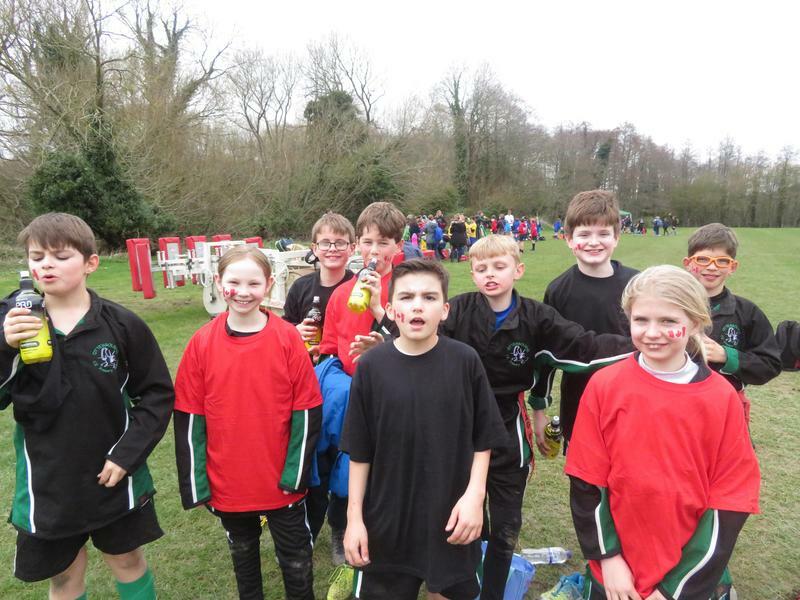 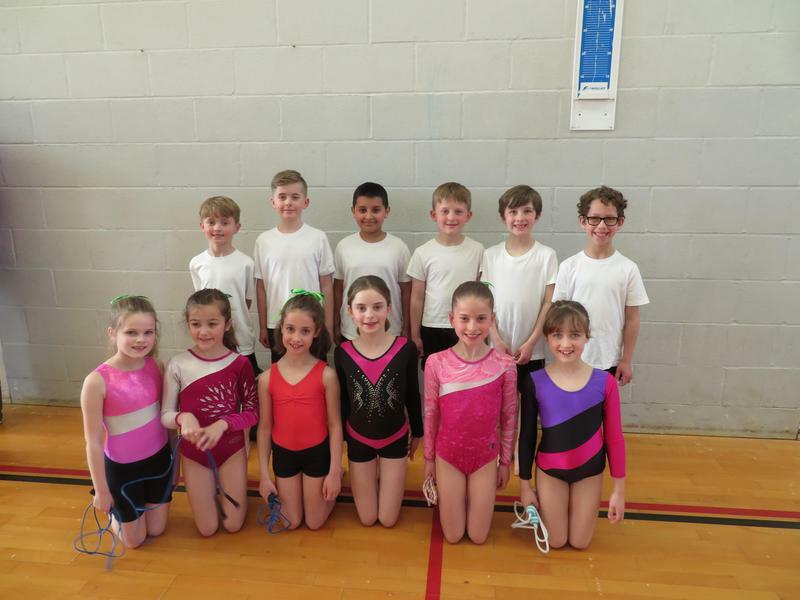 The final result was Otterbourne 1 came 4th and Otterbourne 2 came 3rd - well done to all! 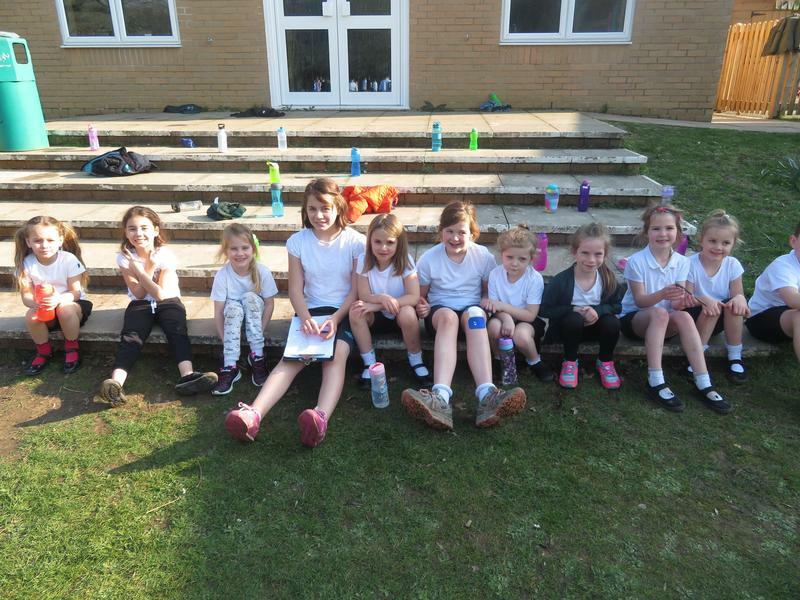 Otterbourne 1 - Olivia Knight (captain), Helena Reid, Ella Hunter, Hannah Websper, Emily Essex, Daisy Robinson, Taylor Dodd & Harry Mountjoy. 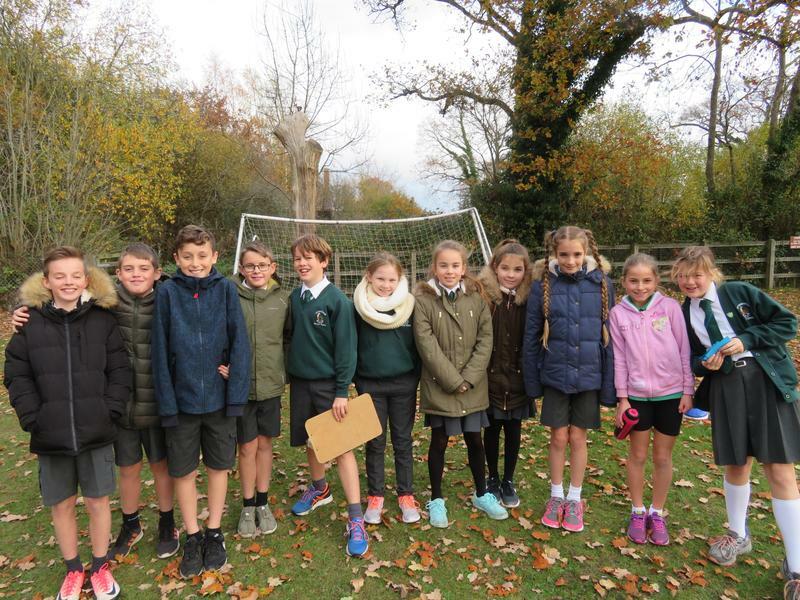 Otterbourne 2 - Freya Kelly (captain), Willow Hinton, Lucia Bertacchini, Charlotte Jones, Zach Jones, Lewis Yuill, Austin Yuill & Kylan Dubsky. 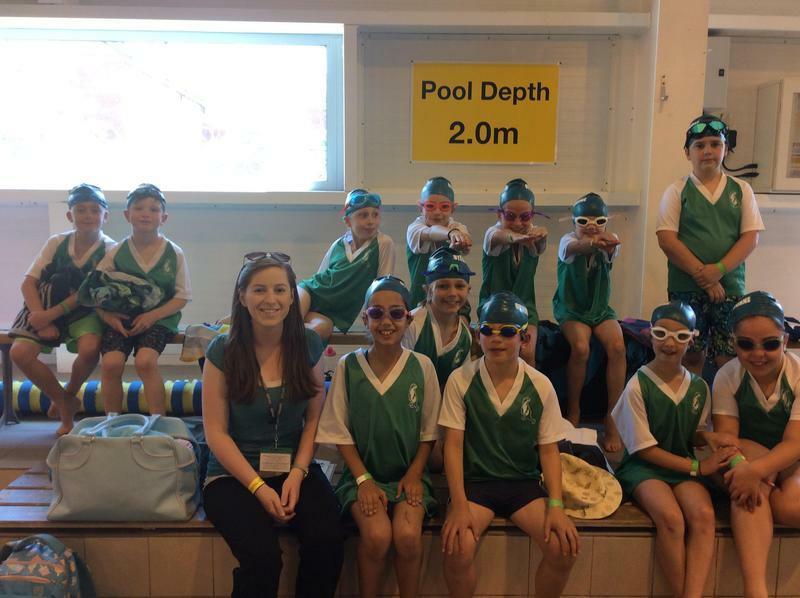 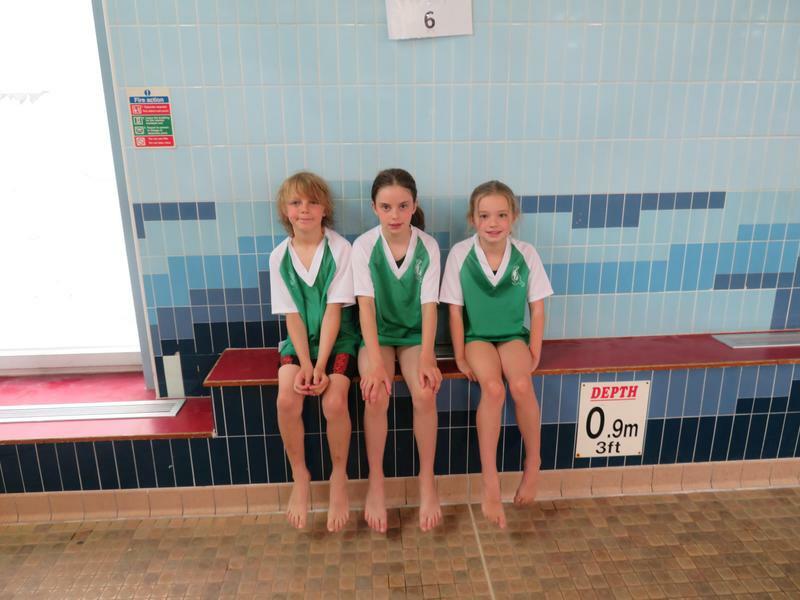 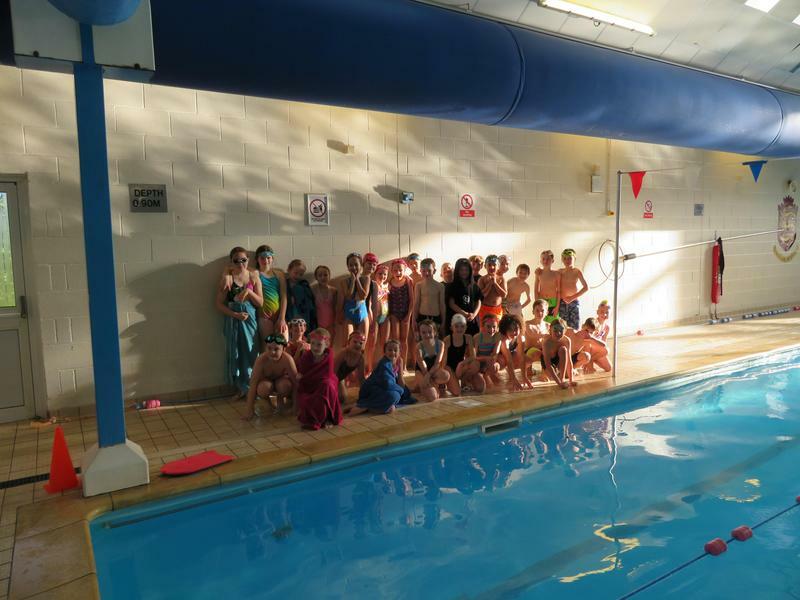 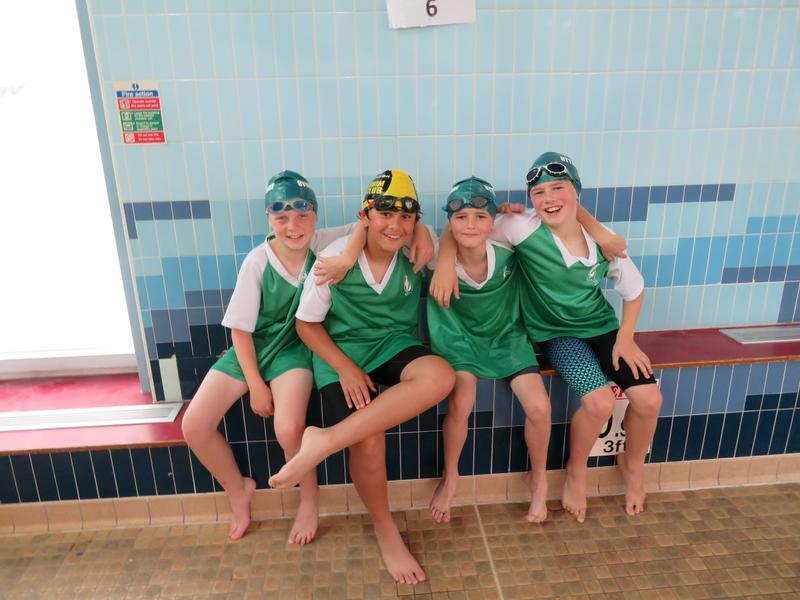 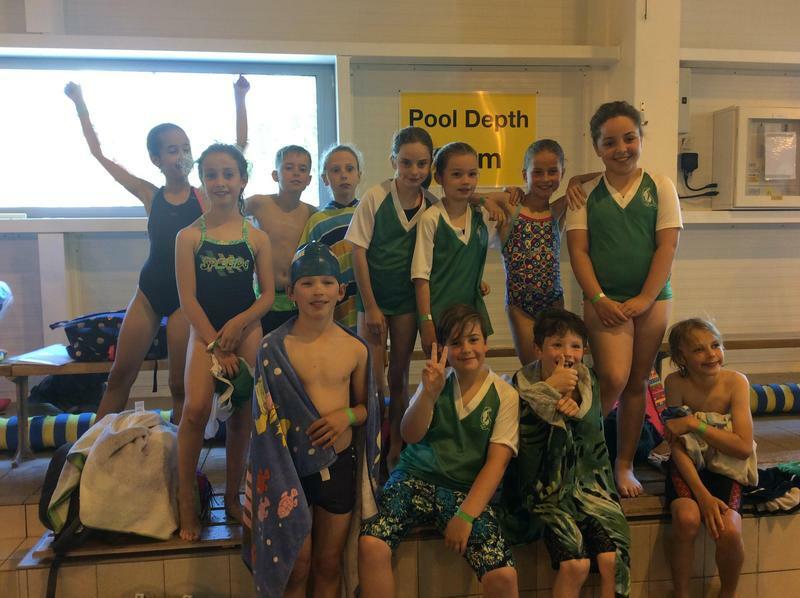 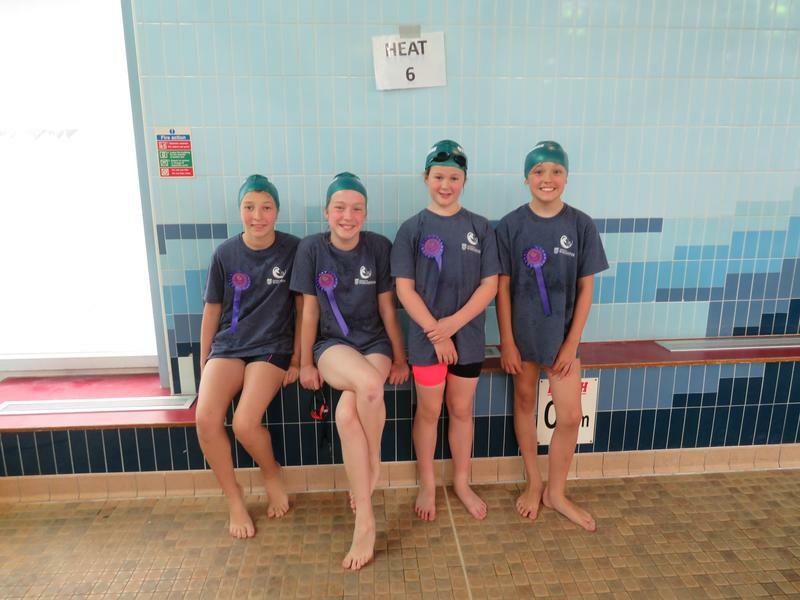 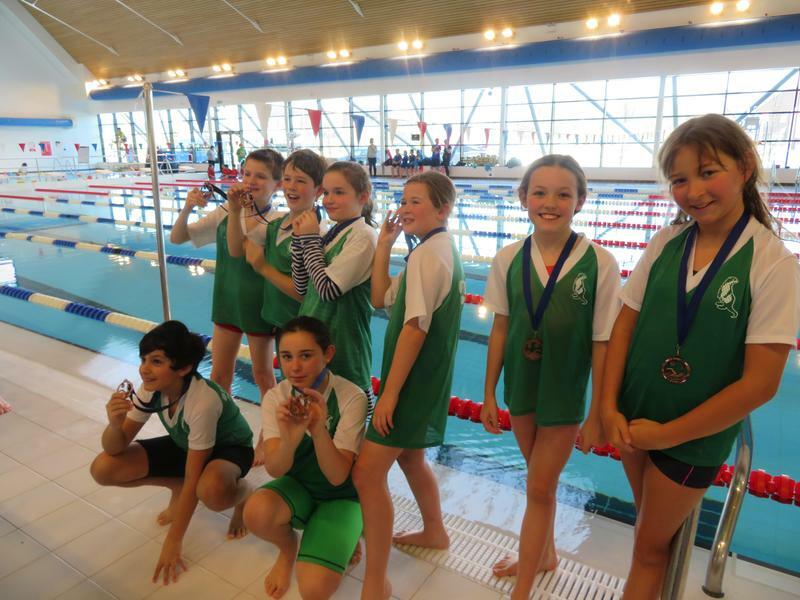 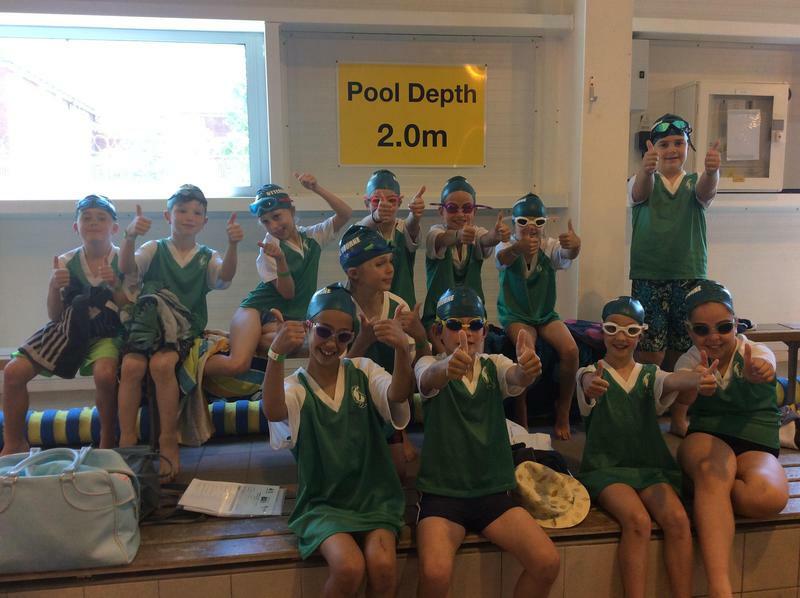 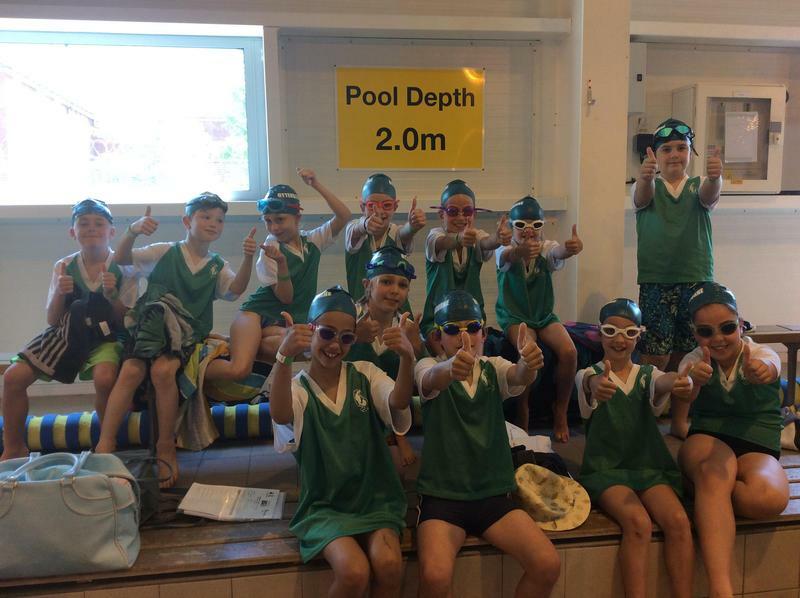 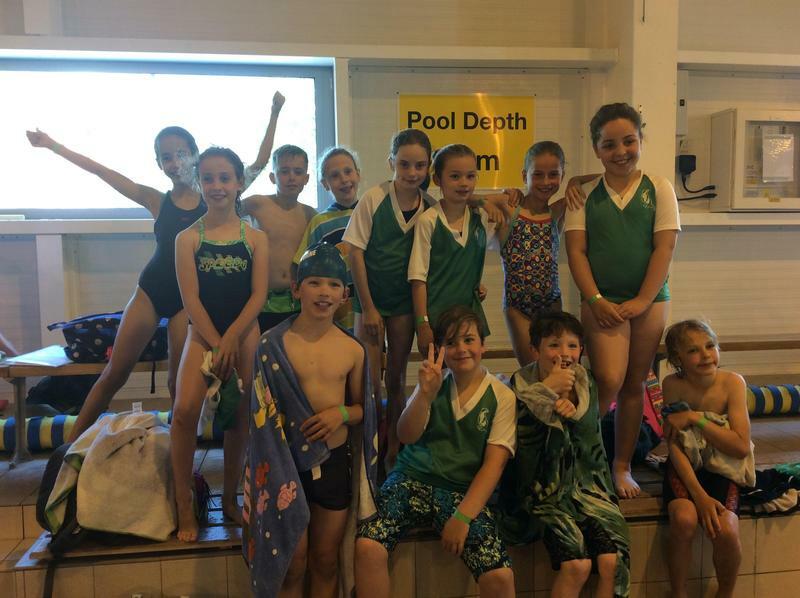 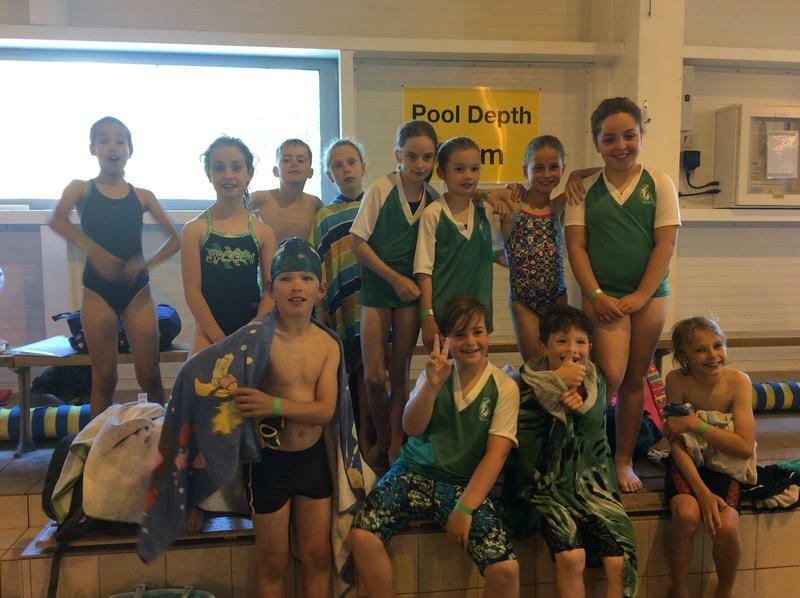 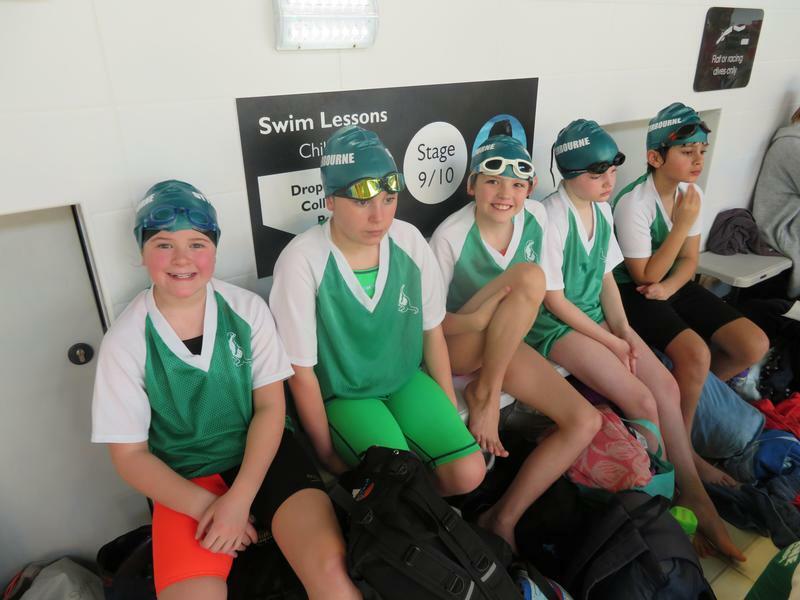 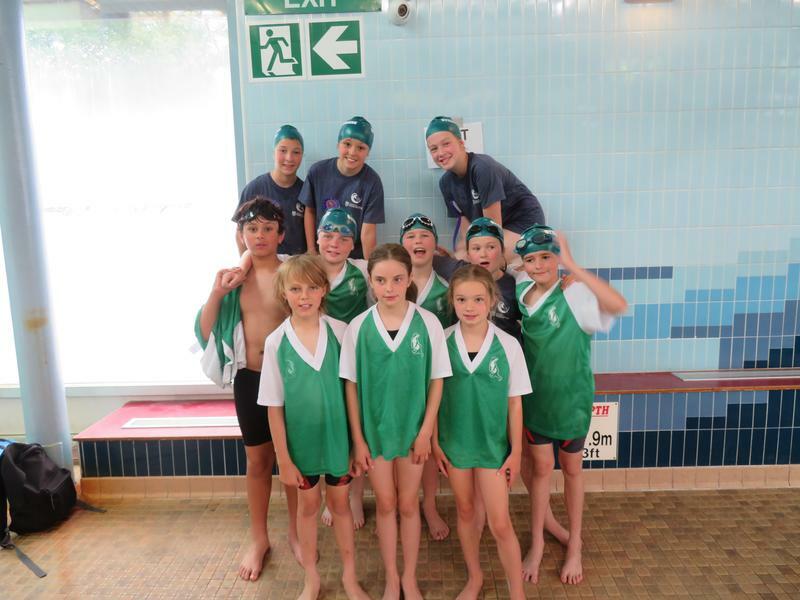 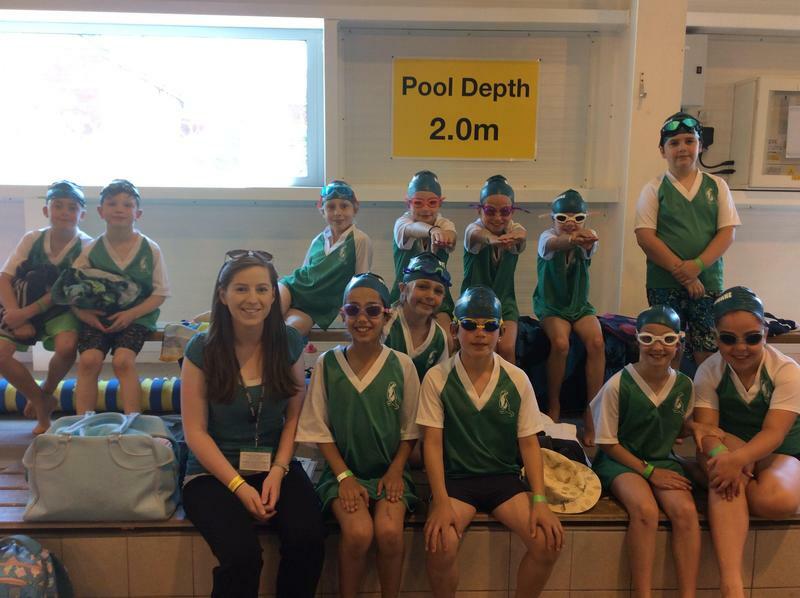 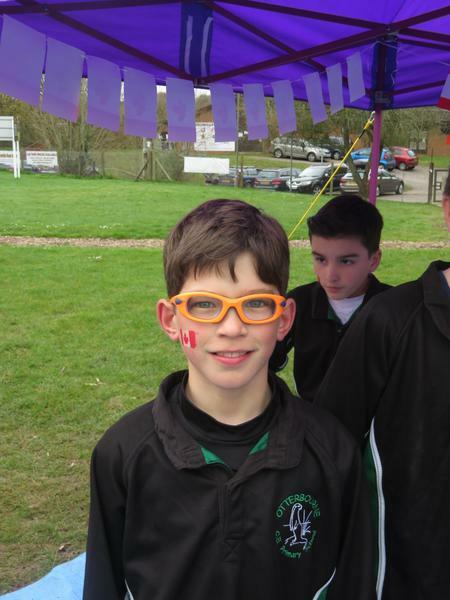 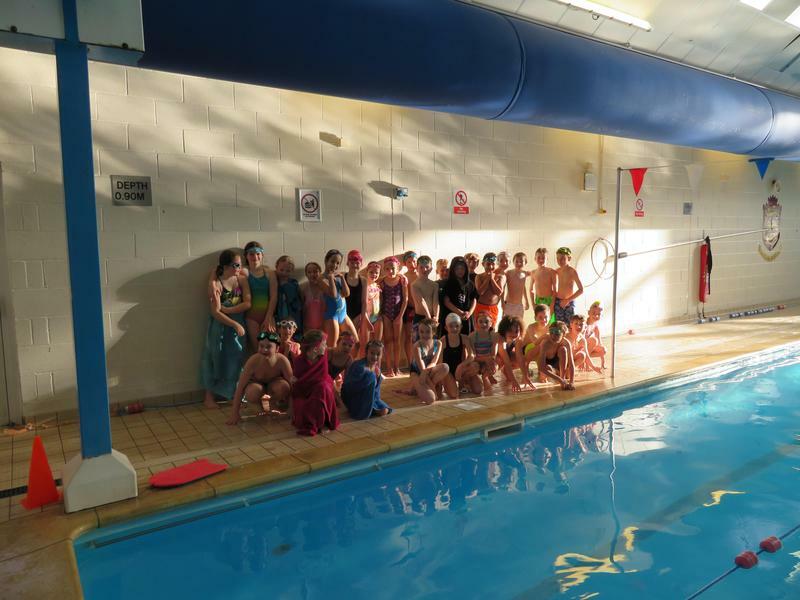 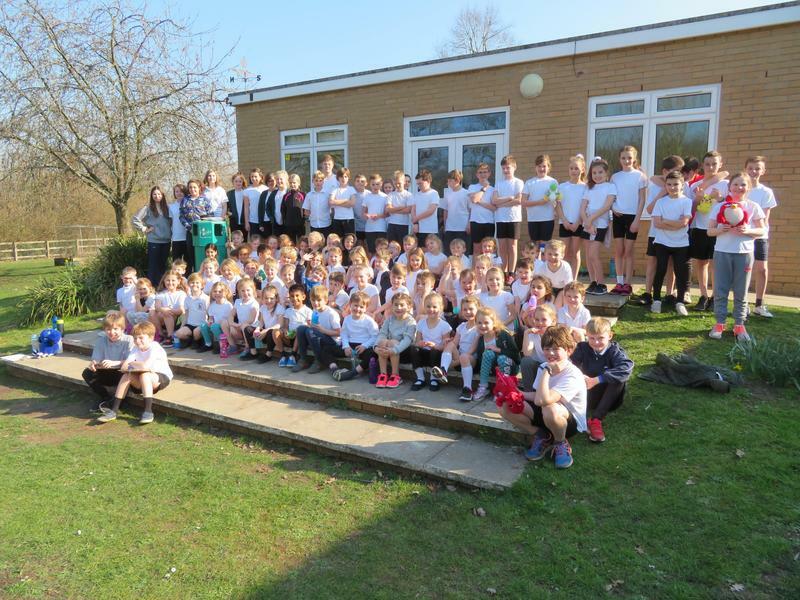 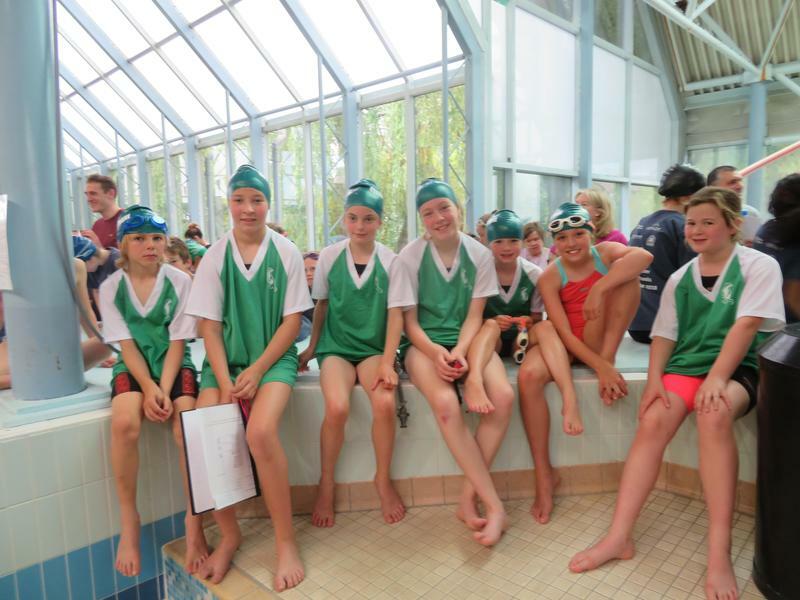 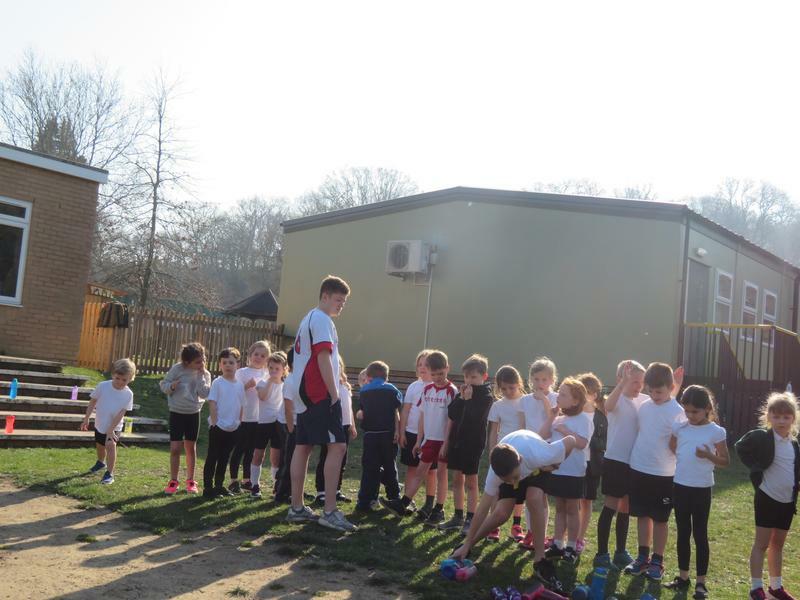 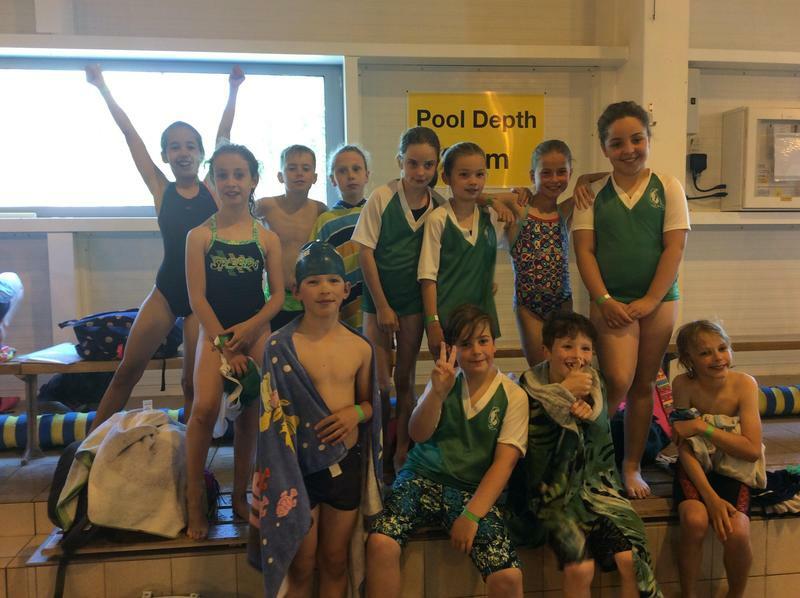 On Friday 15th March we took a swimming squad to Fleet for the Hampshire Primary Schools Relay Gala. 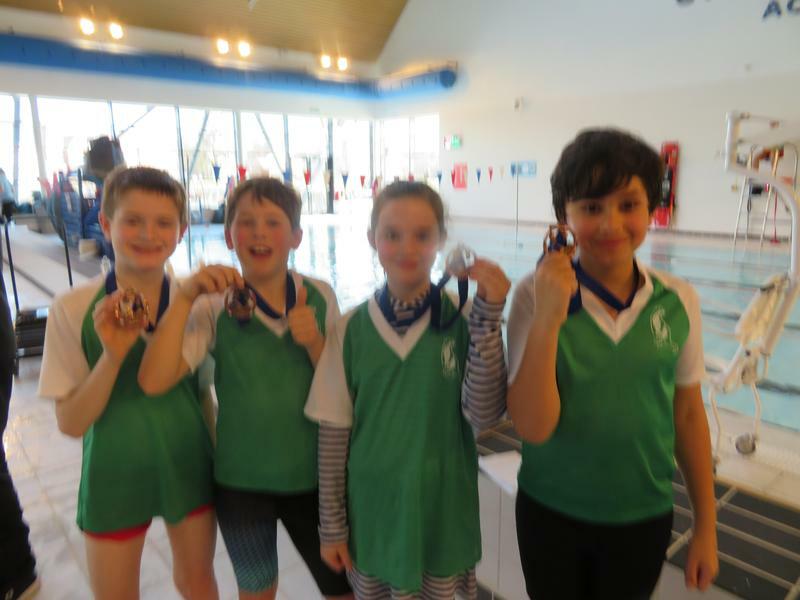 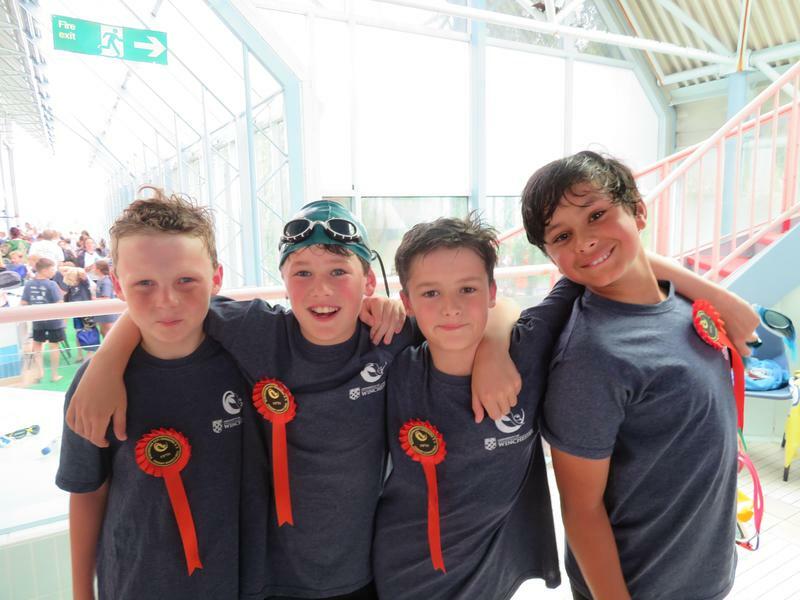 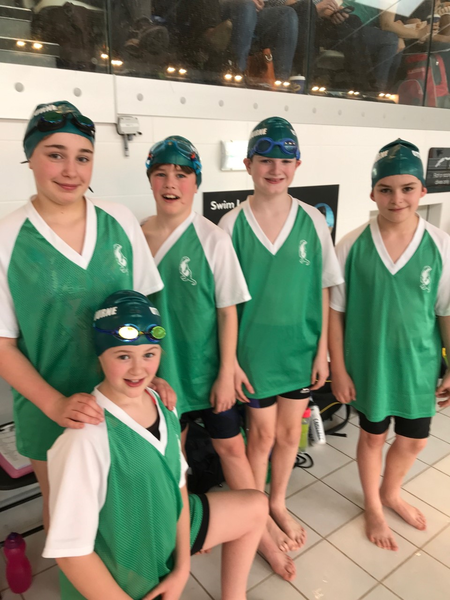 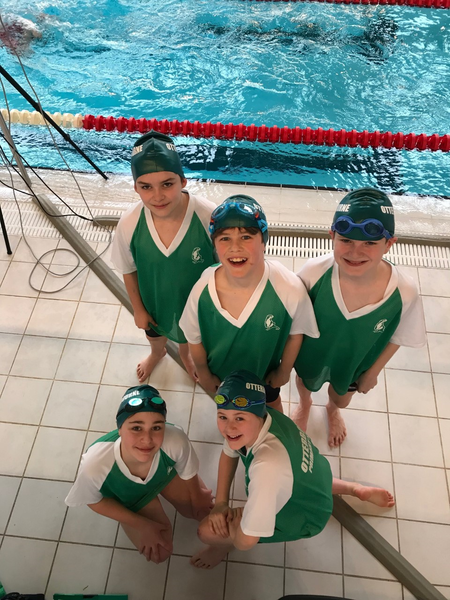 Otterbourne came 5th in both the freestyle relay and medley relay. 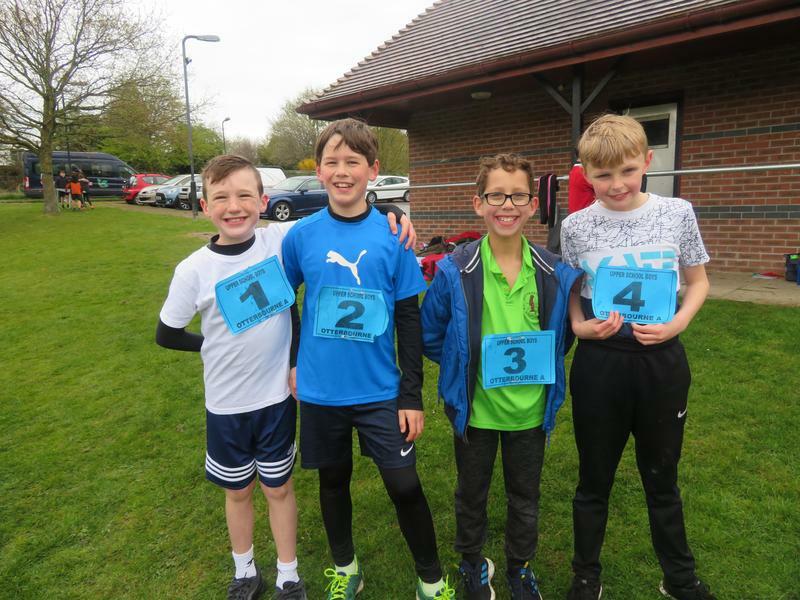 Well done to Ellie Tutton, Ella Hunter, Toby Essex, Ralph Warin & Alex Ward. 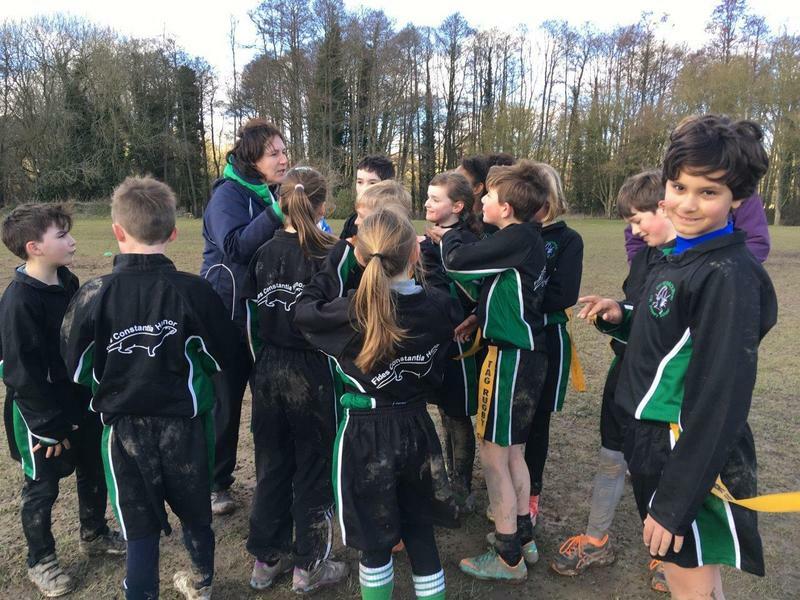 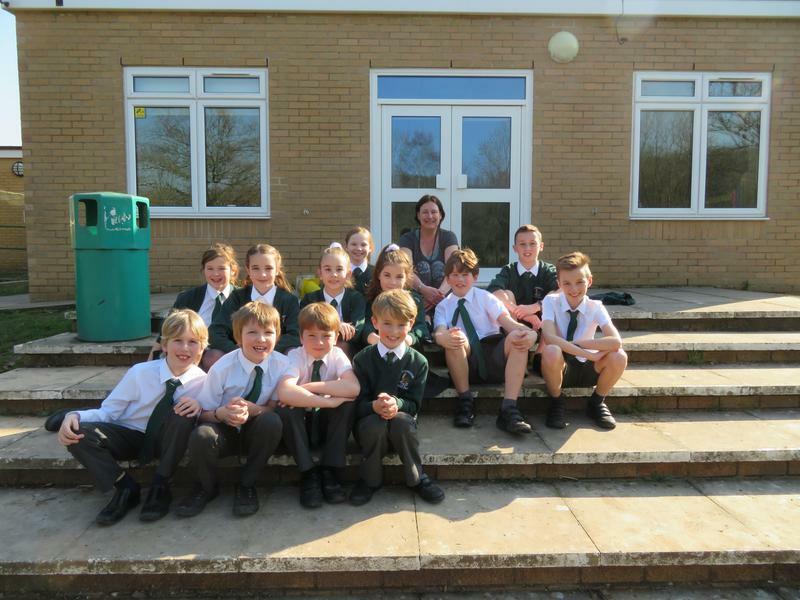 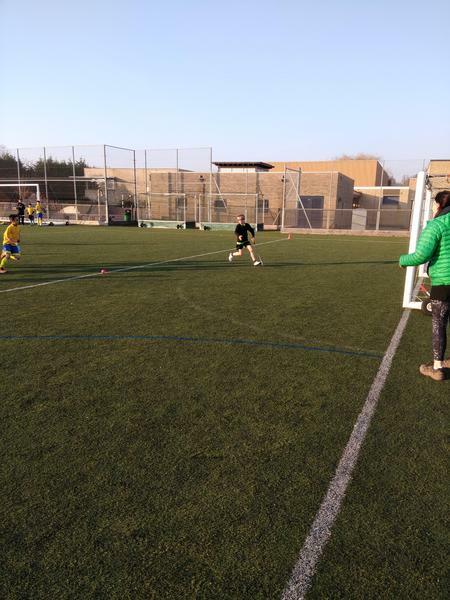 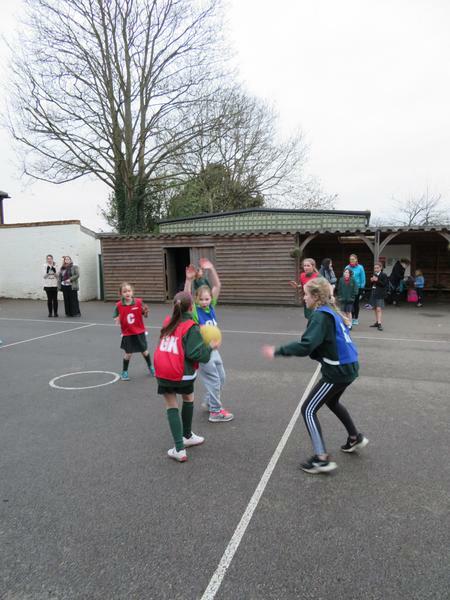 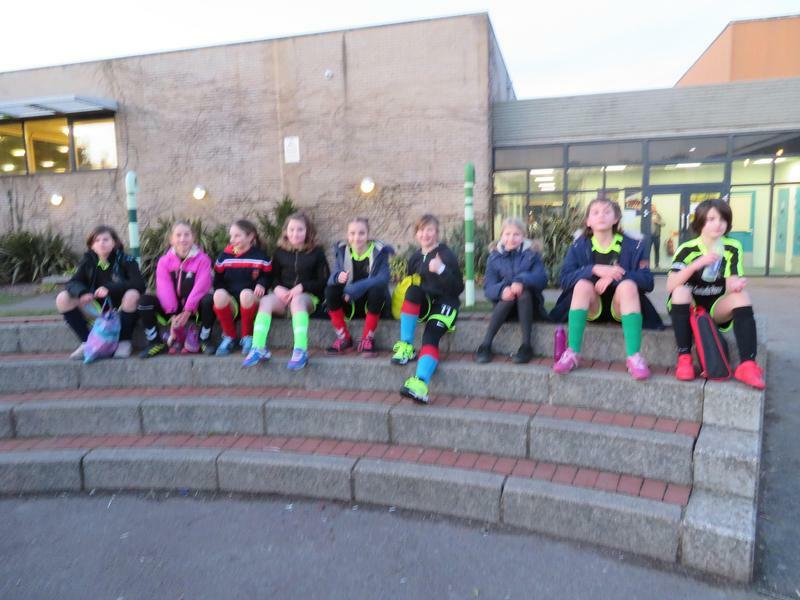 On Monday 11th March Mrs Compton and Miss Hutchings took a football and netball team to play against Twyford St. Mary's Primary School. 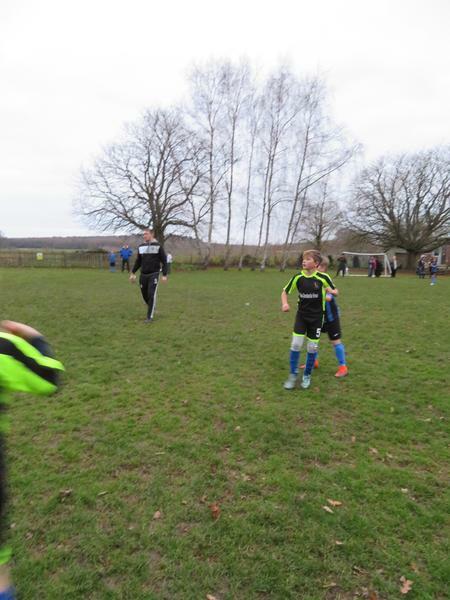 As always the football was very closely contested and resulted in Twyford pipping us to the post 4 - 3. 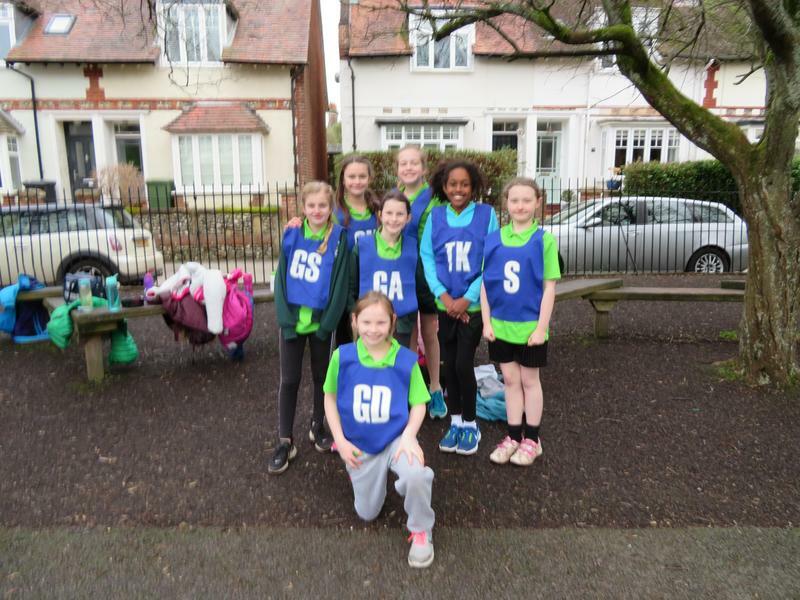 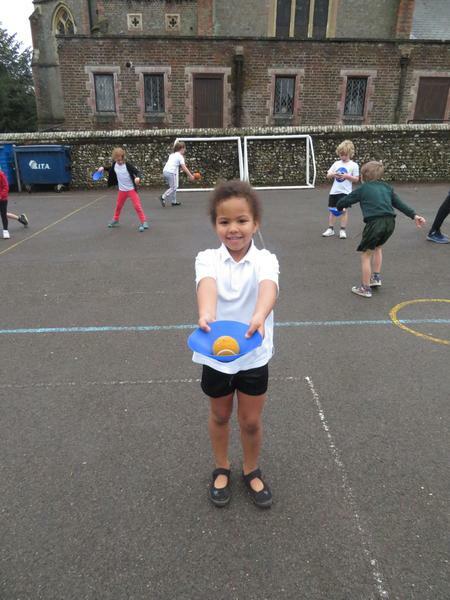 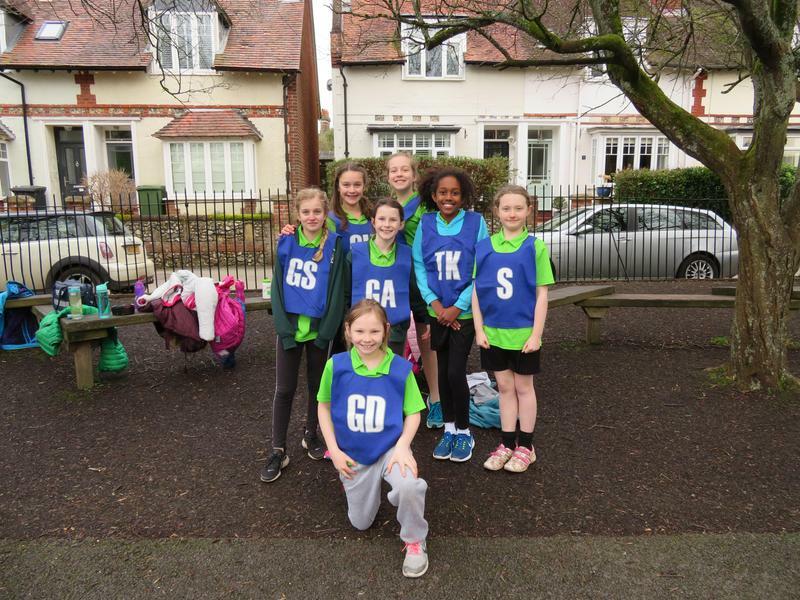 Well done to Charlie, Rico, Toby M, Harry, Isaac, Taylor & Toby E.
Our netball team of Daisy, Emily, Livvi, Olivia, Hannah, Helena, Mia & Florence Thomas played superbly in their first netball match. 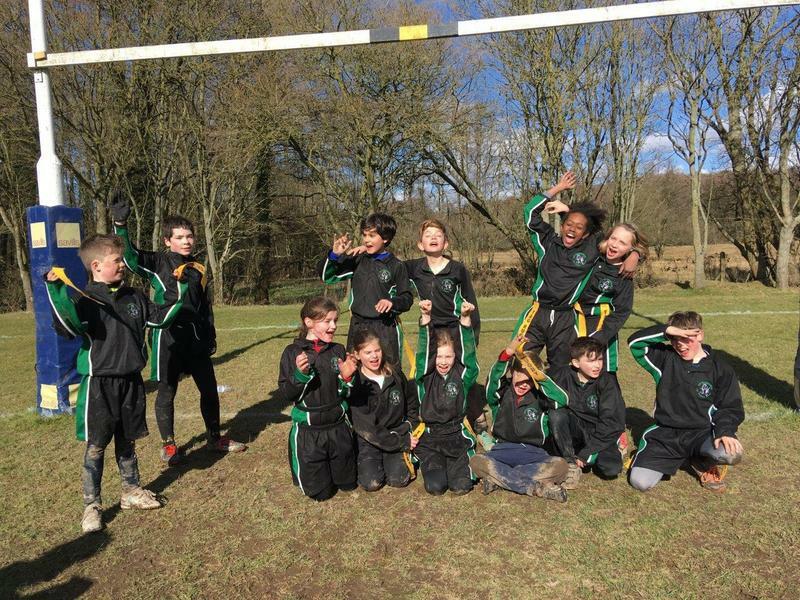 After 3 quarters of the match the score was 7 - 7 however, Otterbourne played faultlessly in the final quarter winning 12 - 7! 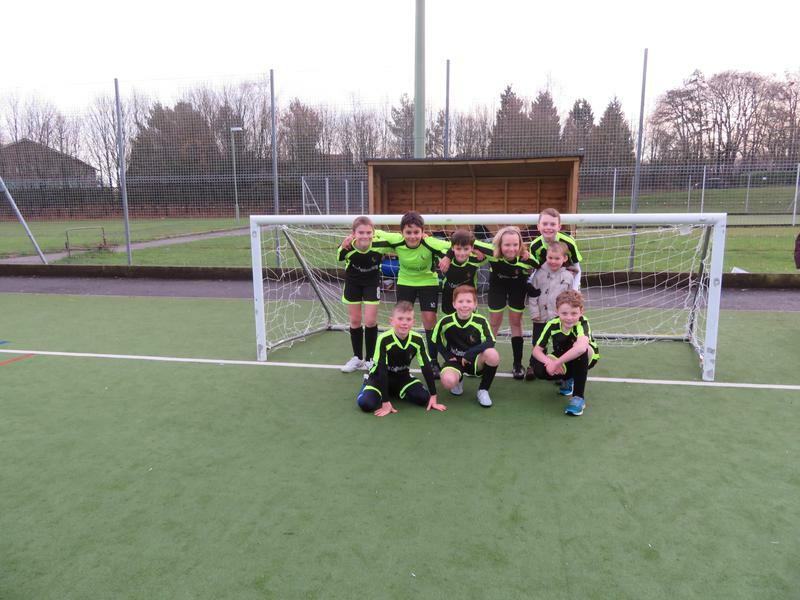 All the team played so well and worked brilliantly as a team. 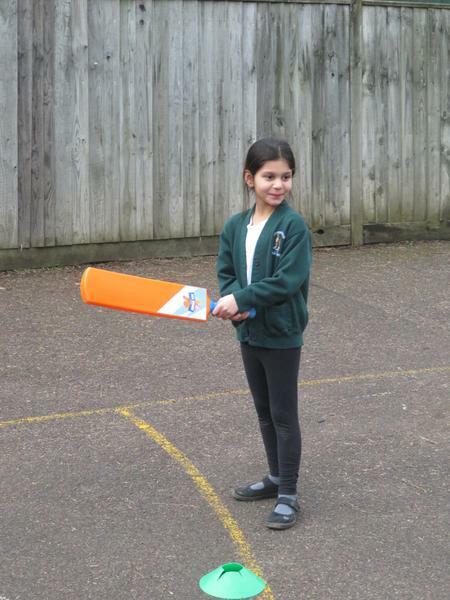 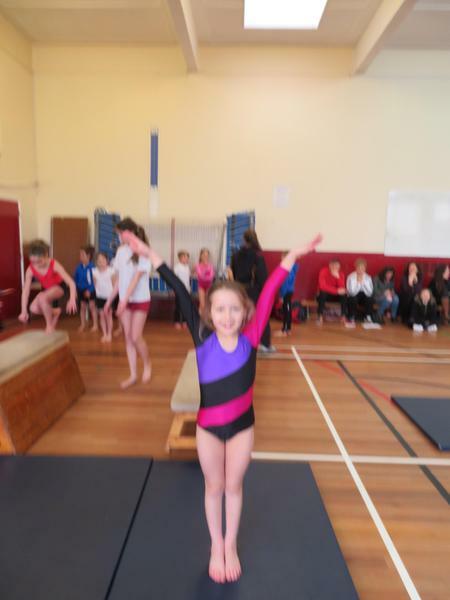 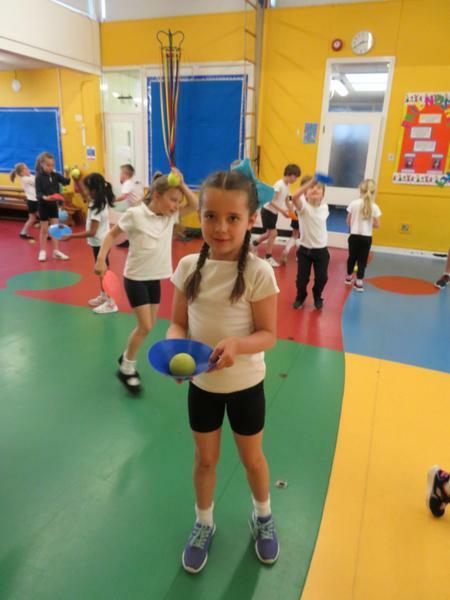 Well done to Mia for being a fabulous captain. 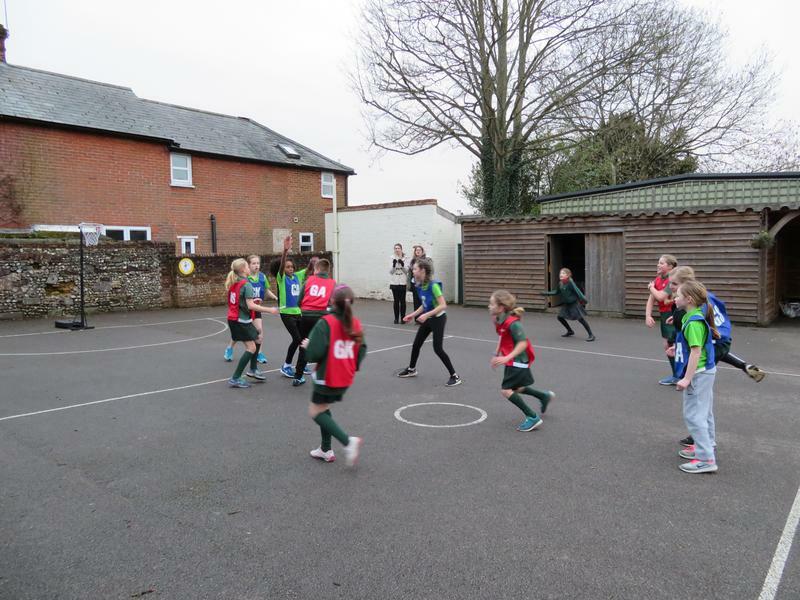 We are hoping to arrange a re-match here at Otterbourne. 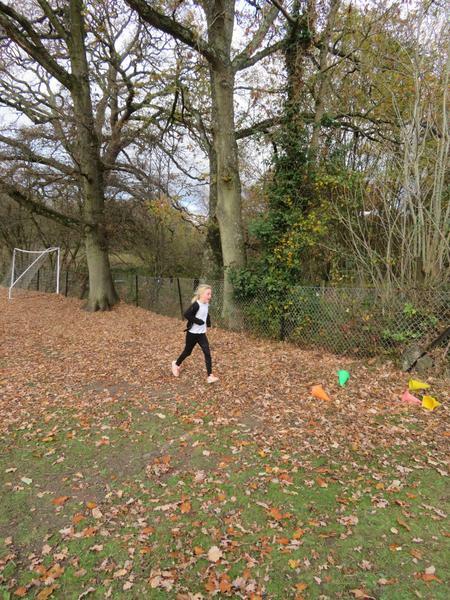 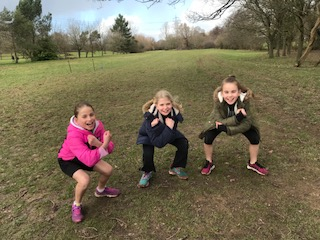 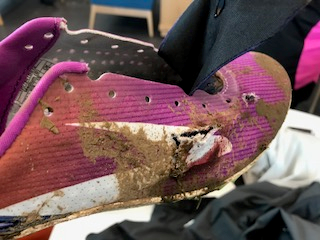 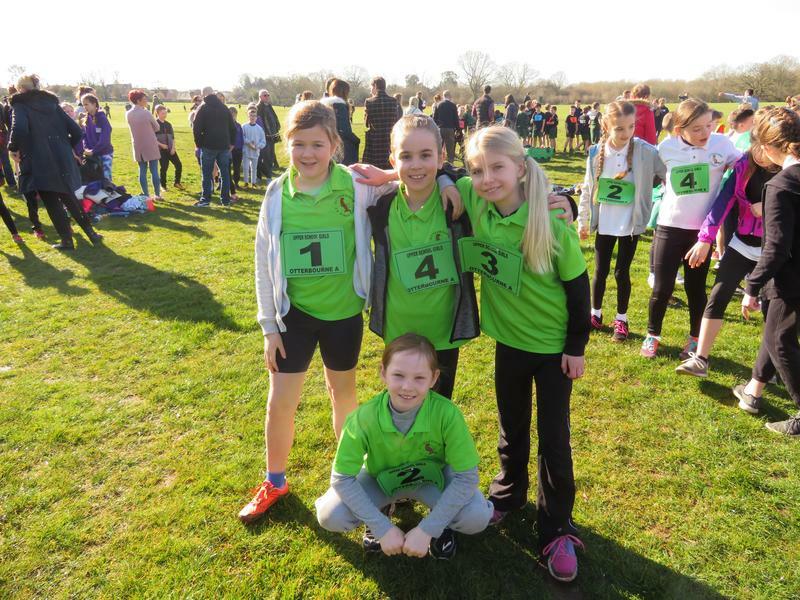 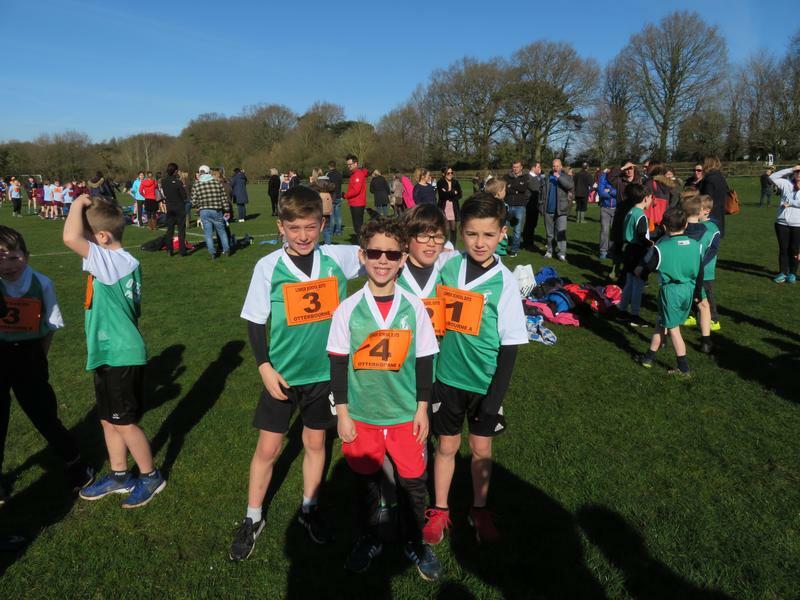 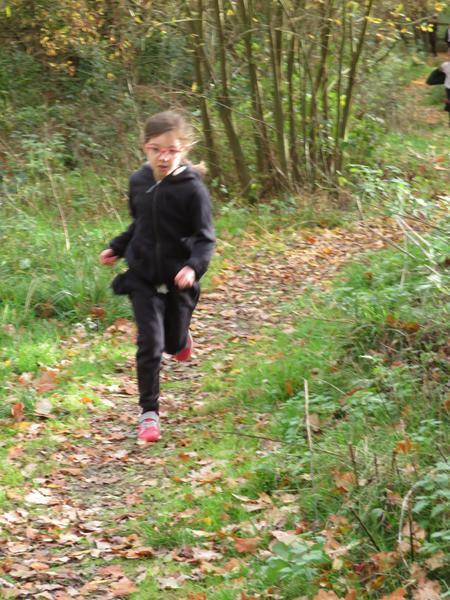 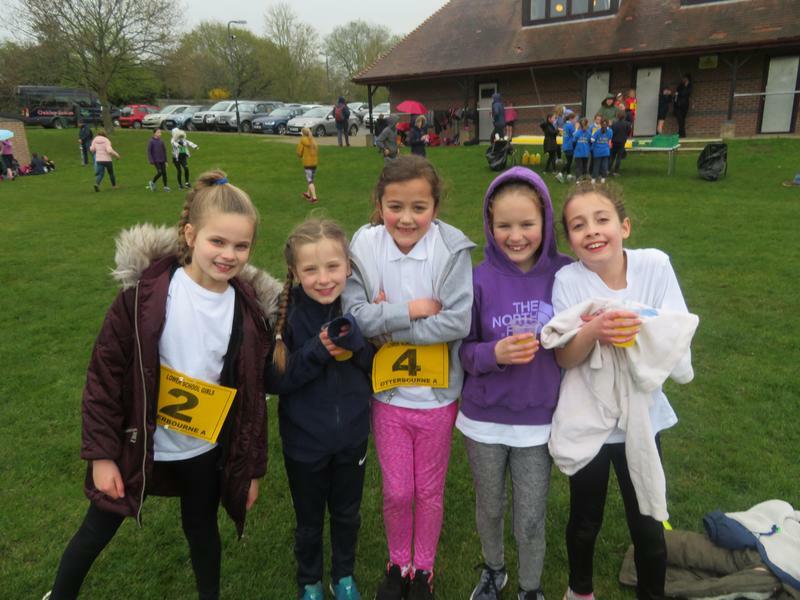 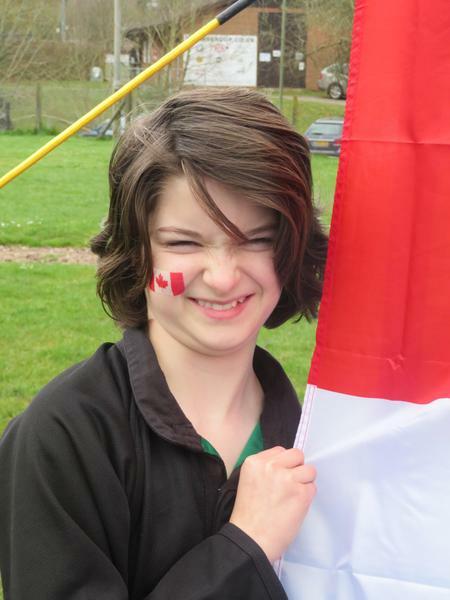 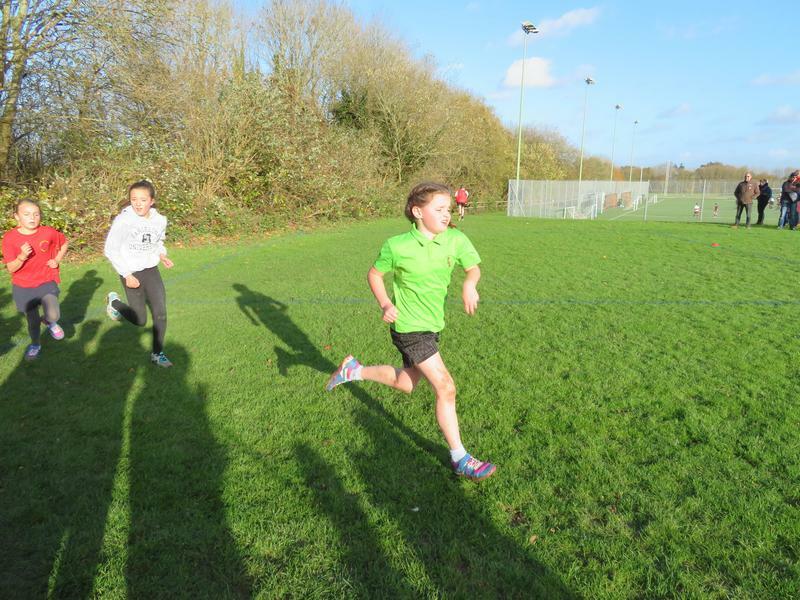 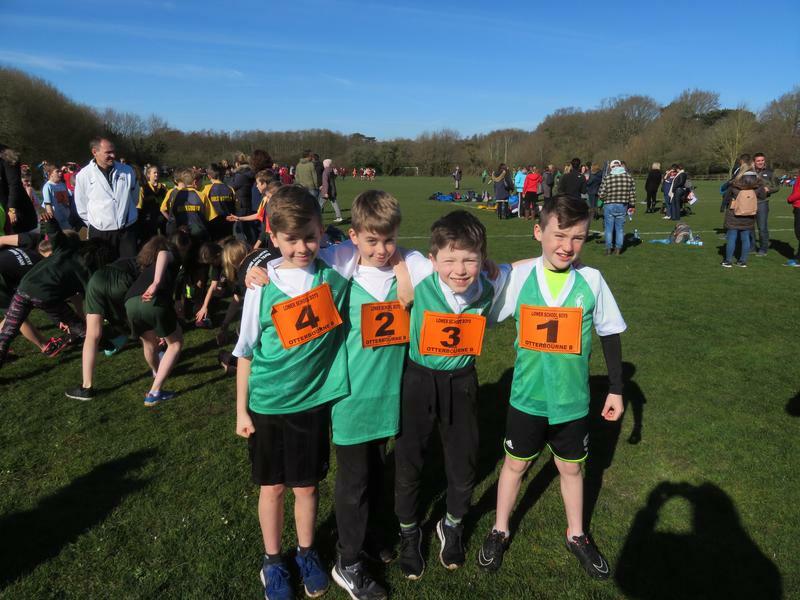 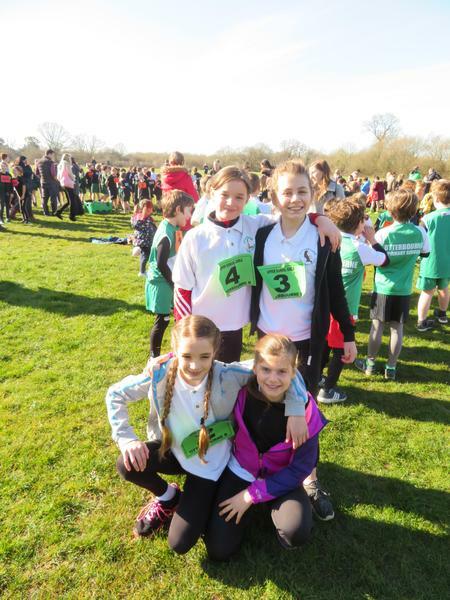 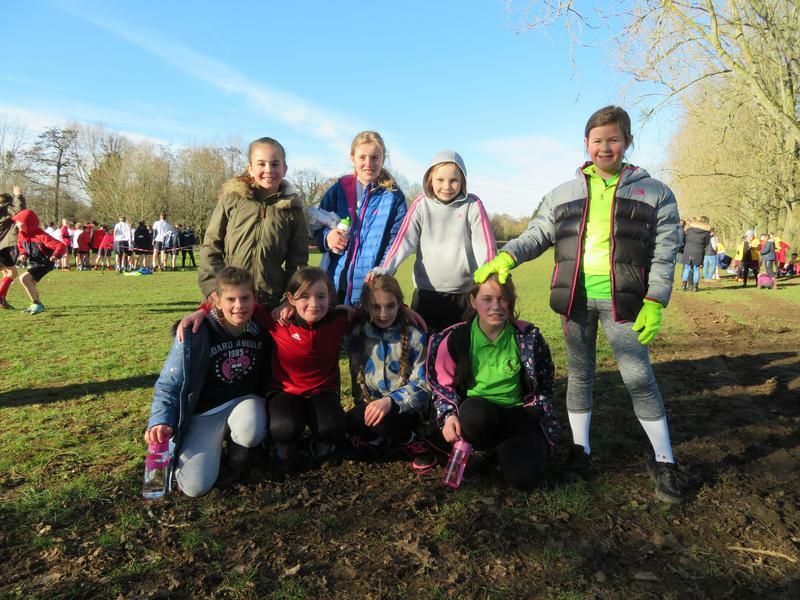 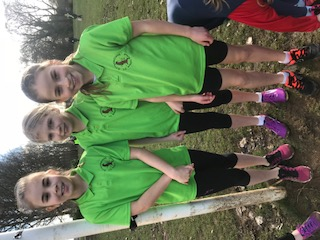 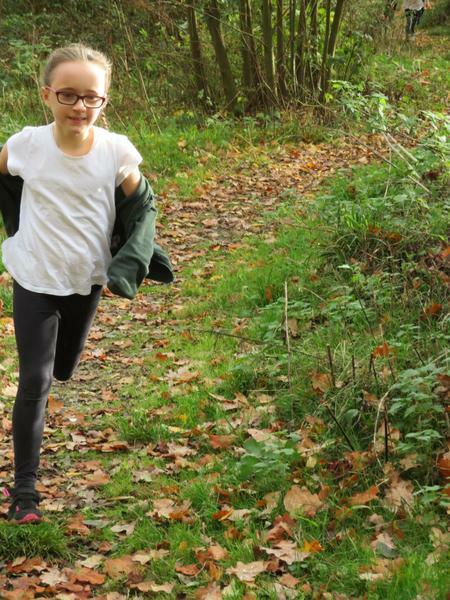 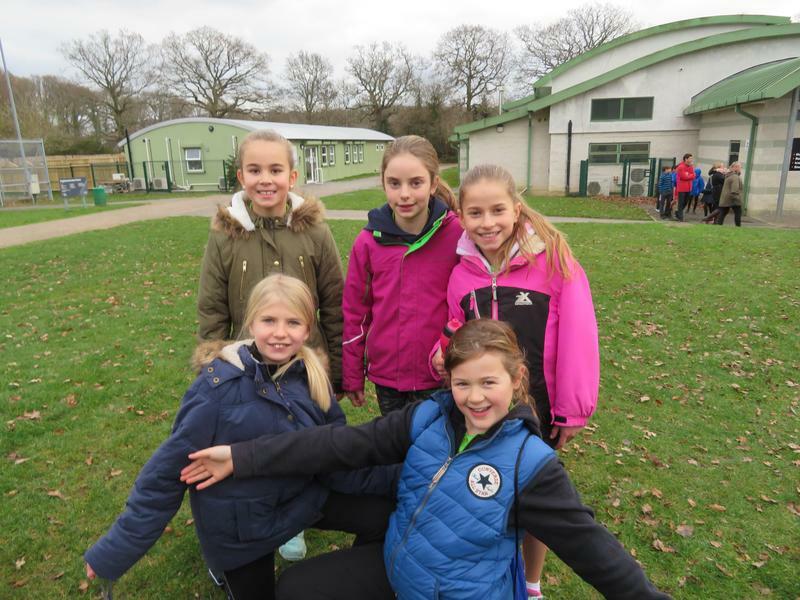 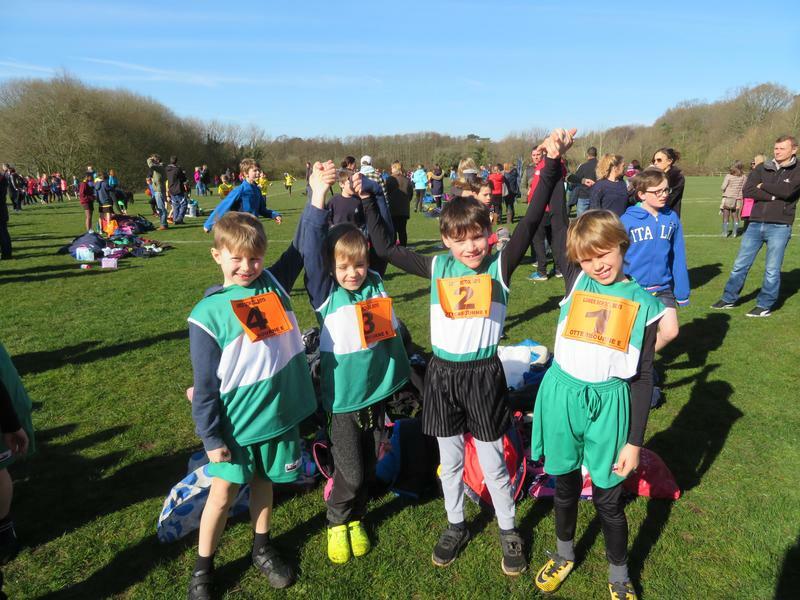 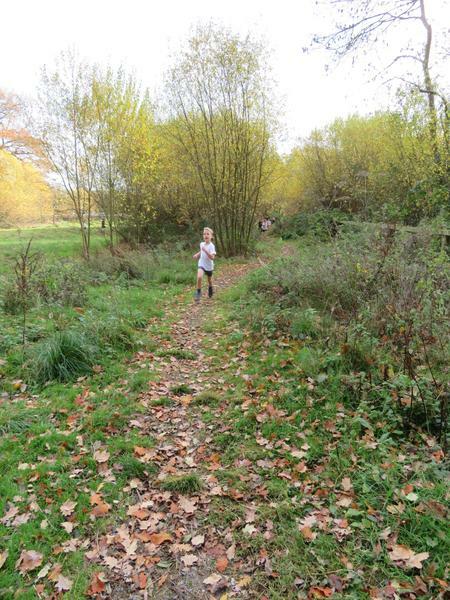 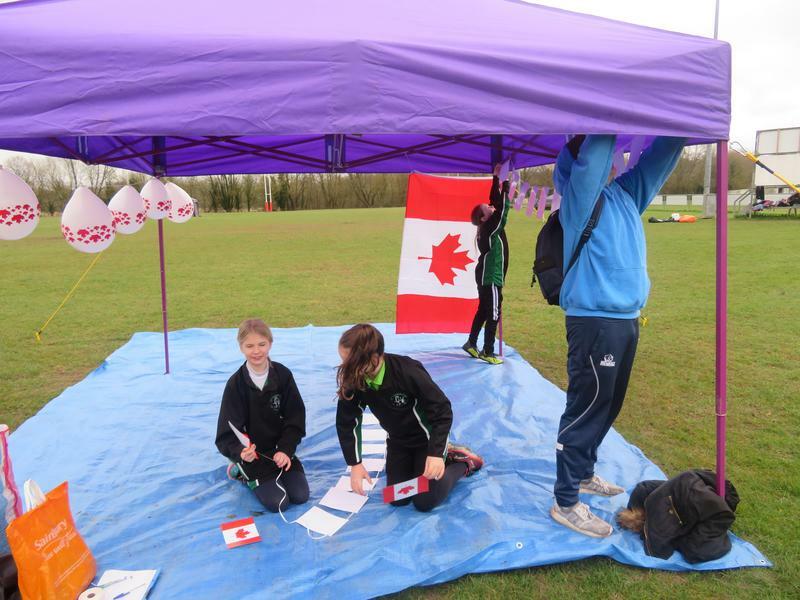 Thursday 7th March - Lucia Bertacchini took part in the x-country championships in Basingstoke. 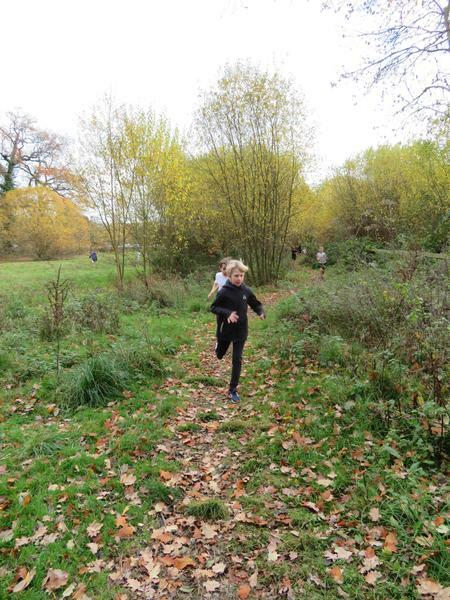 Lucia came 35th out of 150 and the girls team came 1st overall. 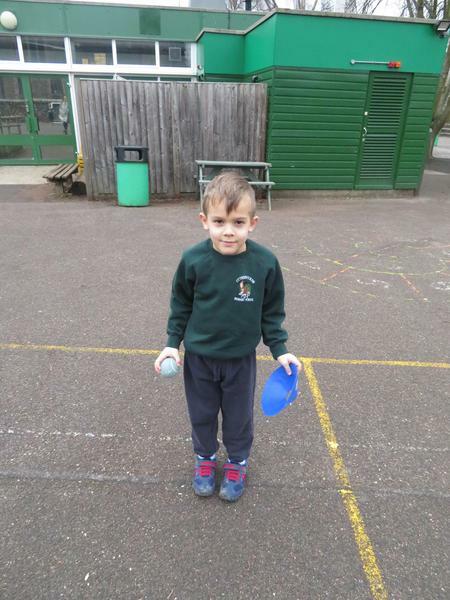 A fabulous achievement. 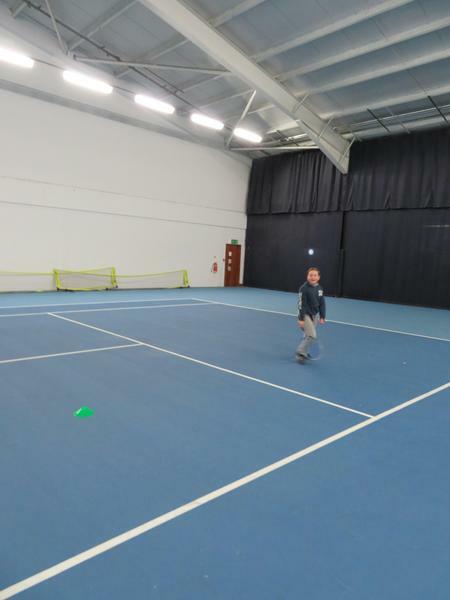 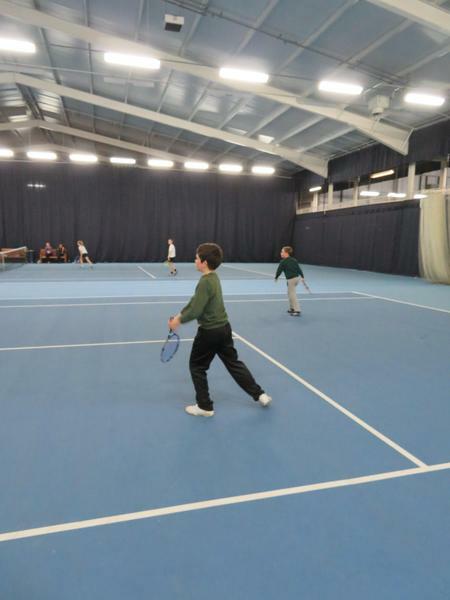 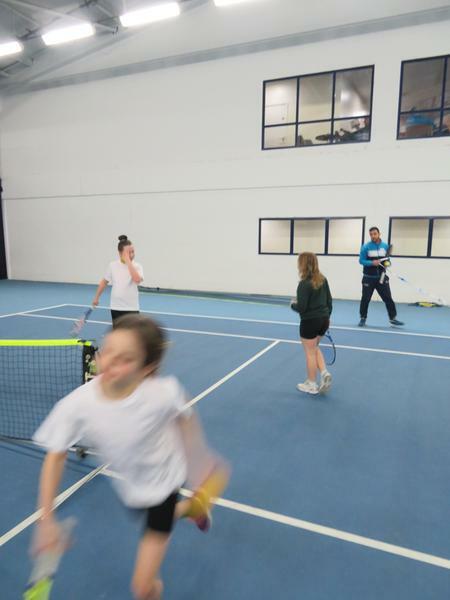 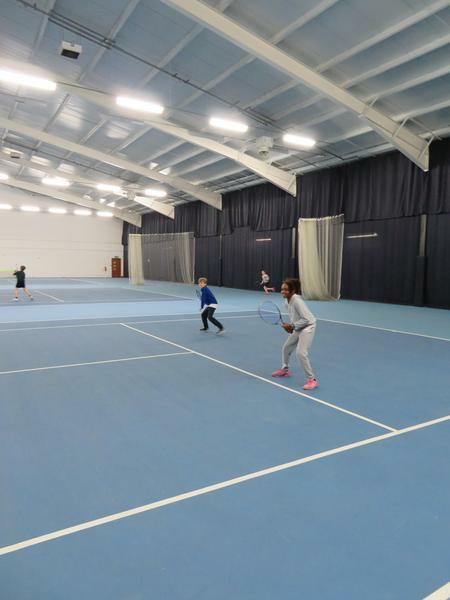 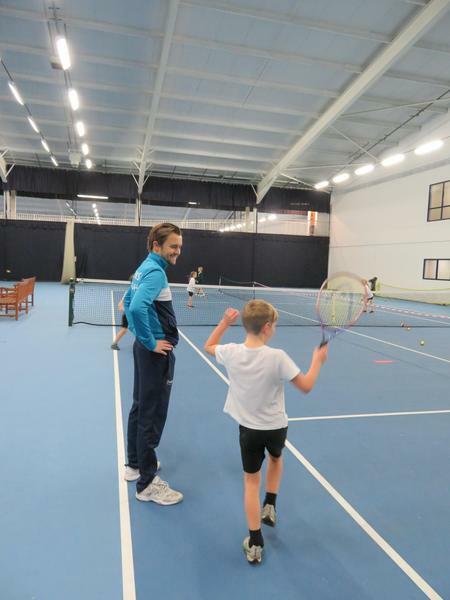 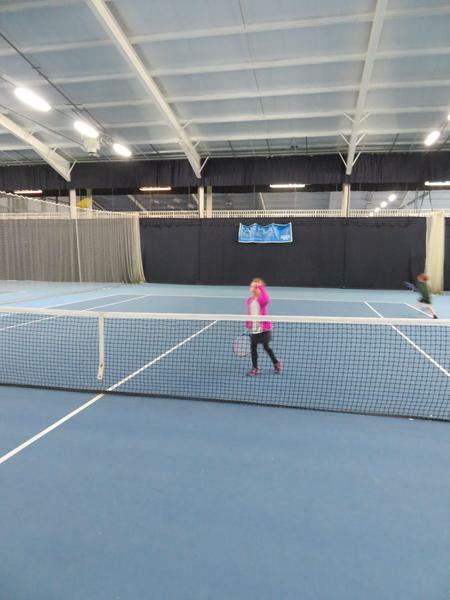 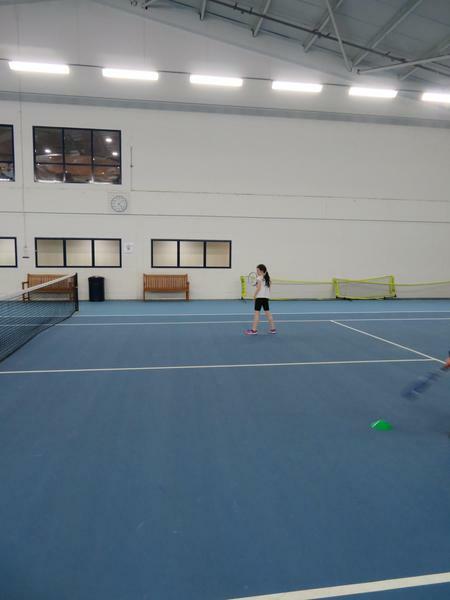 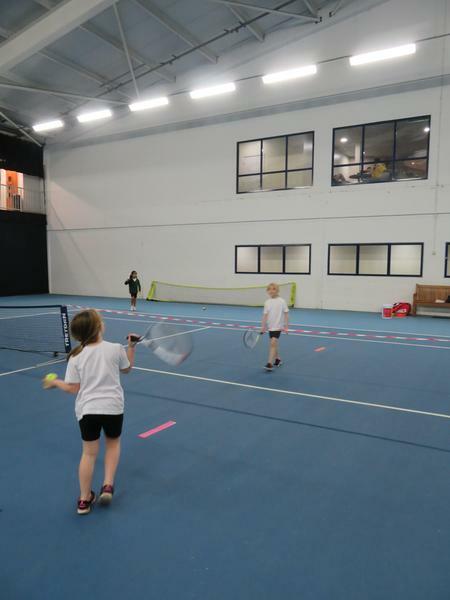 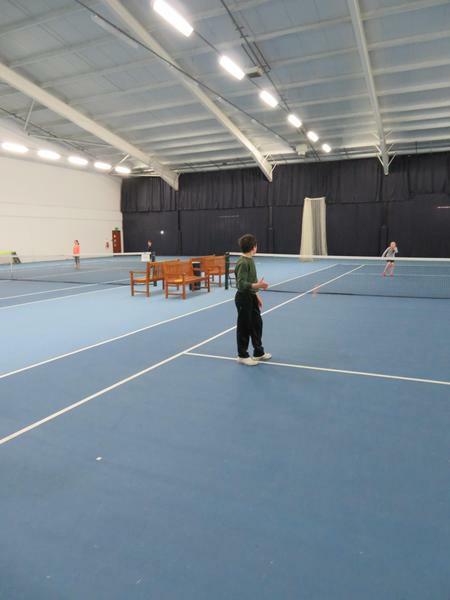 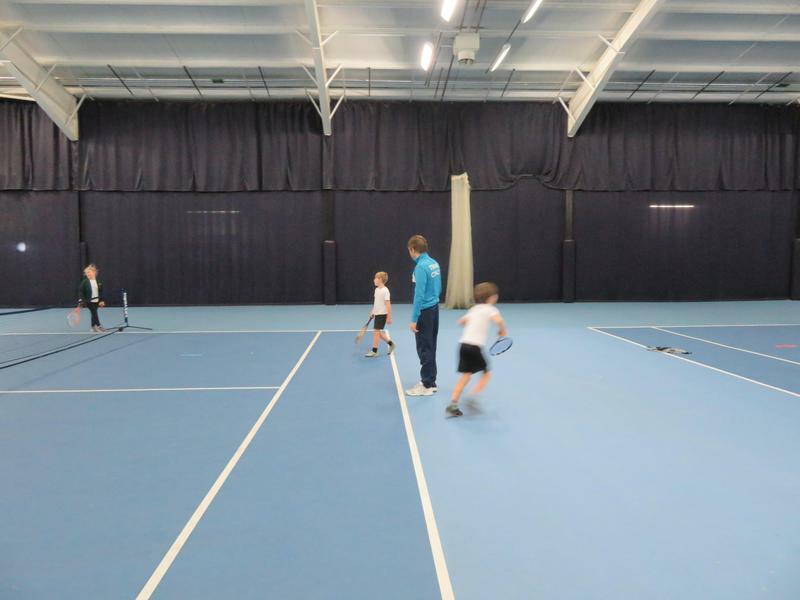 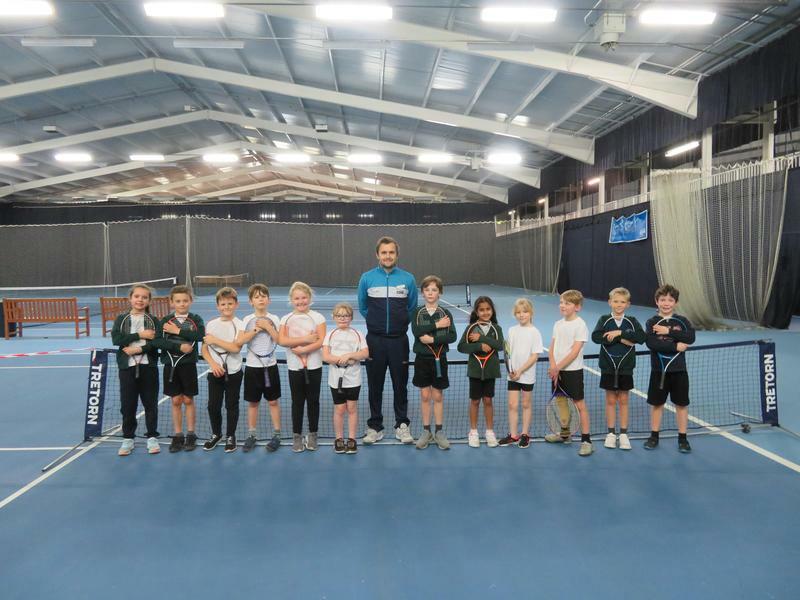 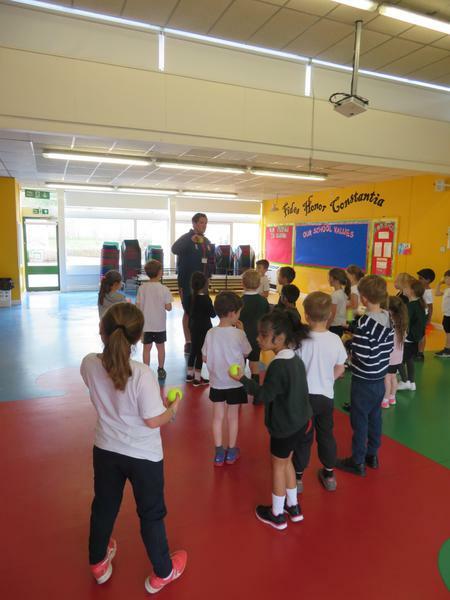 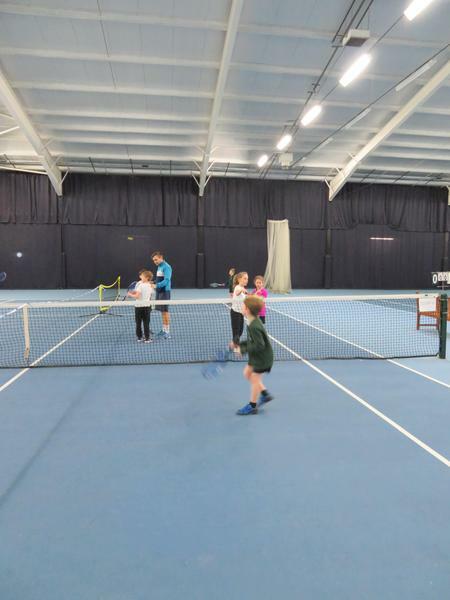 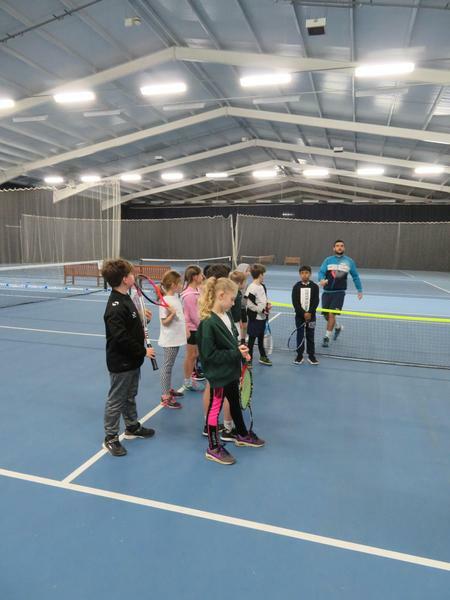 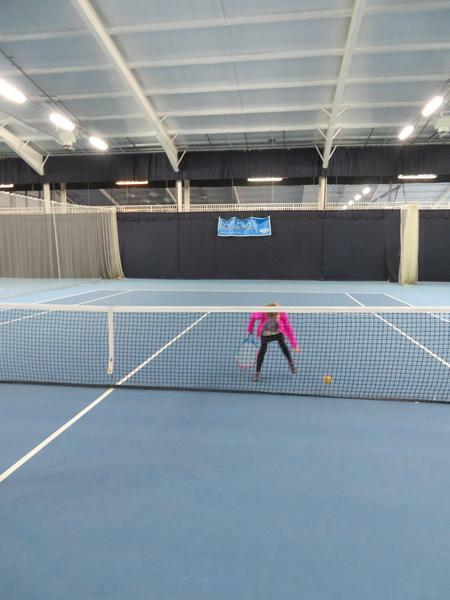 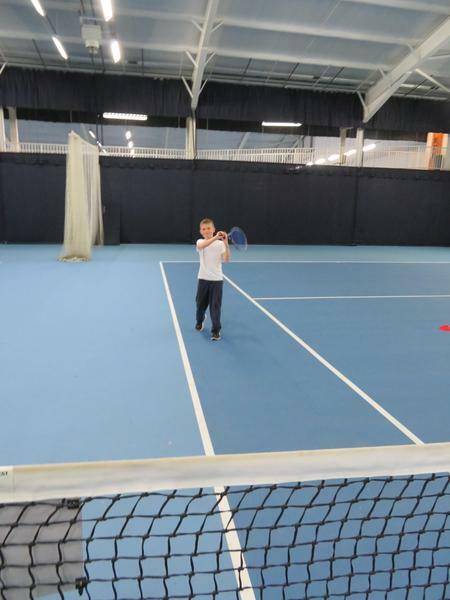 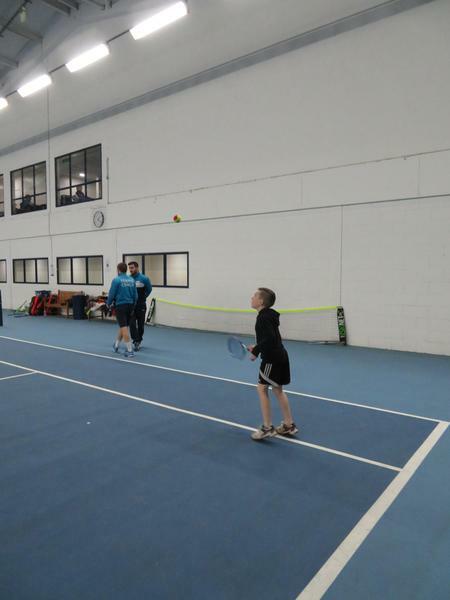 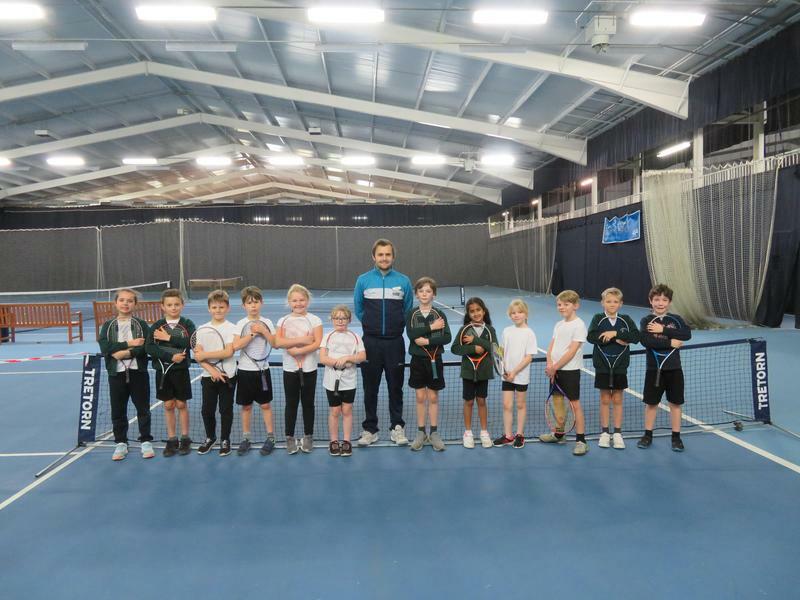 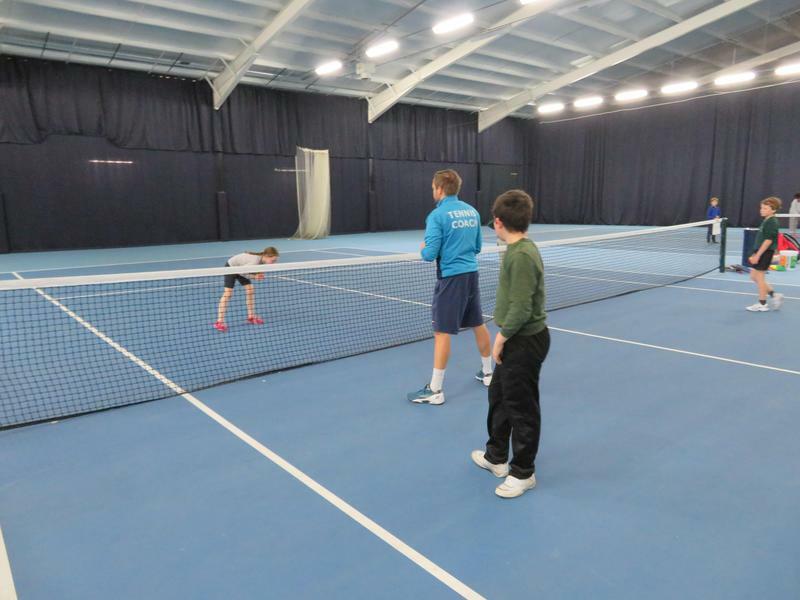 Our Last David Lloyd Tennis Session! 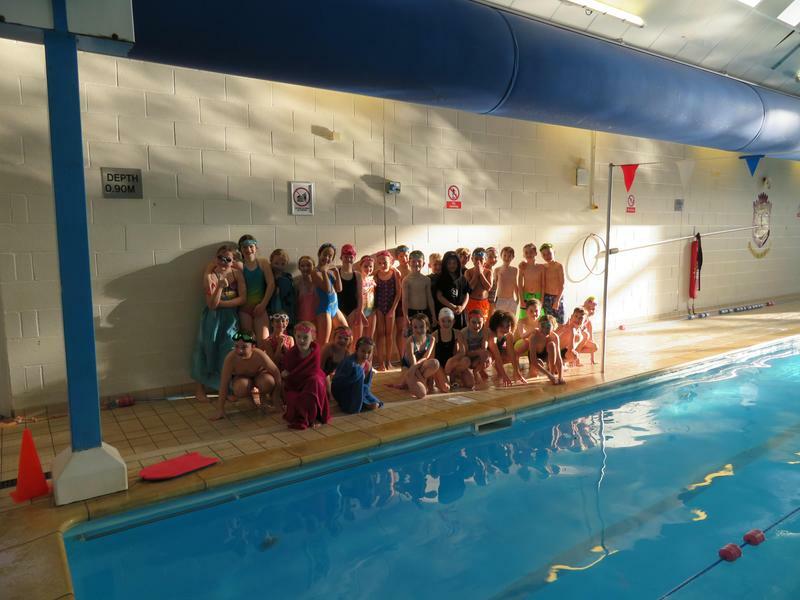 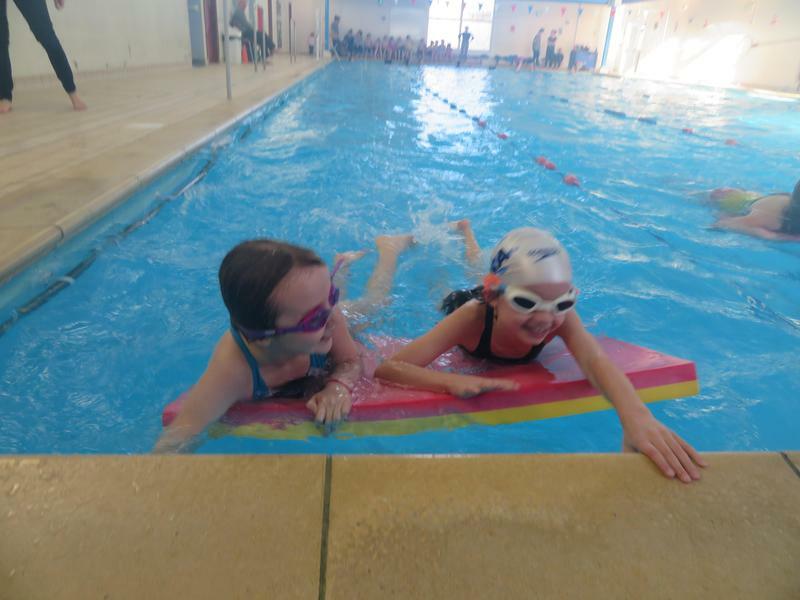 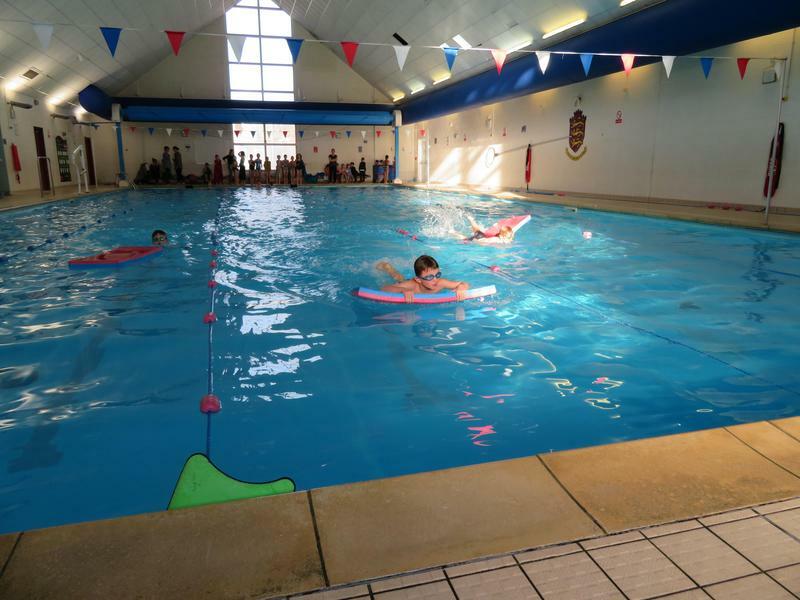 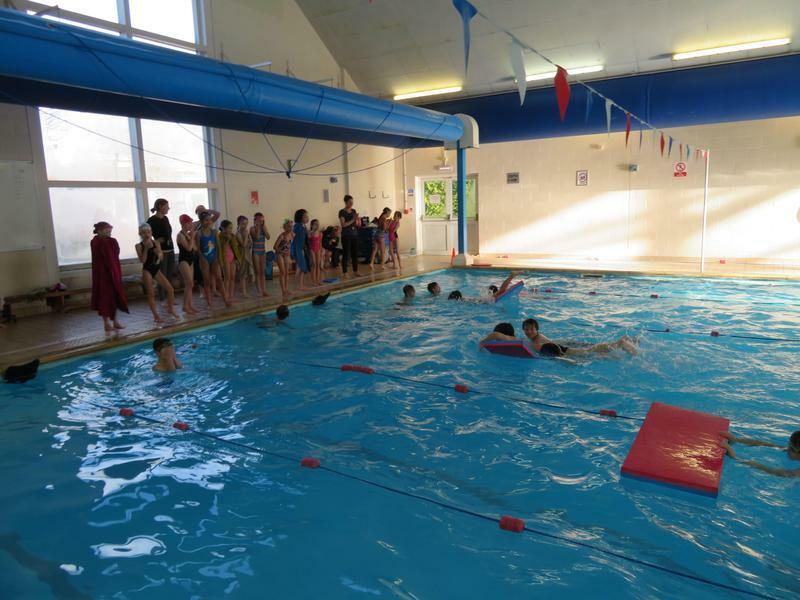 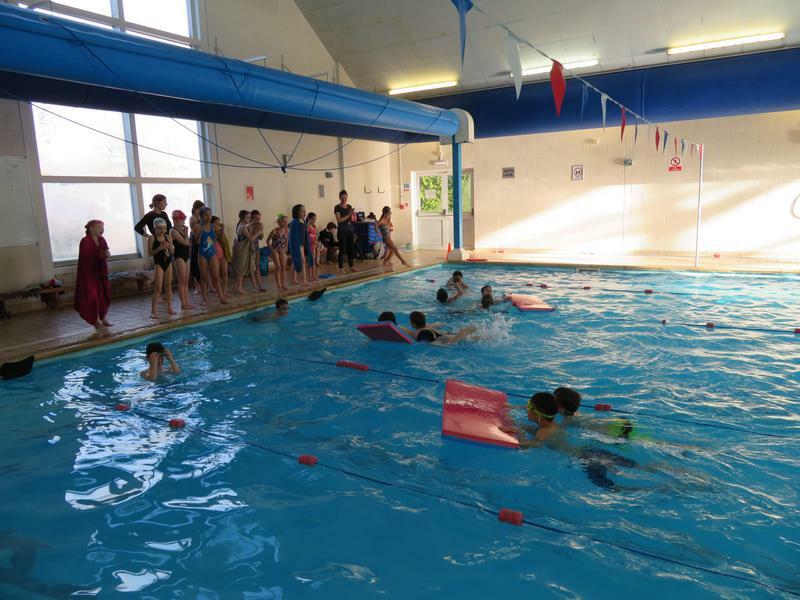 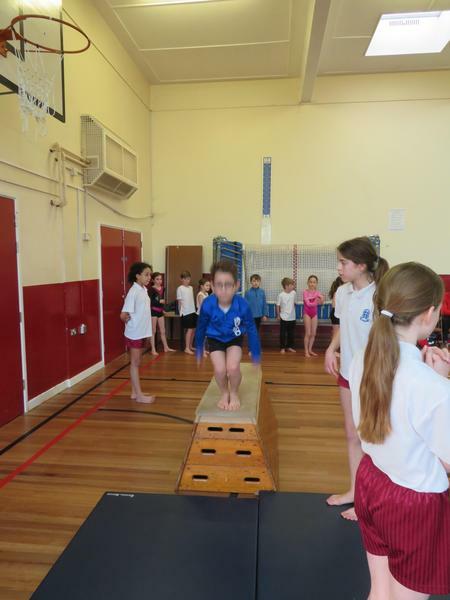 Aqua-splash Competition at Kings School 6th December. 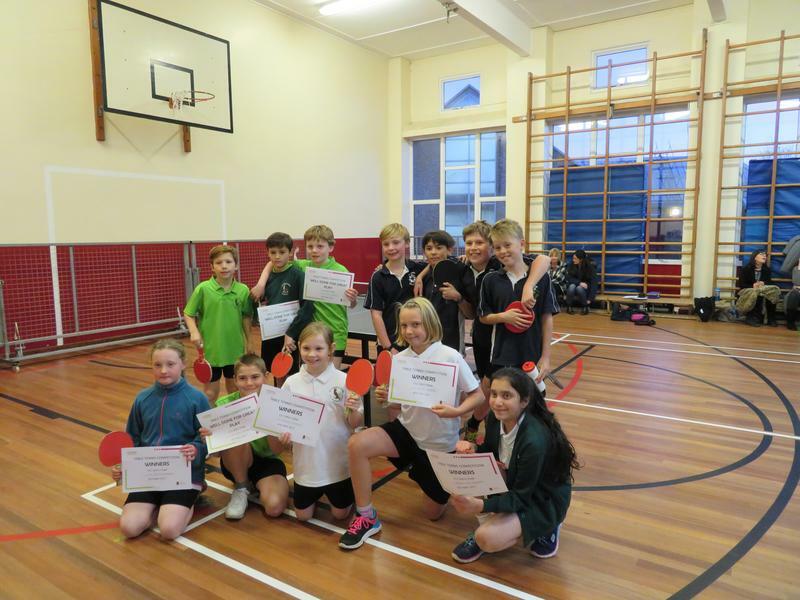 Otterbourne won which qualifies us for the Hampshire Games in June 2018. 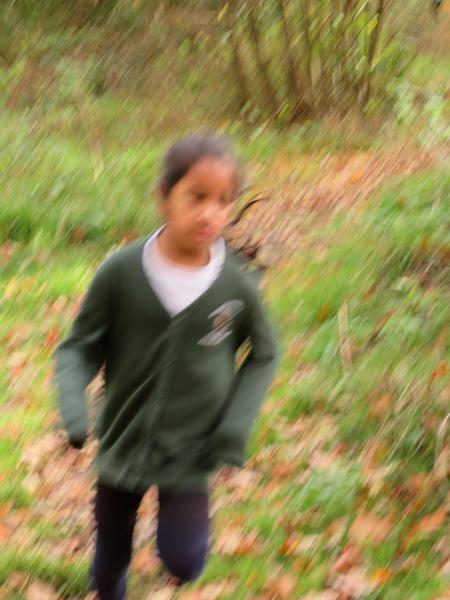 Photos coming soon. 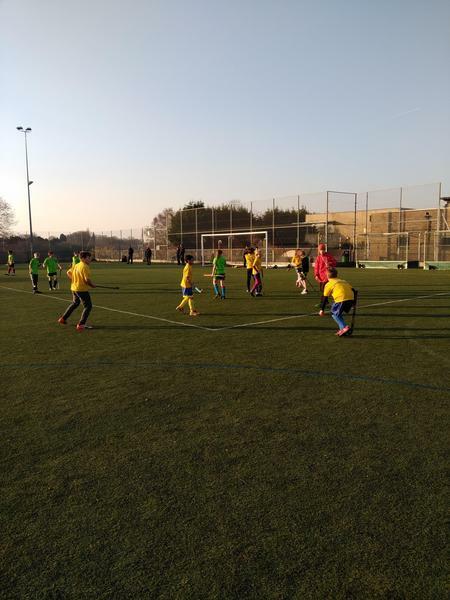 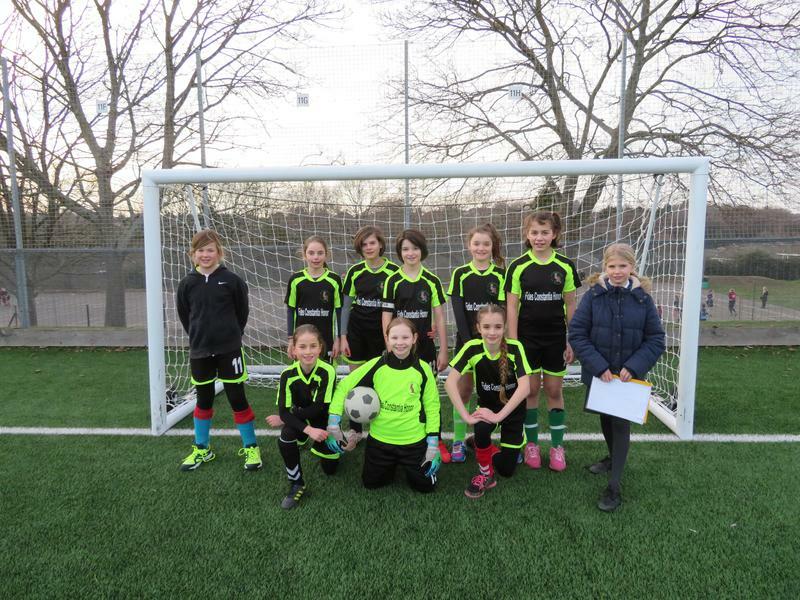 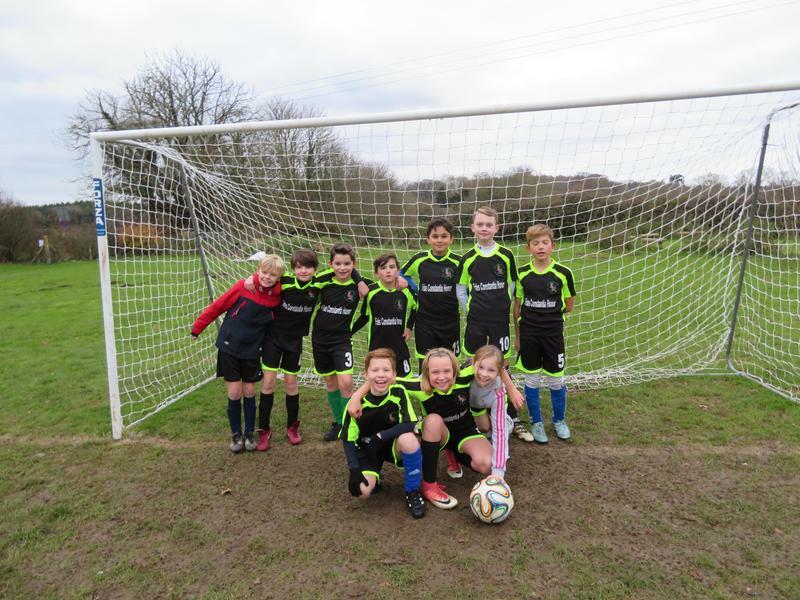 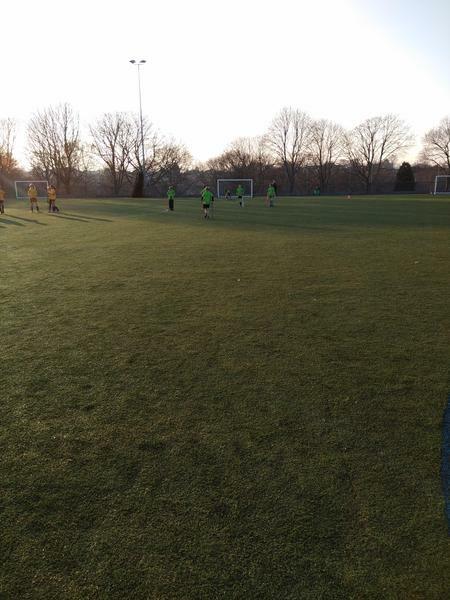 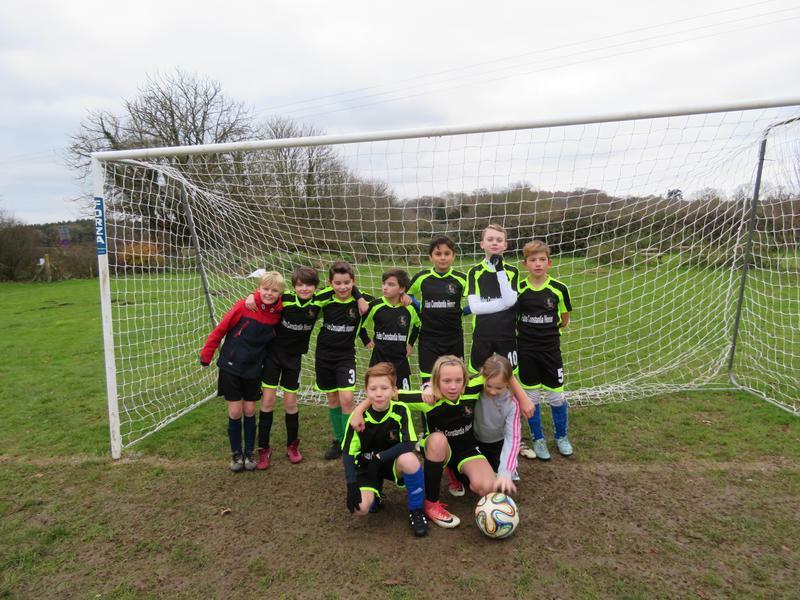 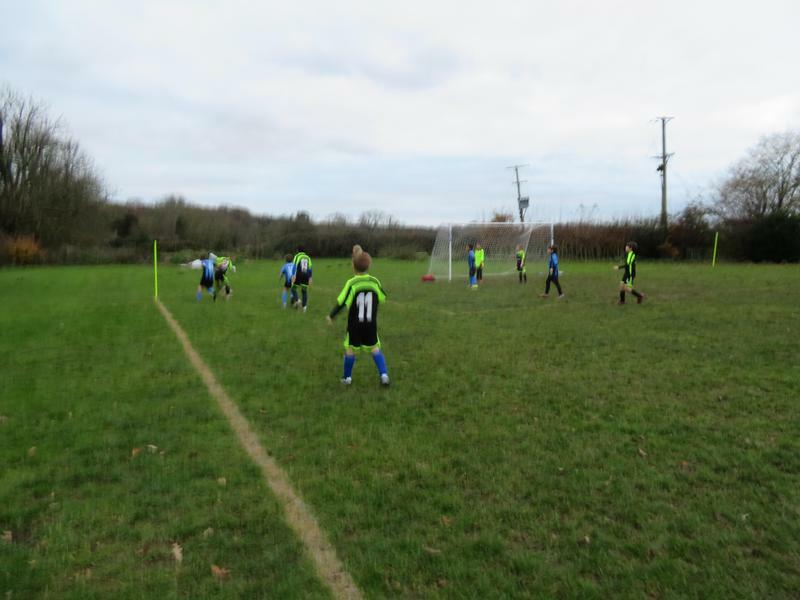 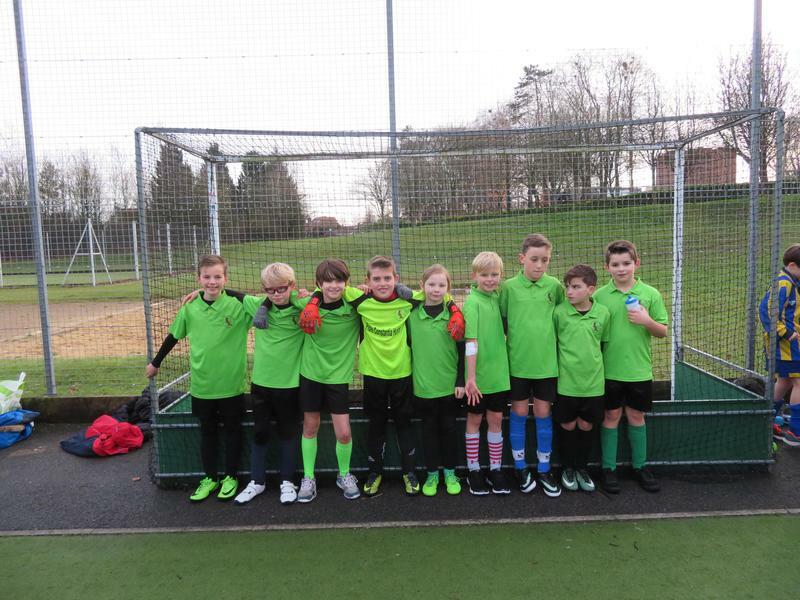 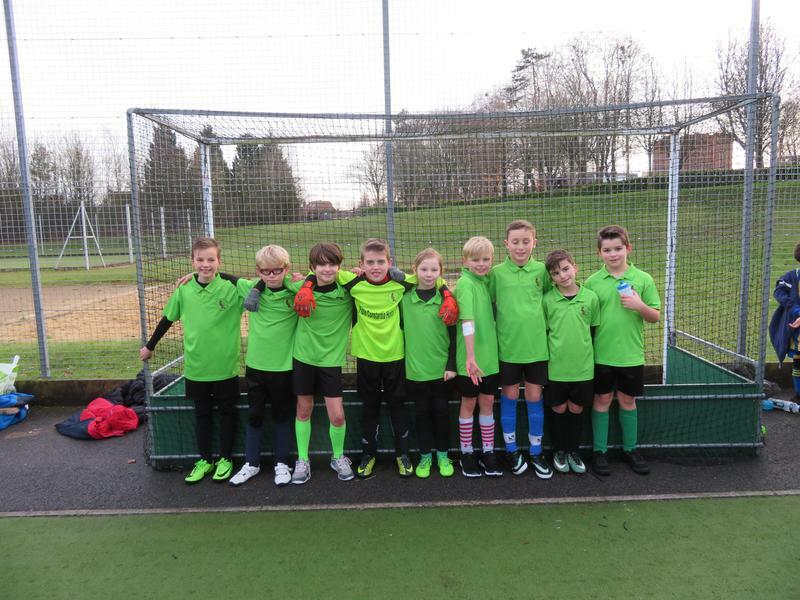 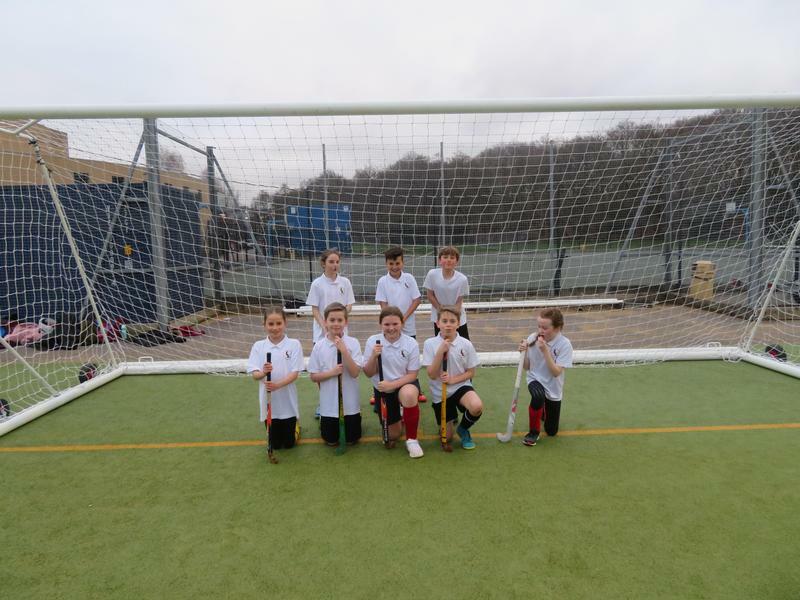 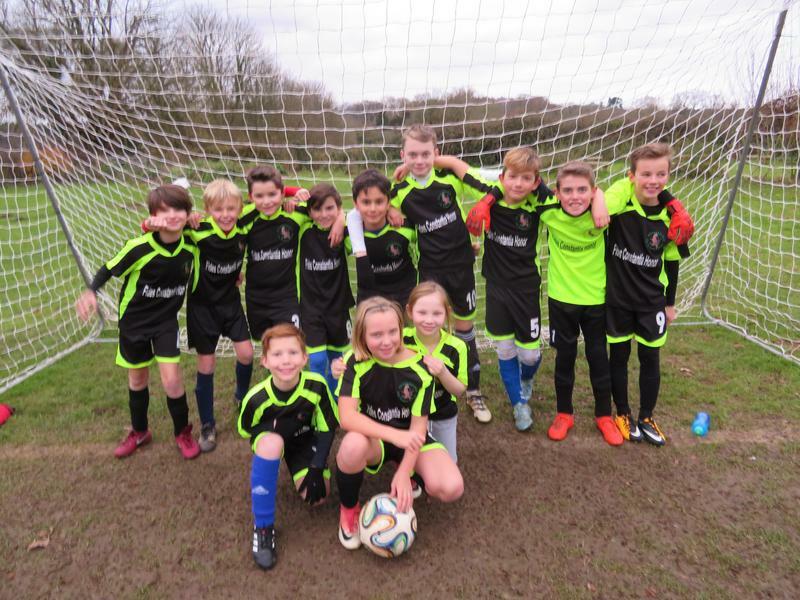 Year 5 & 6 Football Competition at Kings School 7th December - our Year 6 team came 3rd!